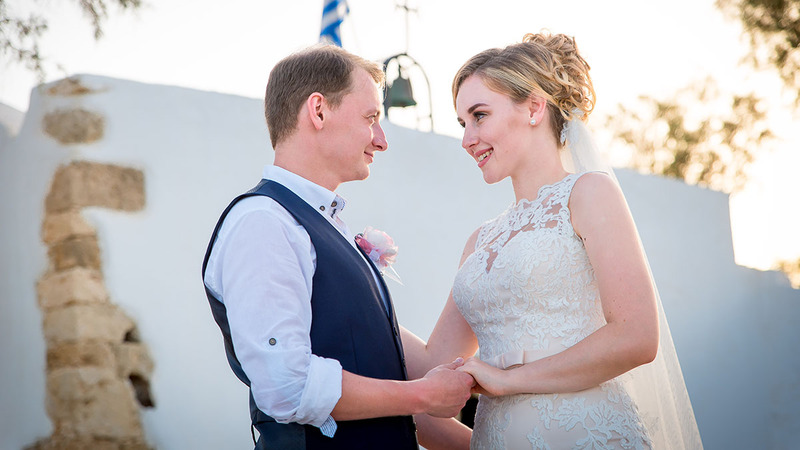 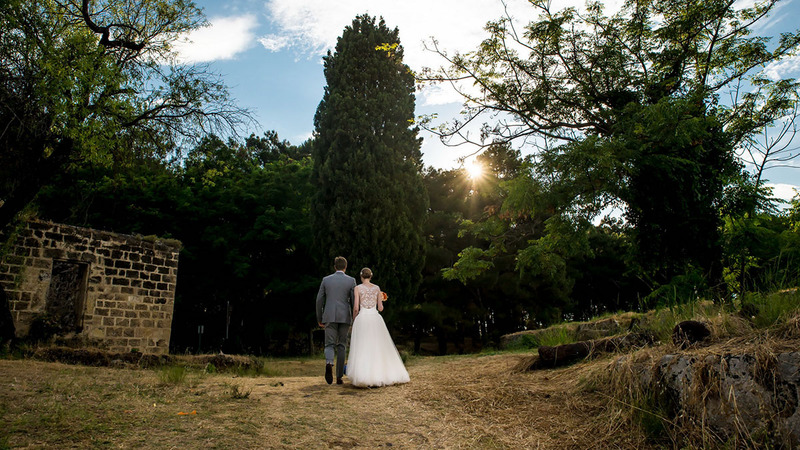 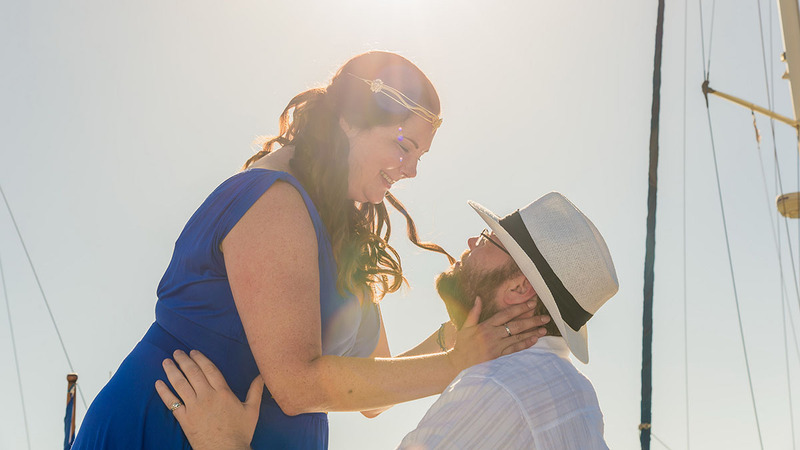 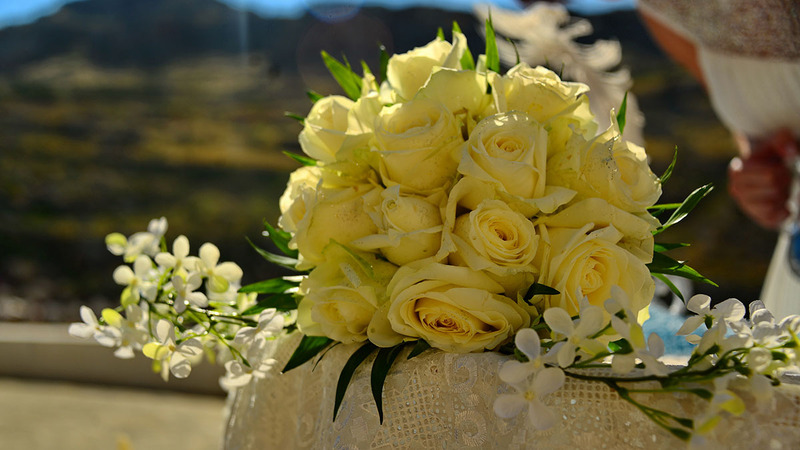 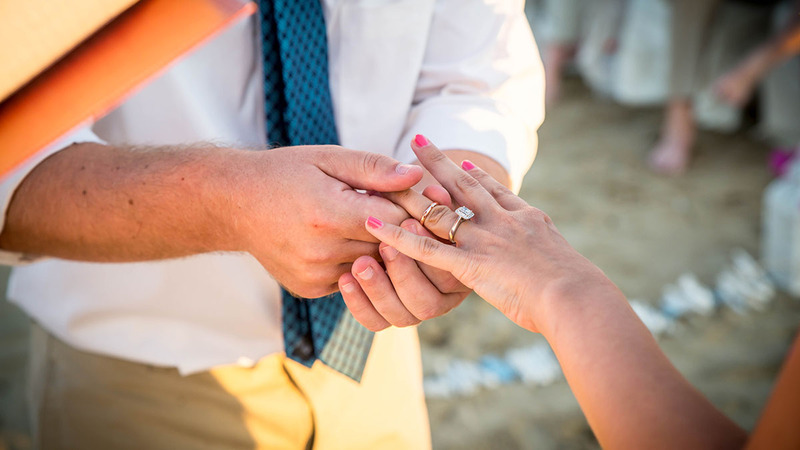 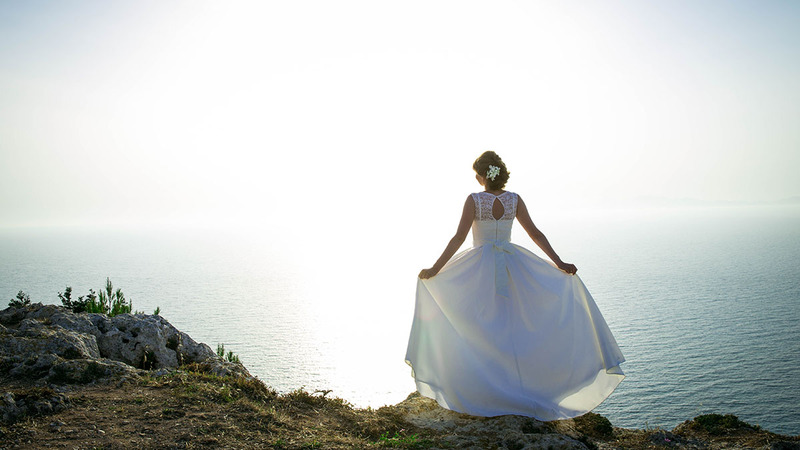 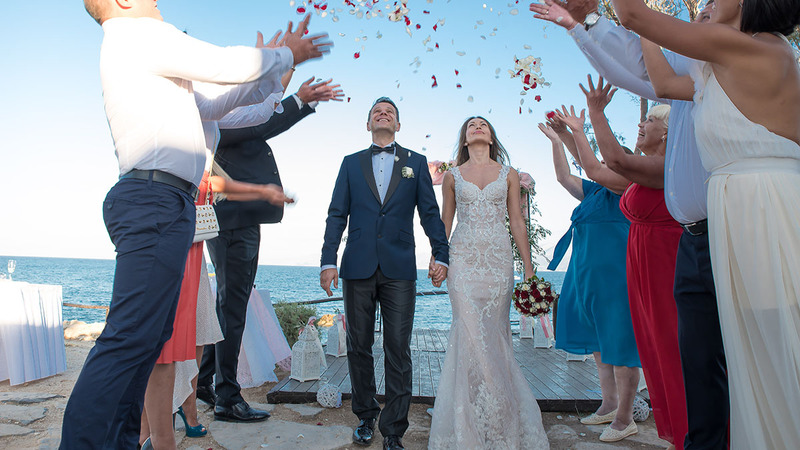 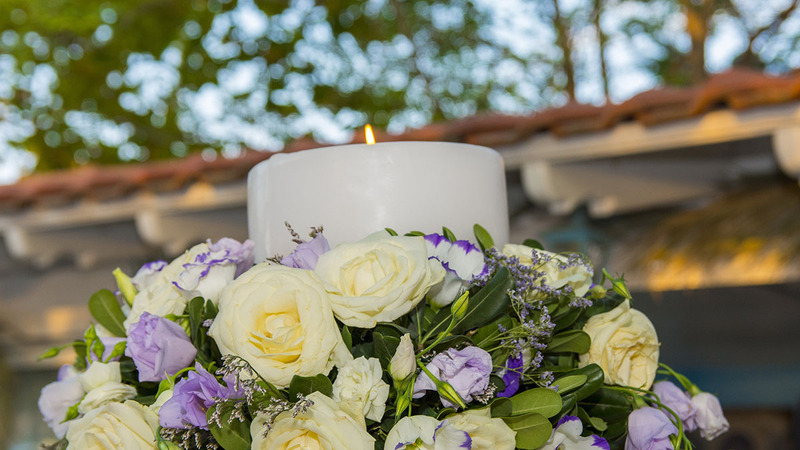 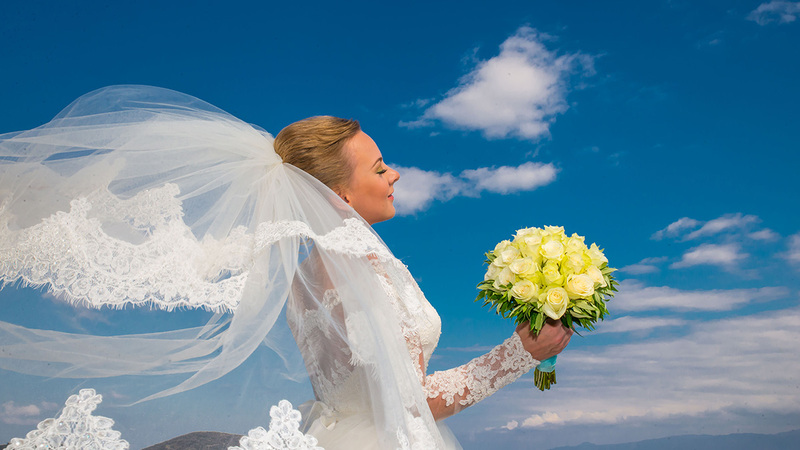 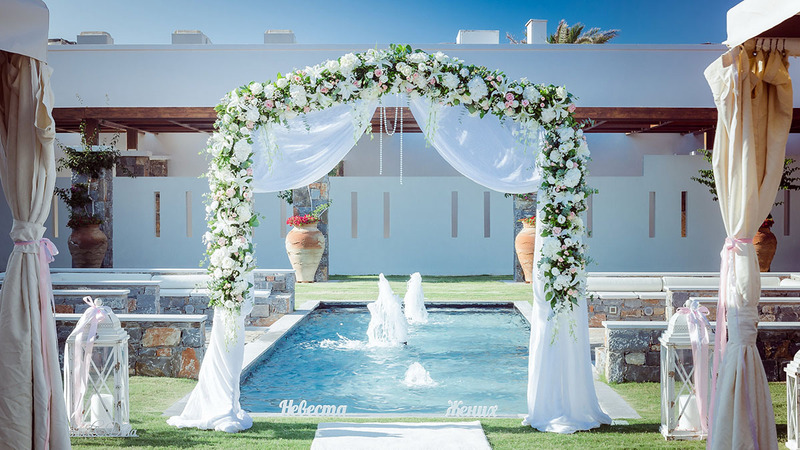 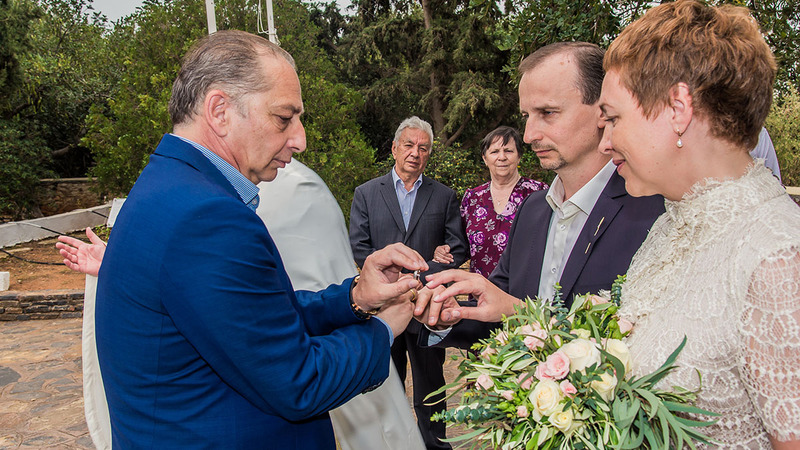 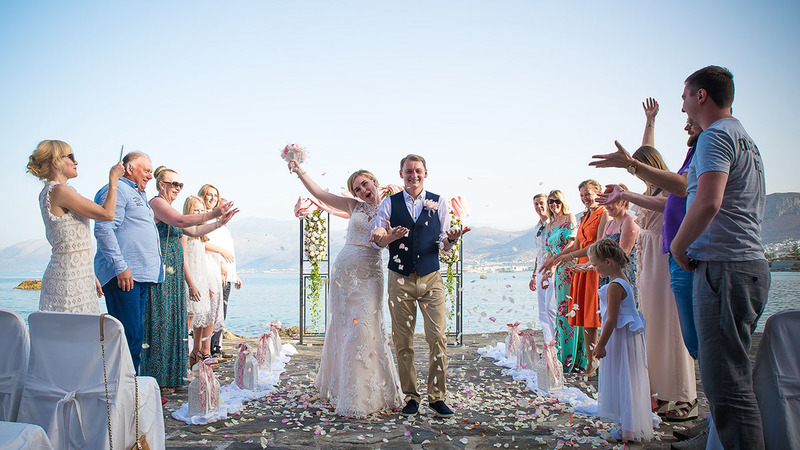 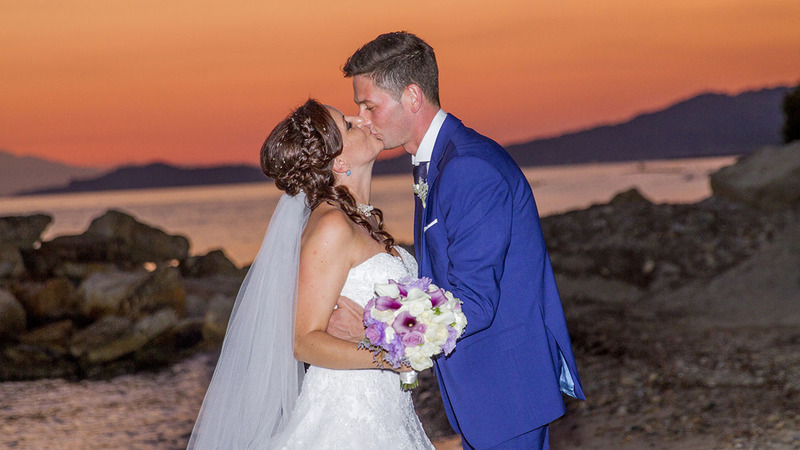 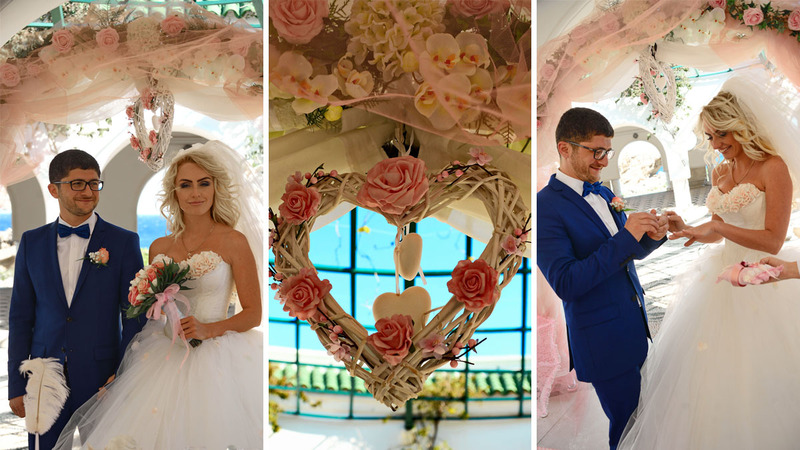 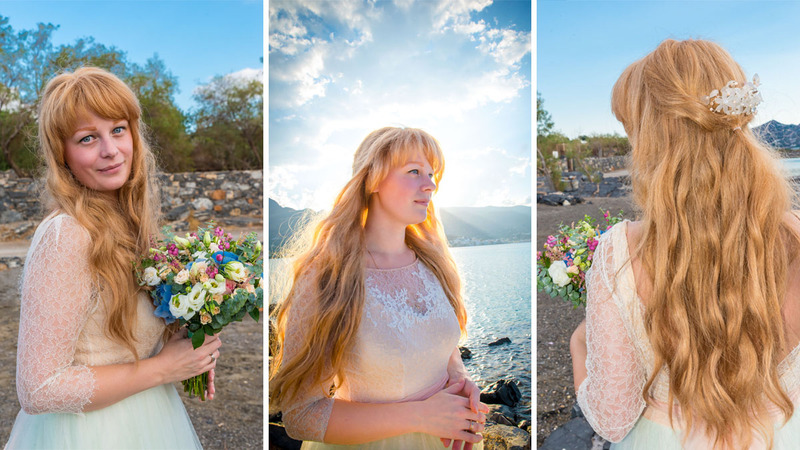 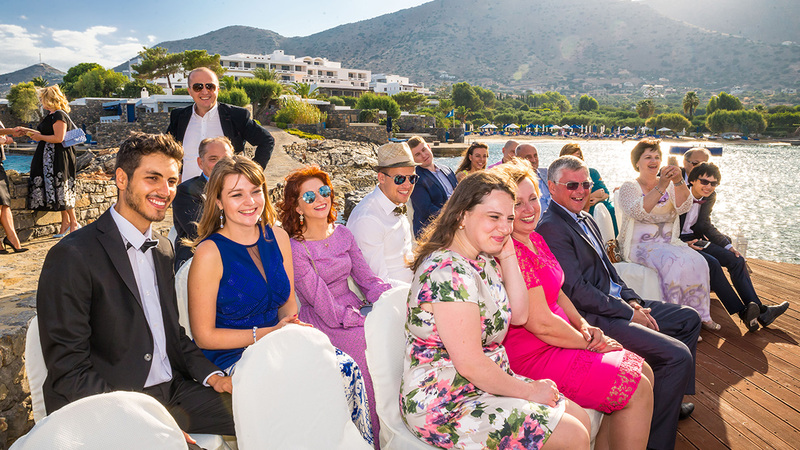 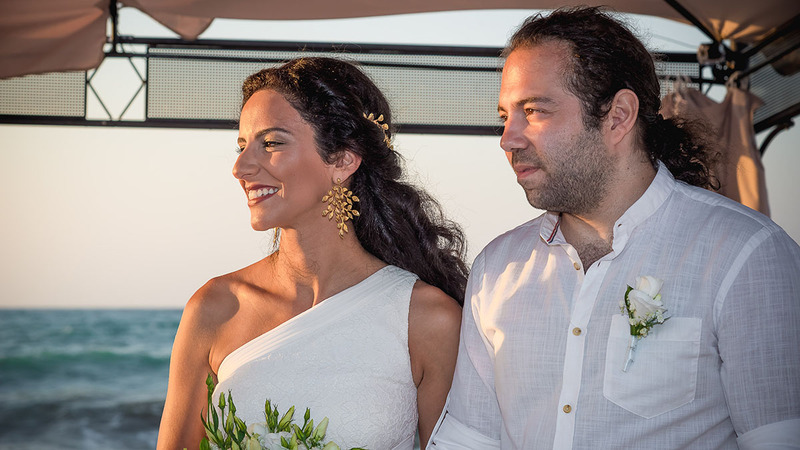 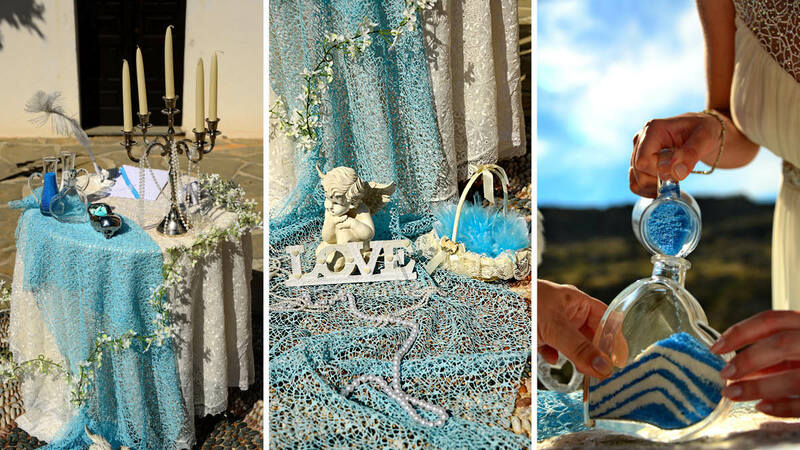 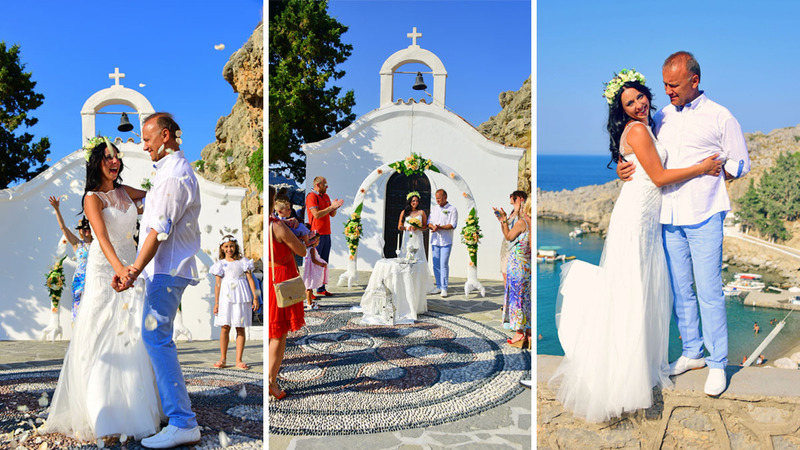 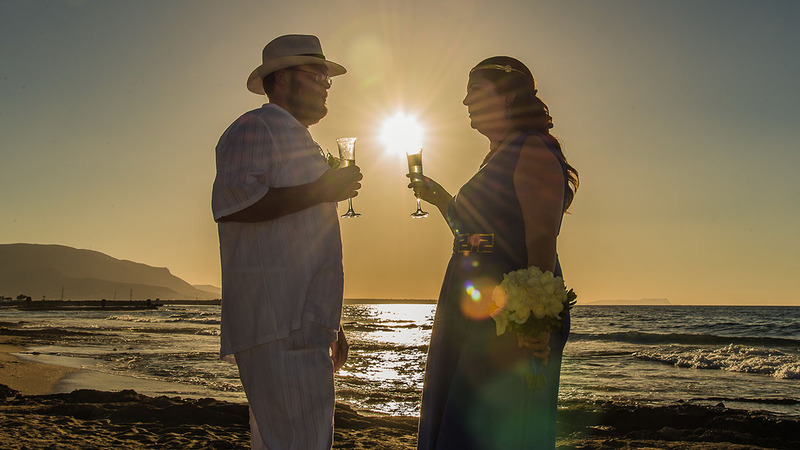 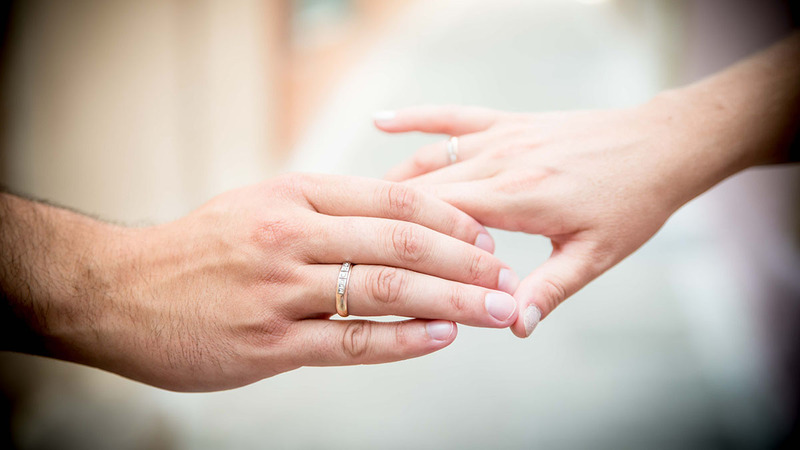 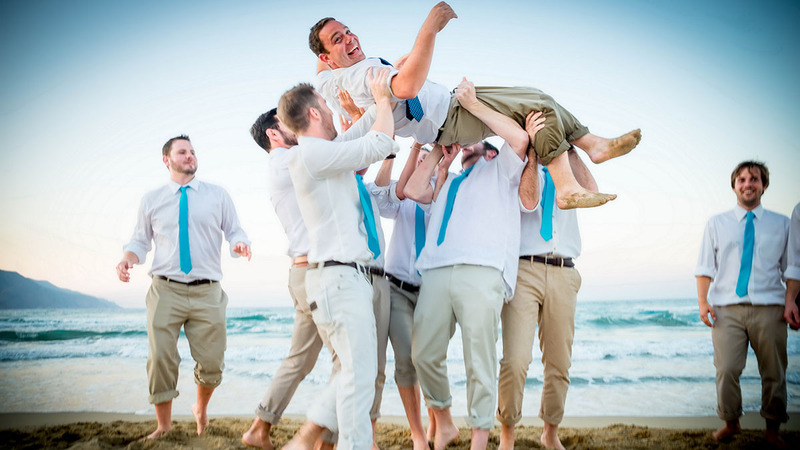 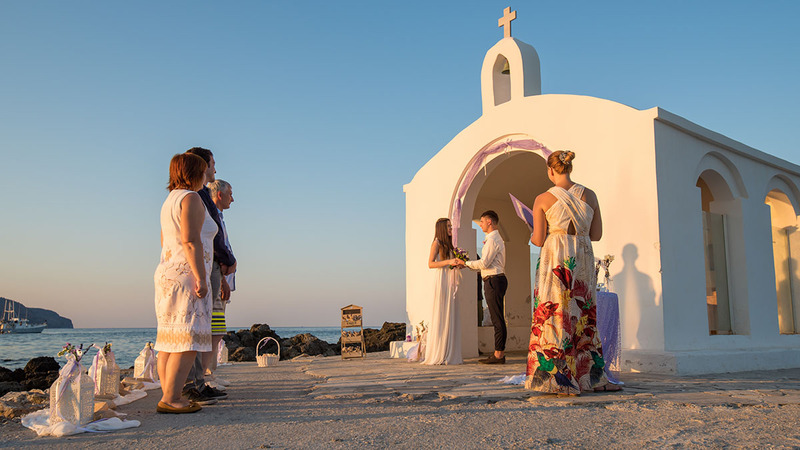 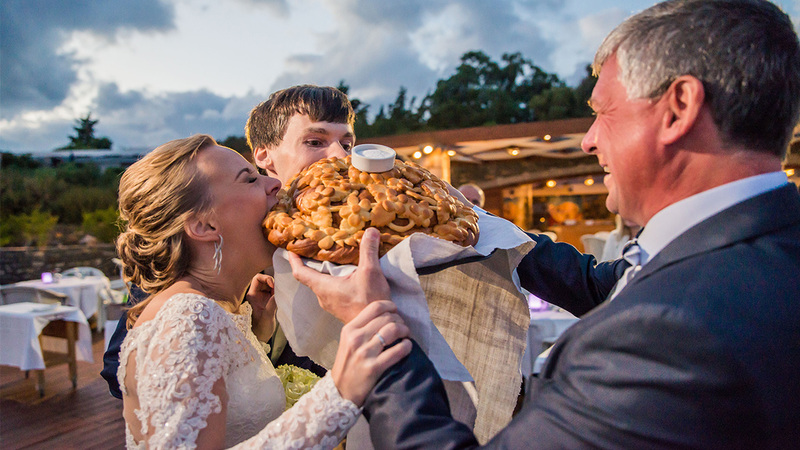 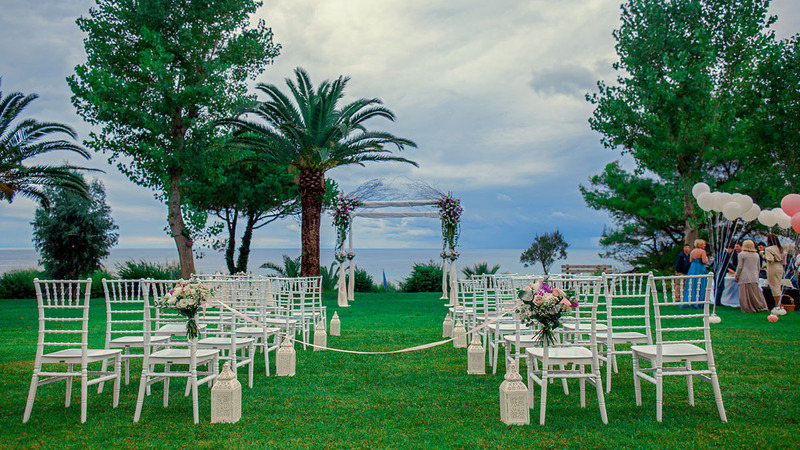 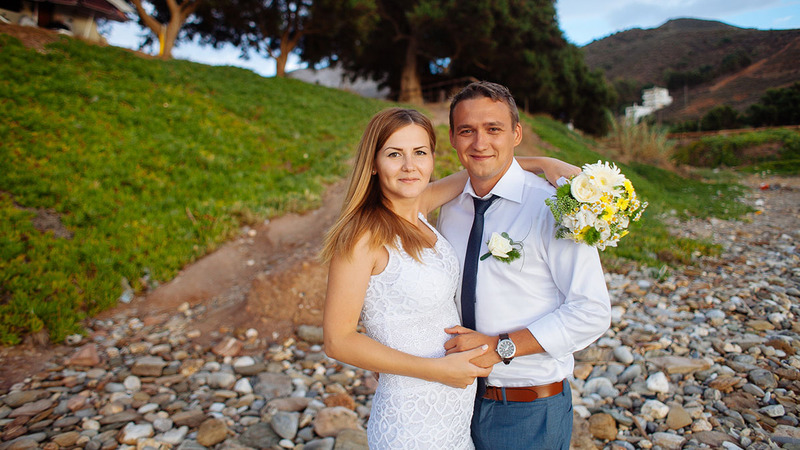 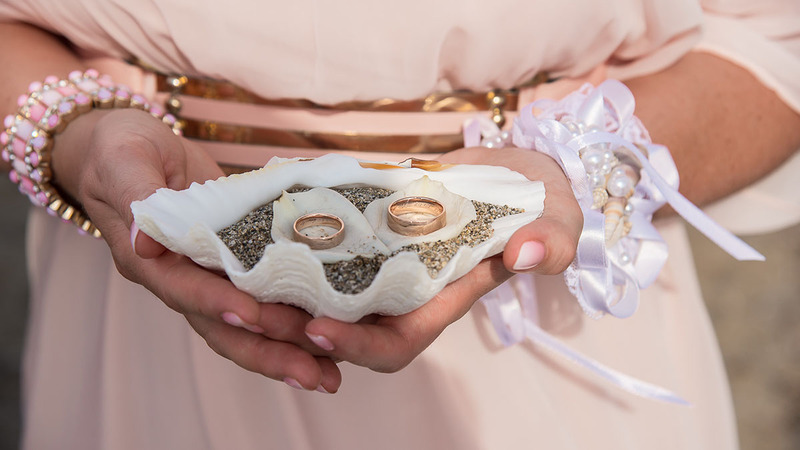 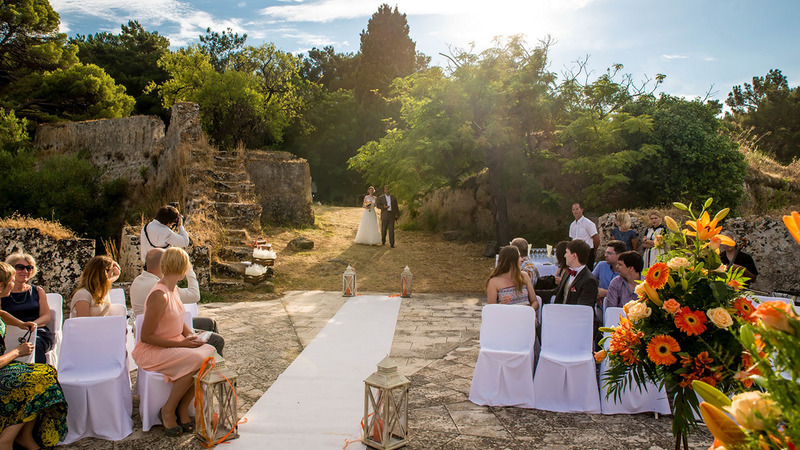 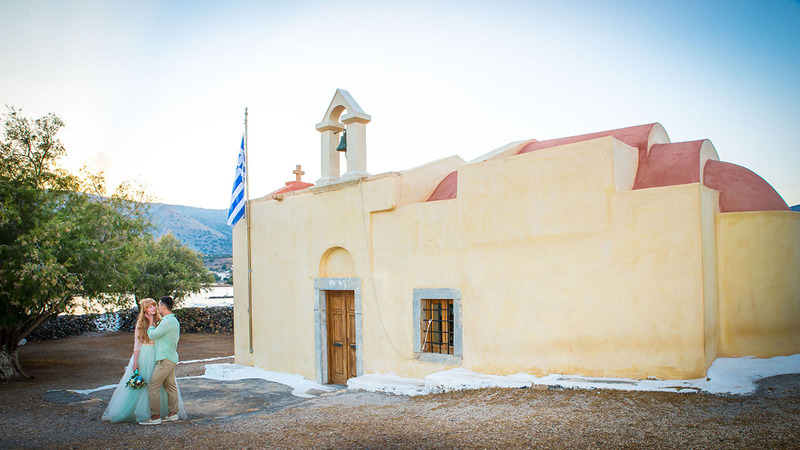 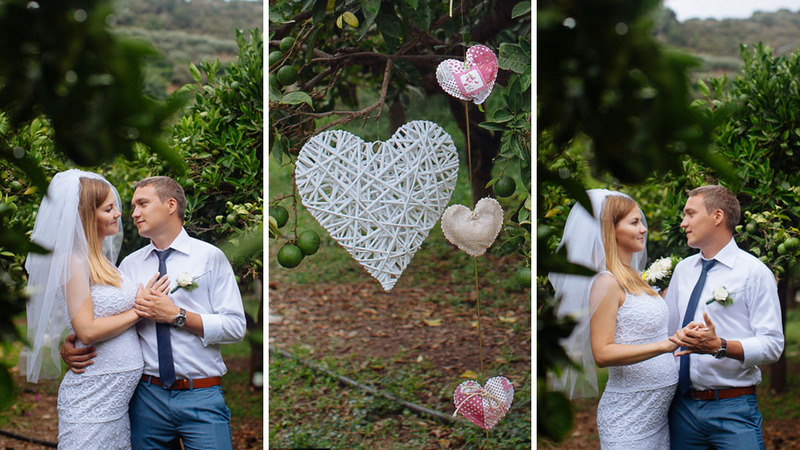 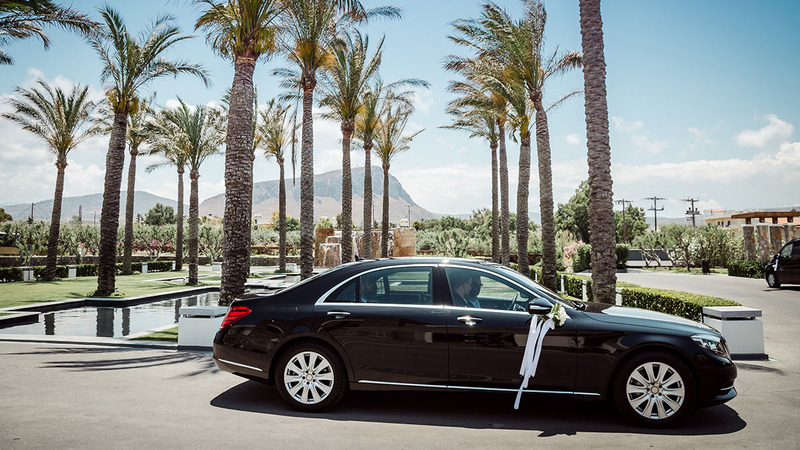 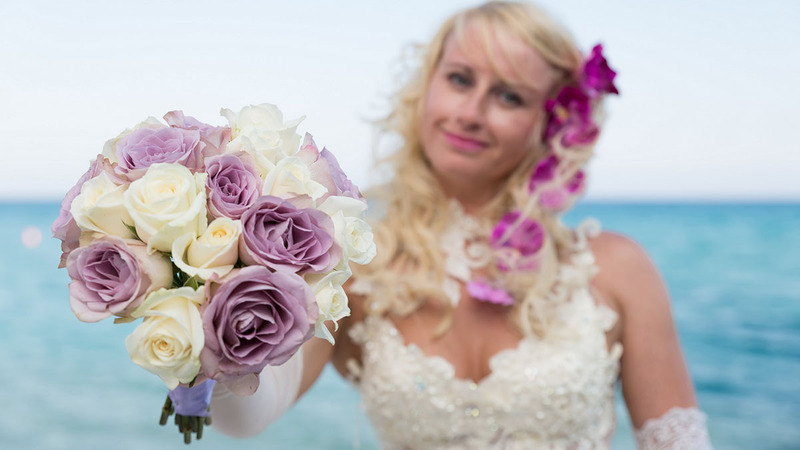 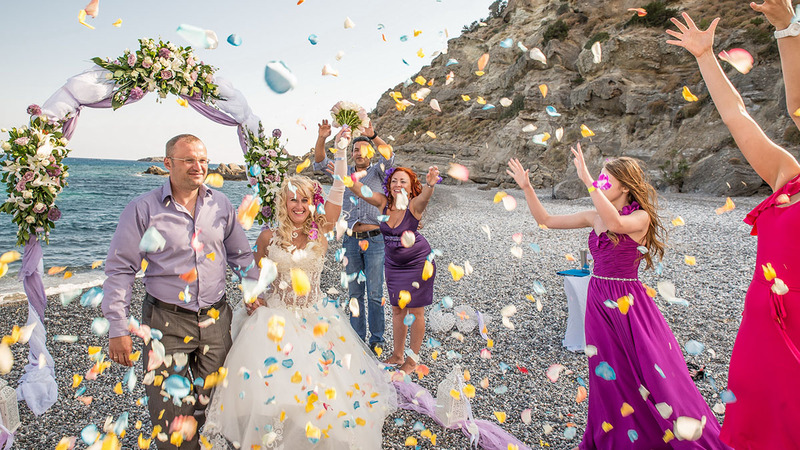 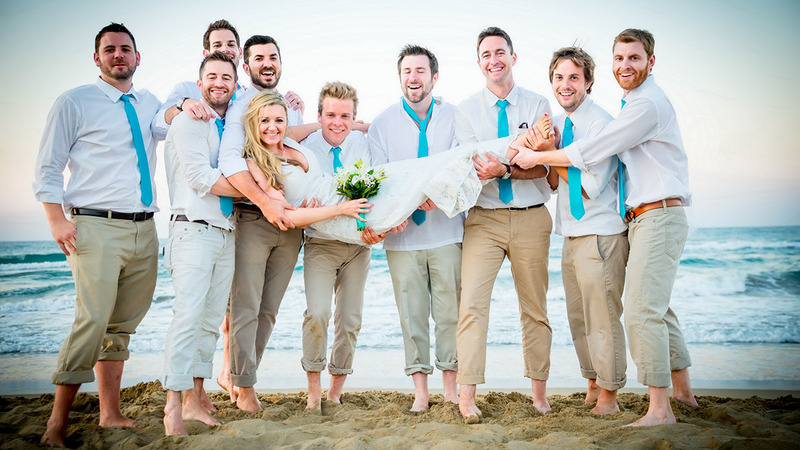 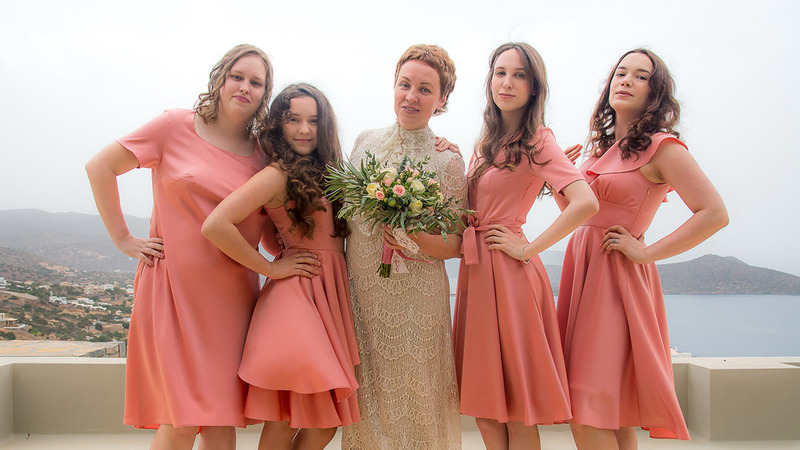 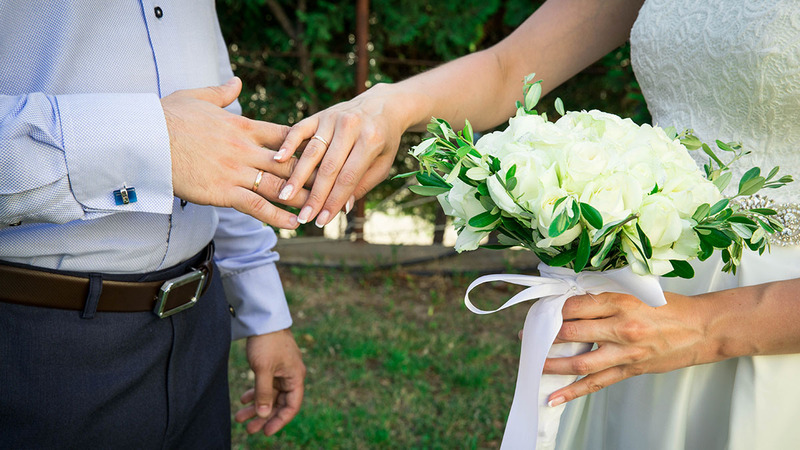 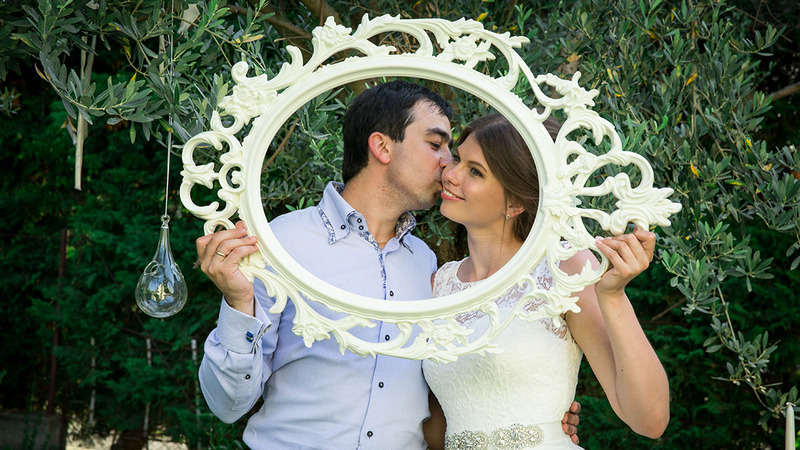 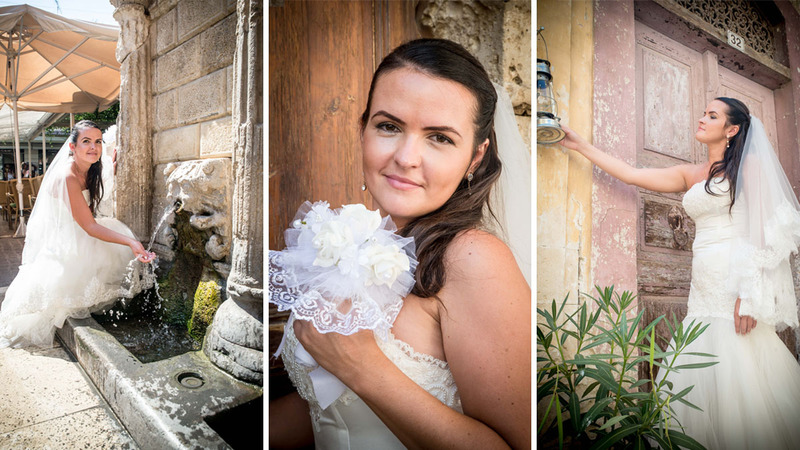 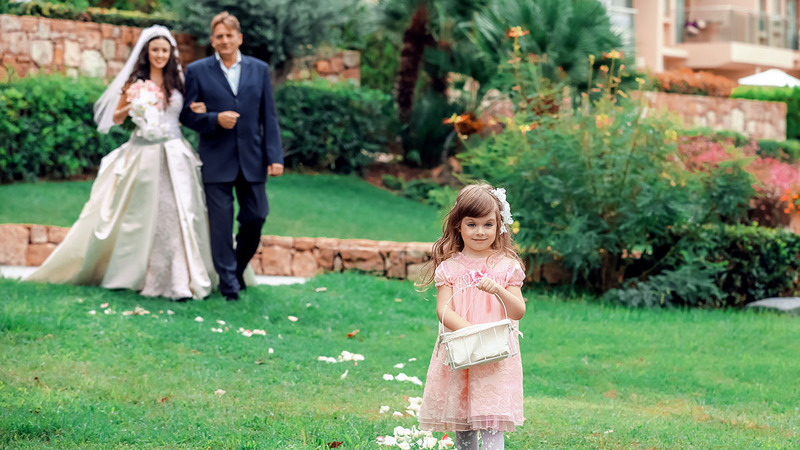 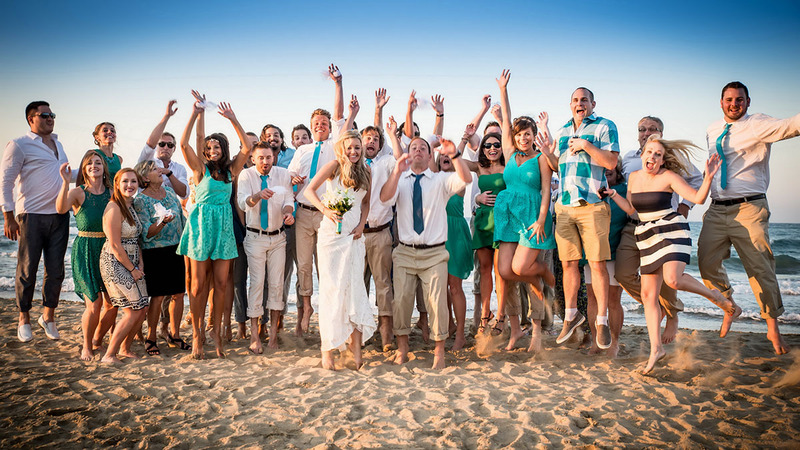 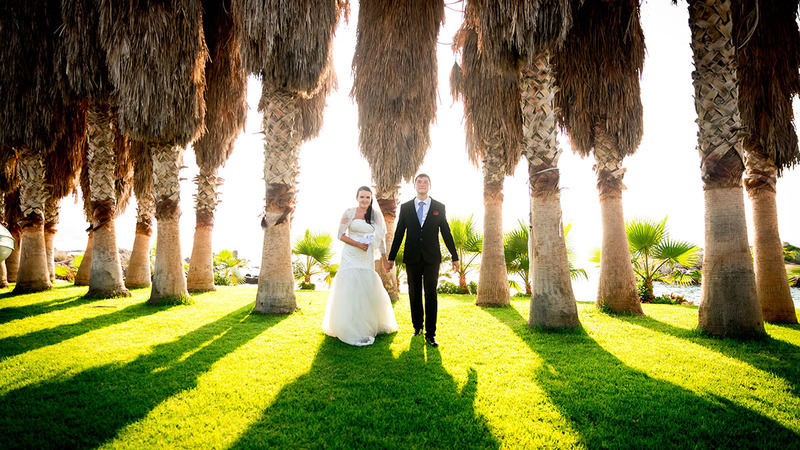 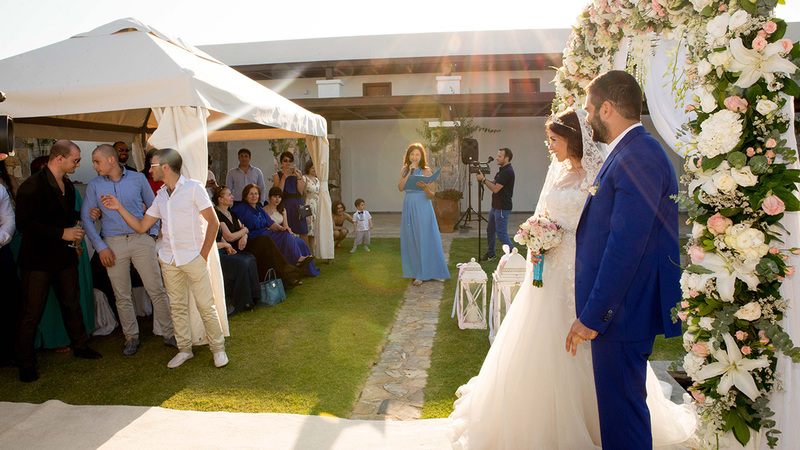 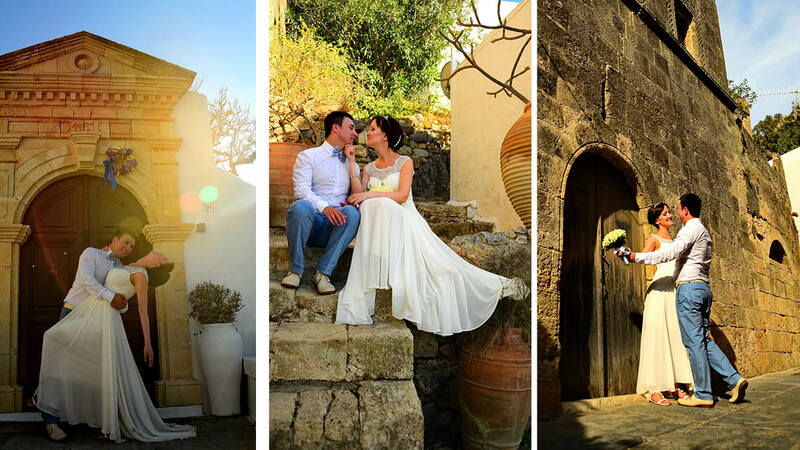 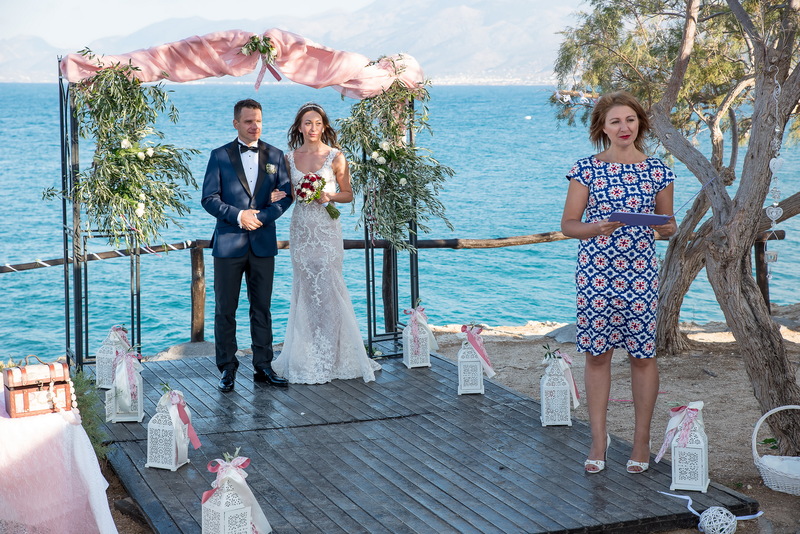 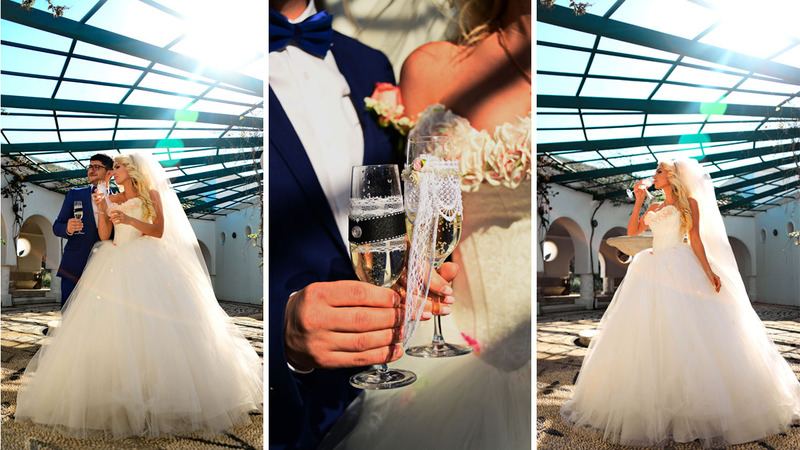 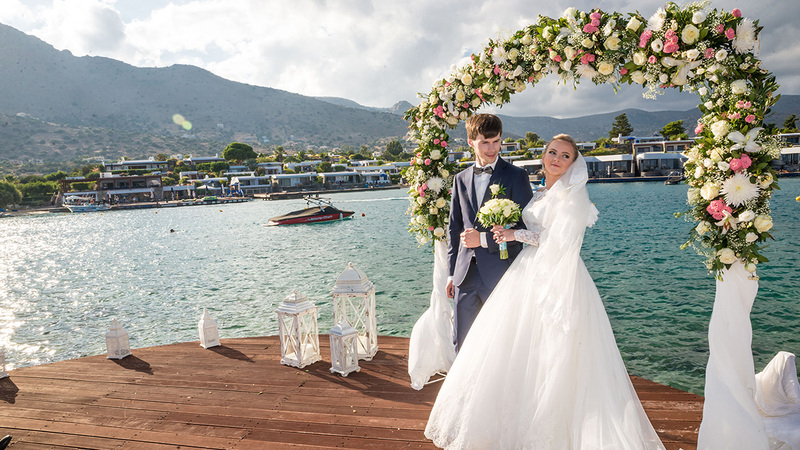 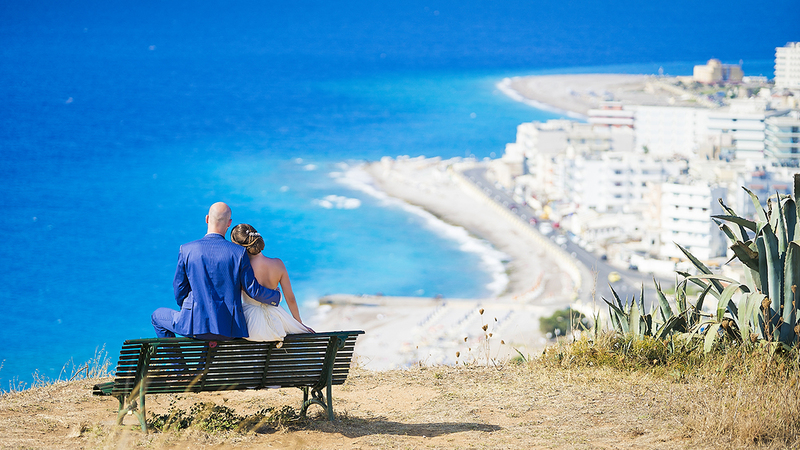 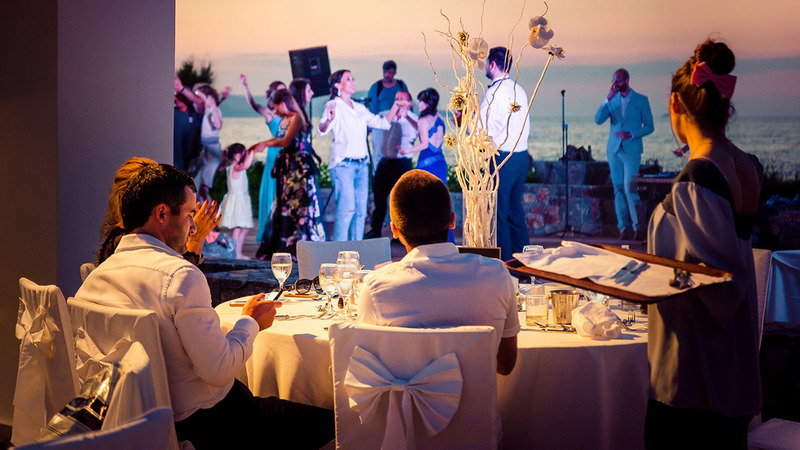 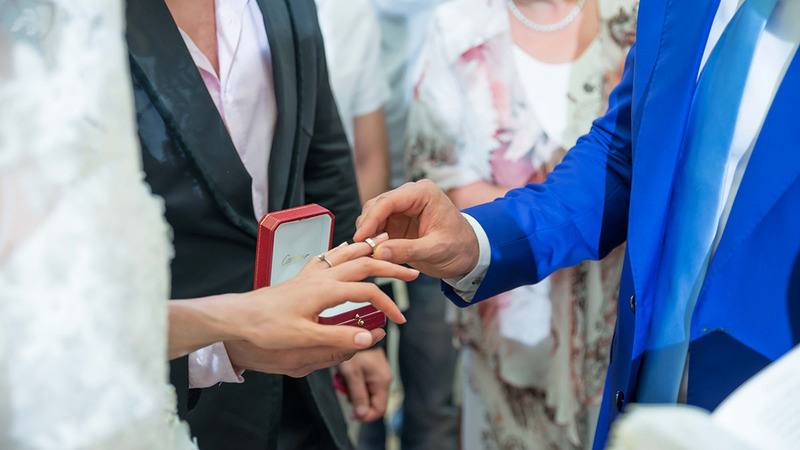 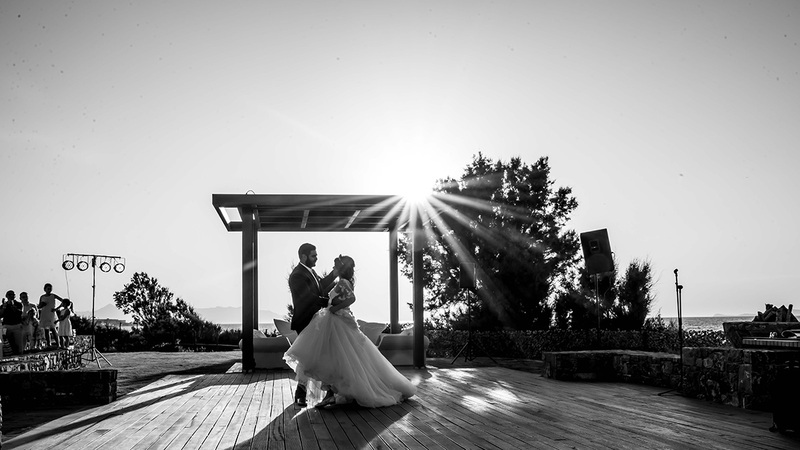 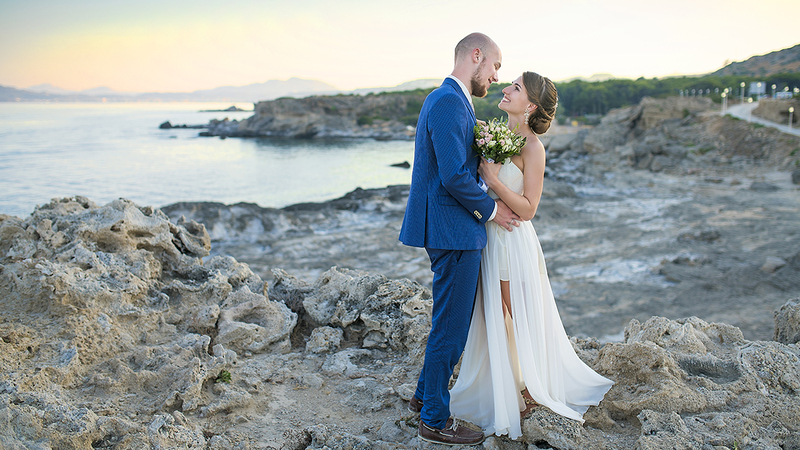 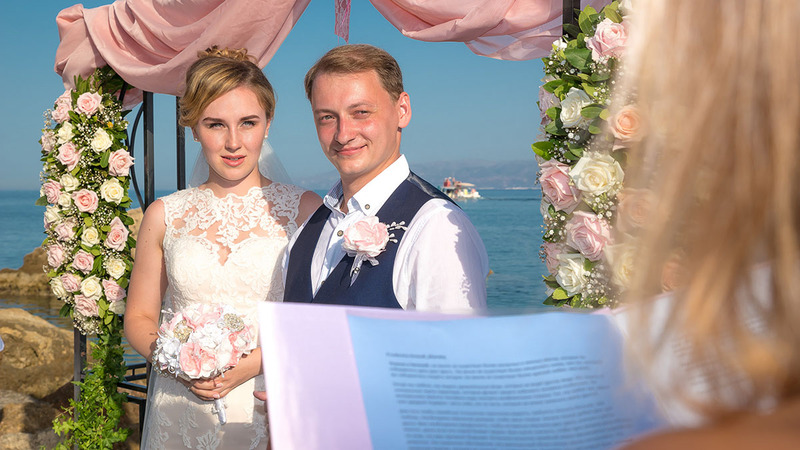 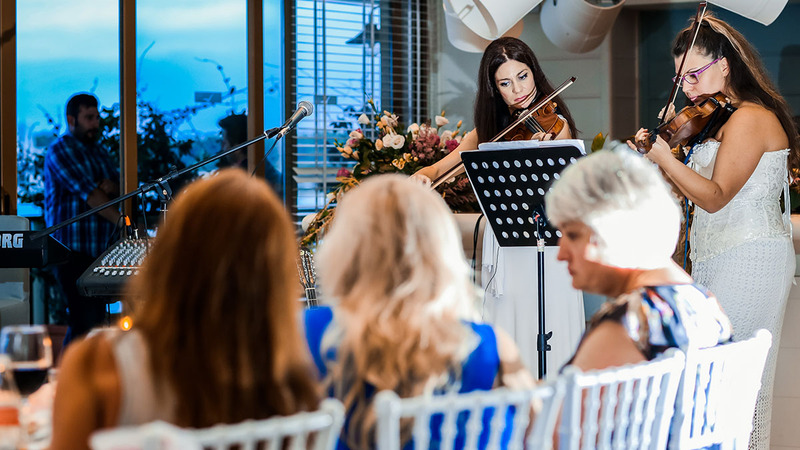 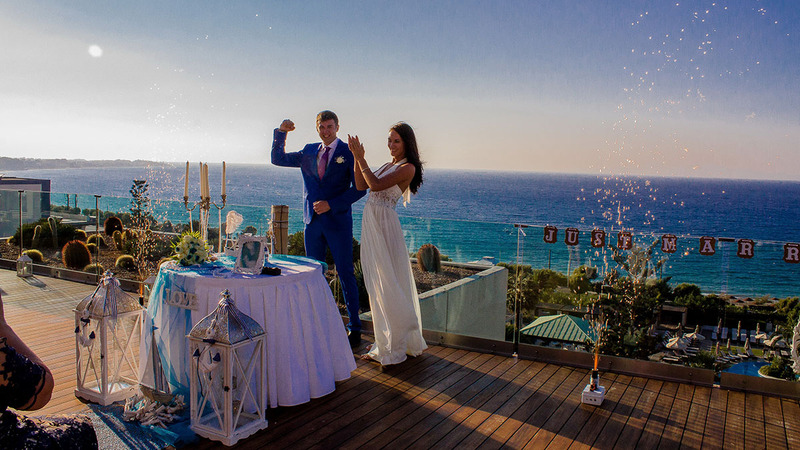 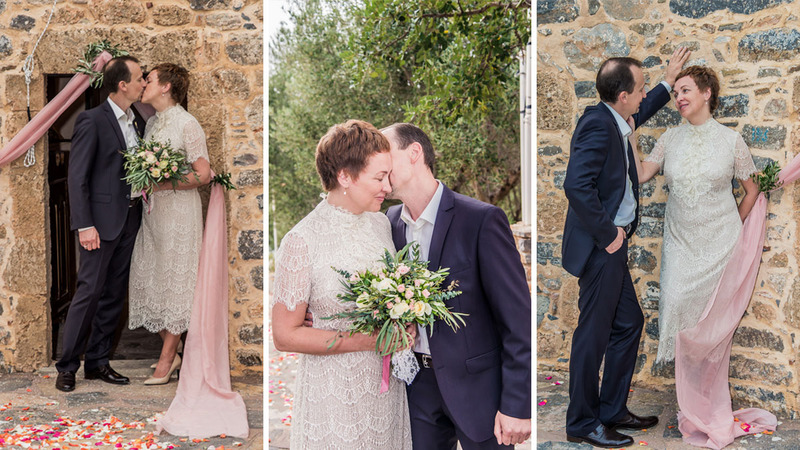 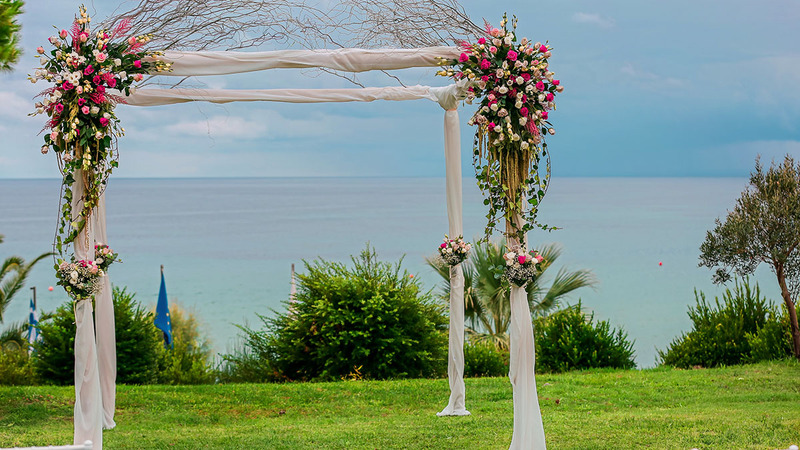 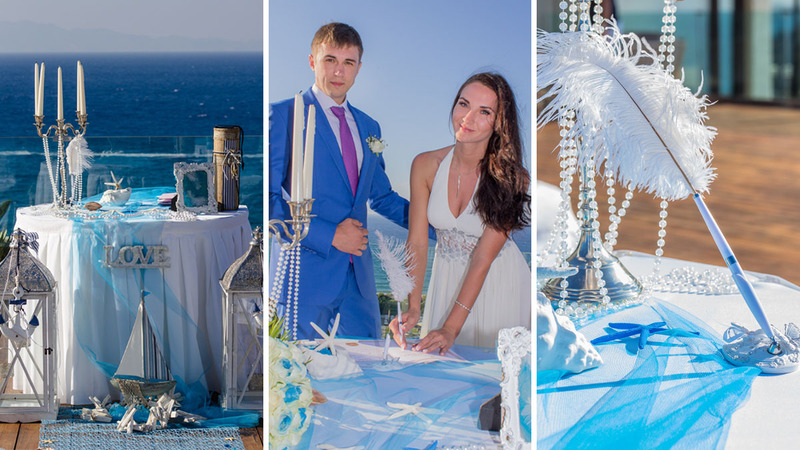 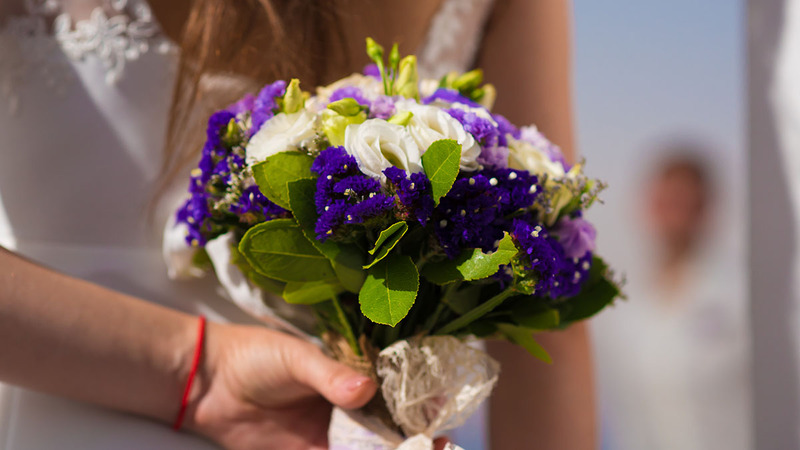 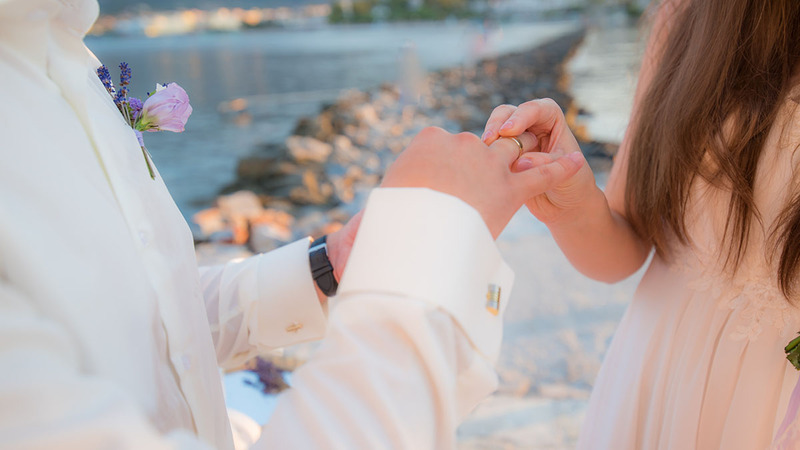 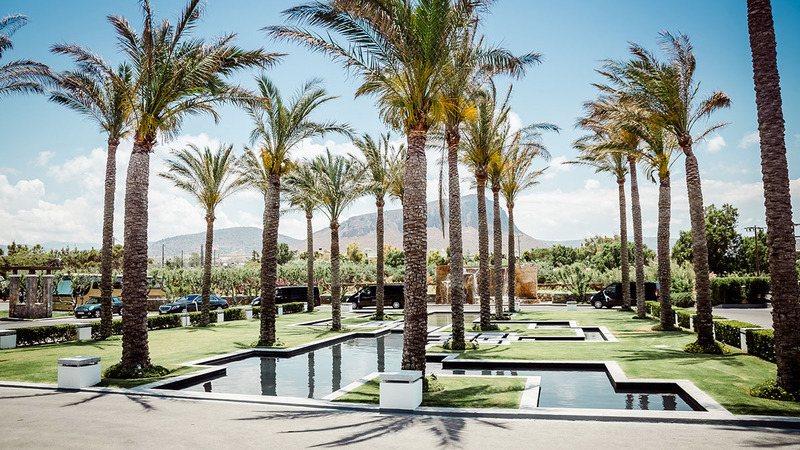 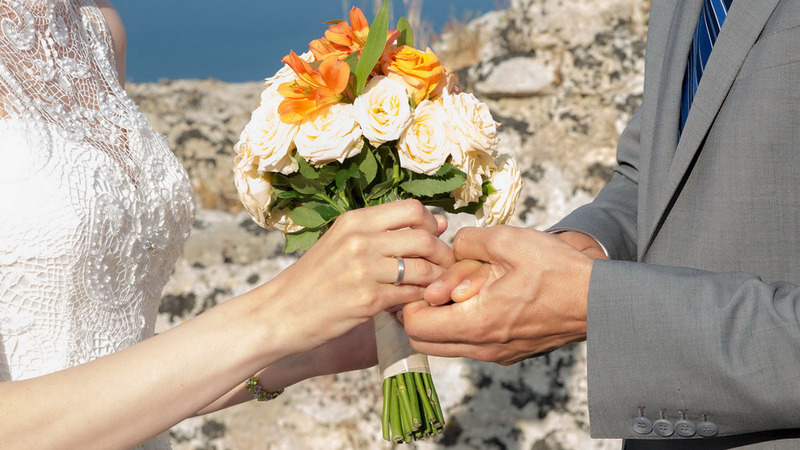 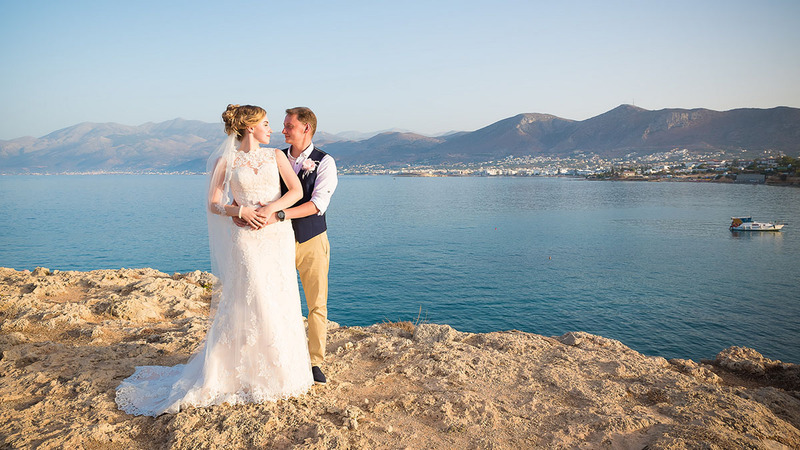 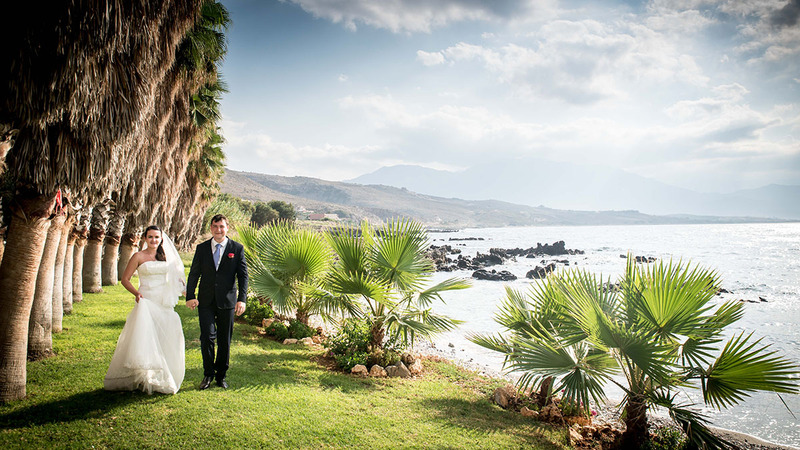 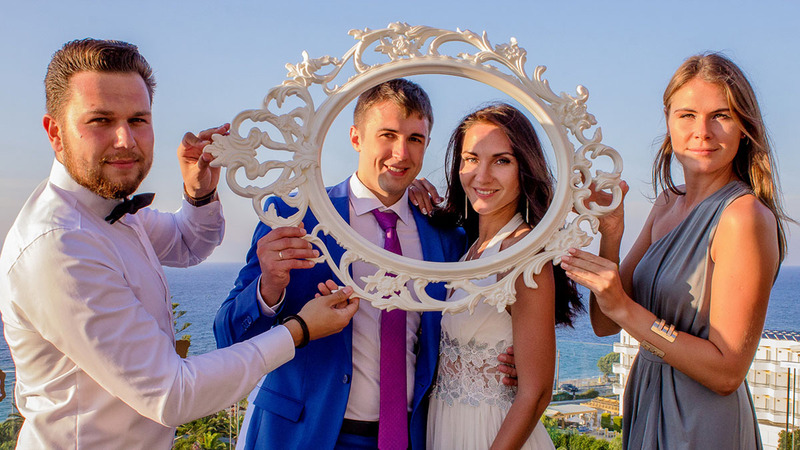 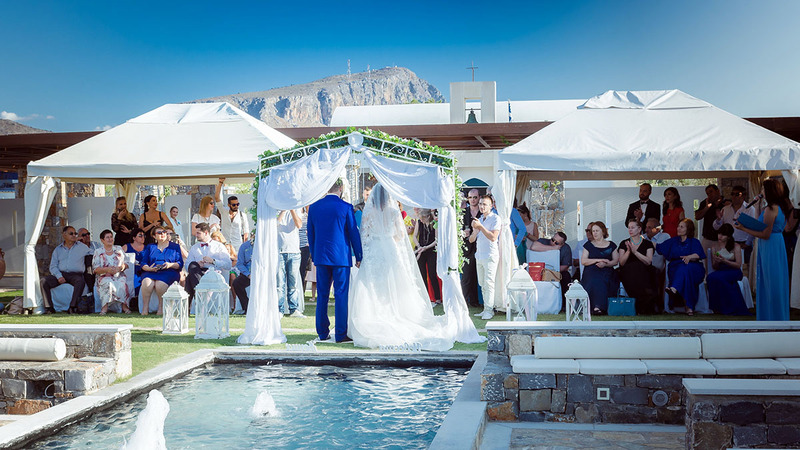 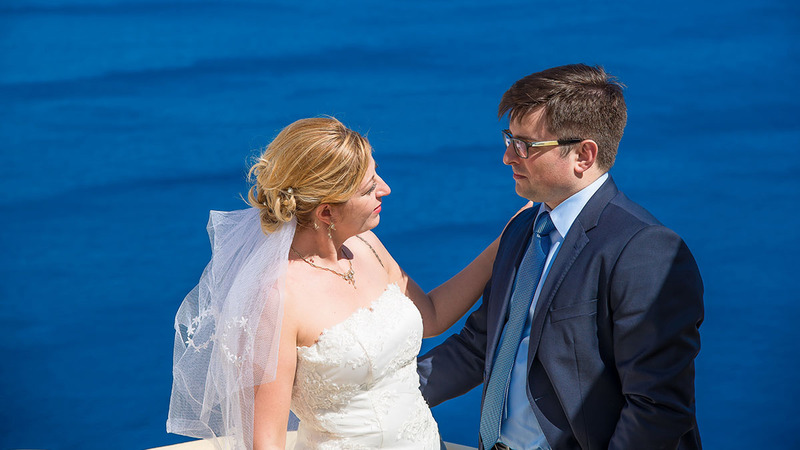 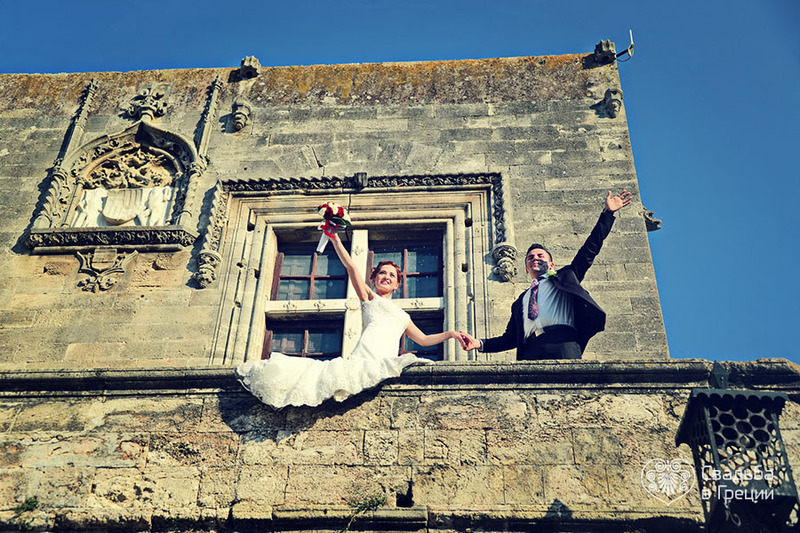 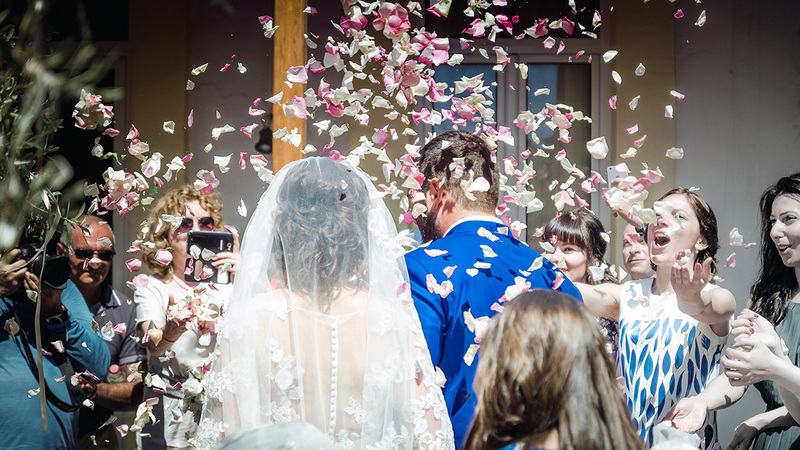 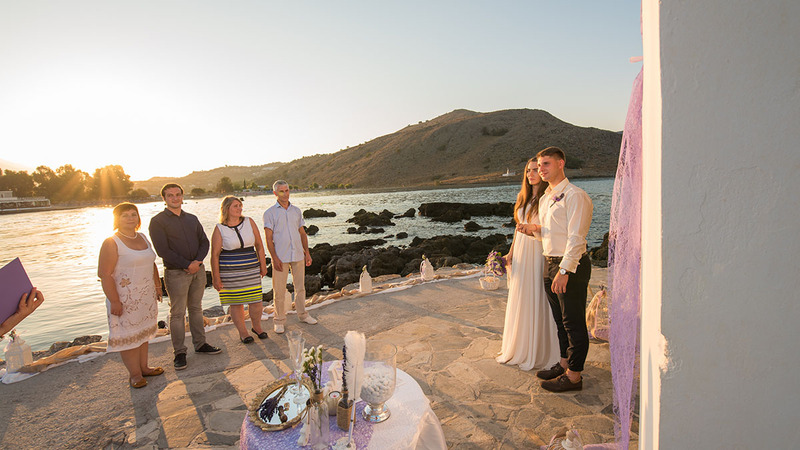 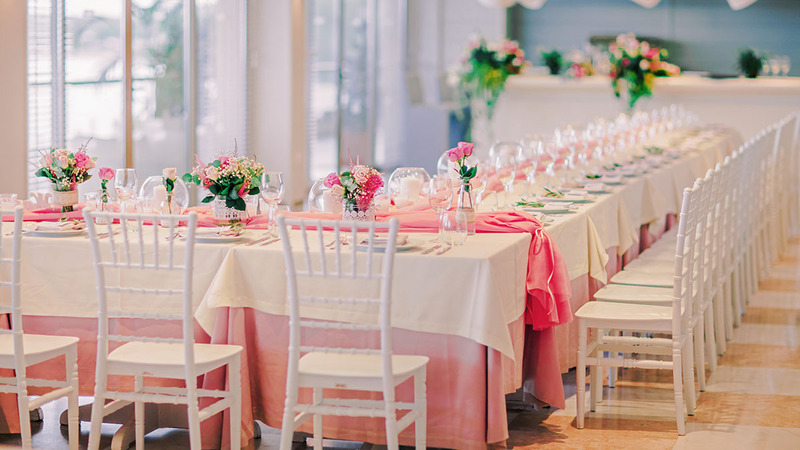 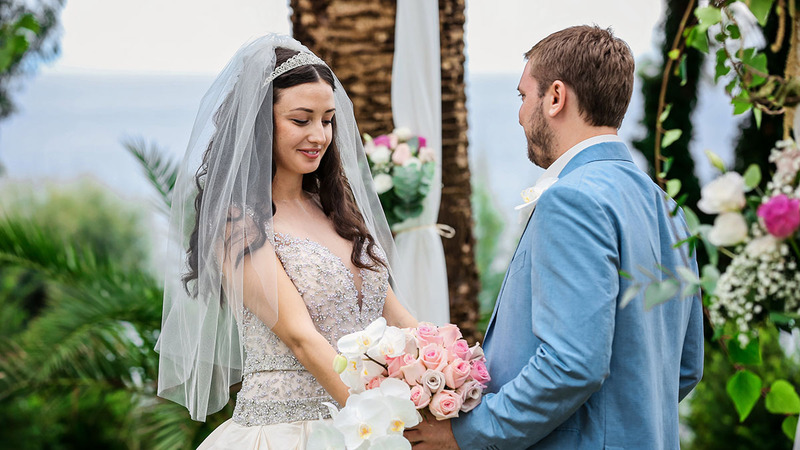 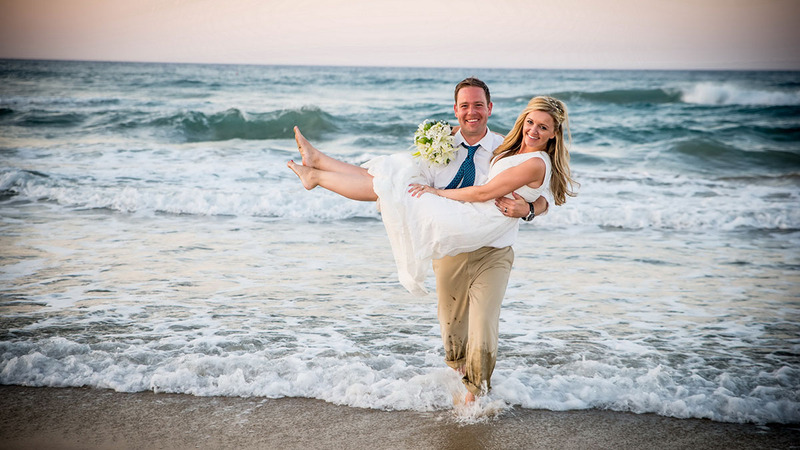 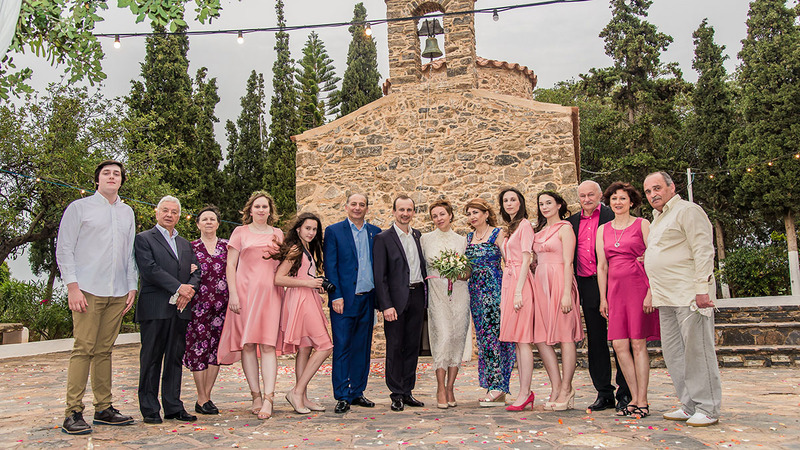 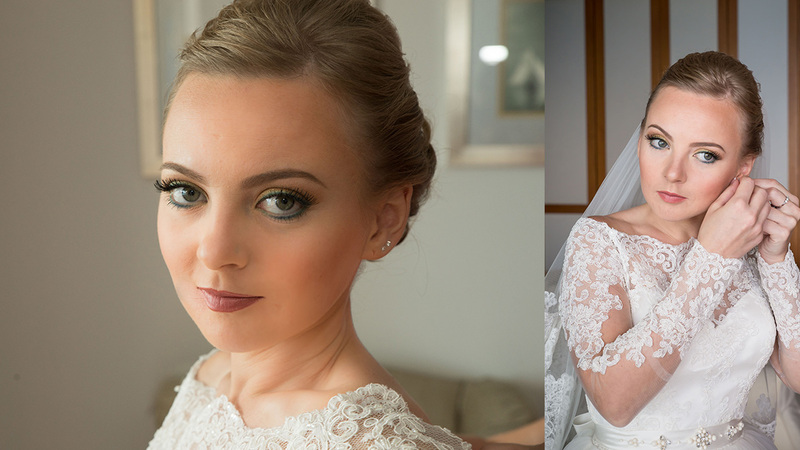 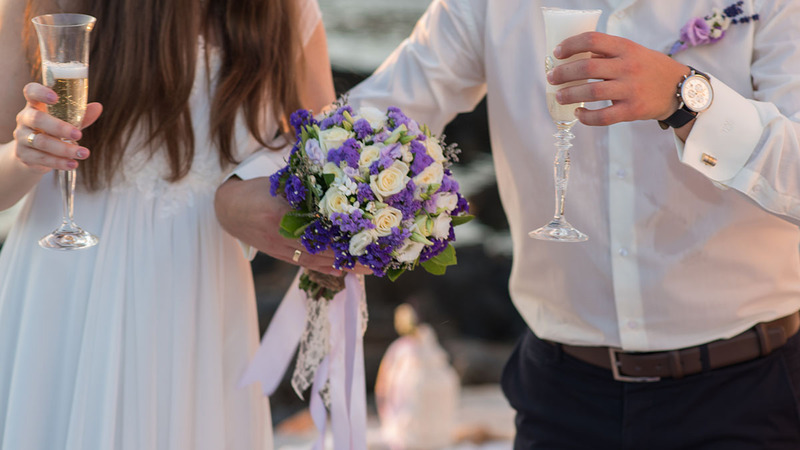 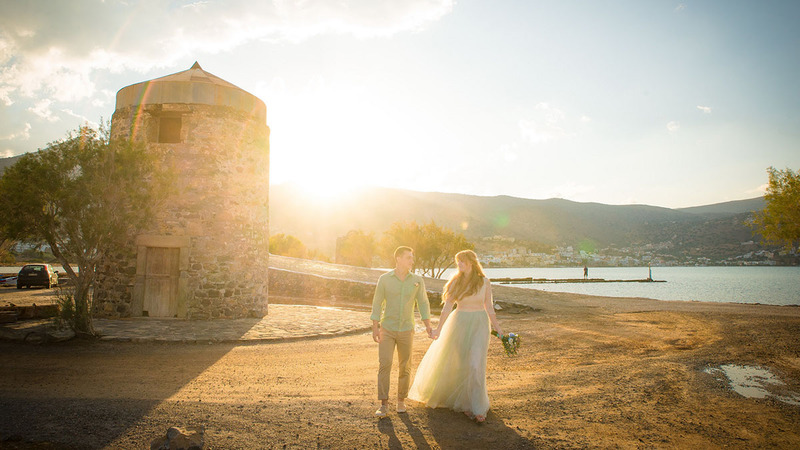 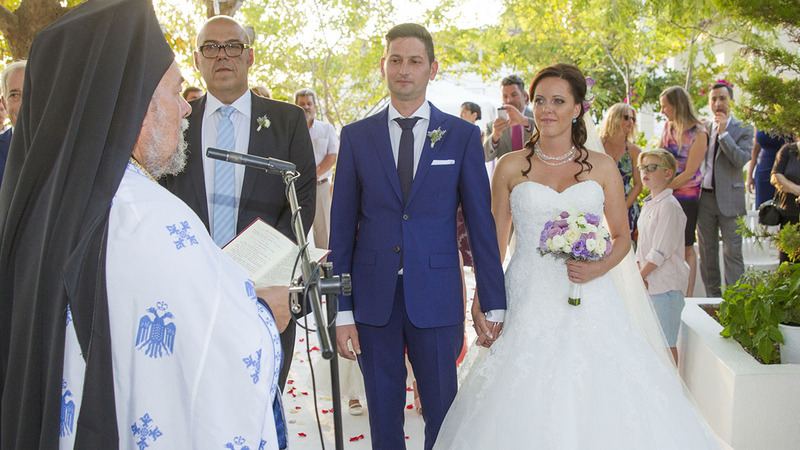 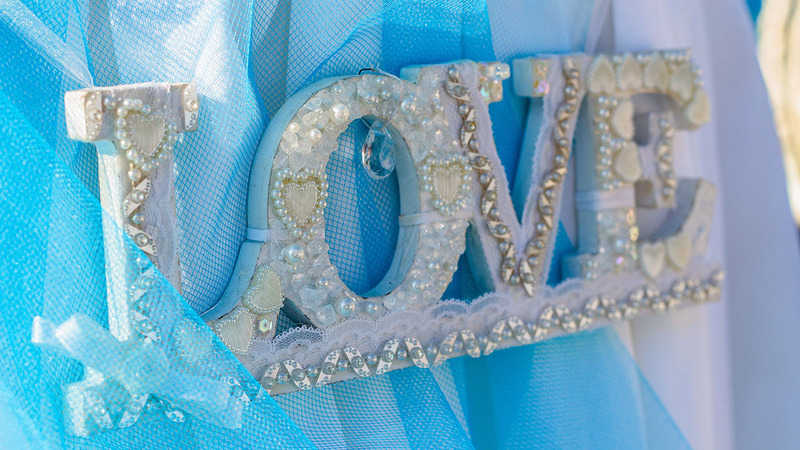 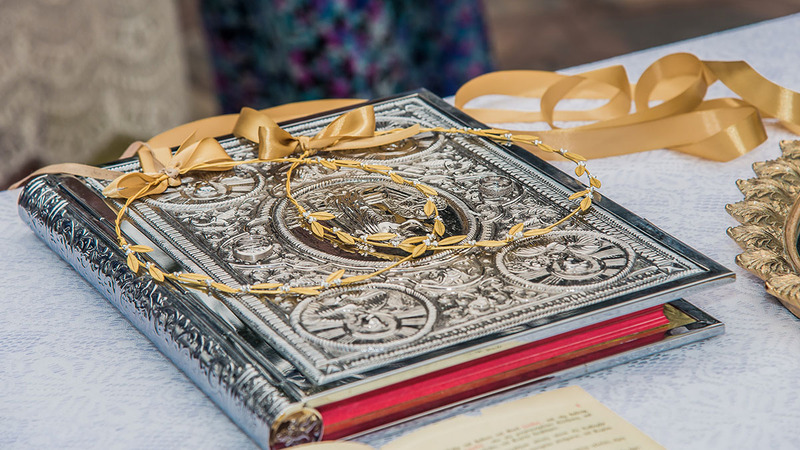 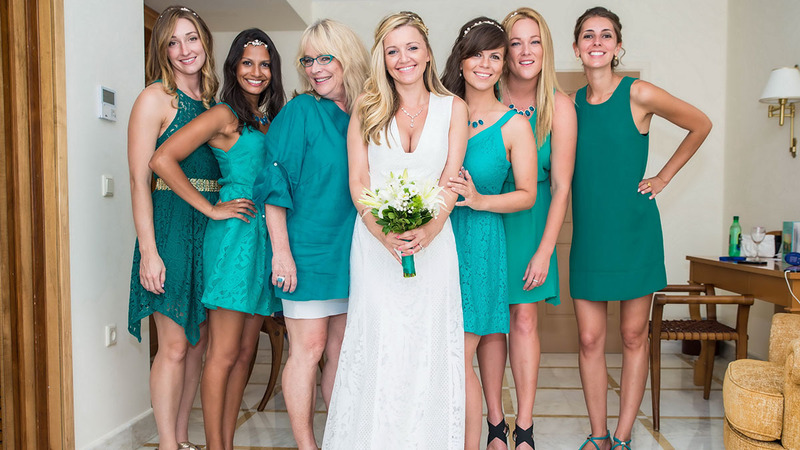 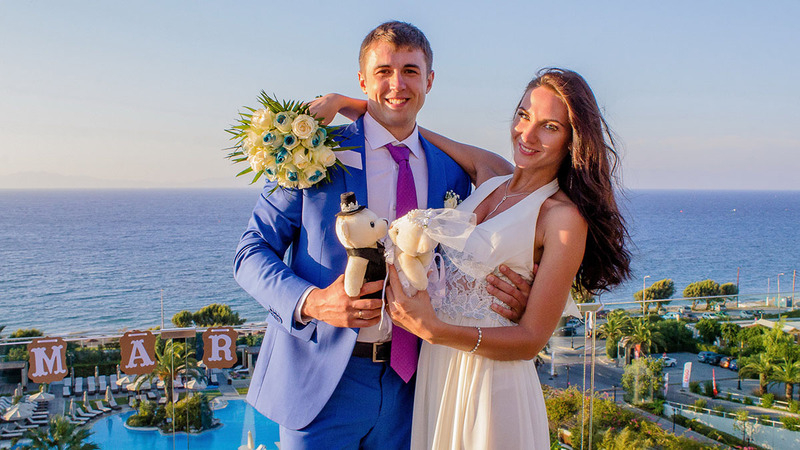 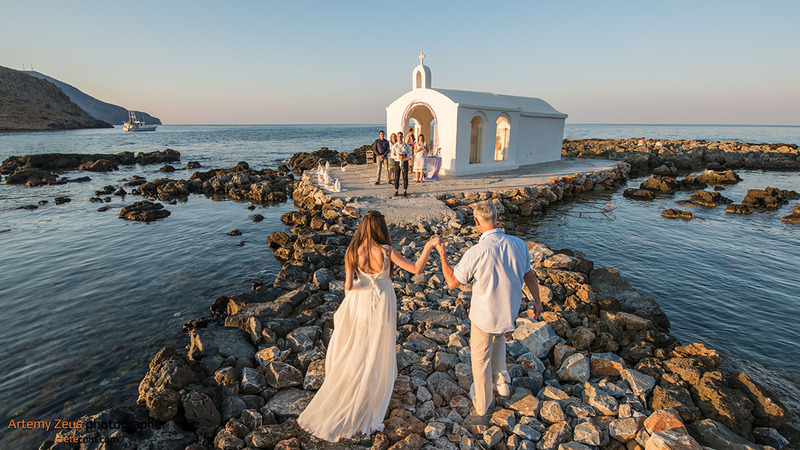 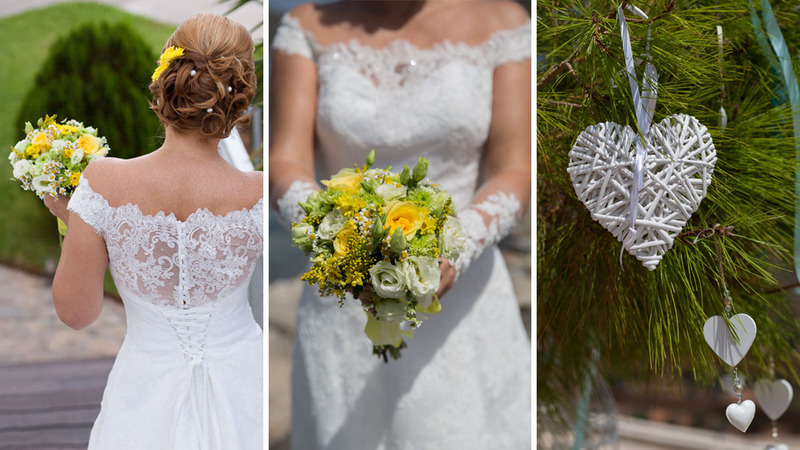 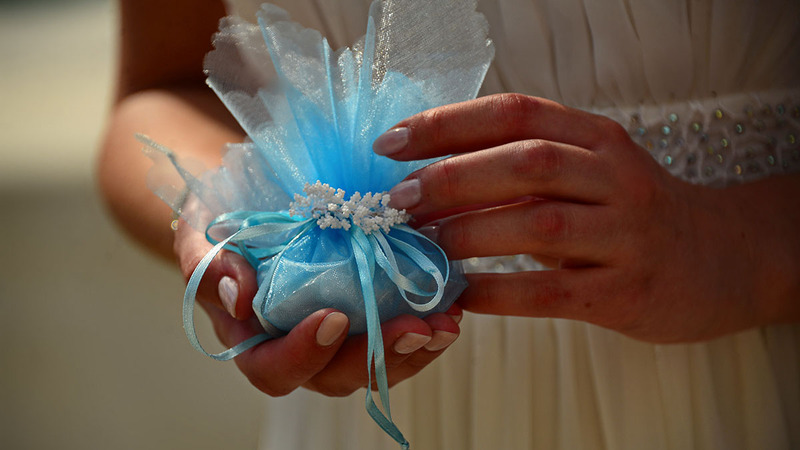 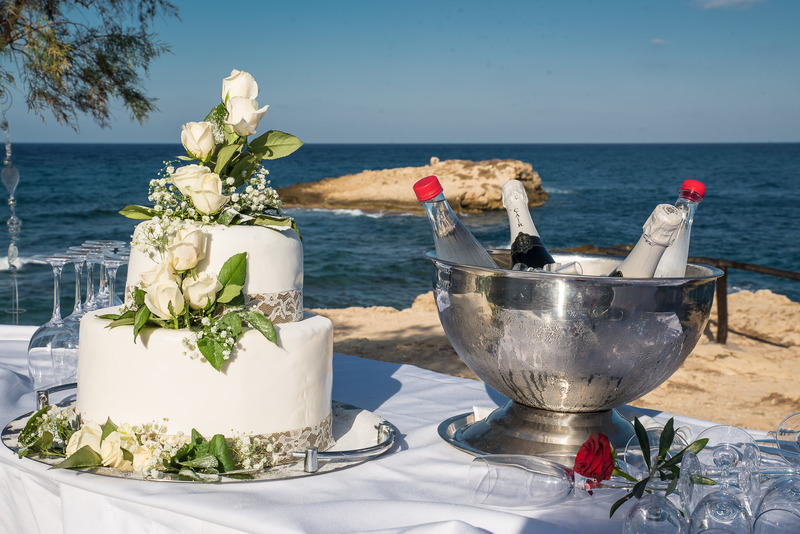 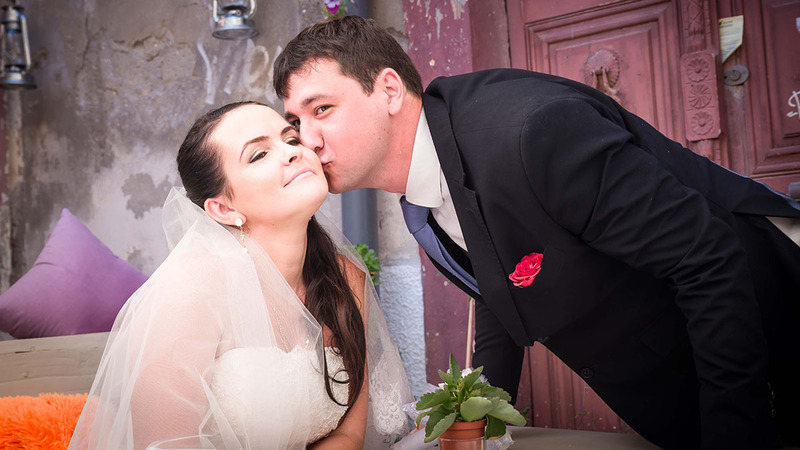 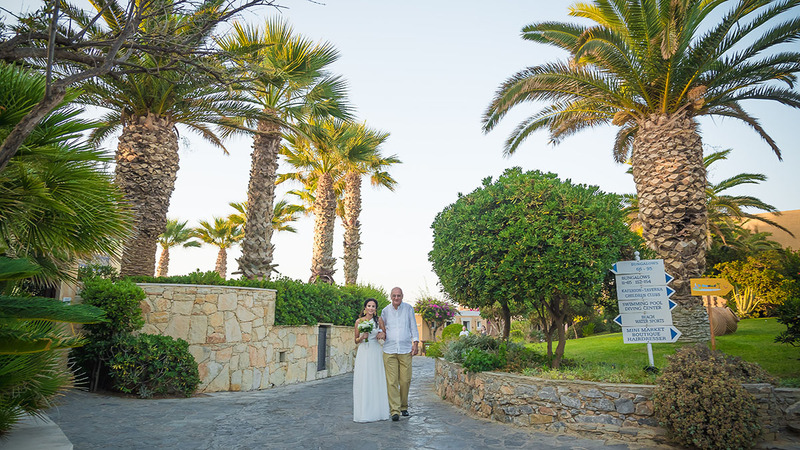 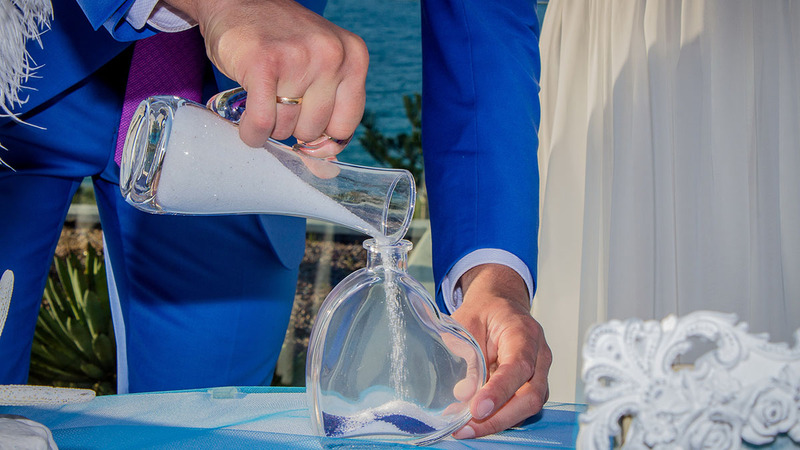 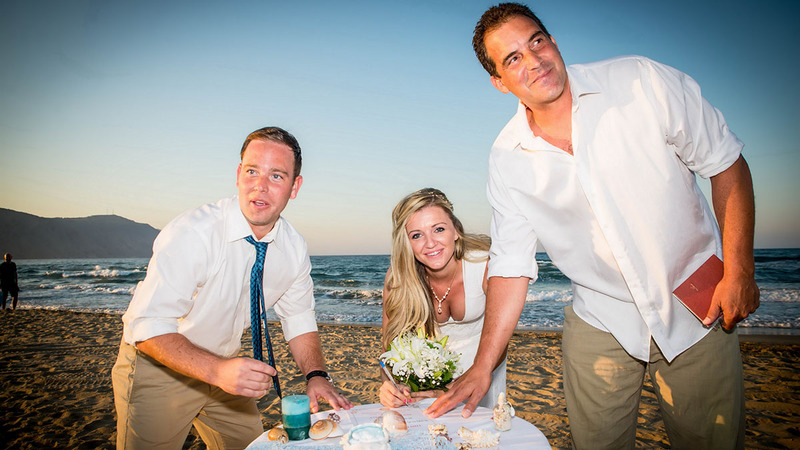 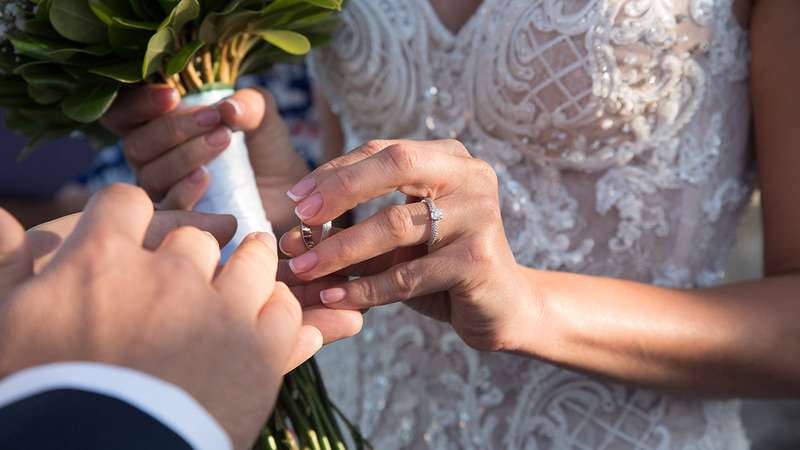 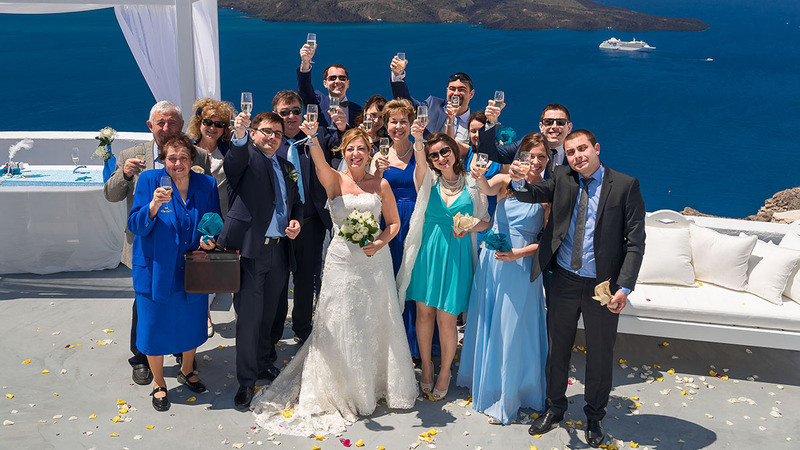 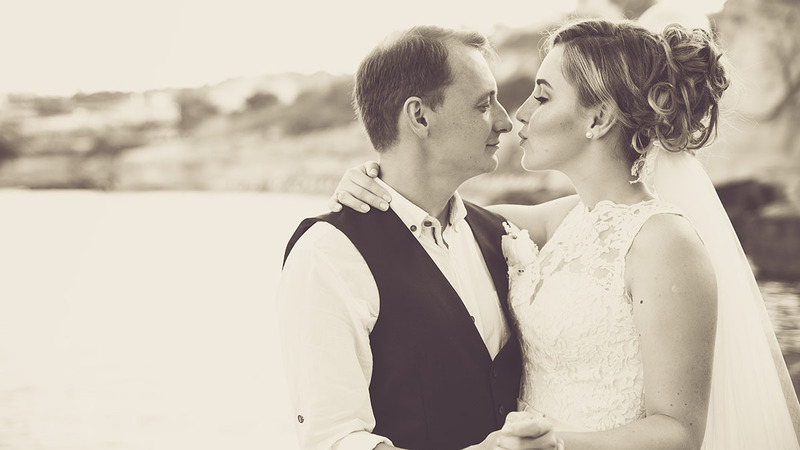 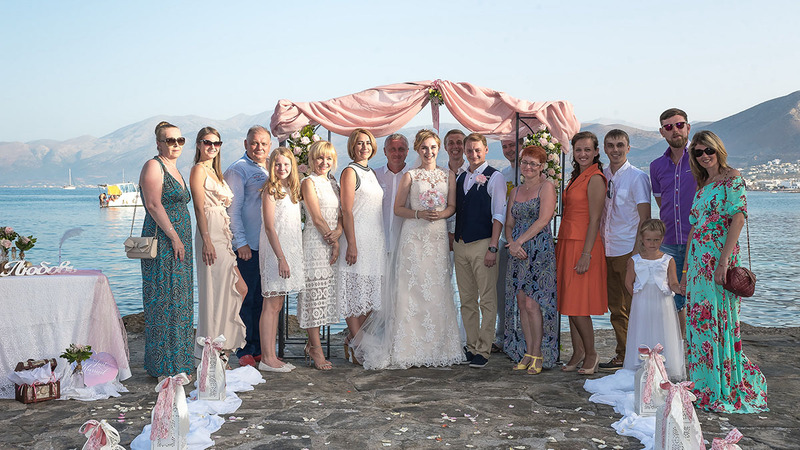 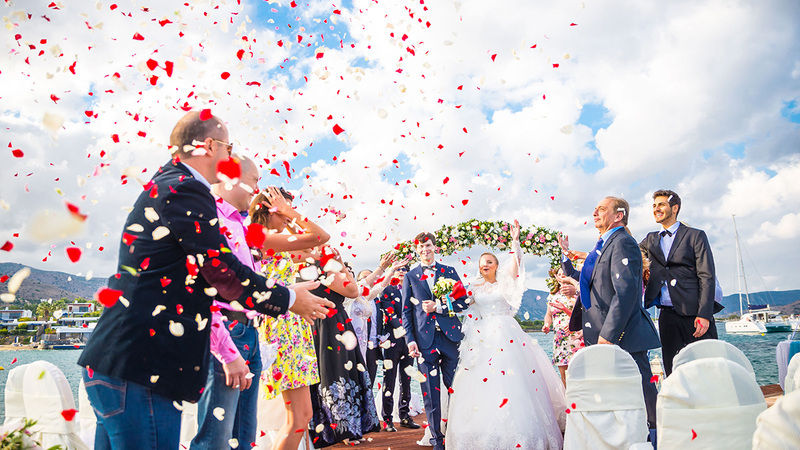 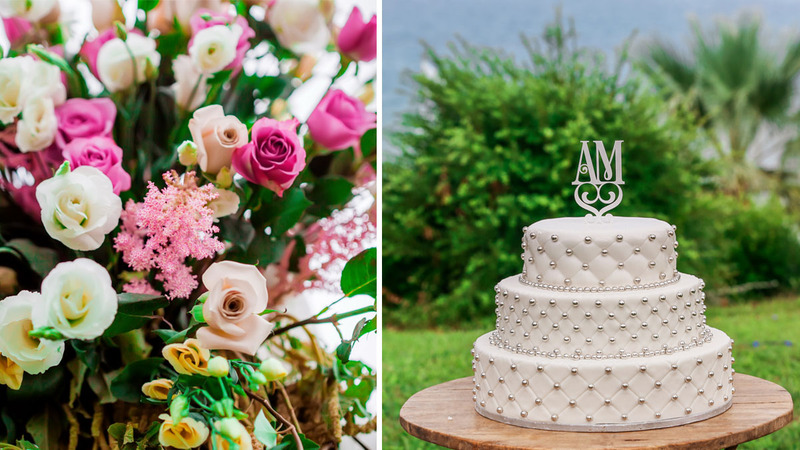 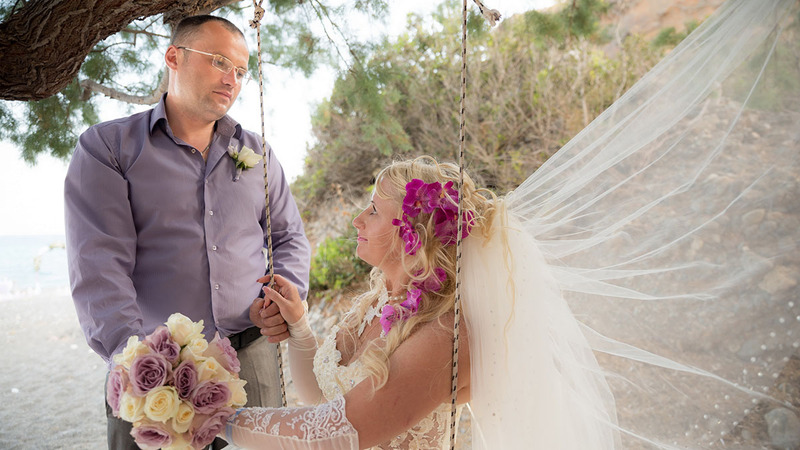 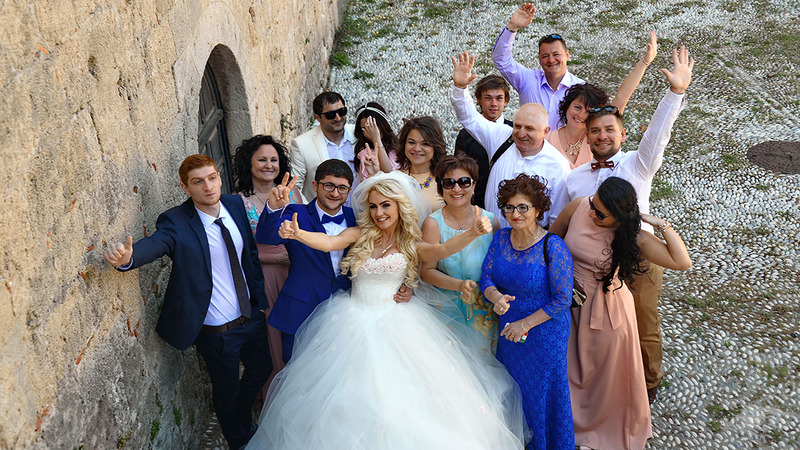 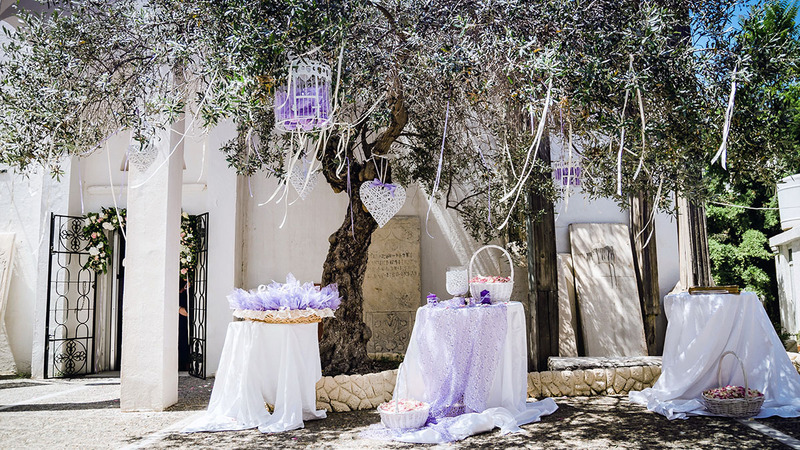 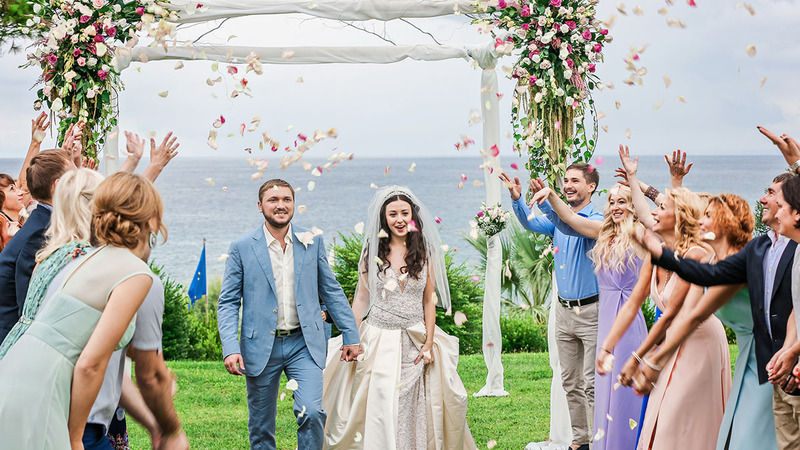 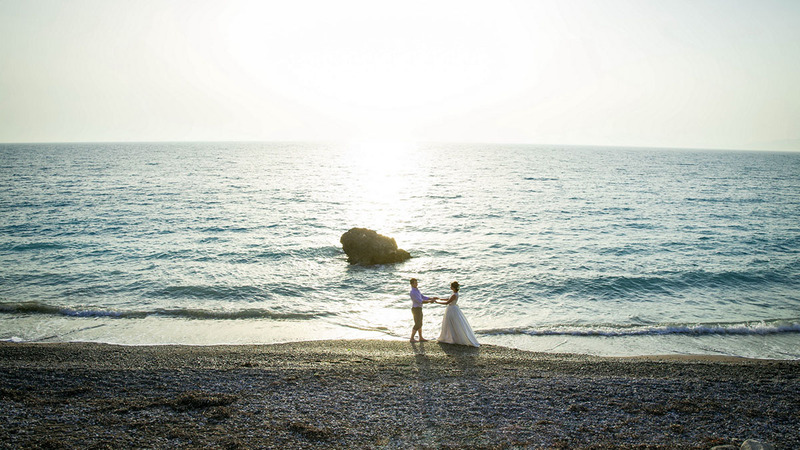 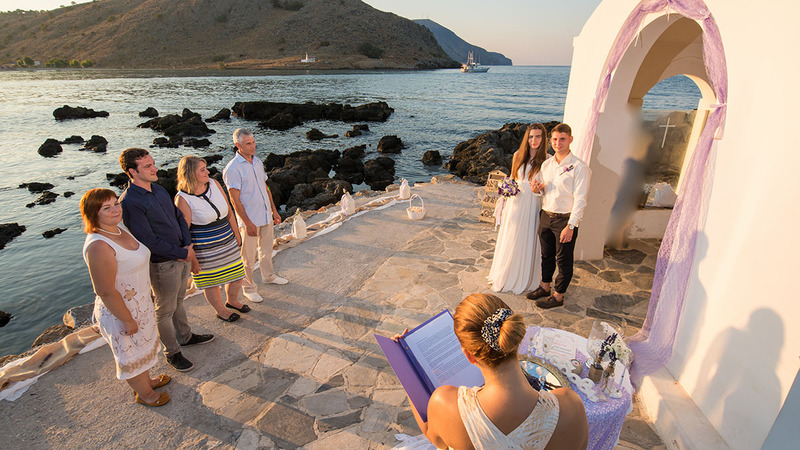 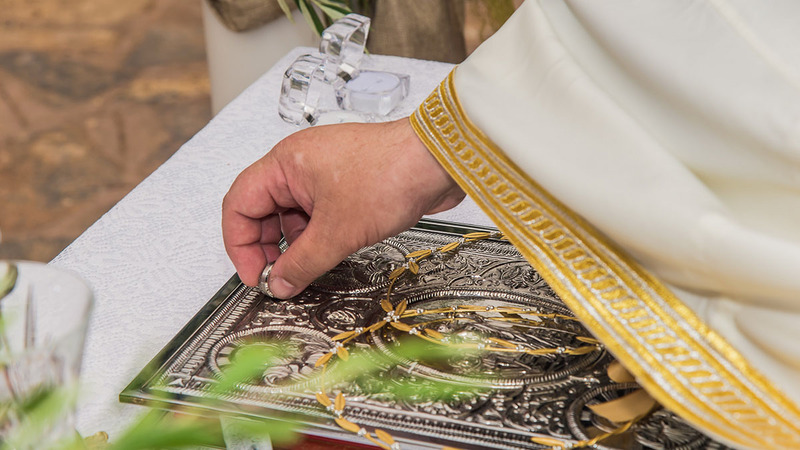 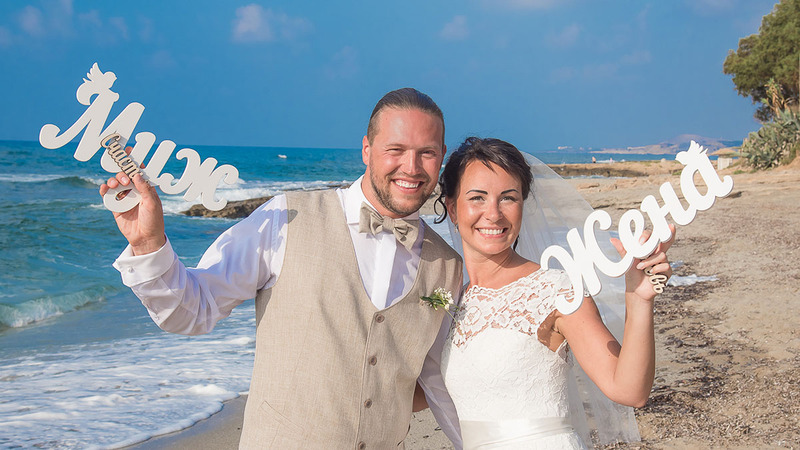 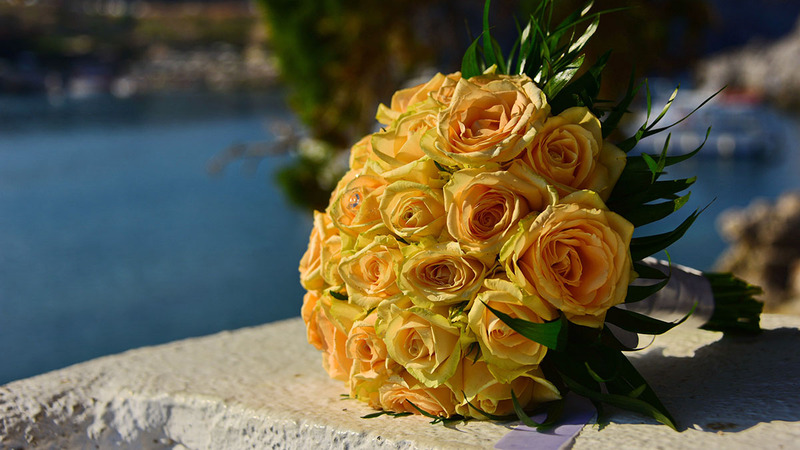 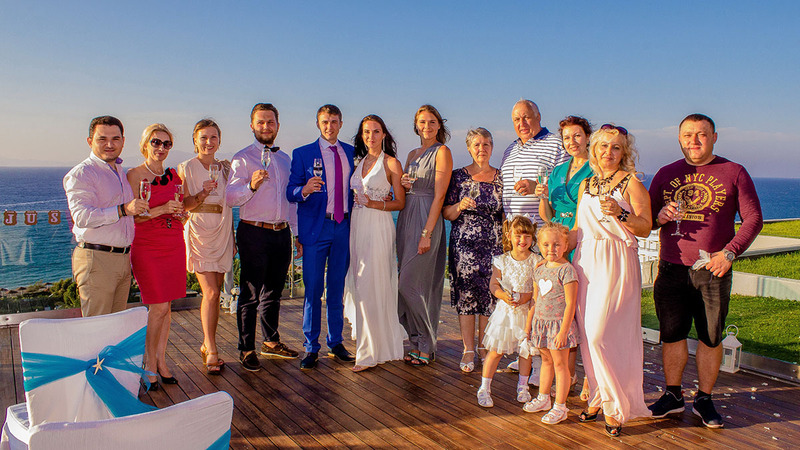 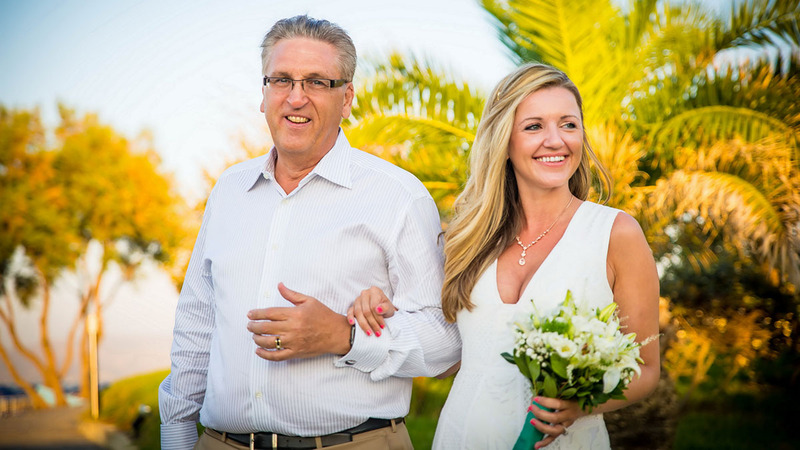 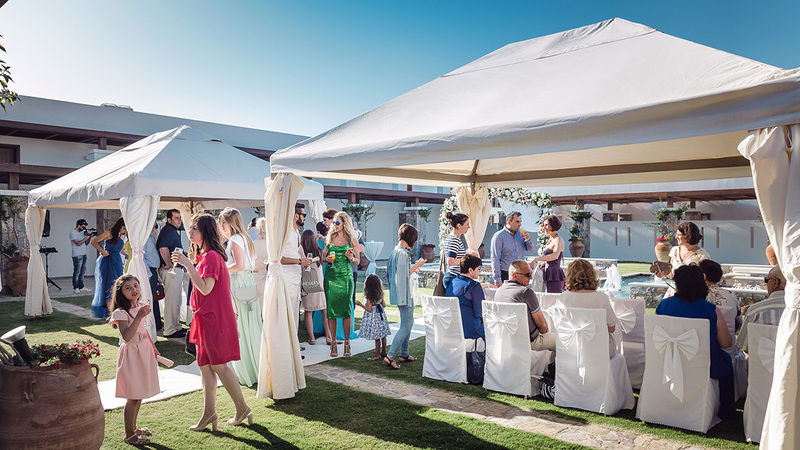 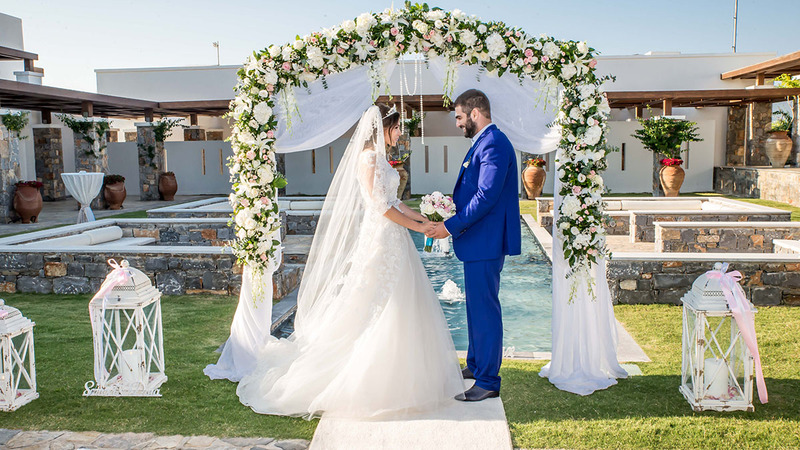 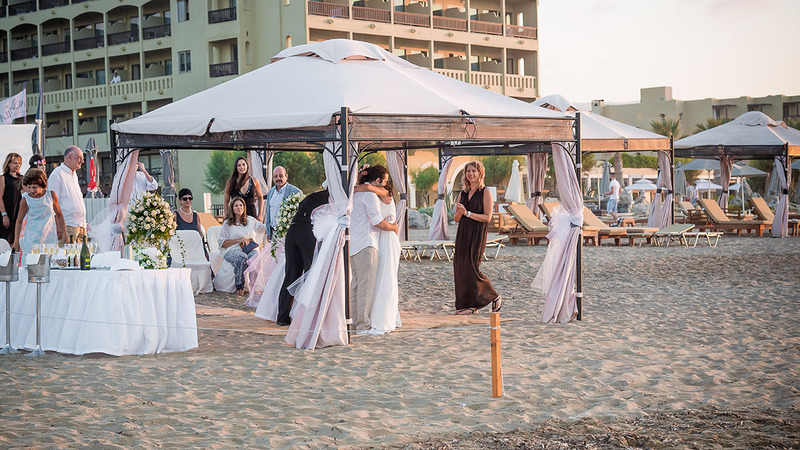 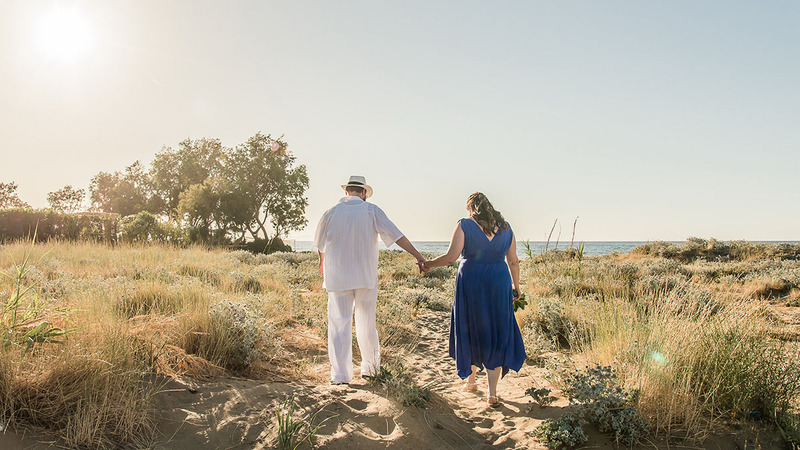 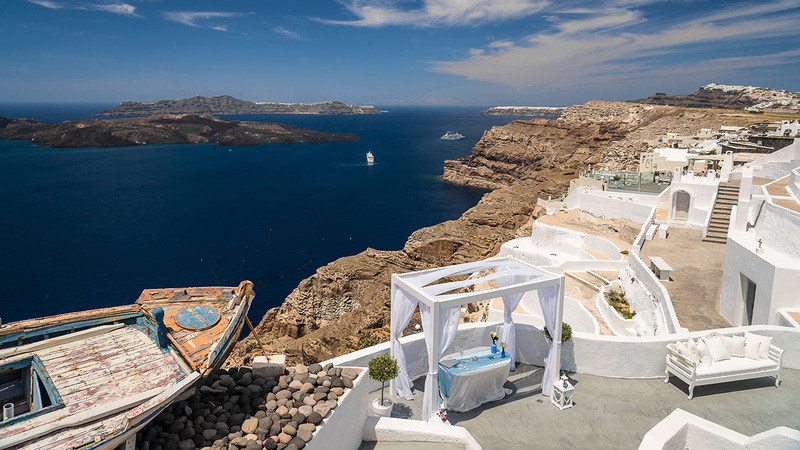 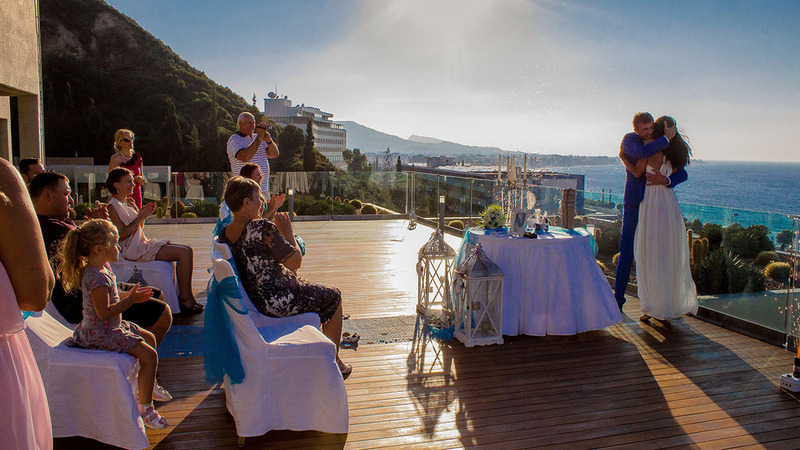 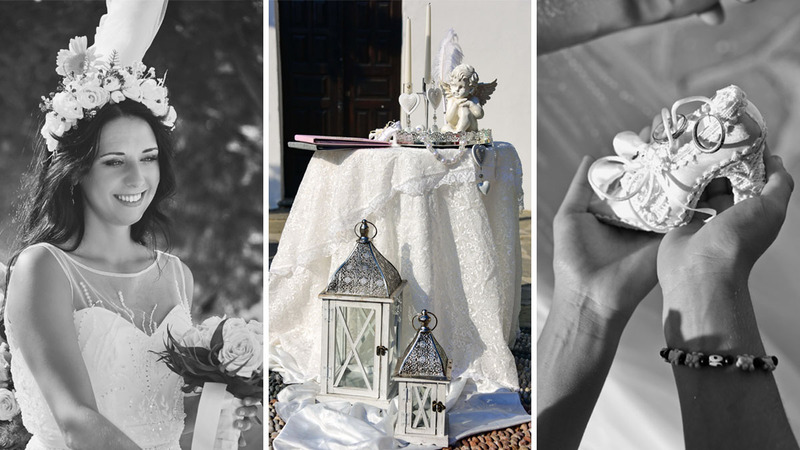 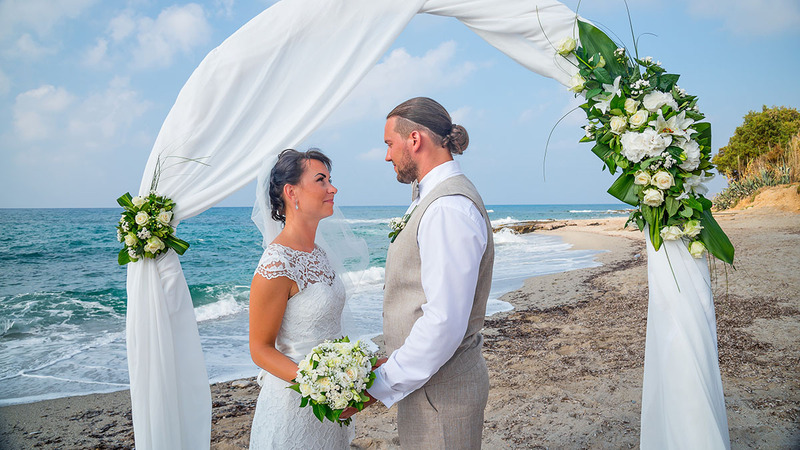 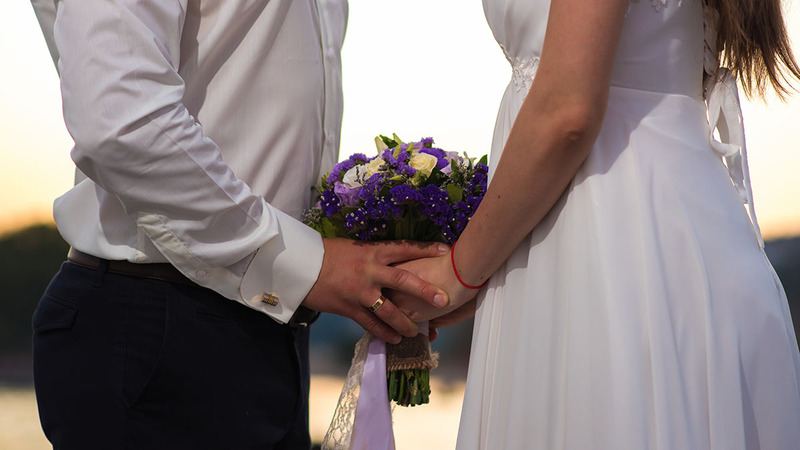 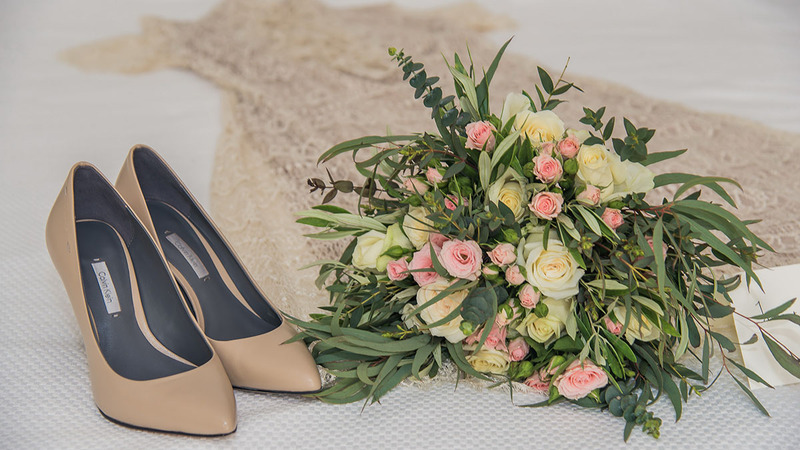 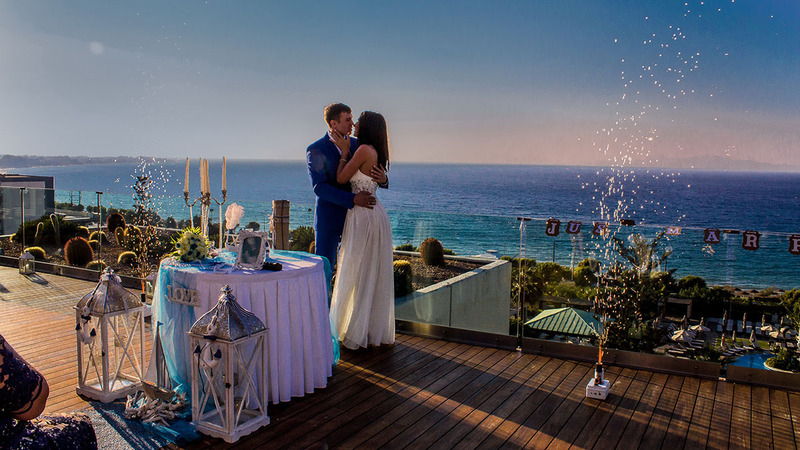 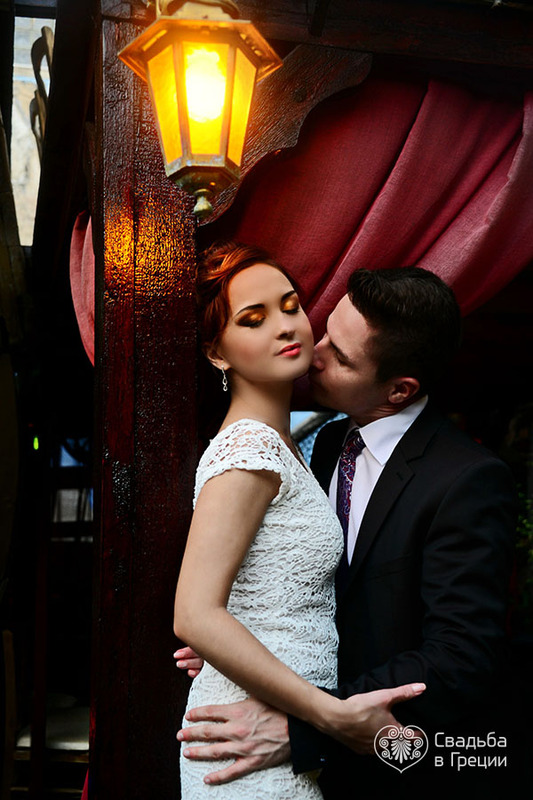 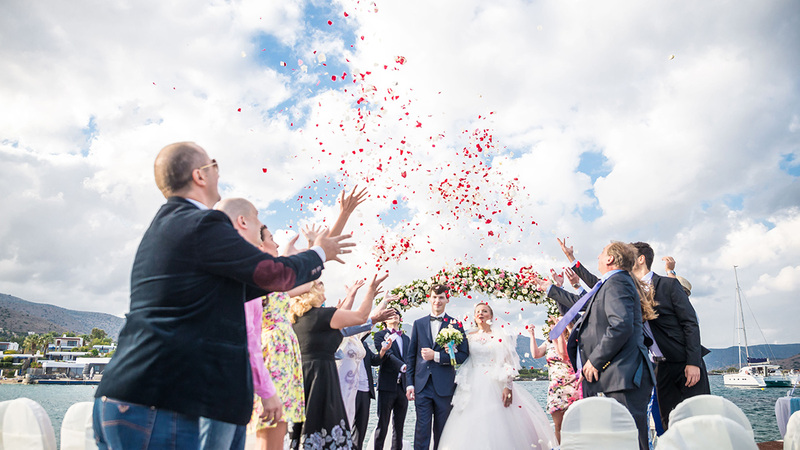 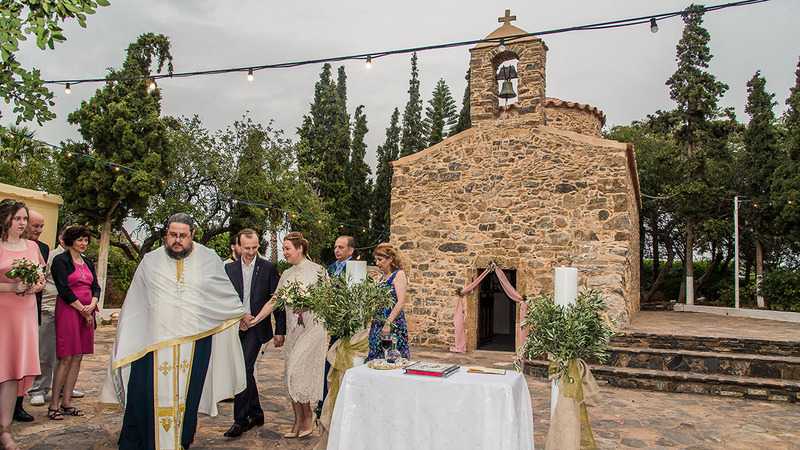 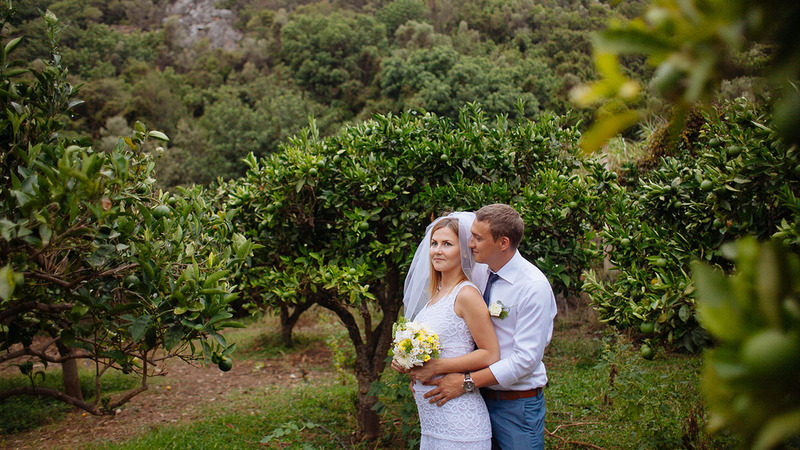 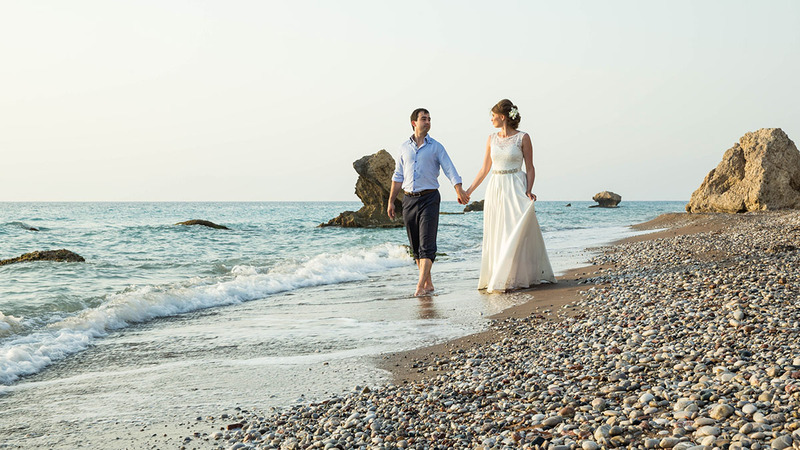 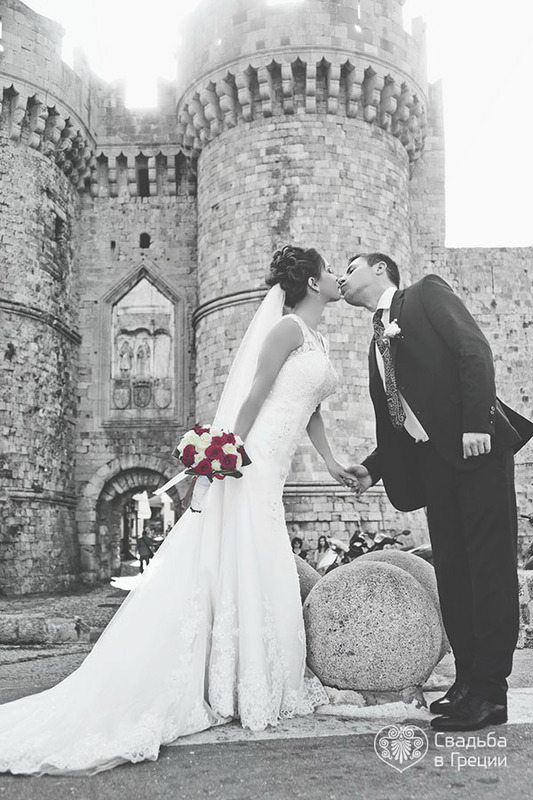 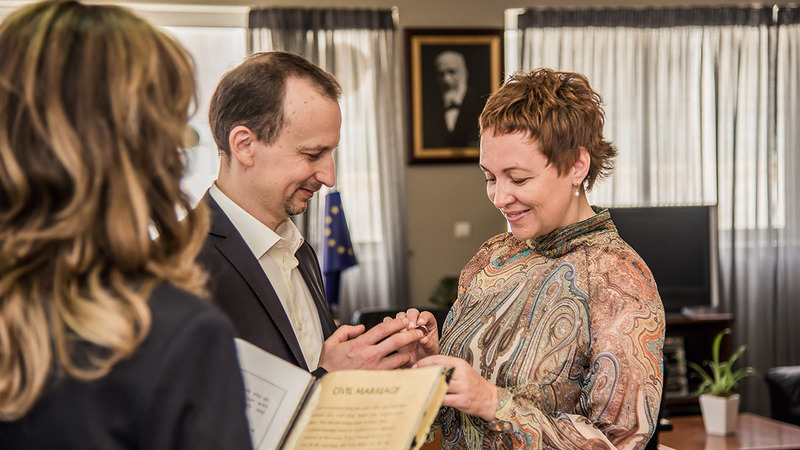 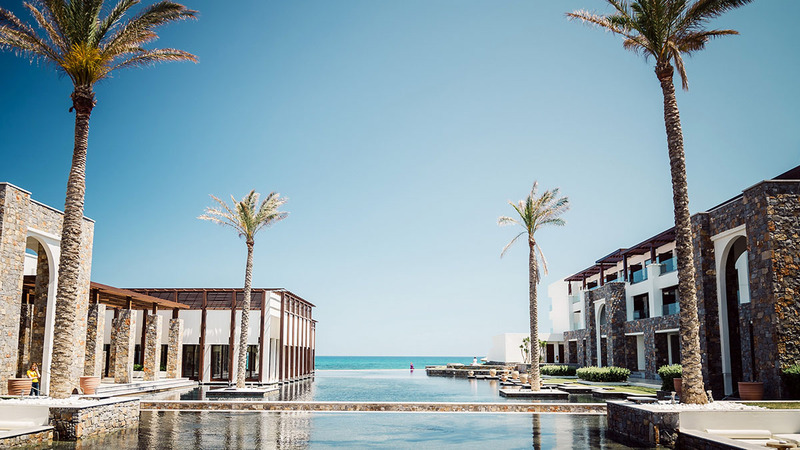 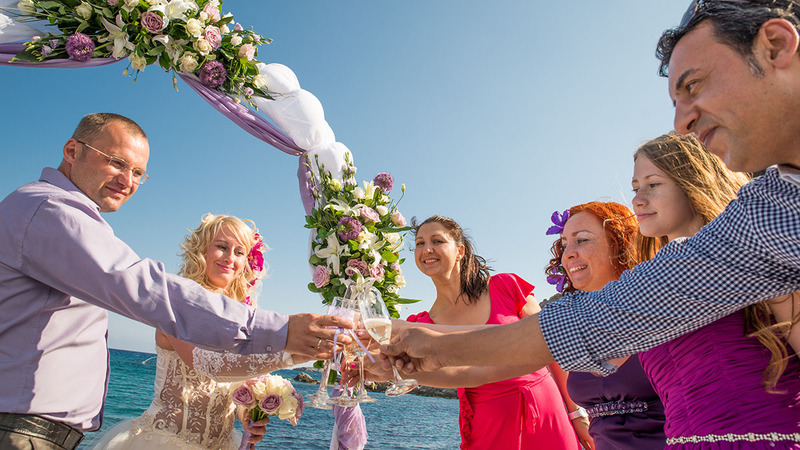 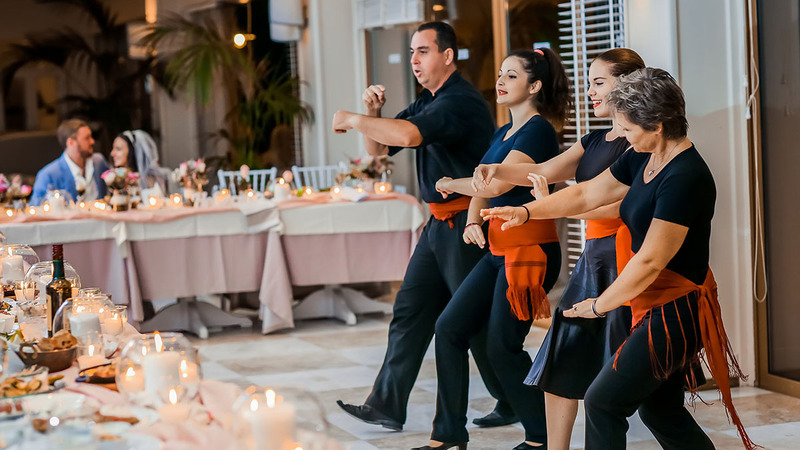 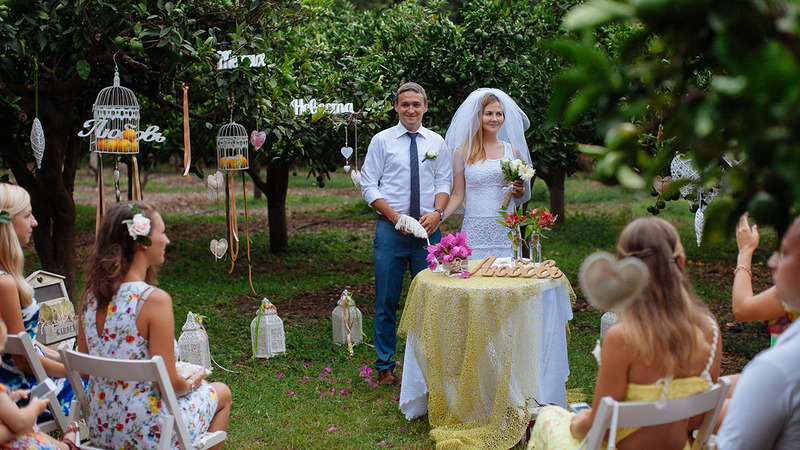 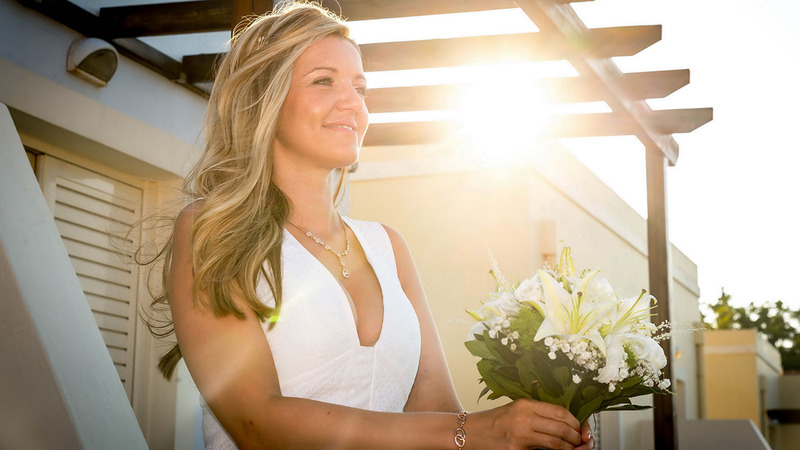 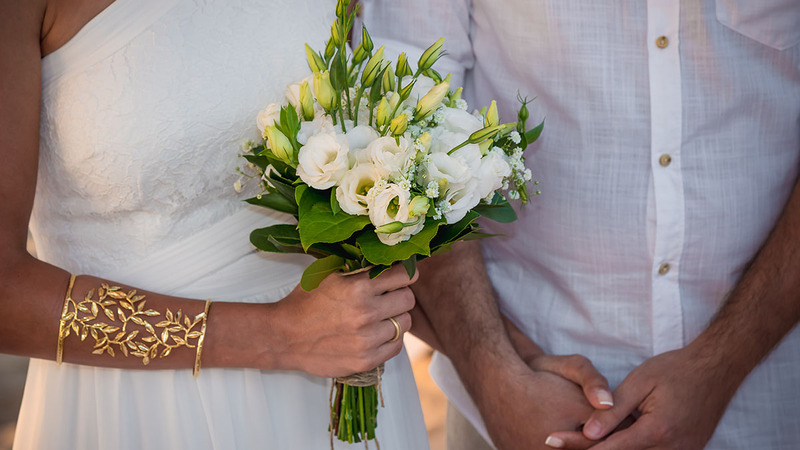 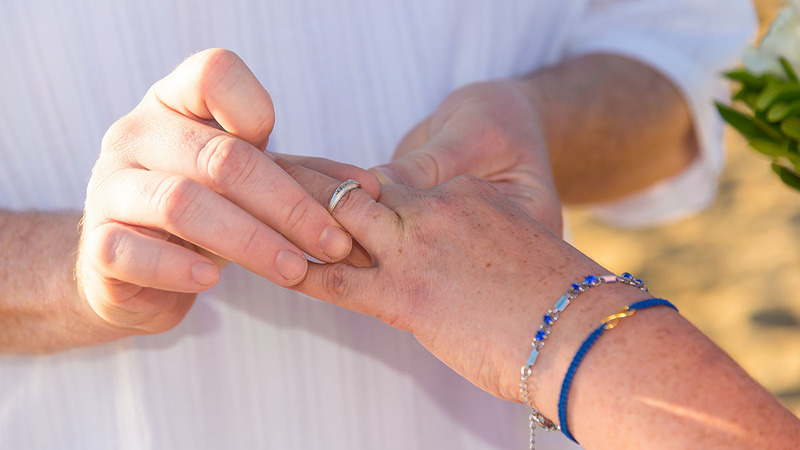 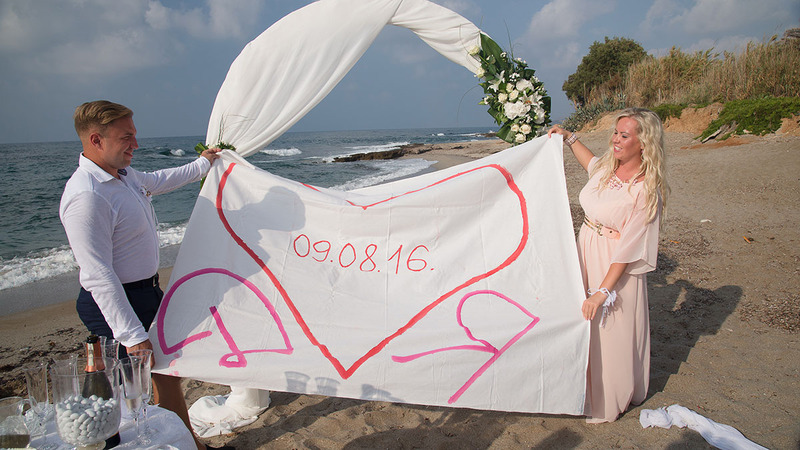 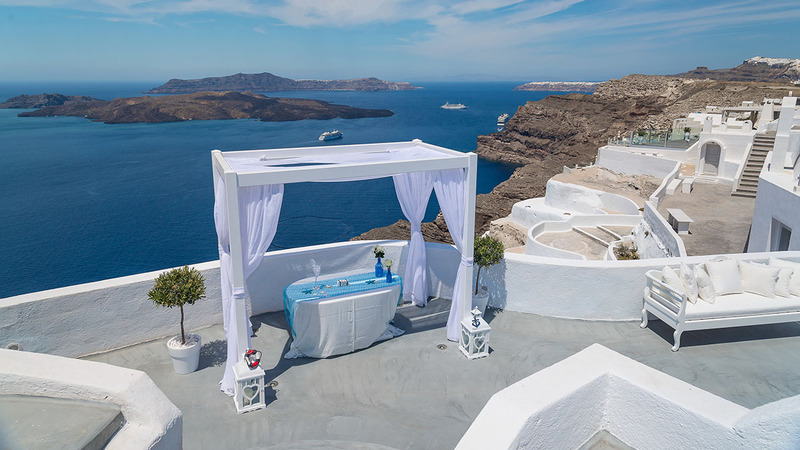 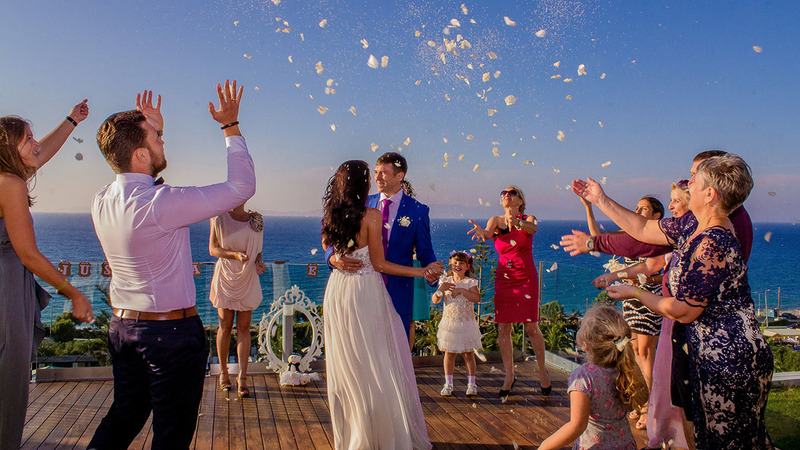 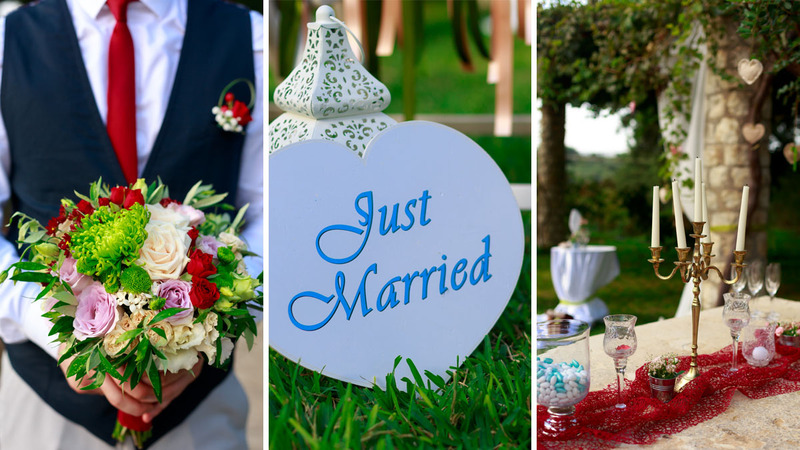 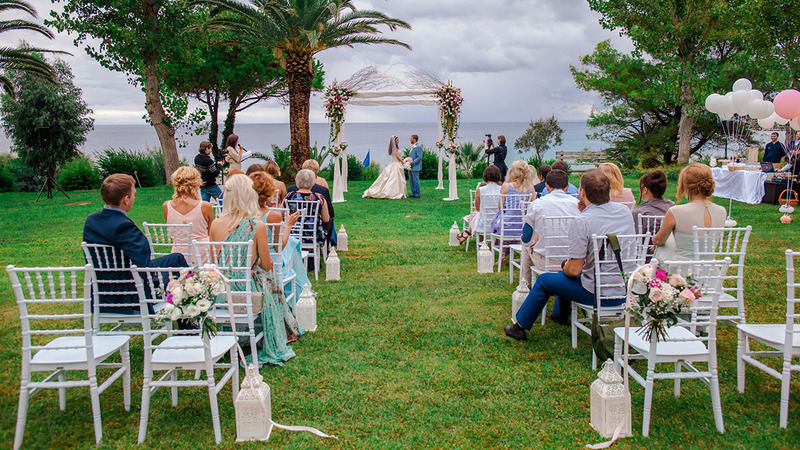 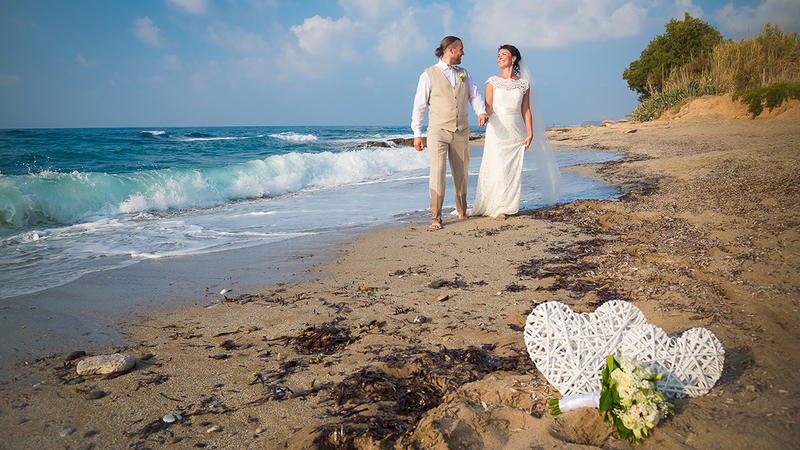 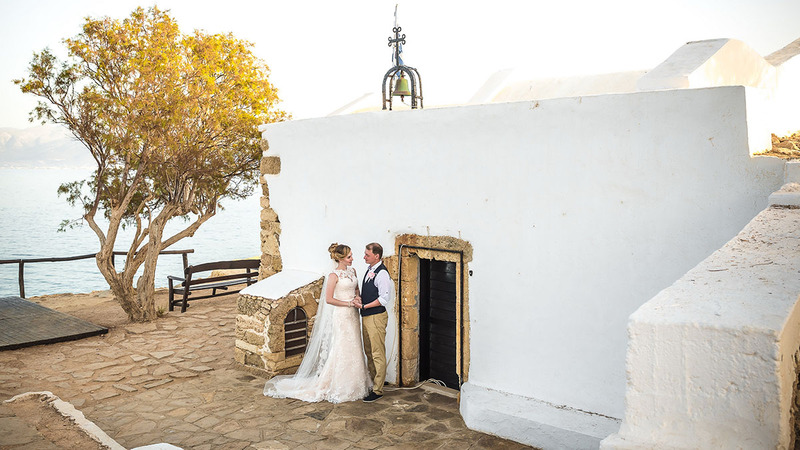 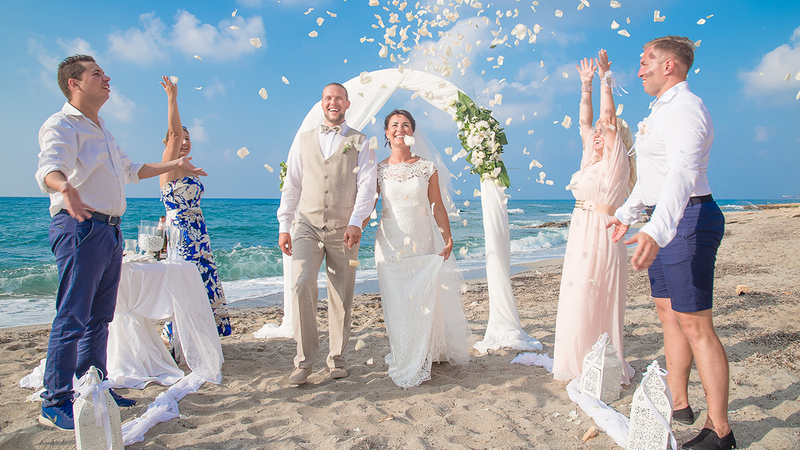 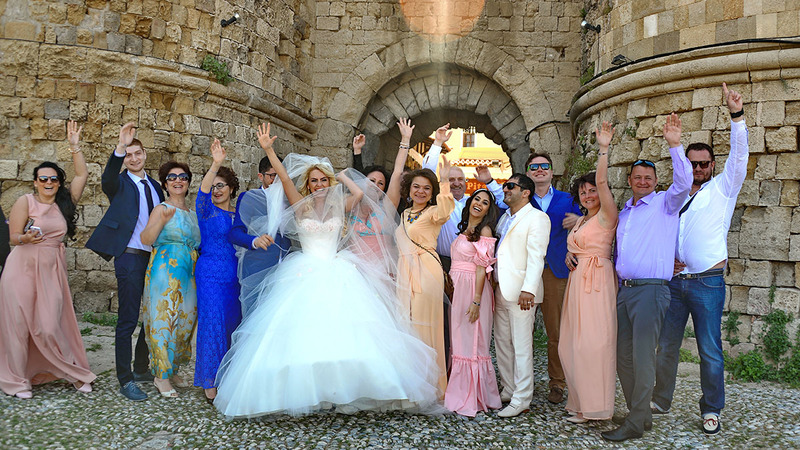 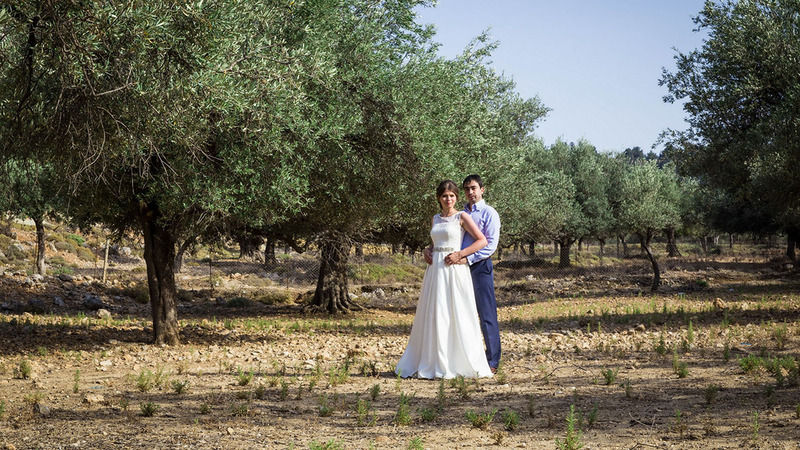 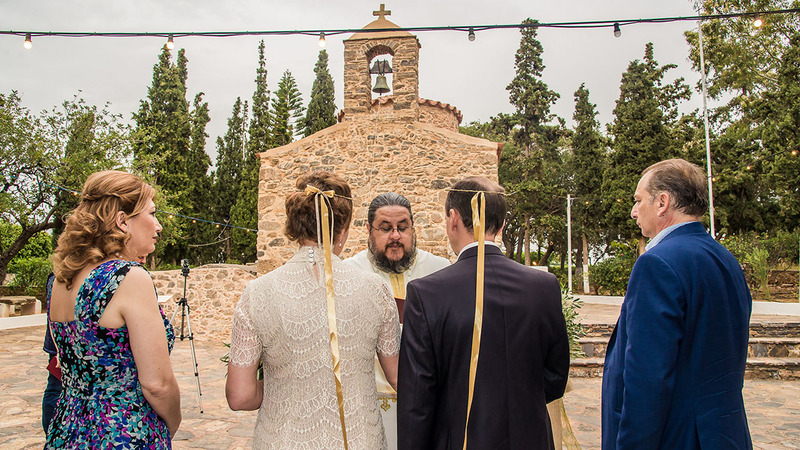 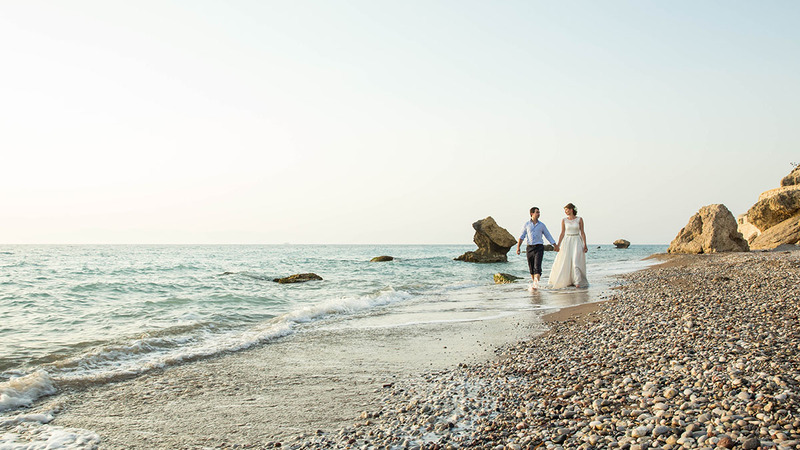 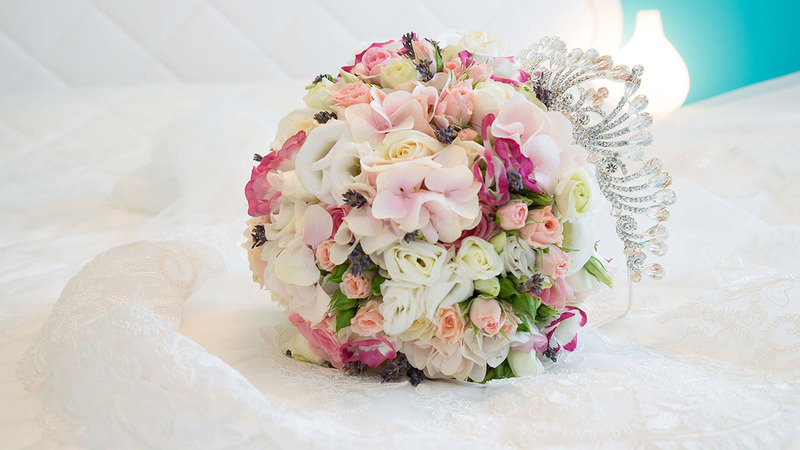 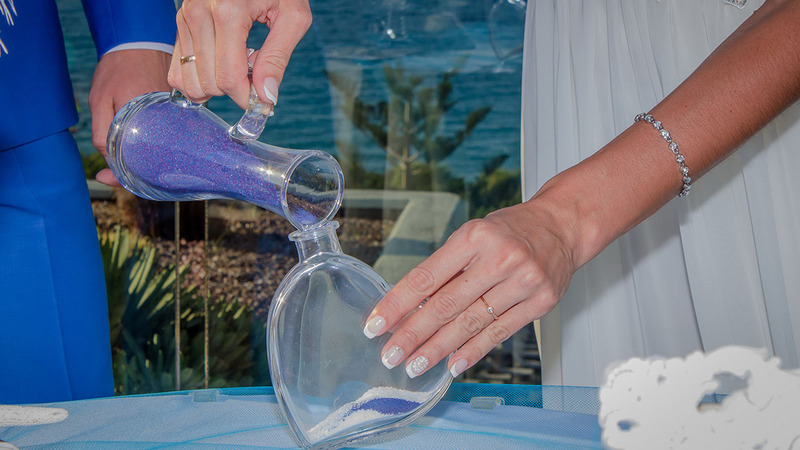 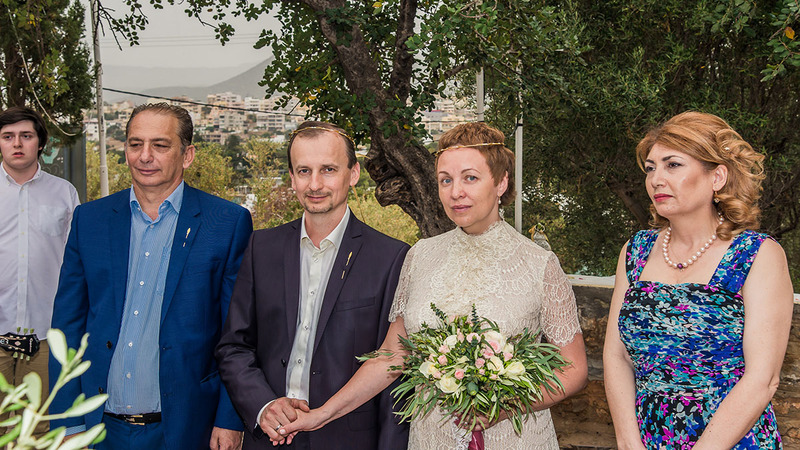 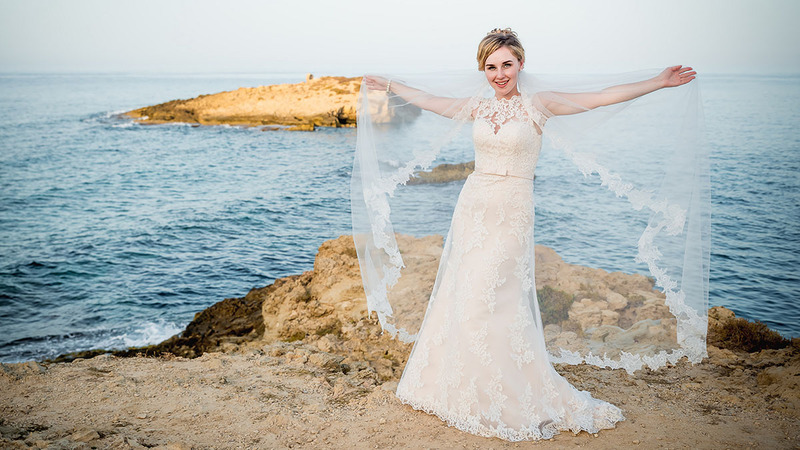 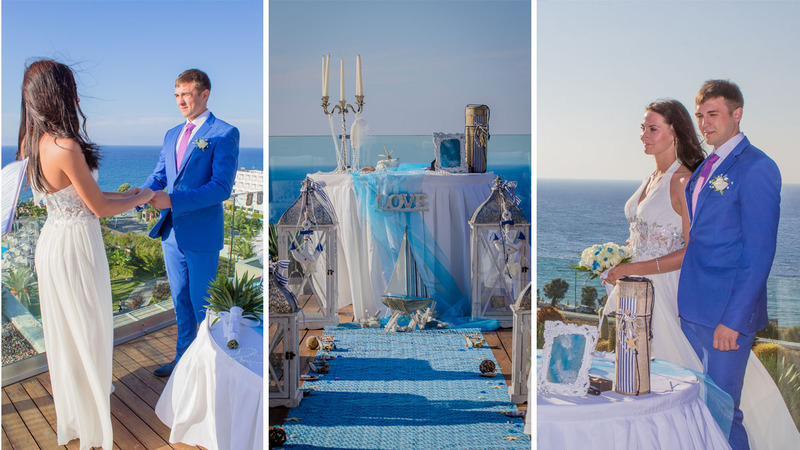 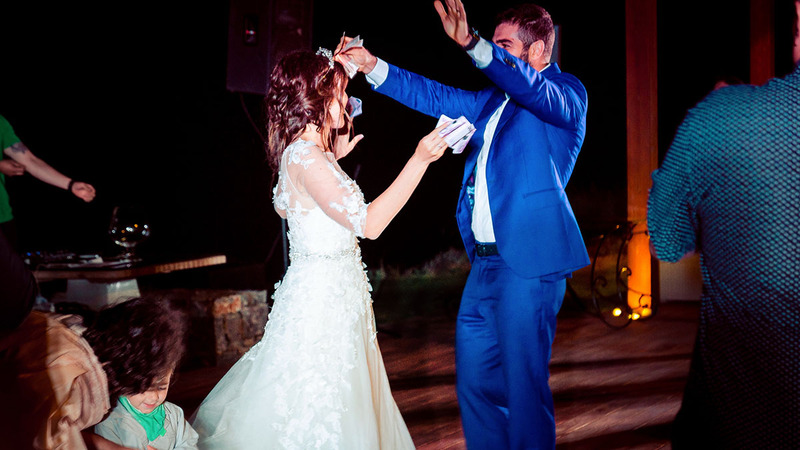 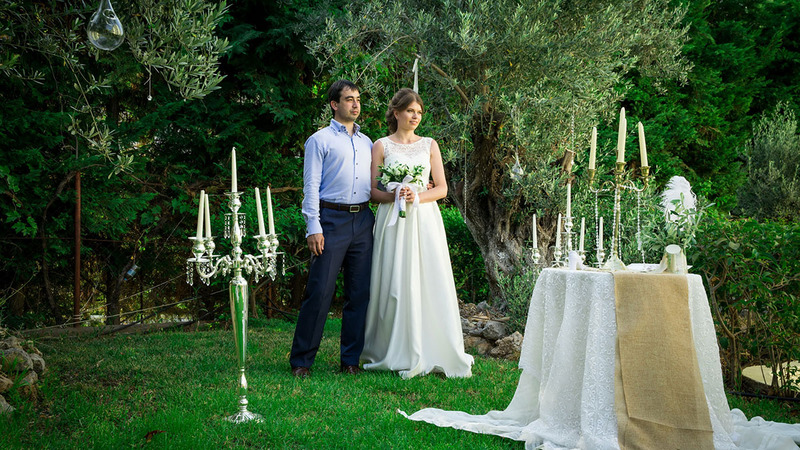 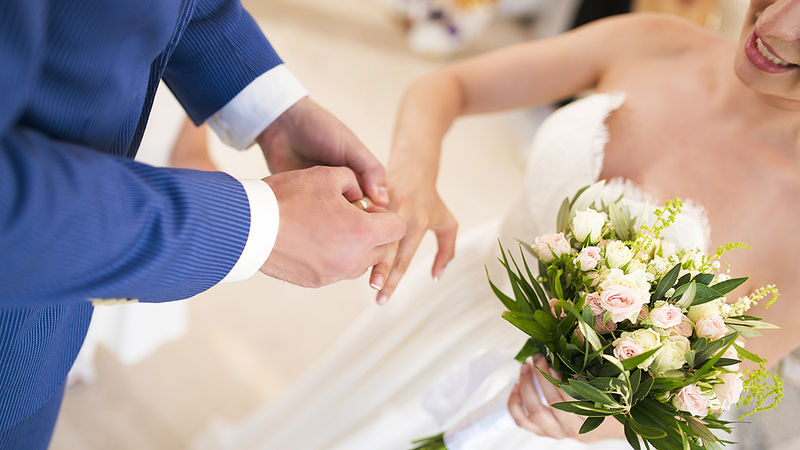 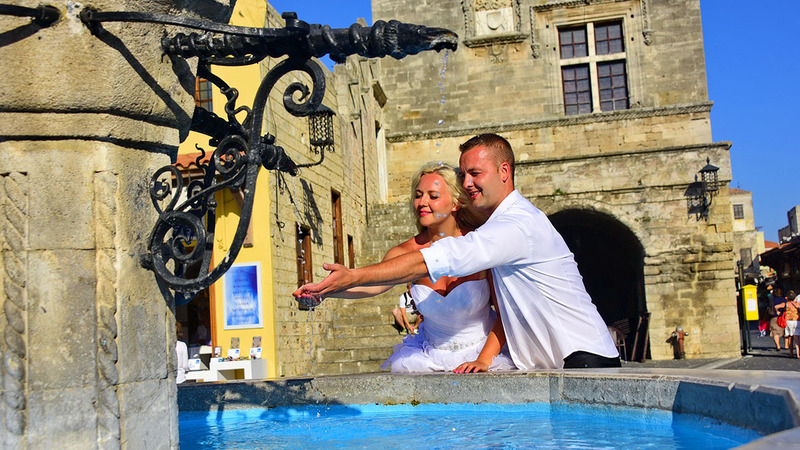 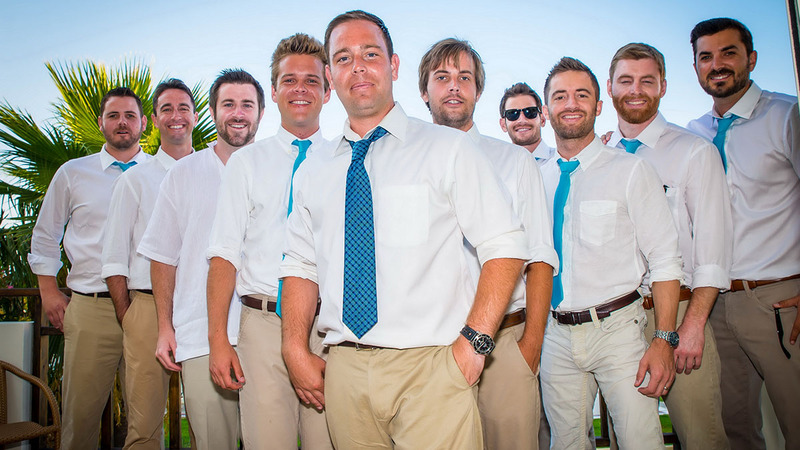 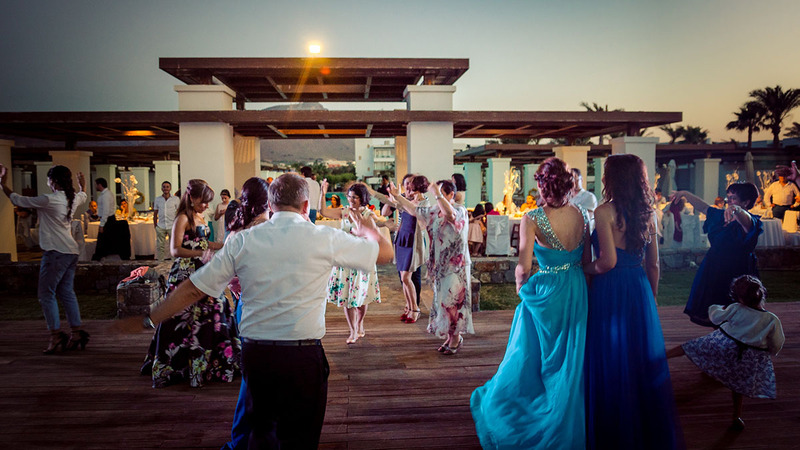 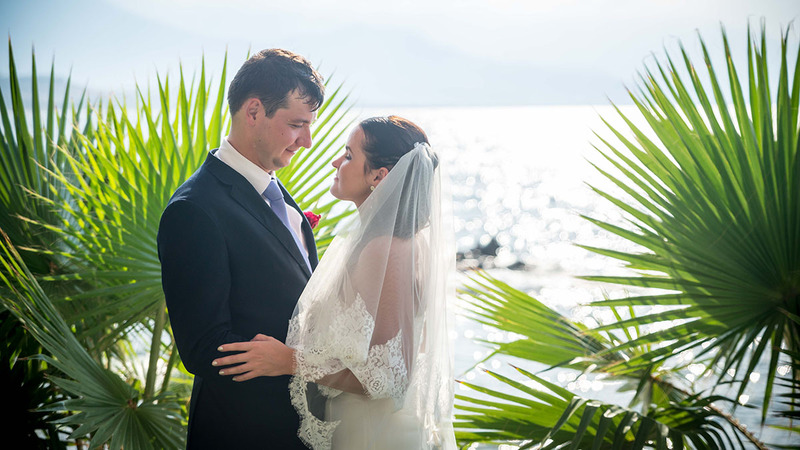 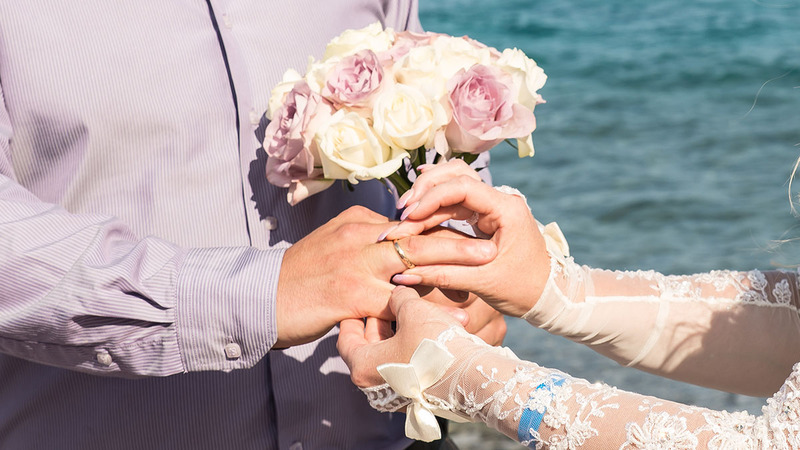 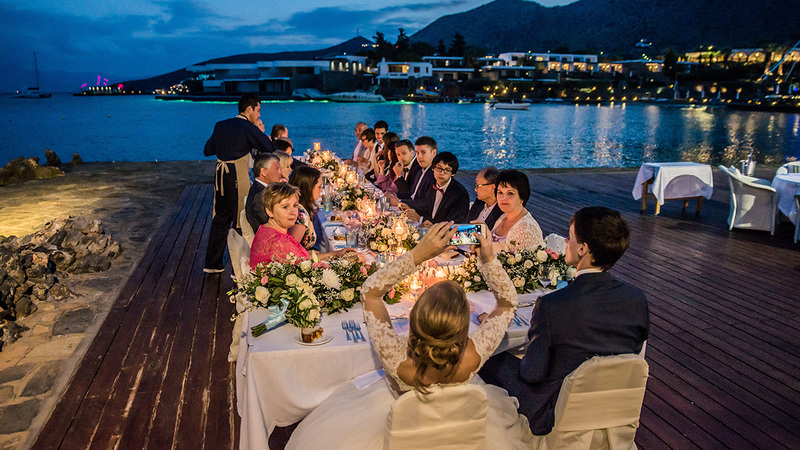 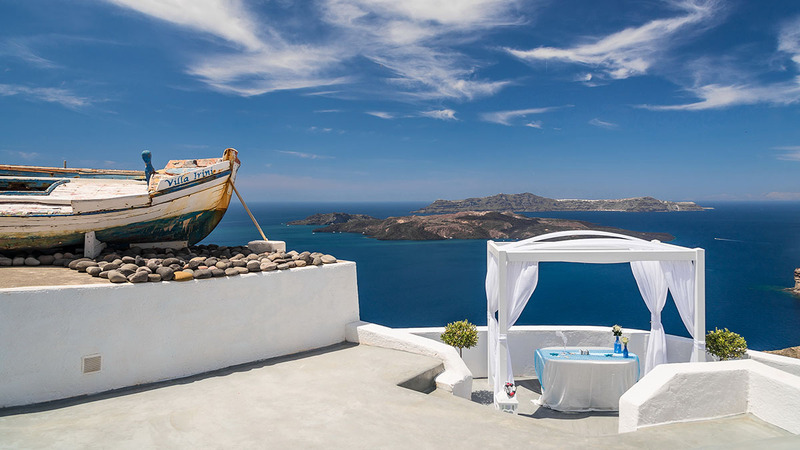 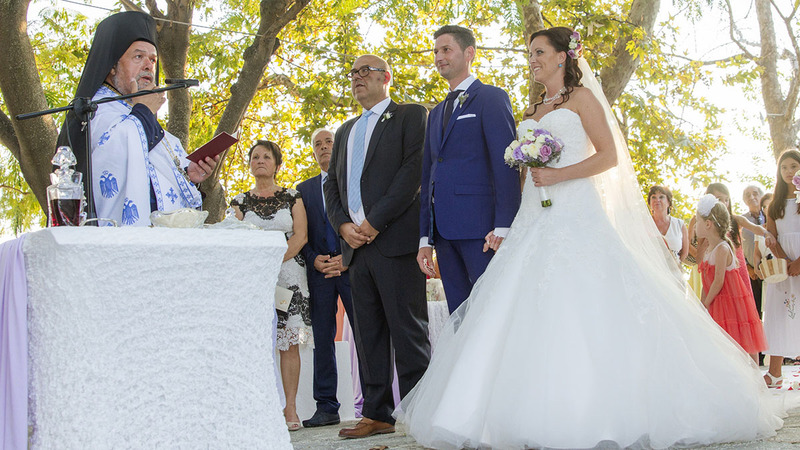 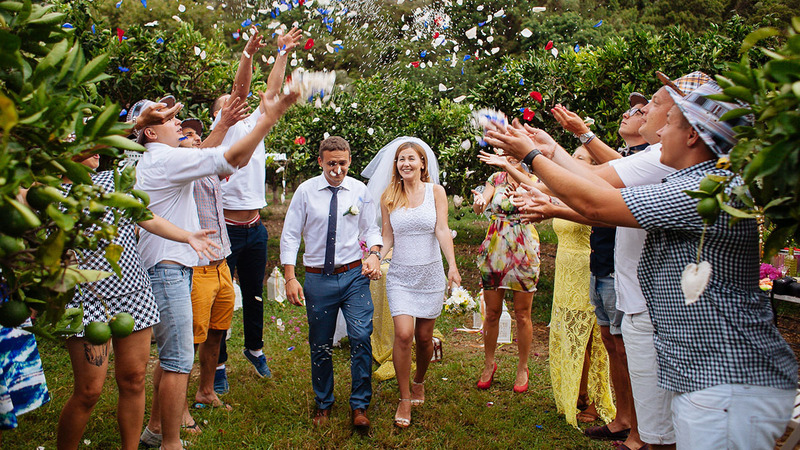 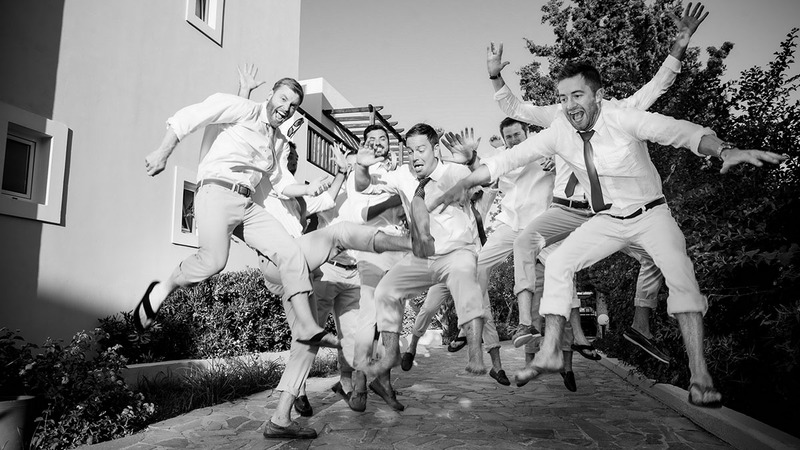 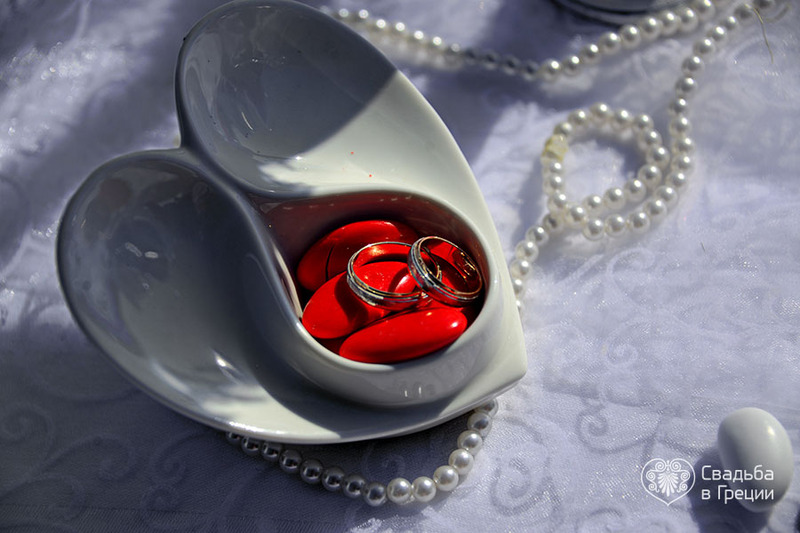 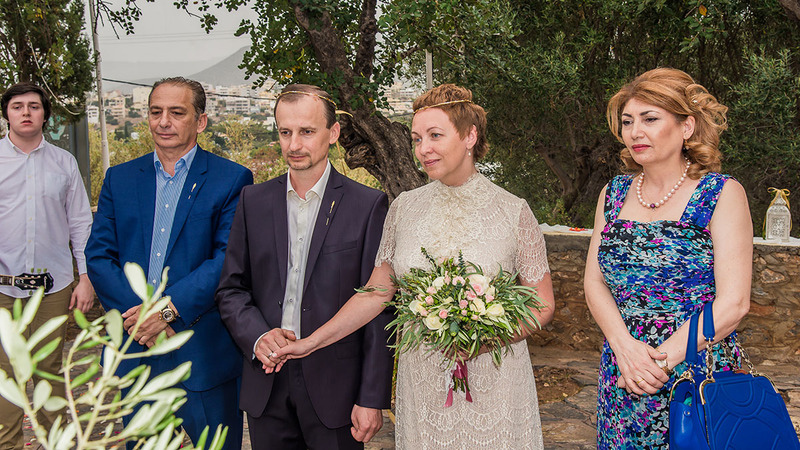 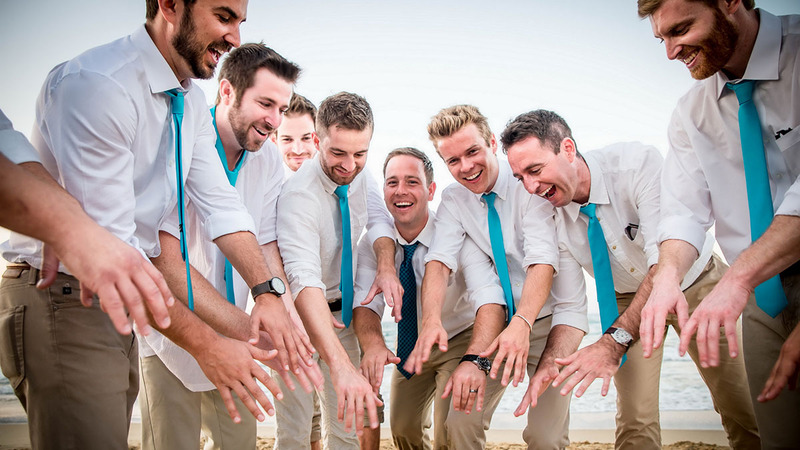 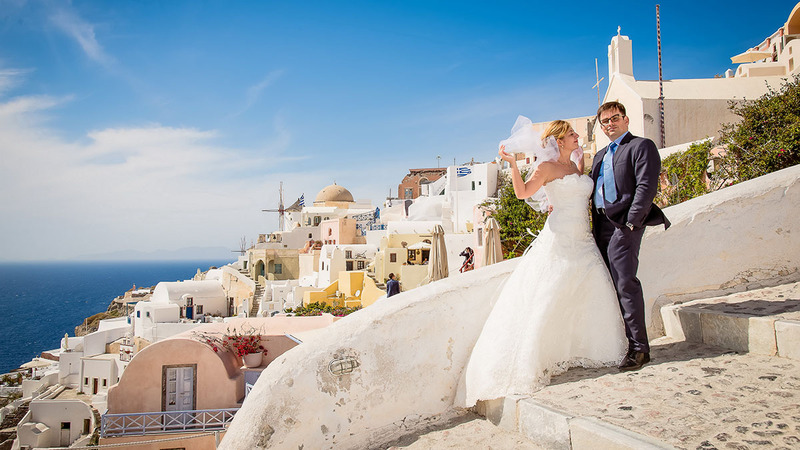 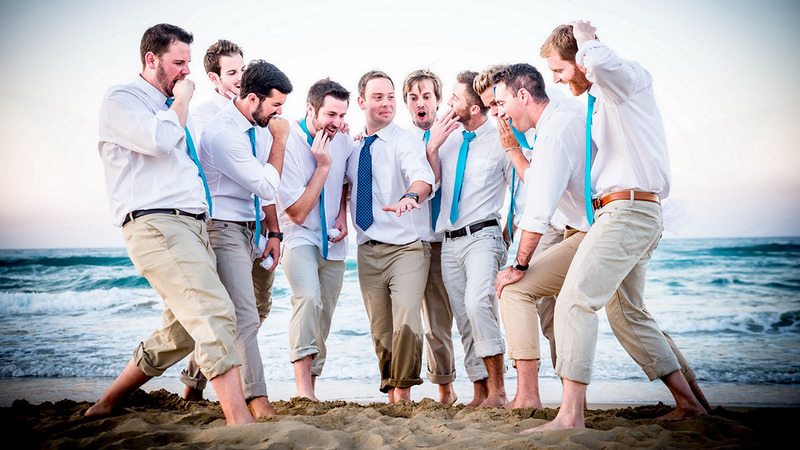 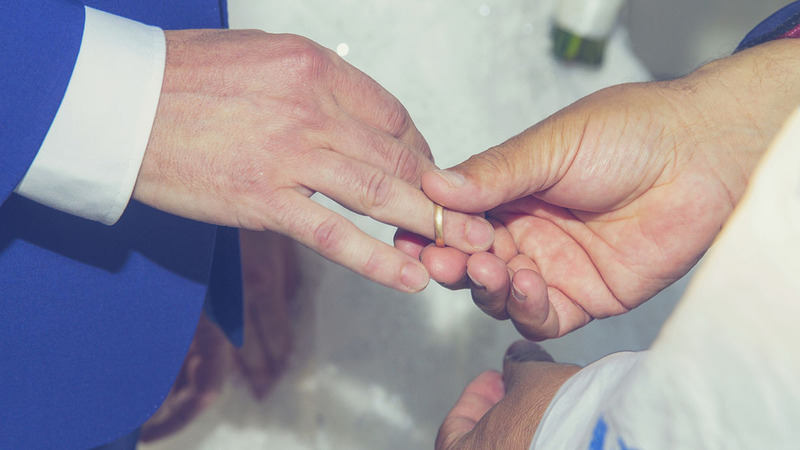 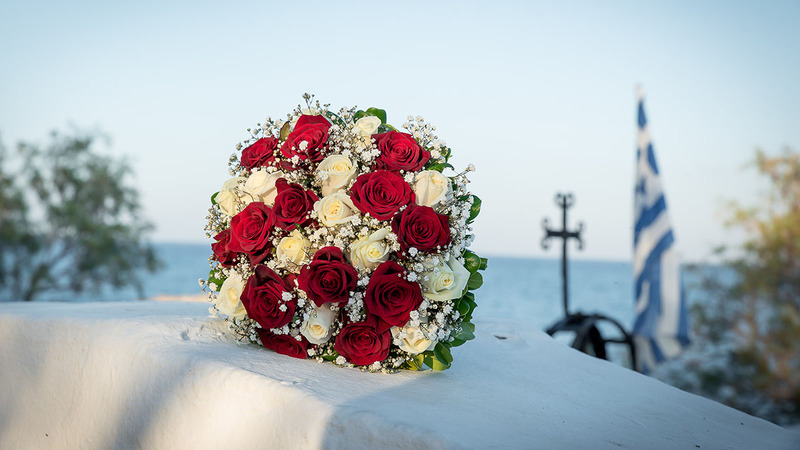 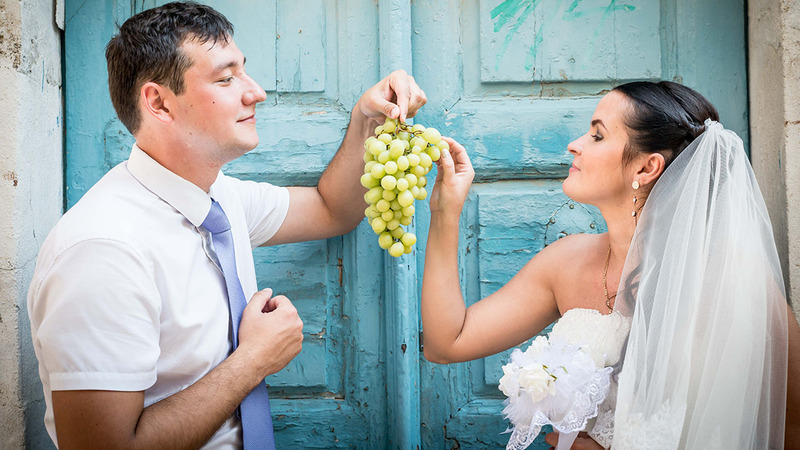 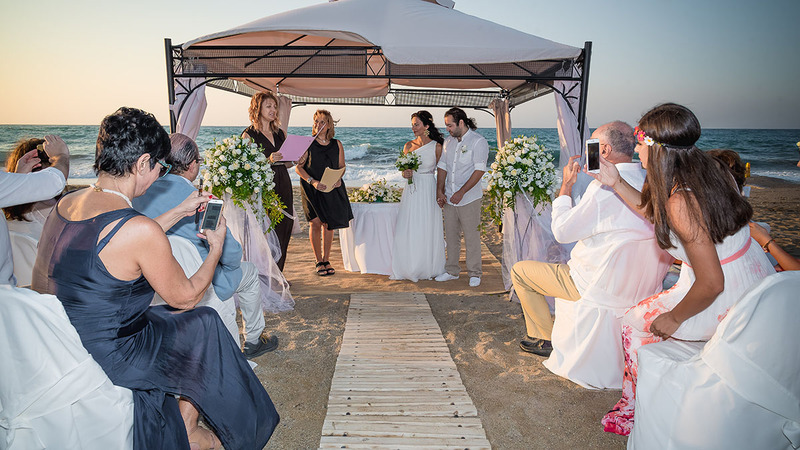 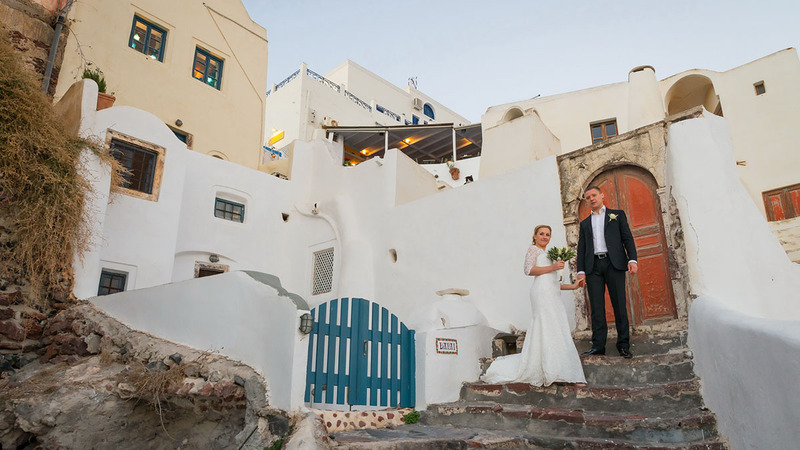 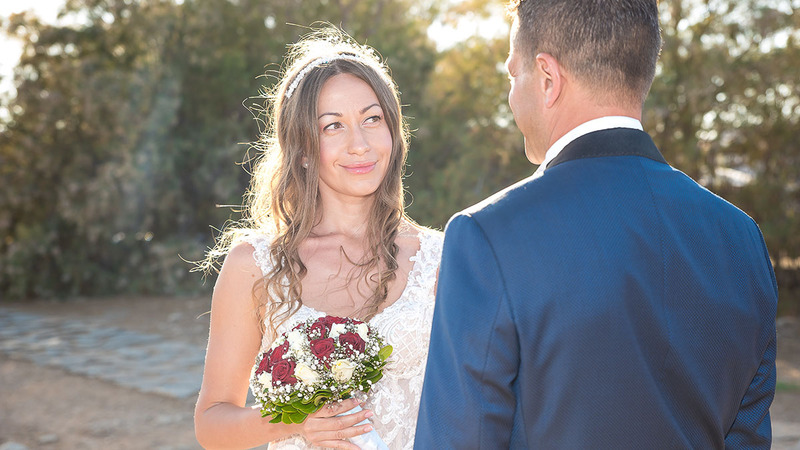 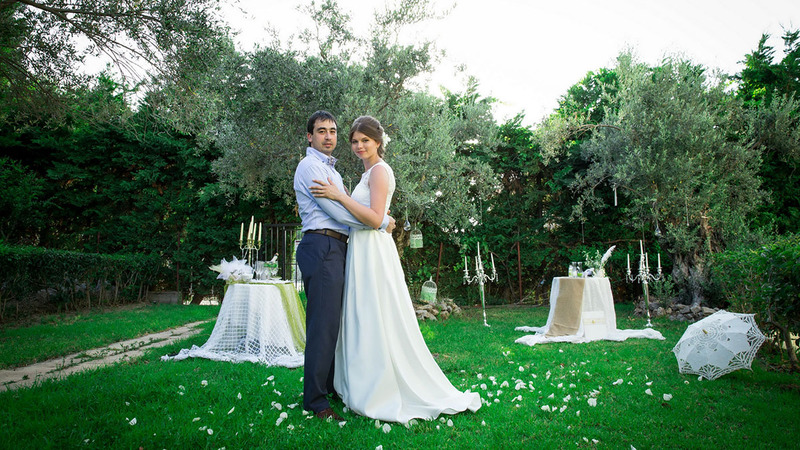 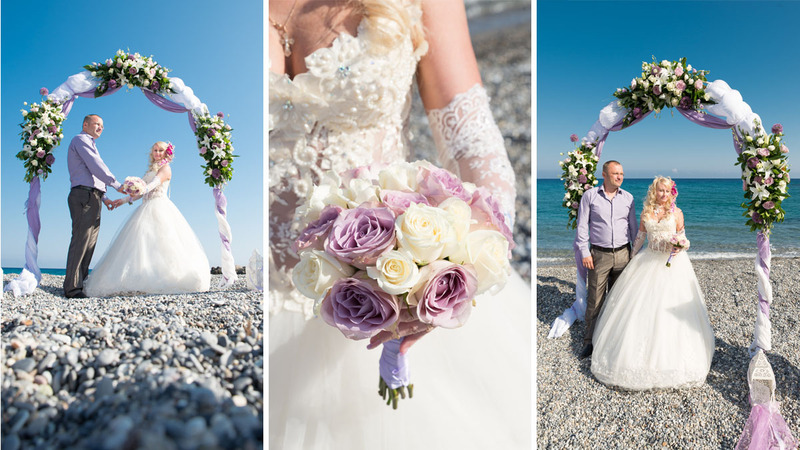 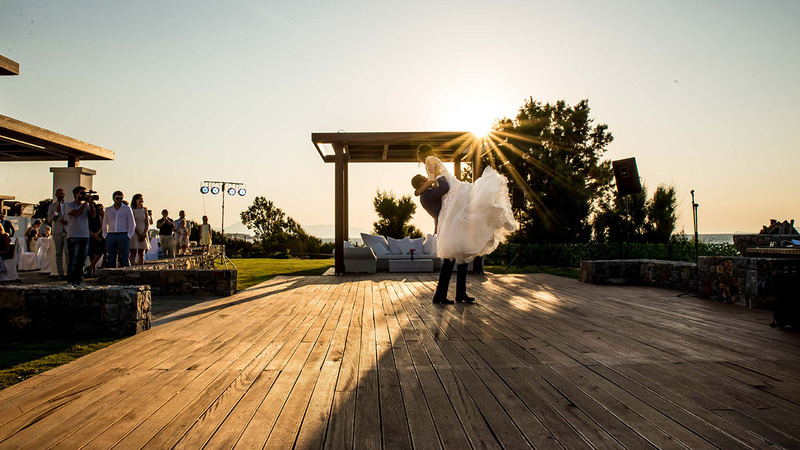 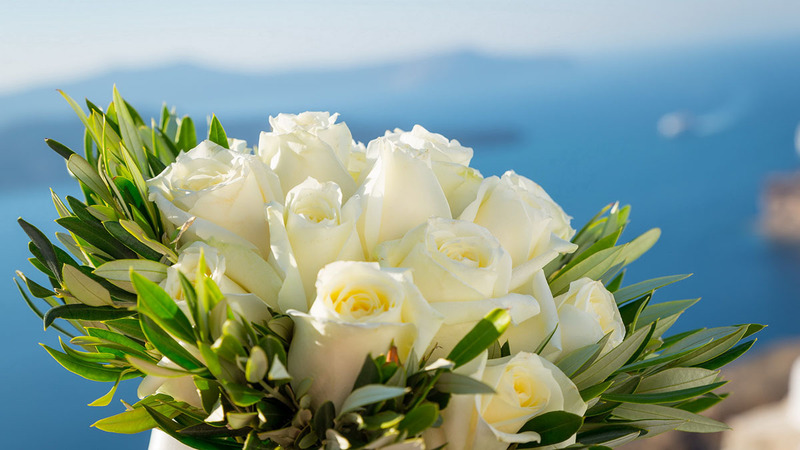 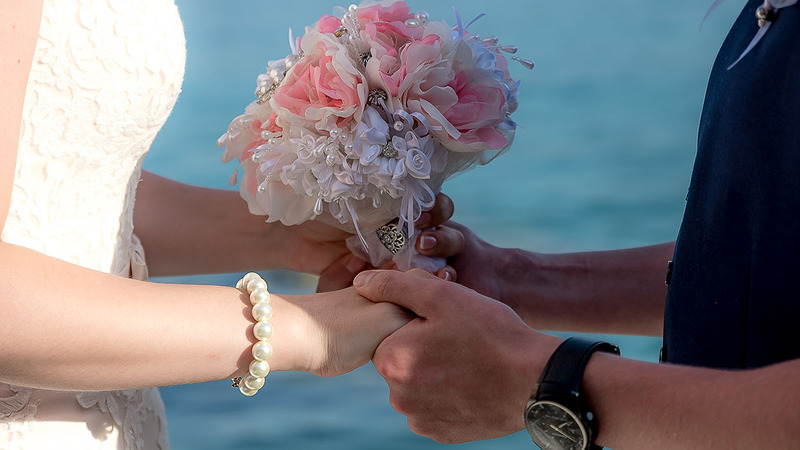 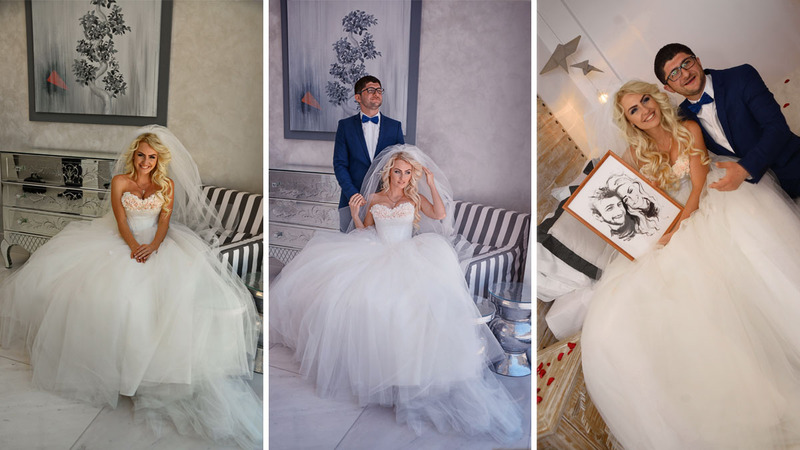 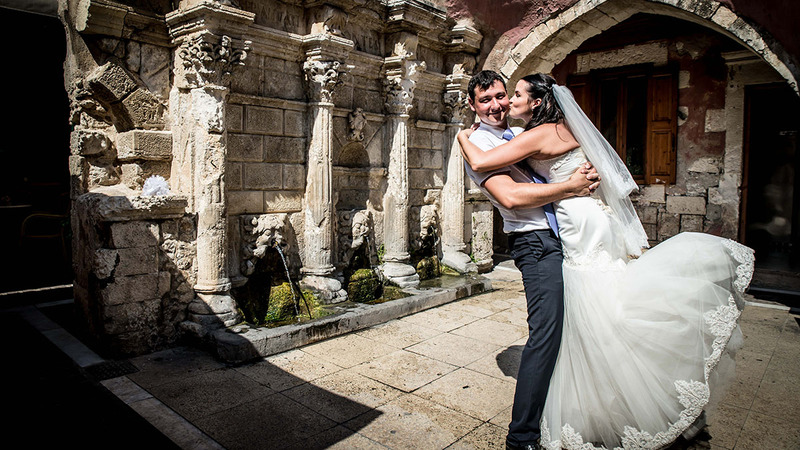 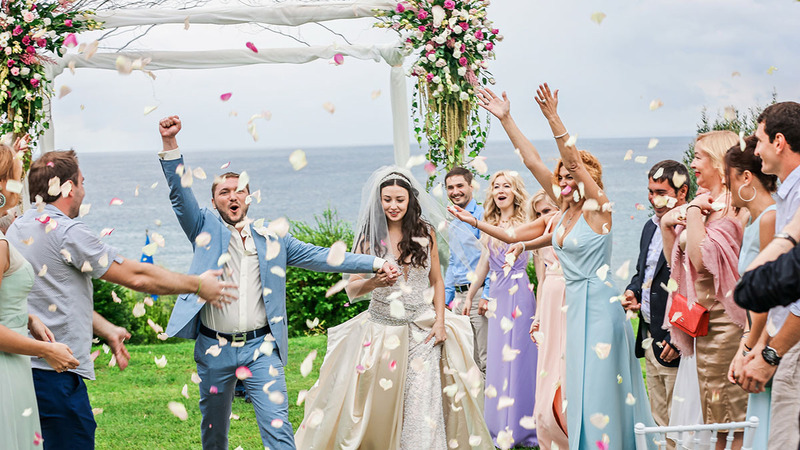 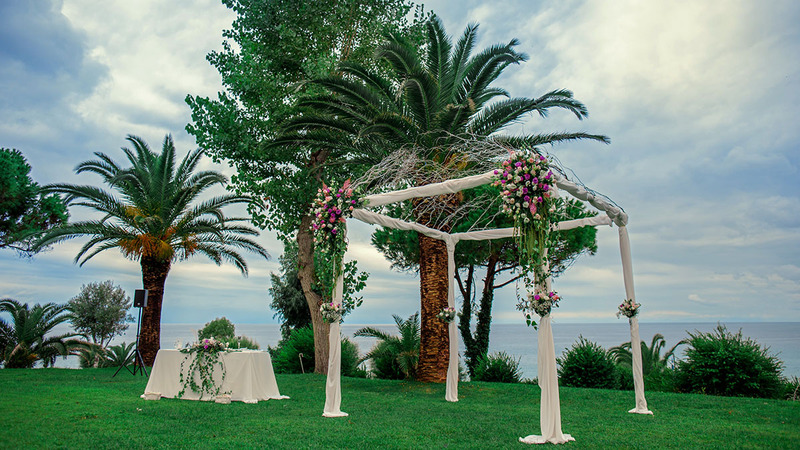 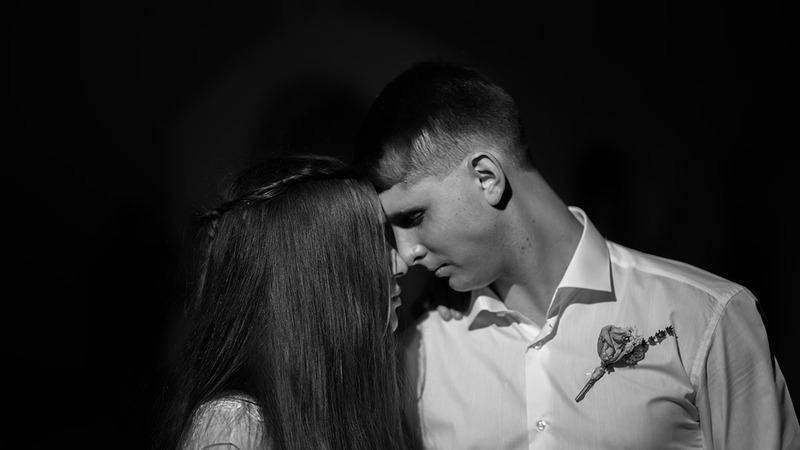 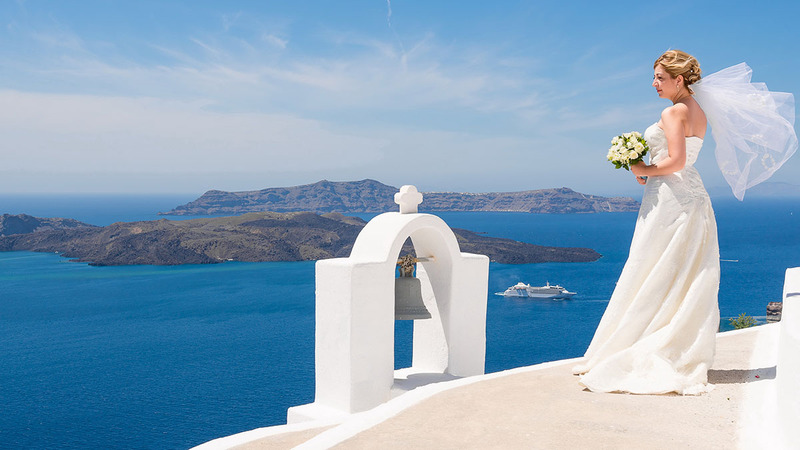 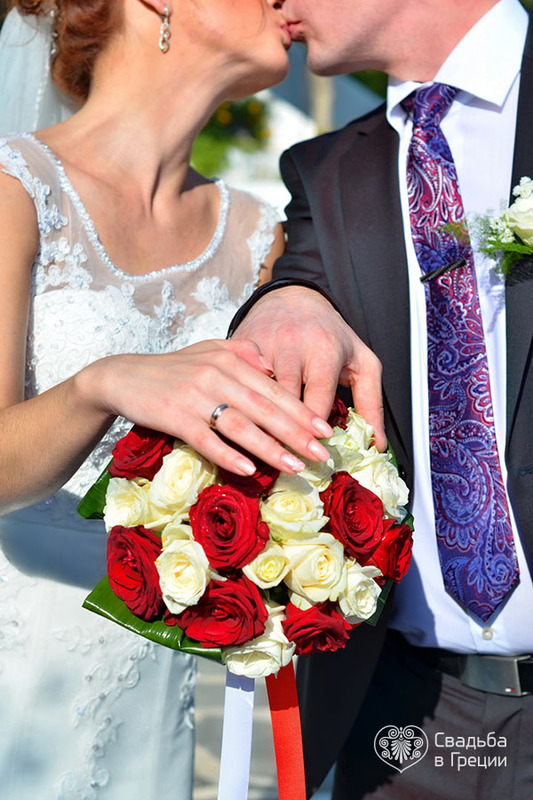 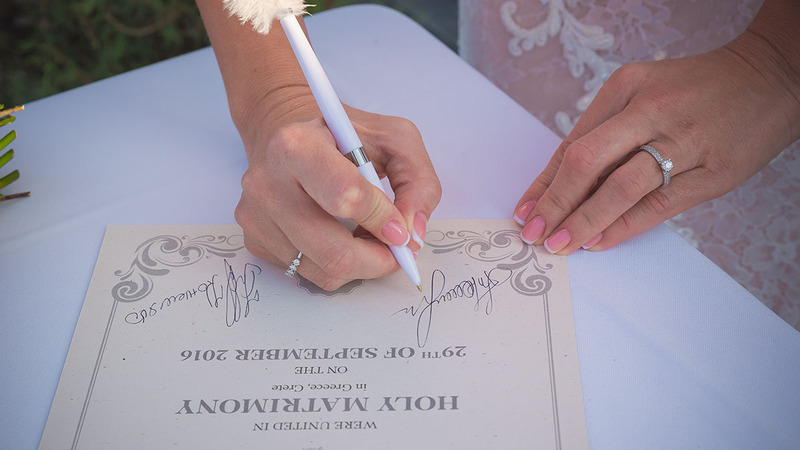 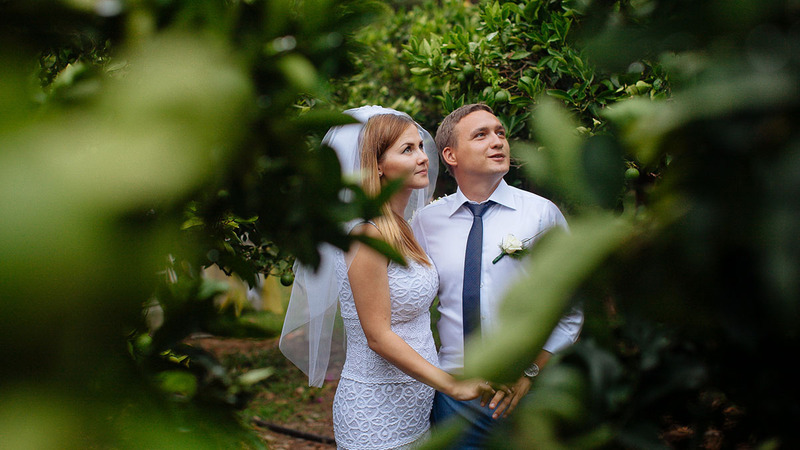 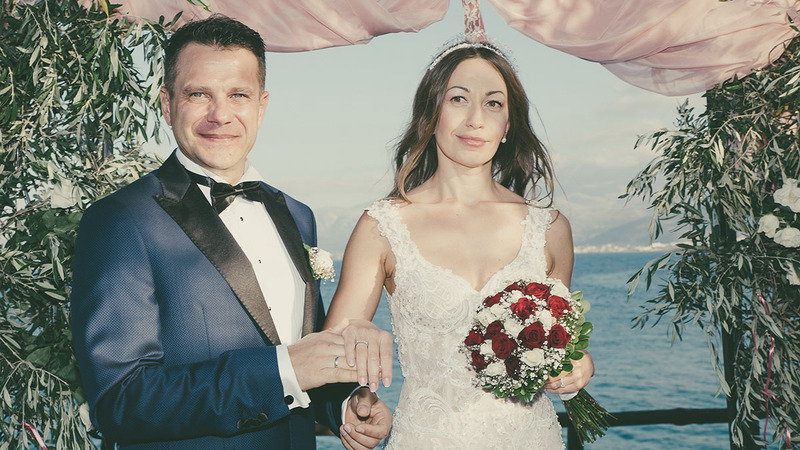 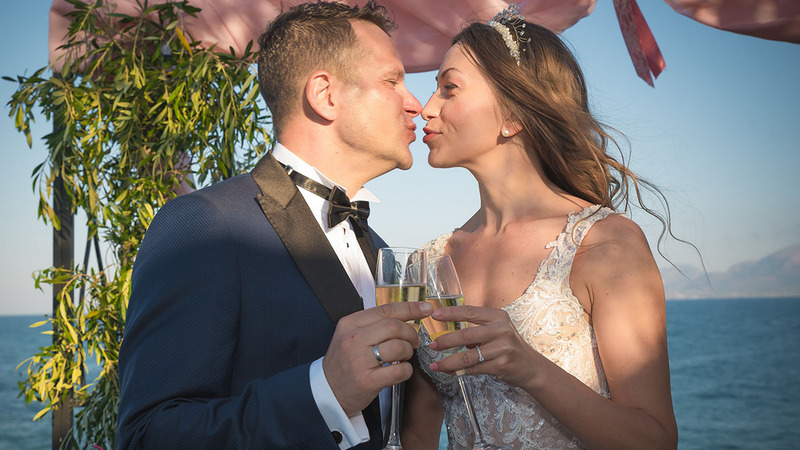 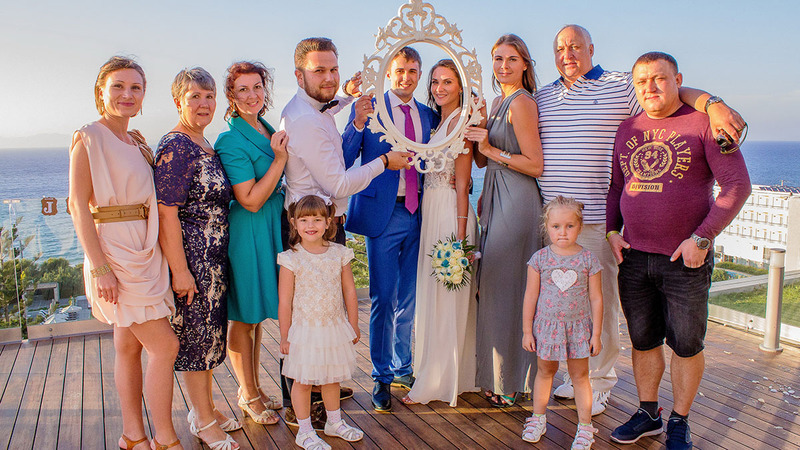 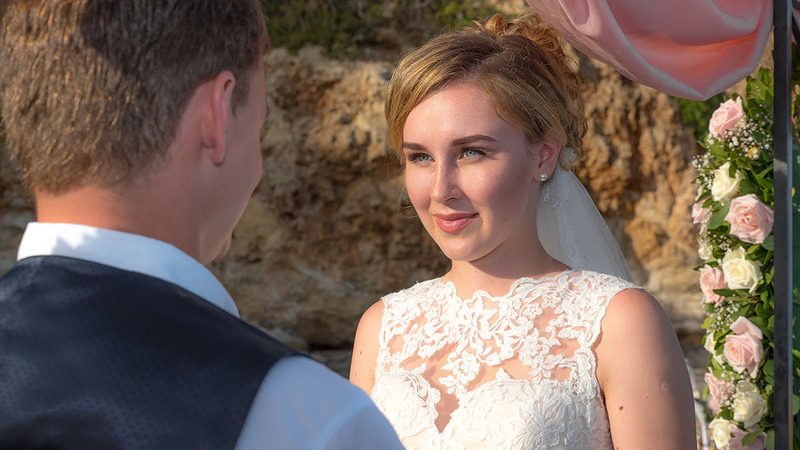 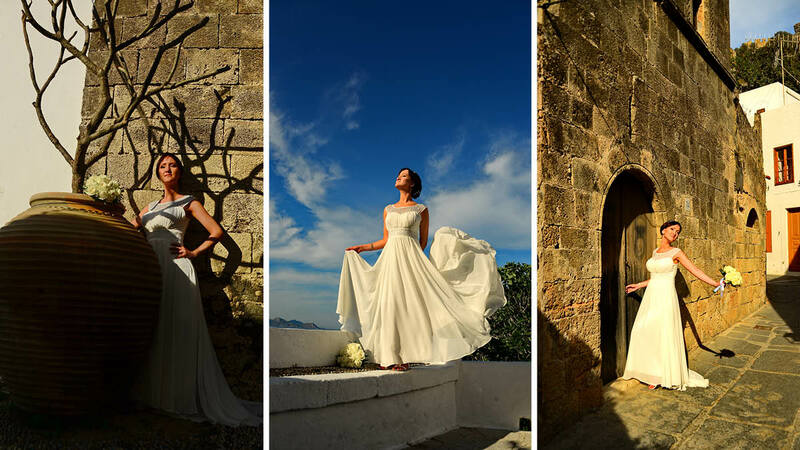 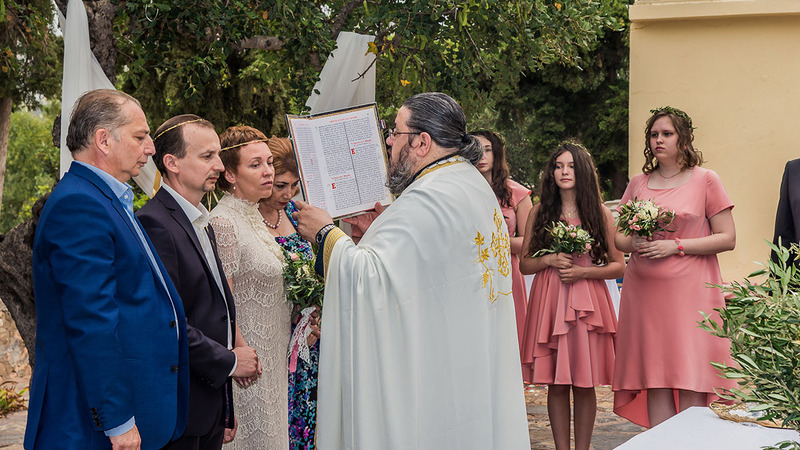 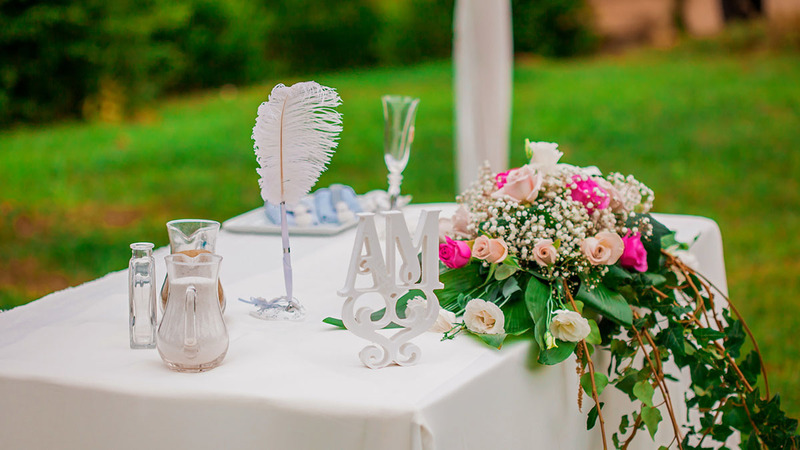 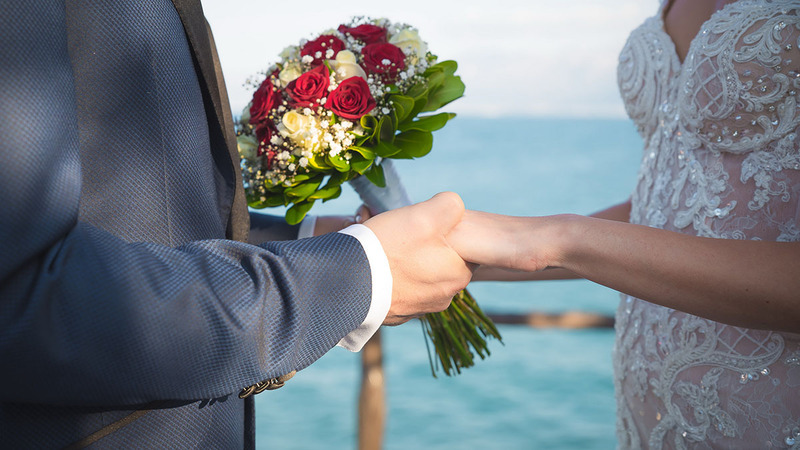 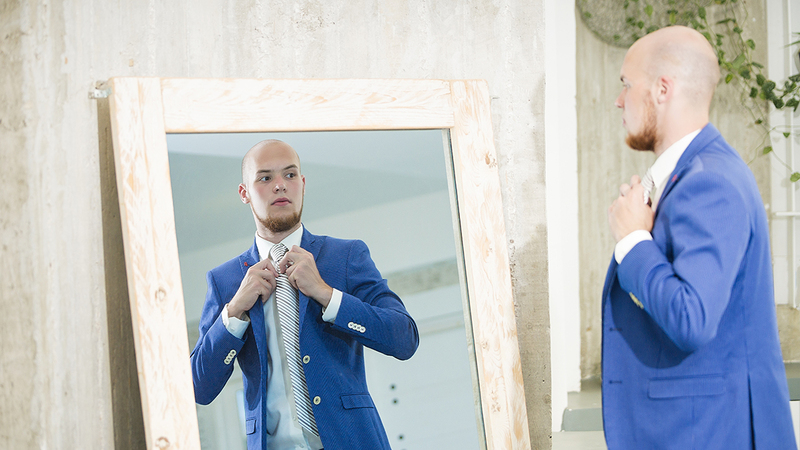 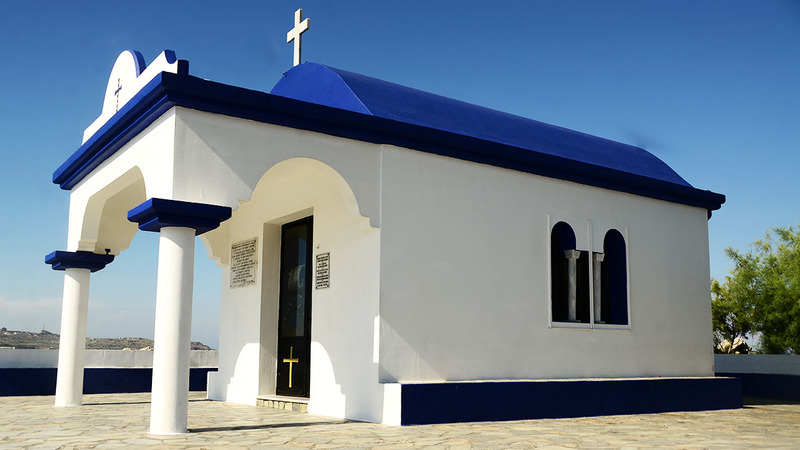 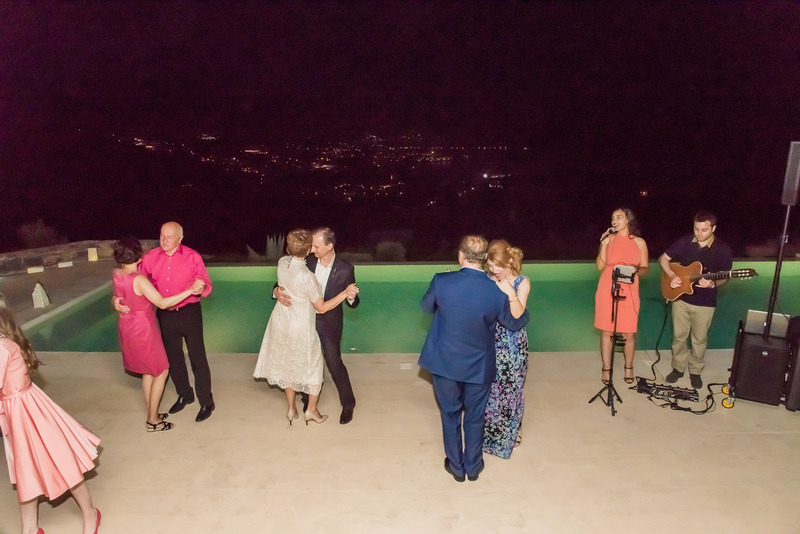 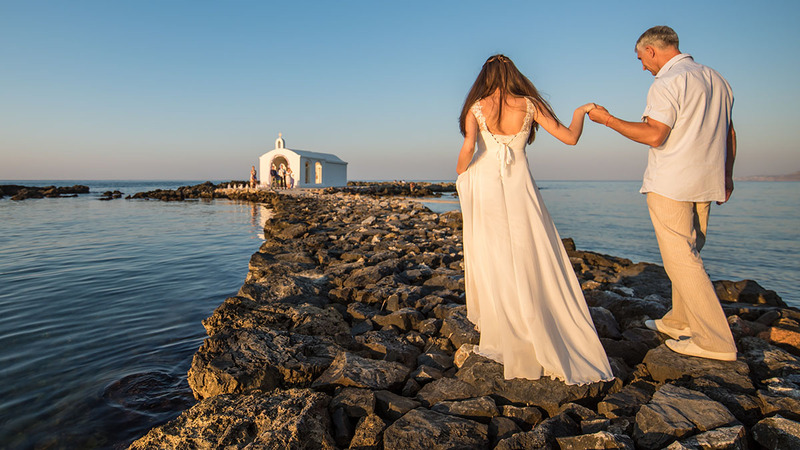 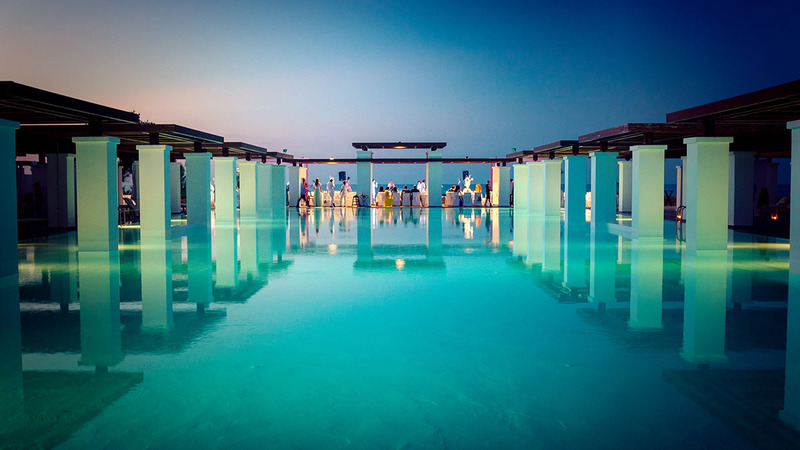 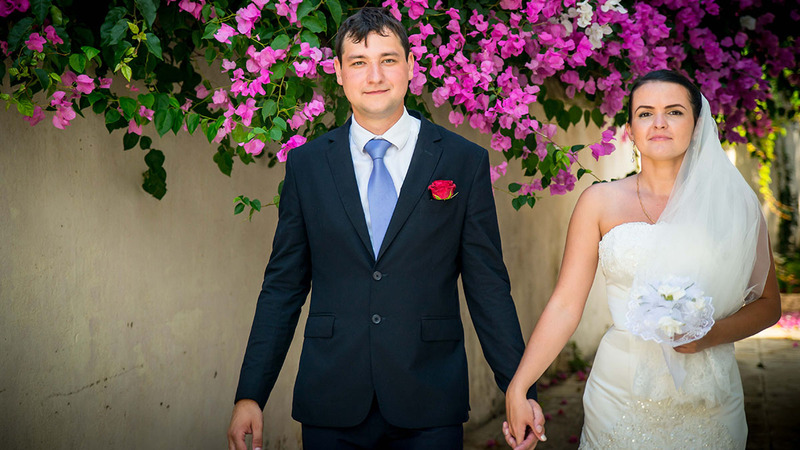 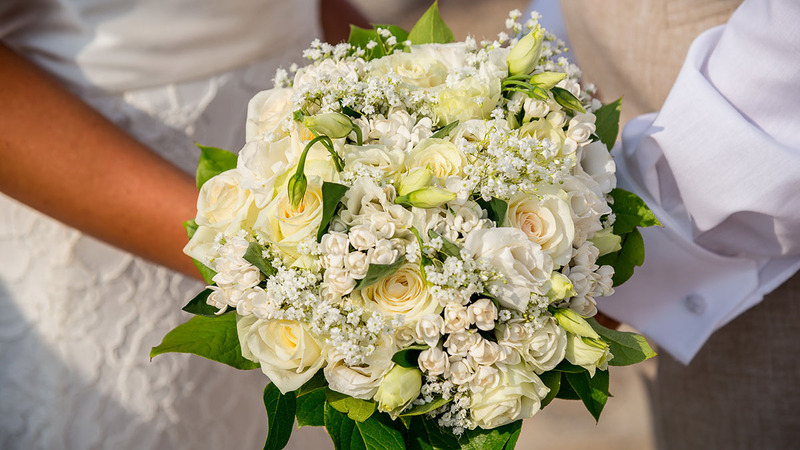 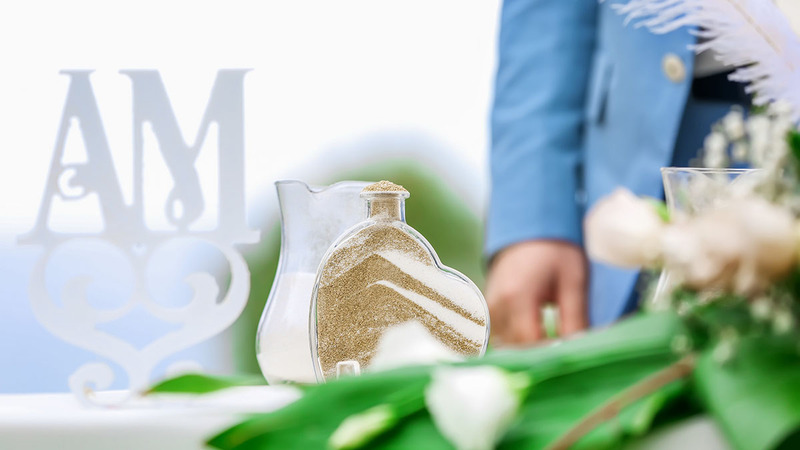 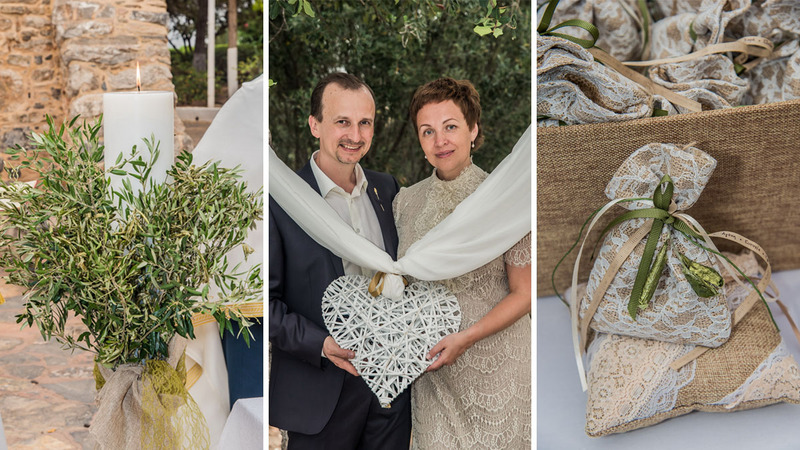 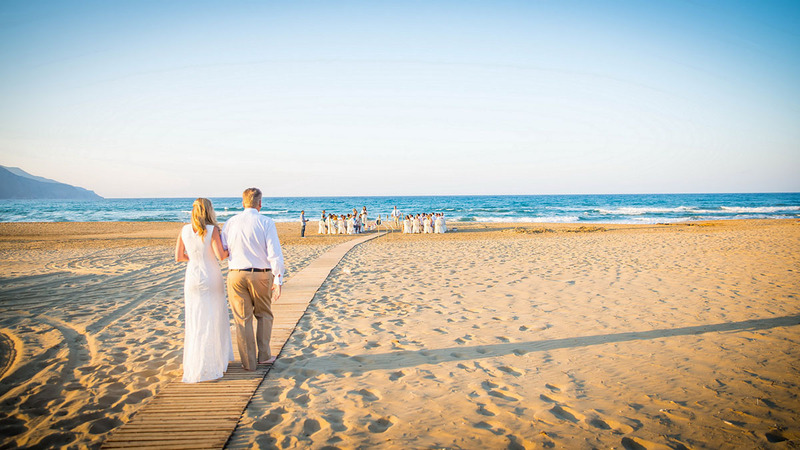 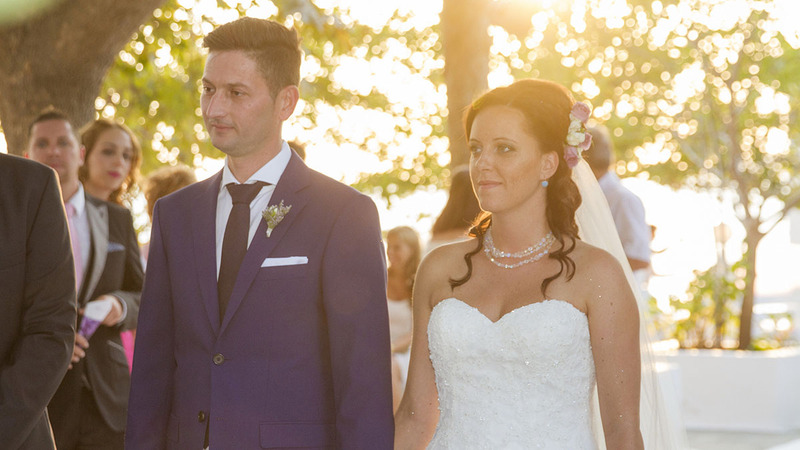 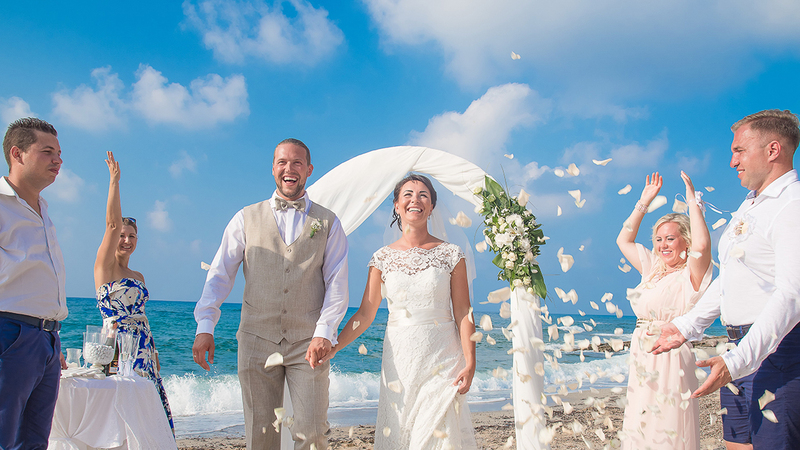 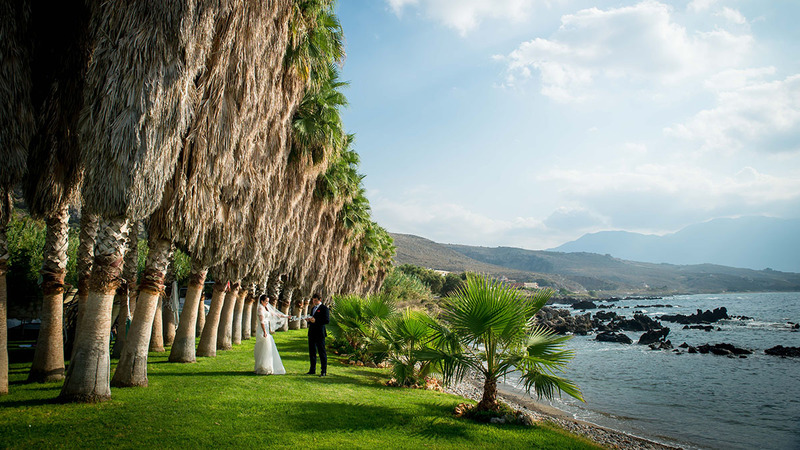 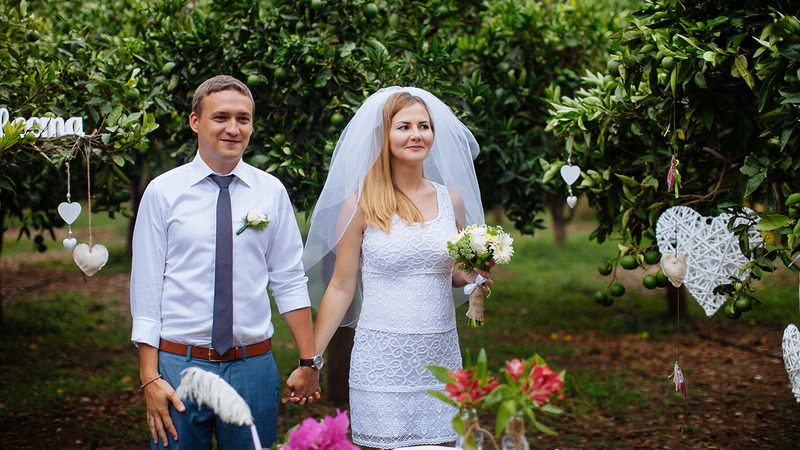 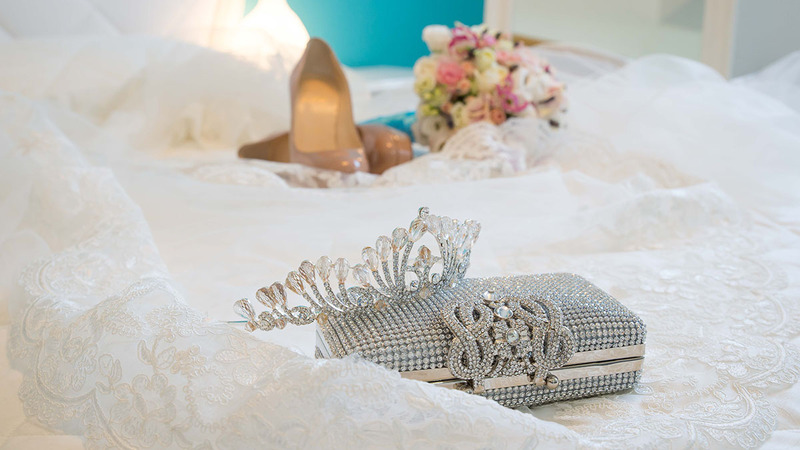 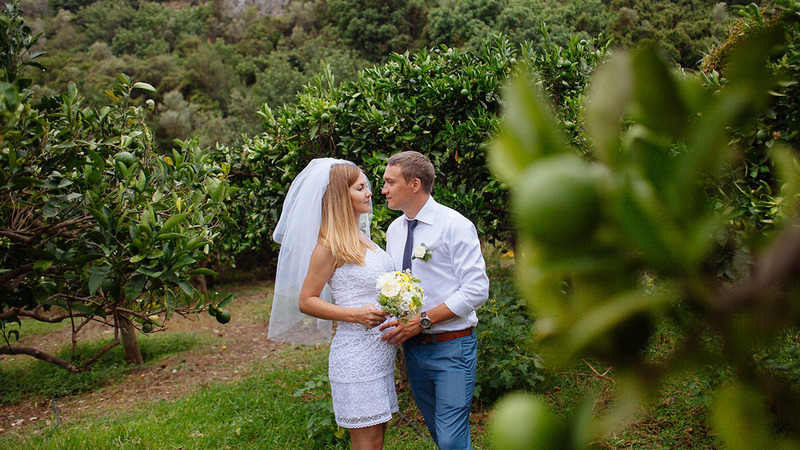 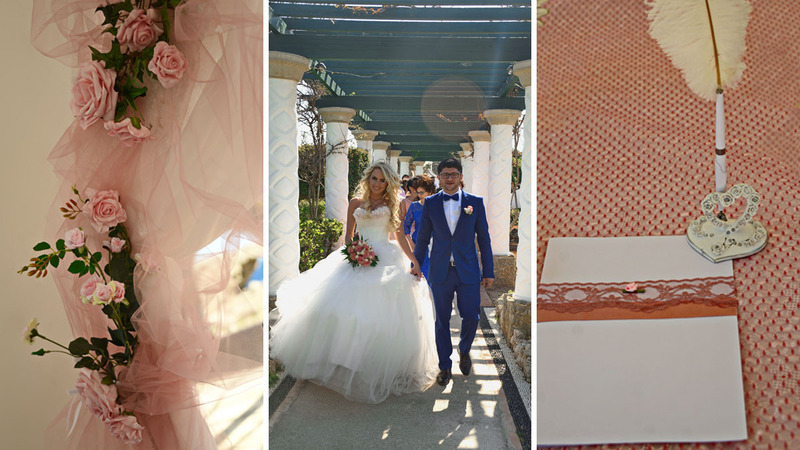 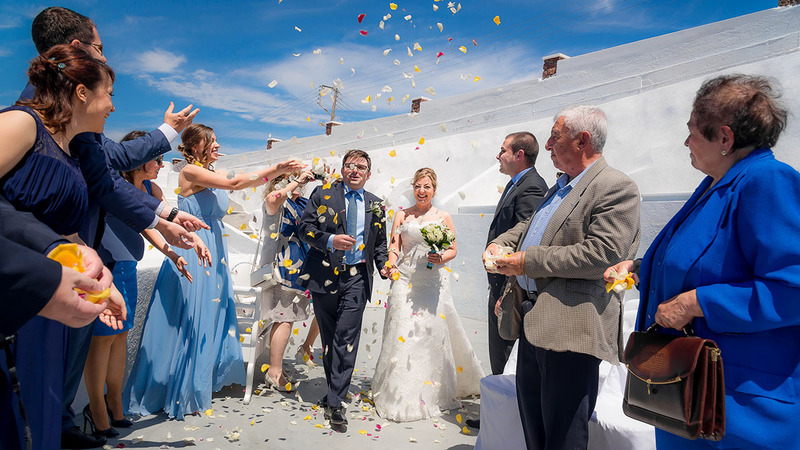 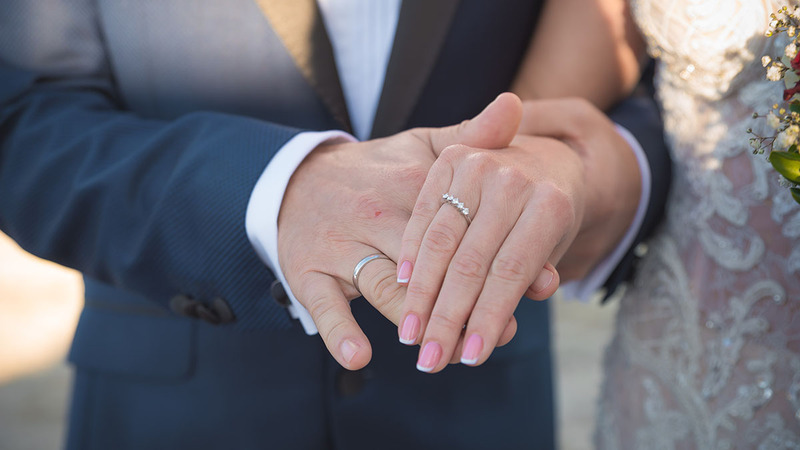 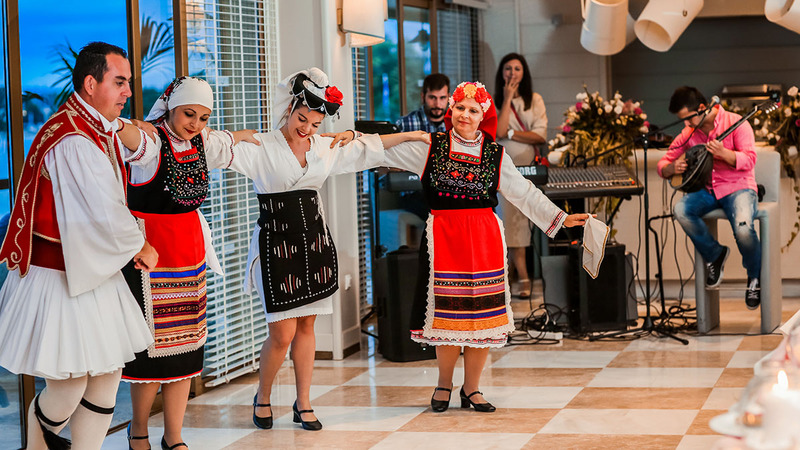 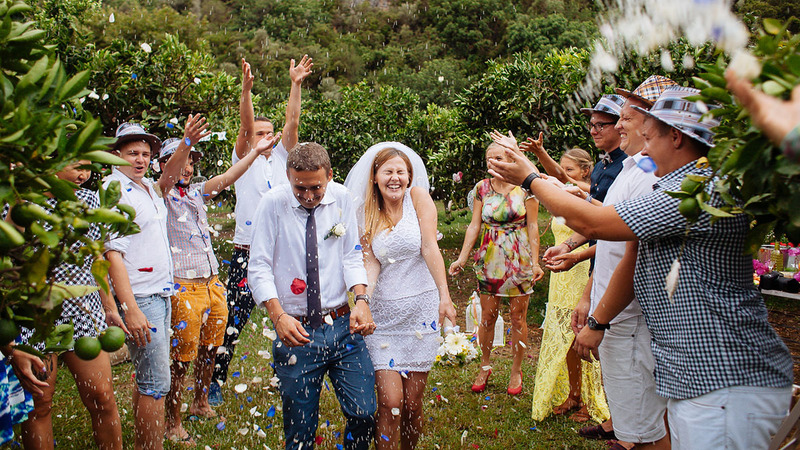 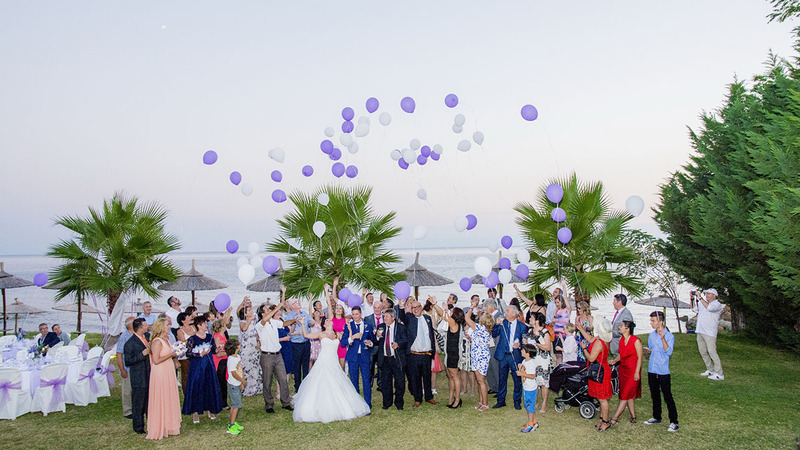 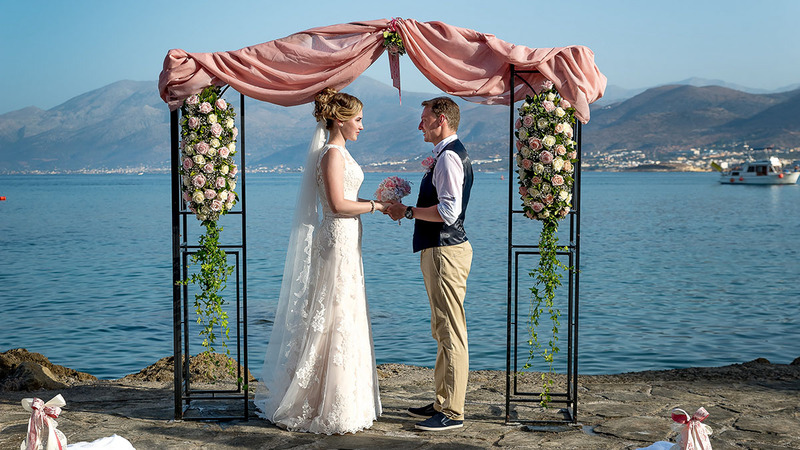 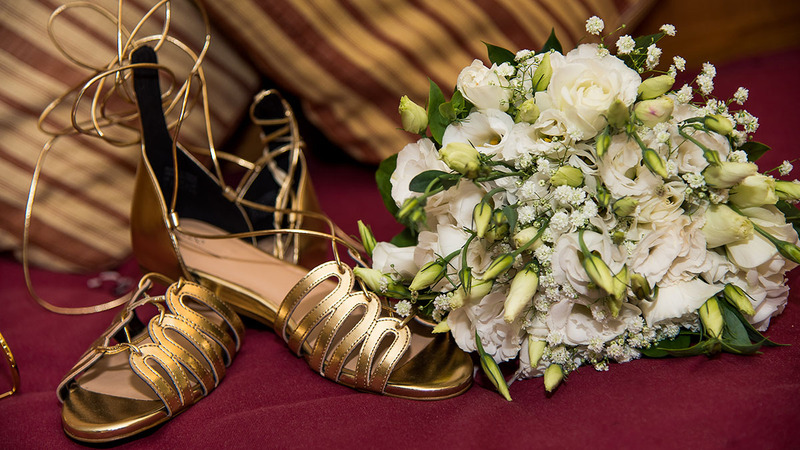 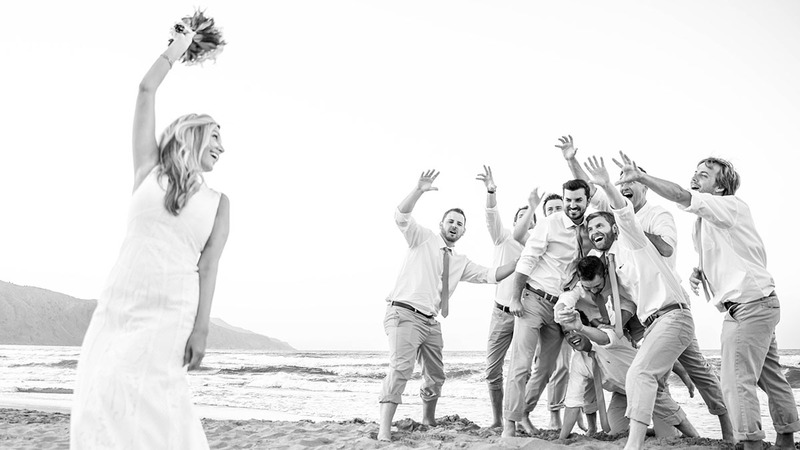 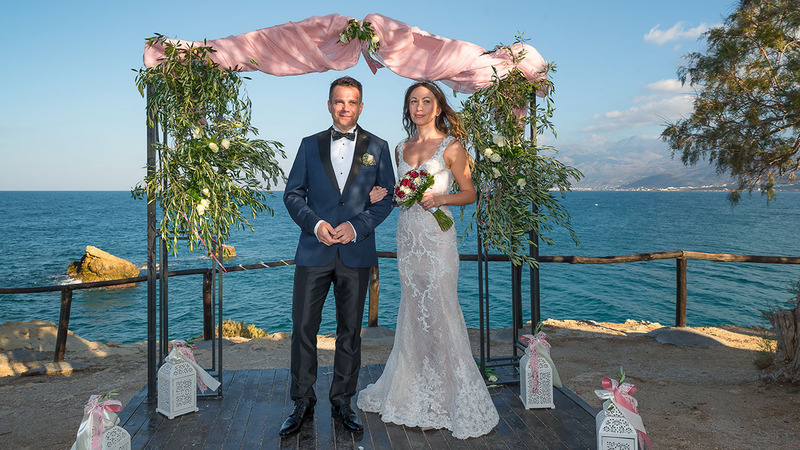 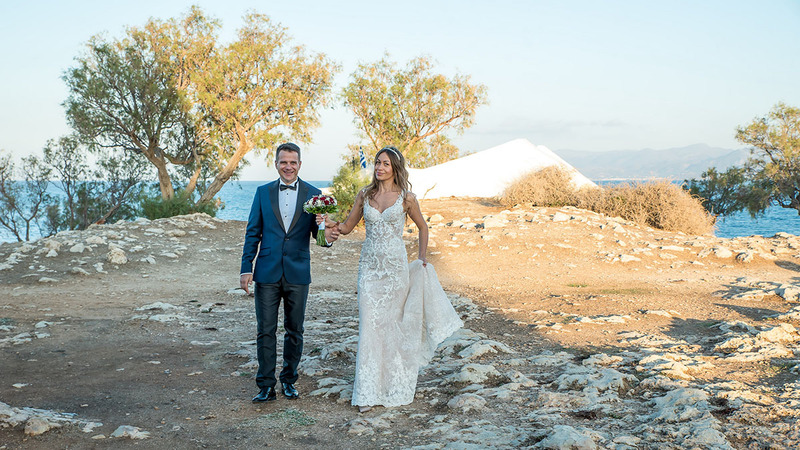 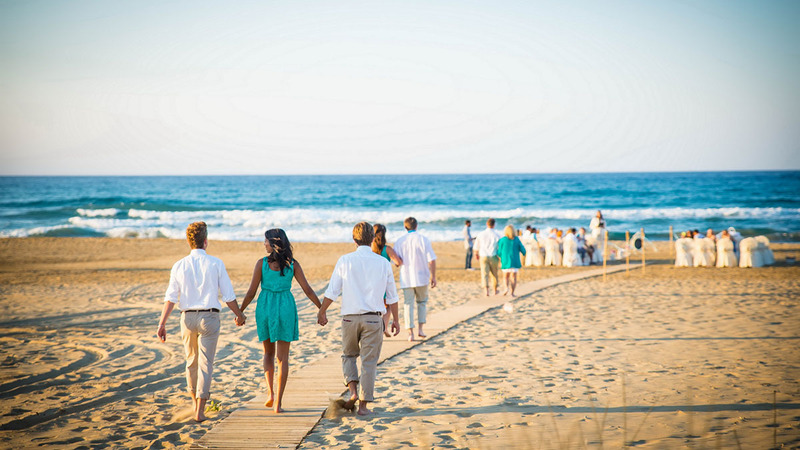 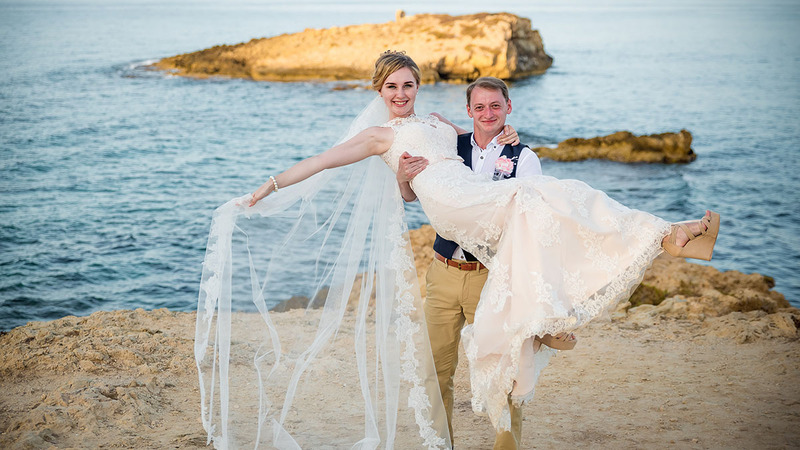 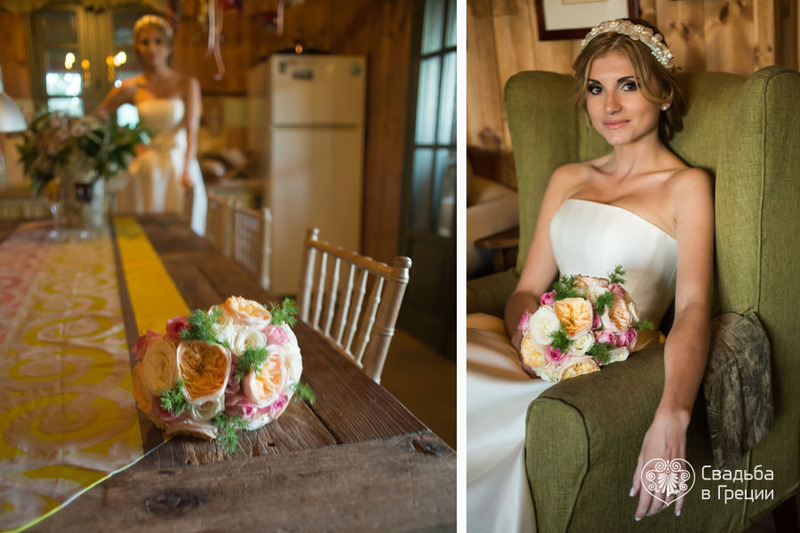 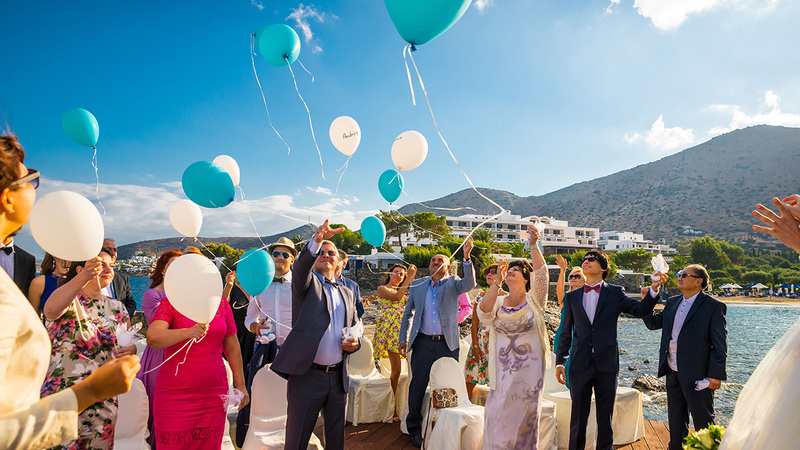 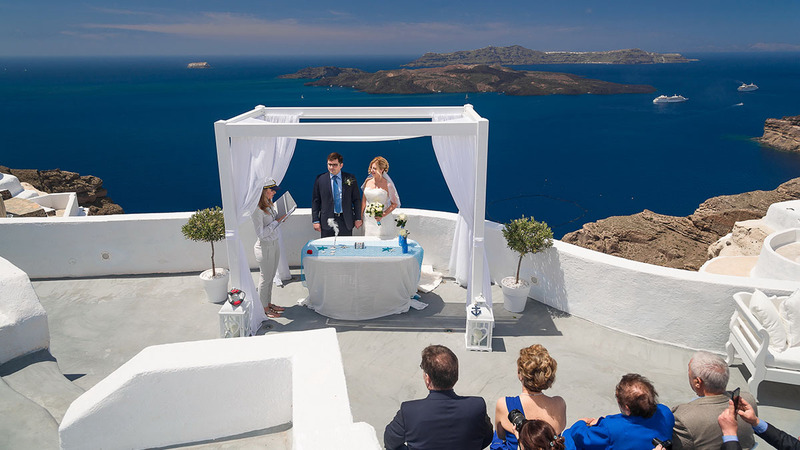 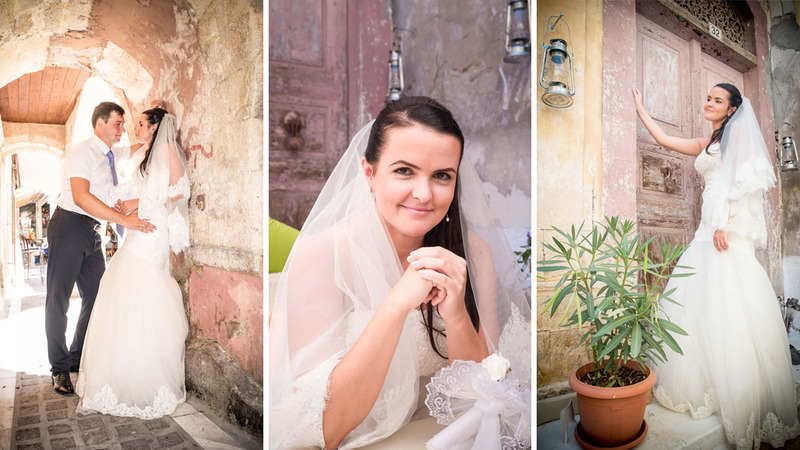 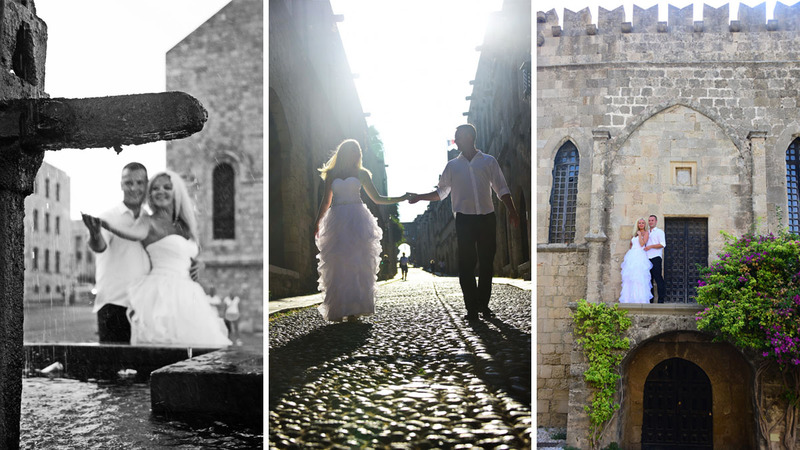 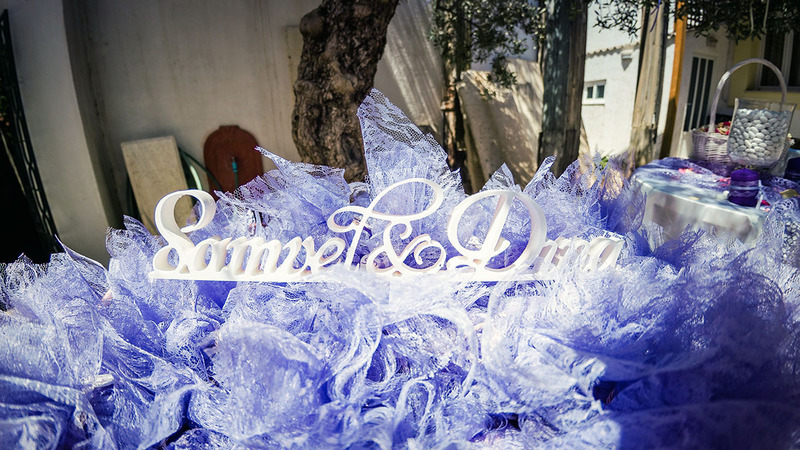 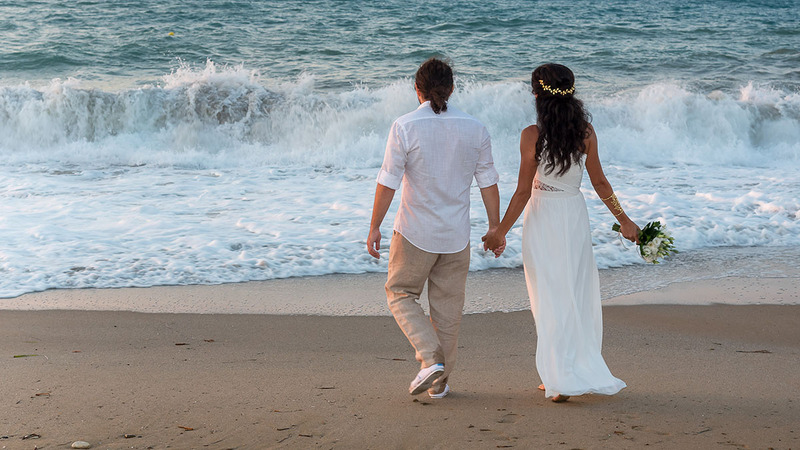 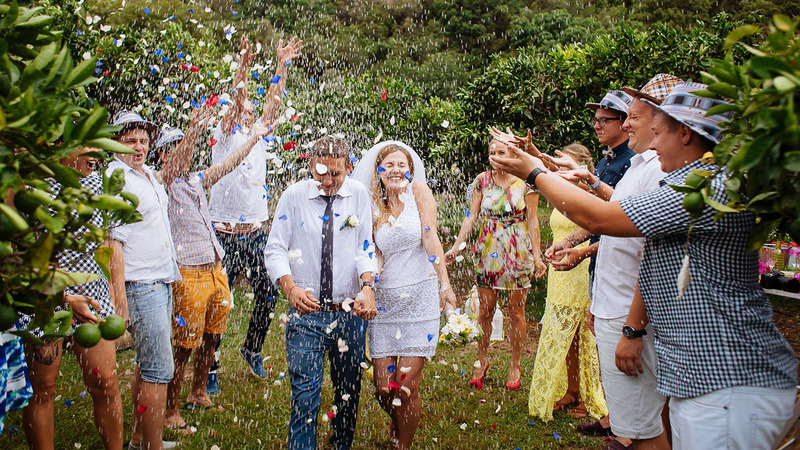 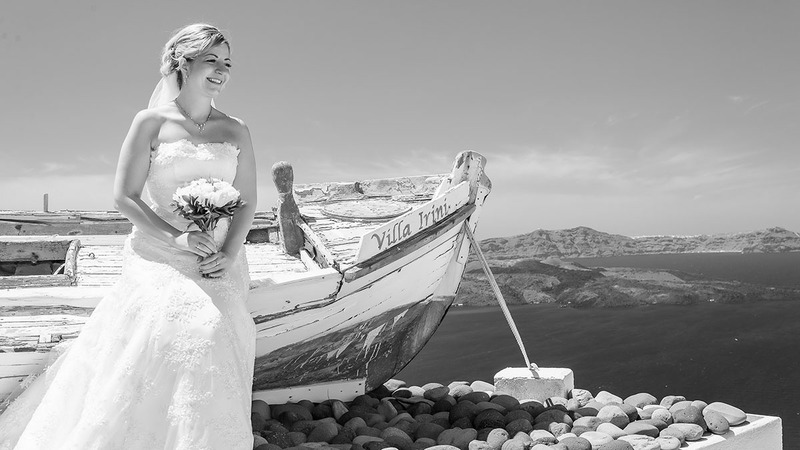 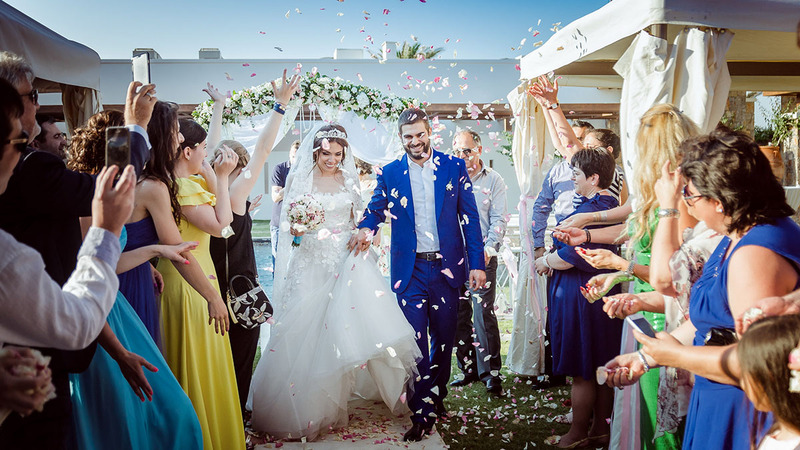 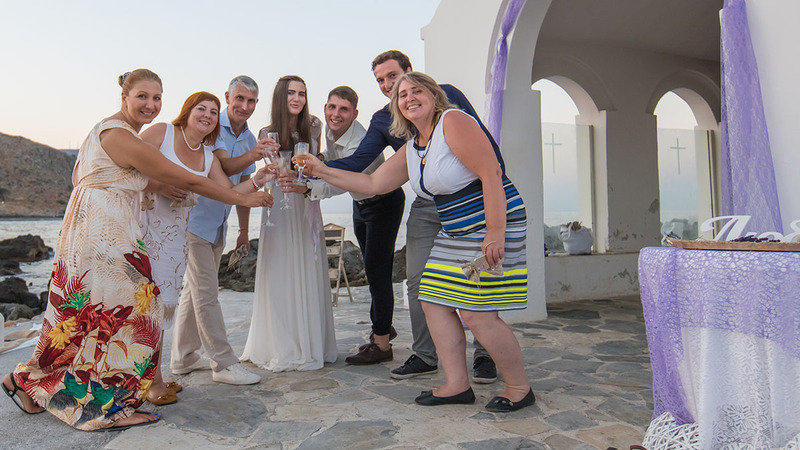 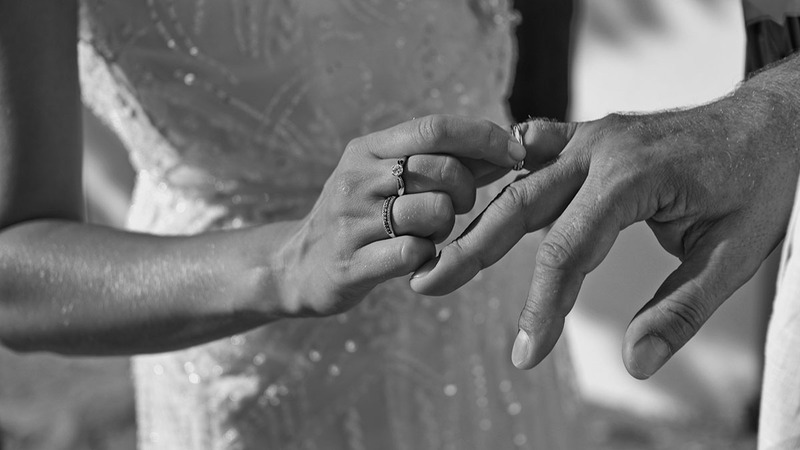 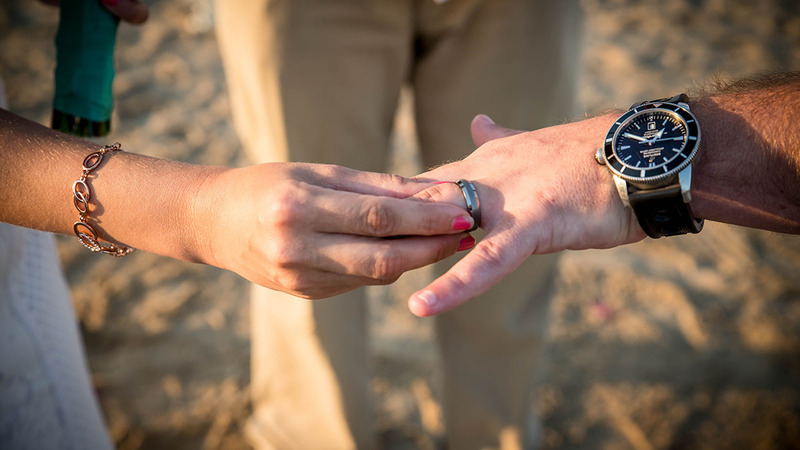 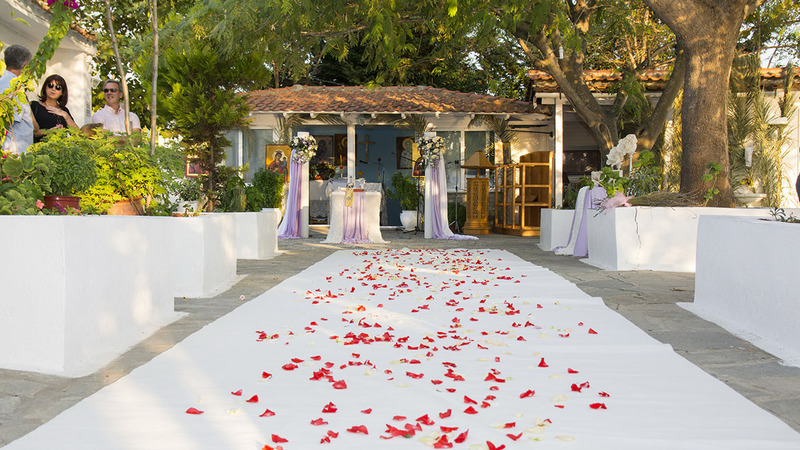 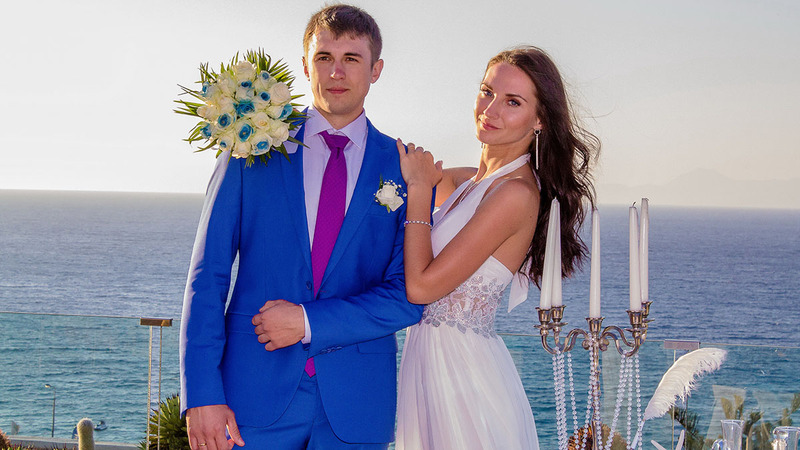 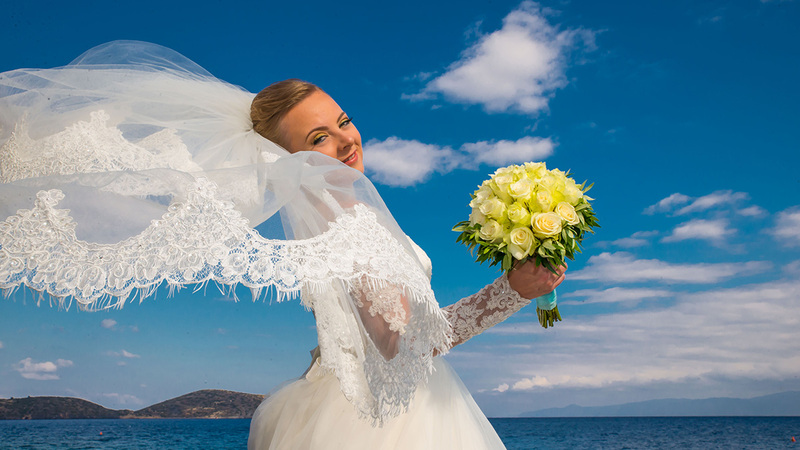 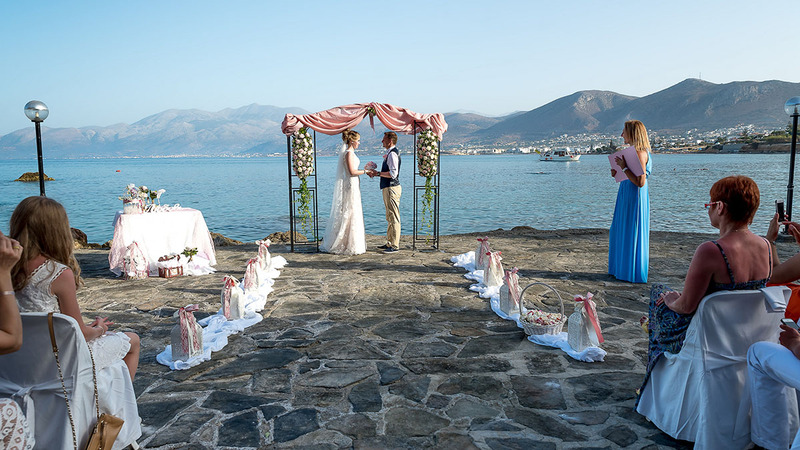 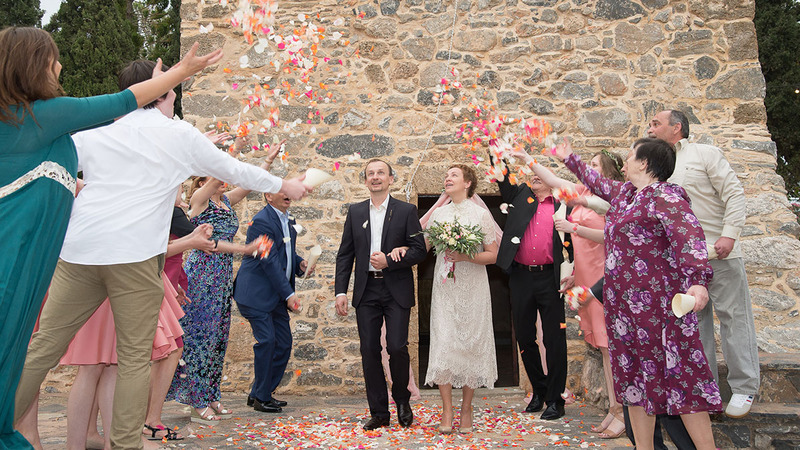 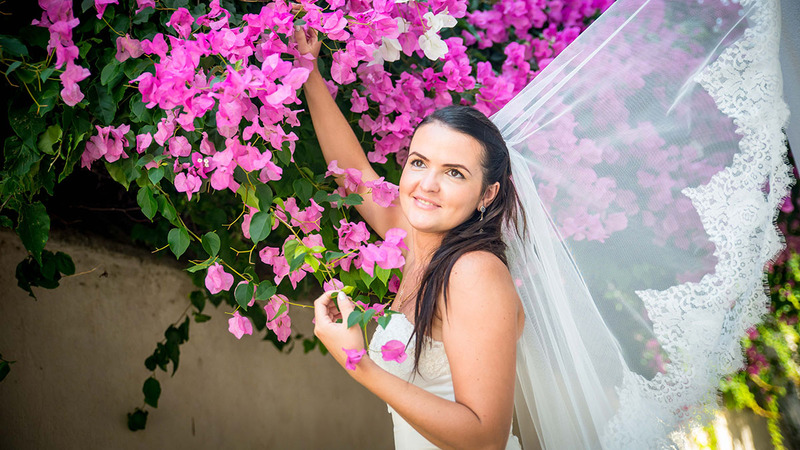 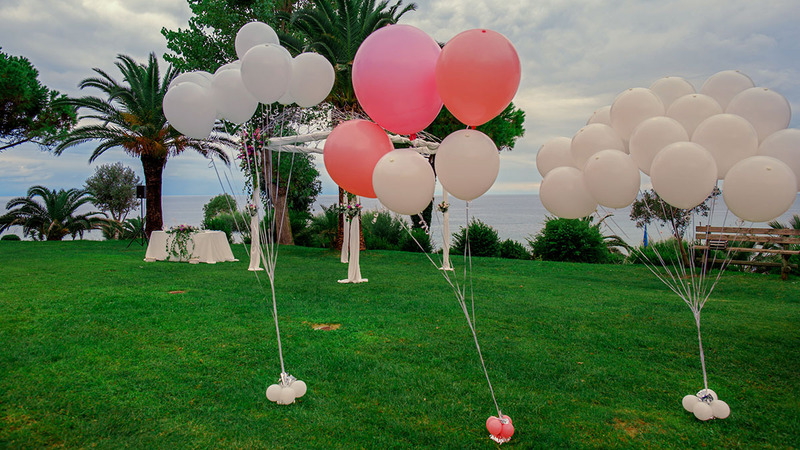 Over the years of the “Wedding in Greece” operation, our experts have been able to organize and conduct numerous different weddings and church ceremonies of outstanding beauty. 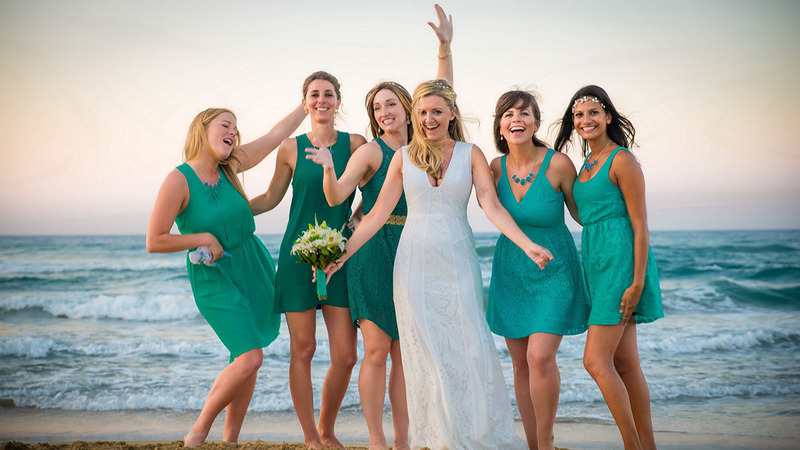 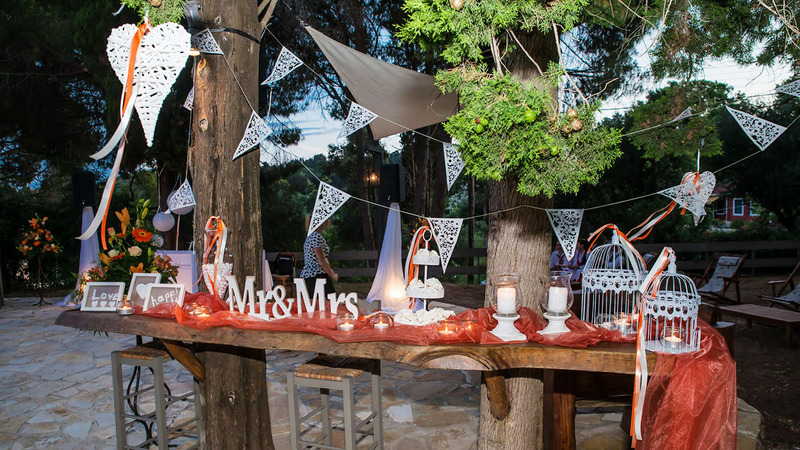 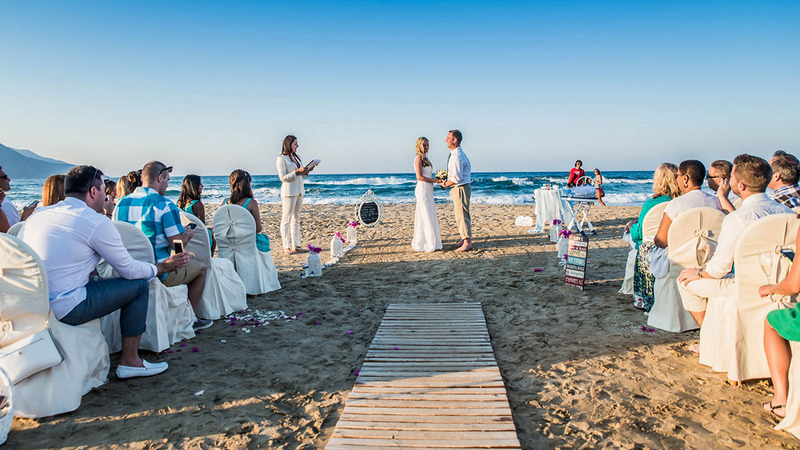 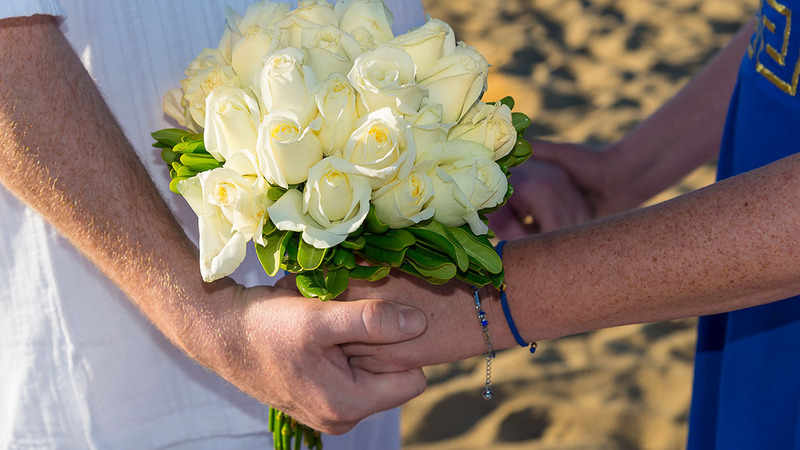 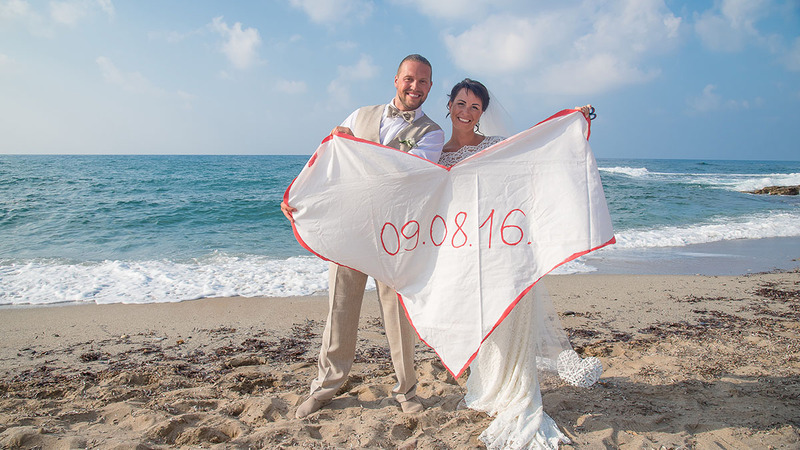 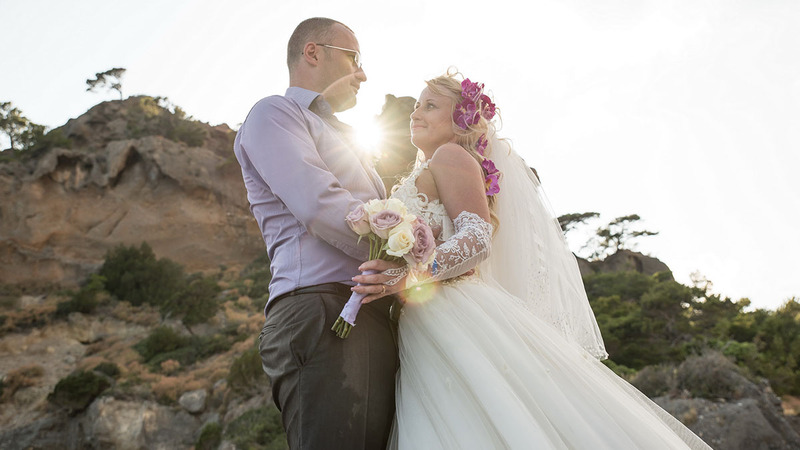 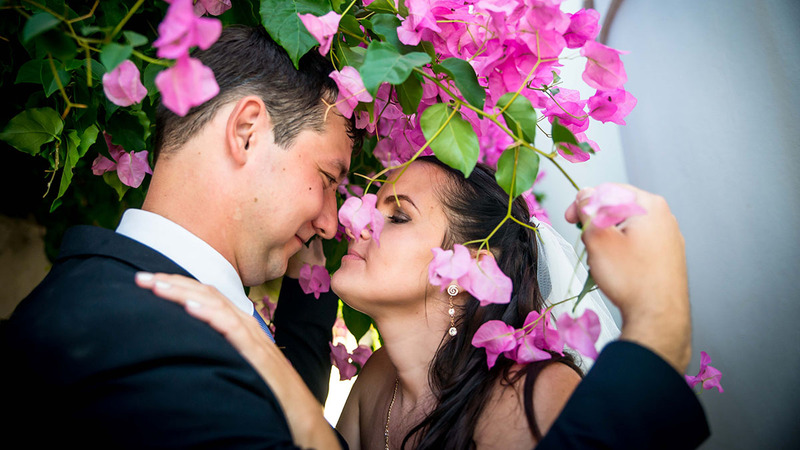 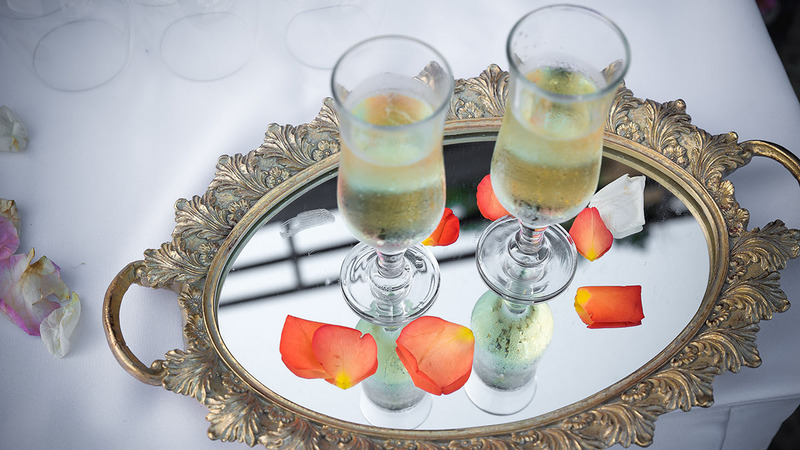 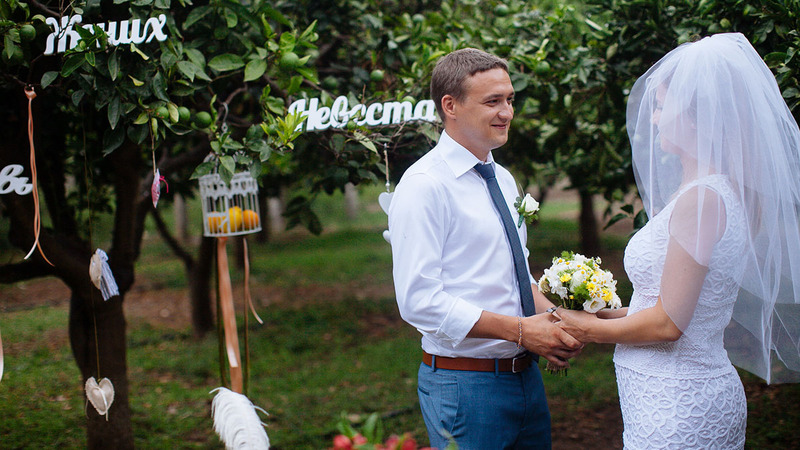 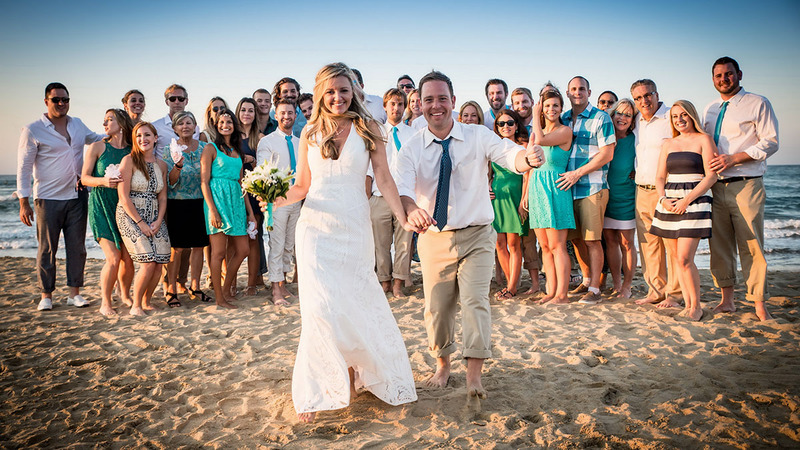 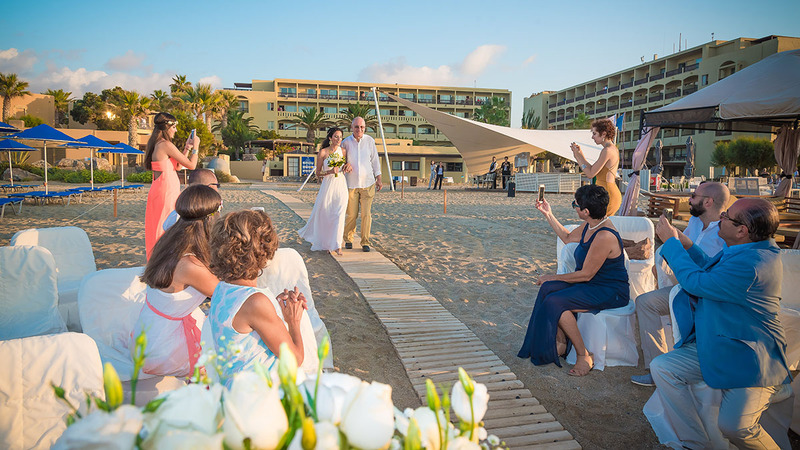 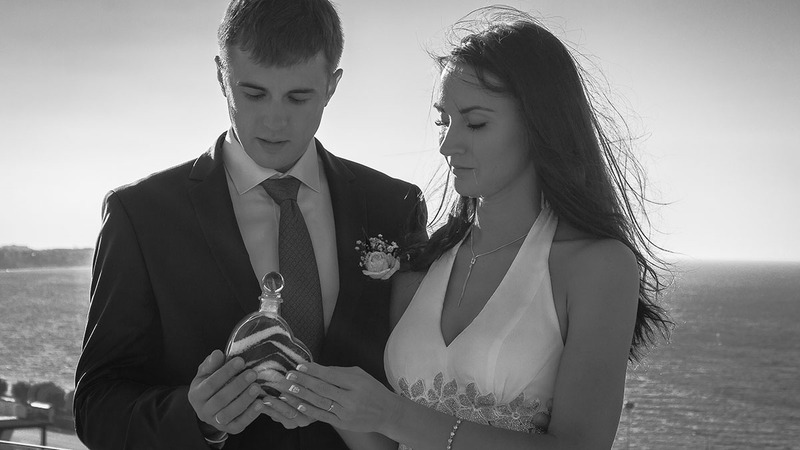 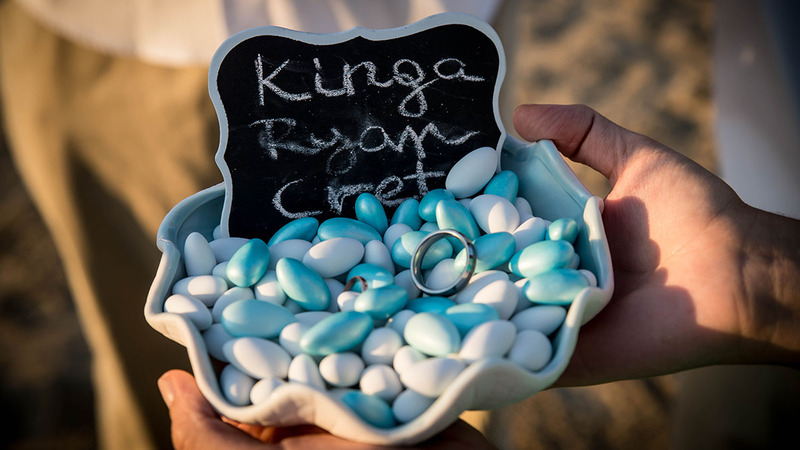 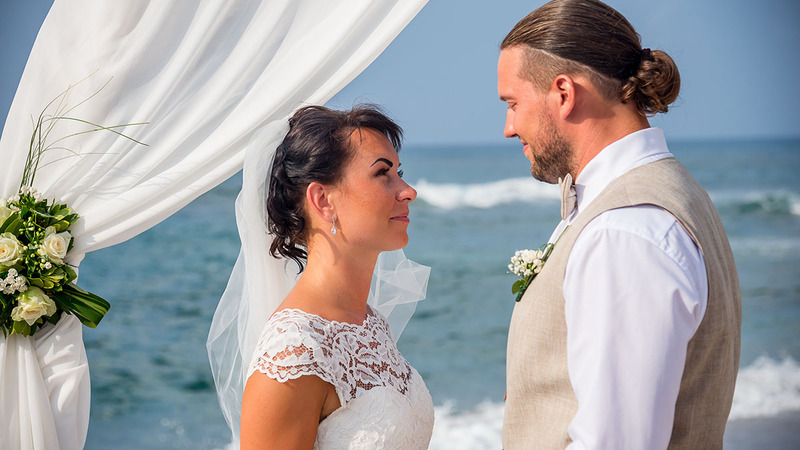 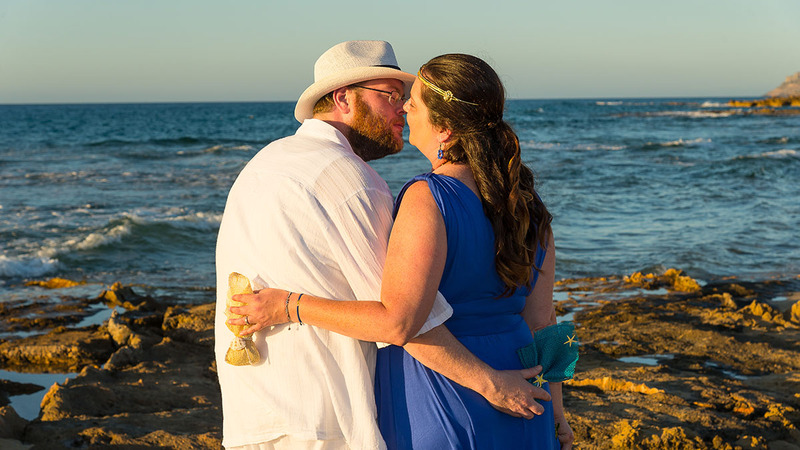 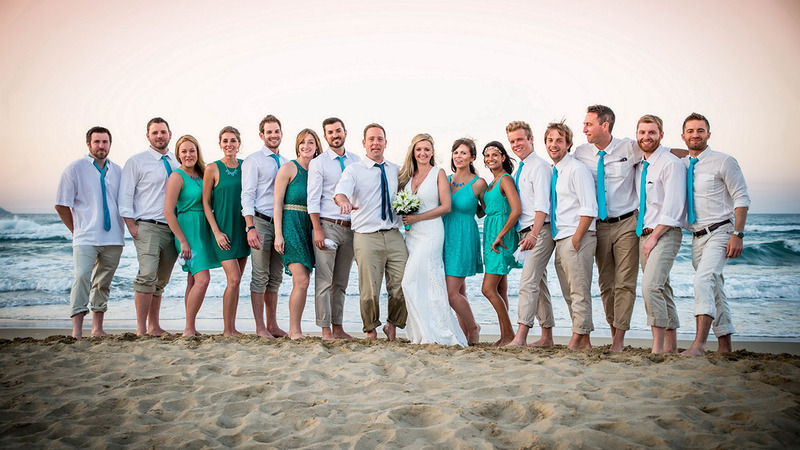 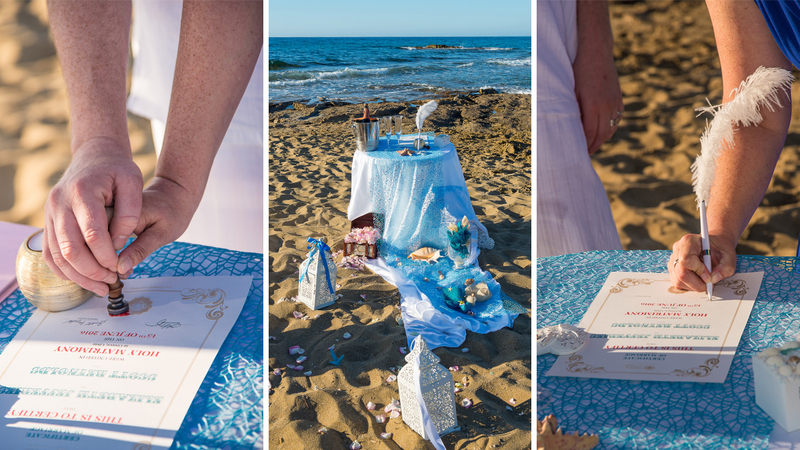 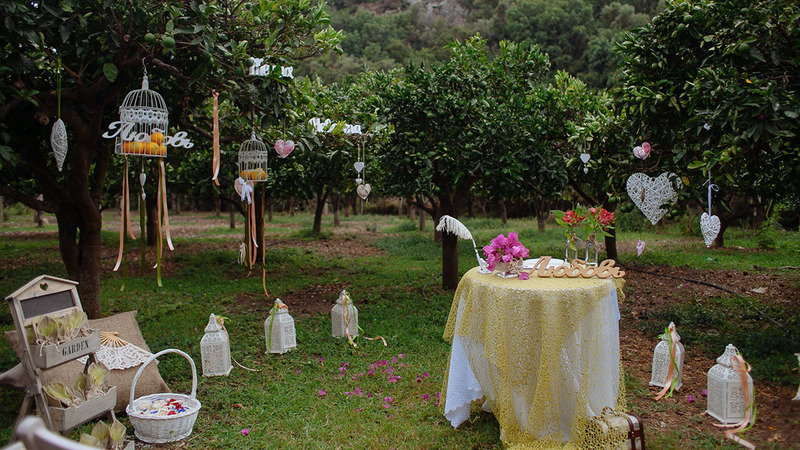 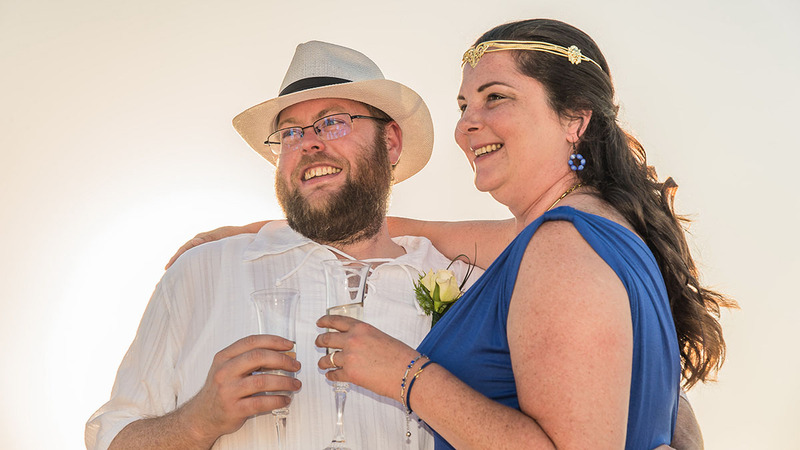 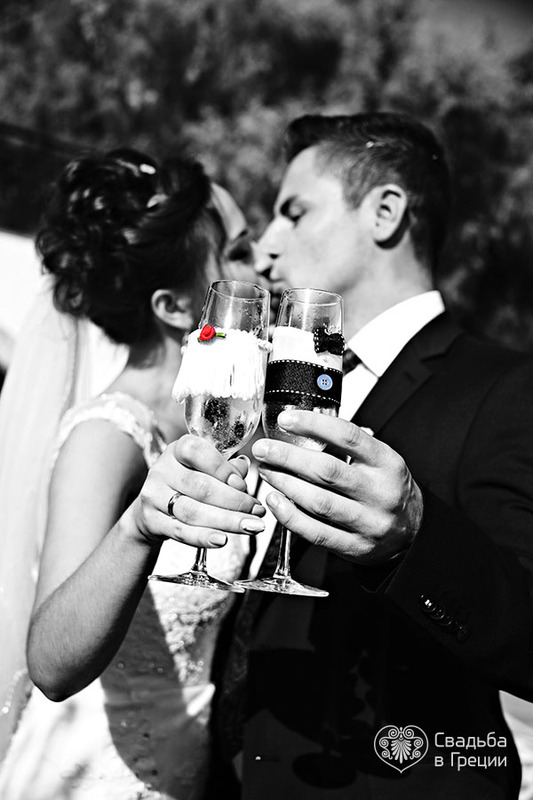 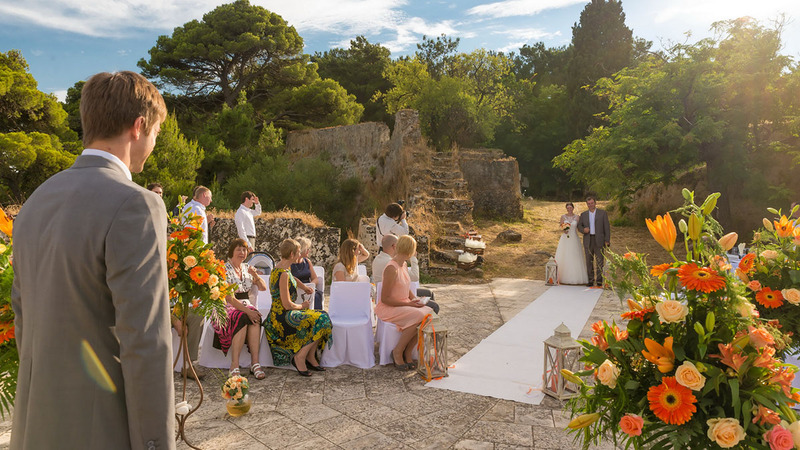 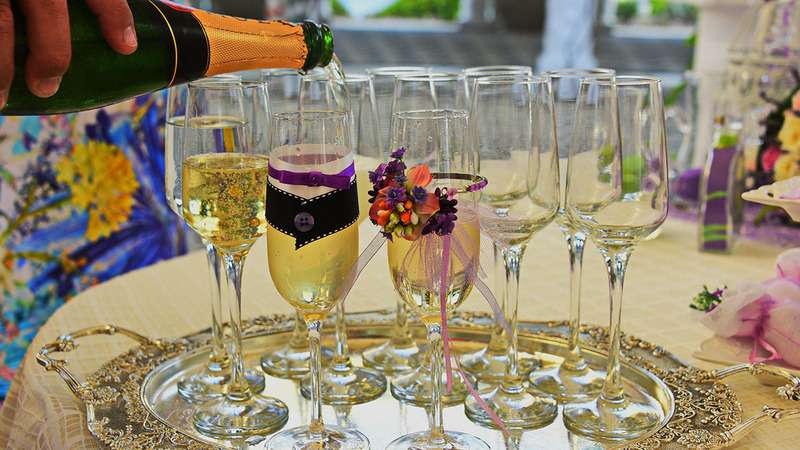 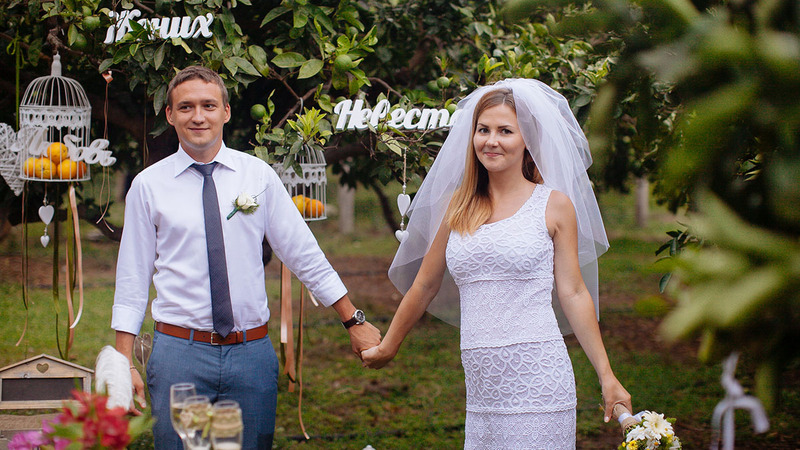 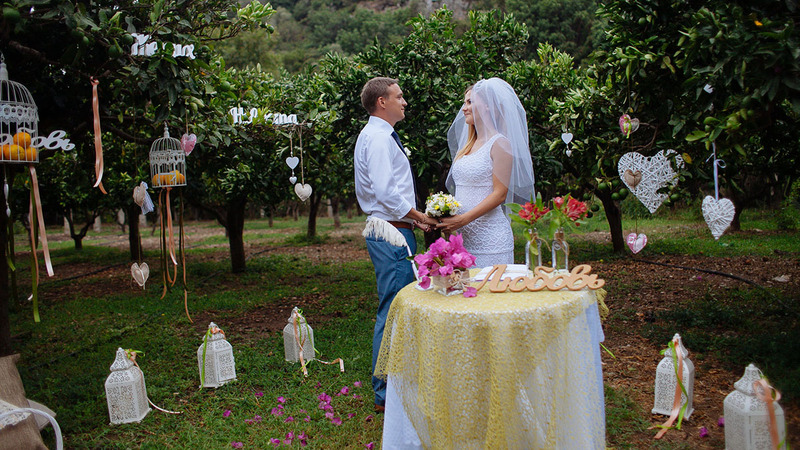 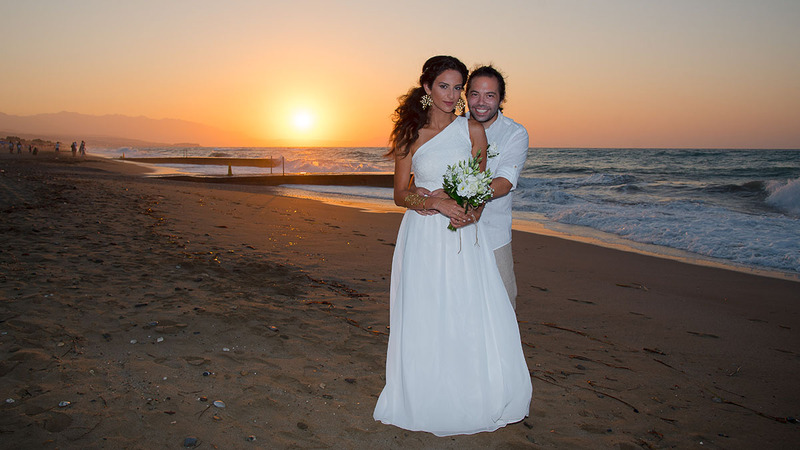 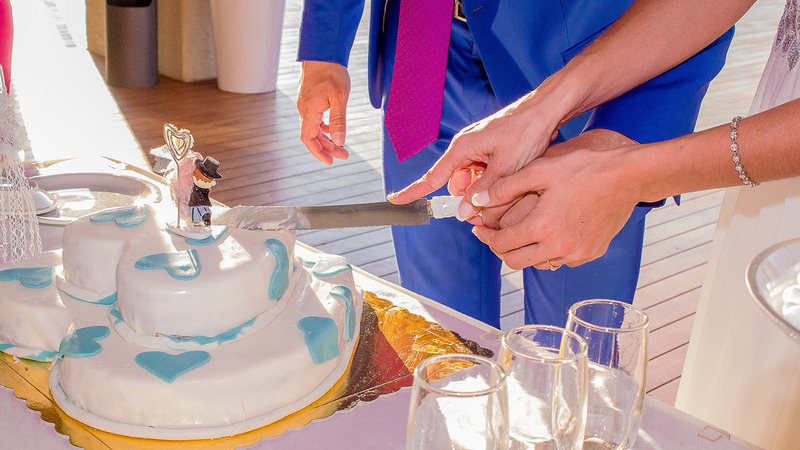 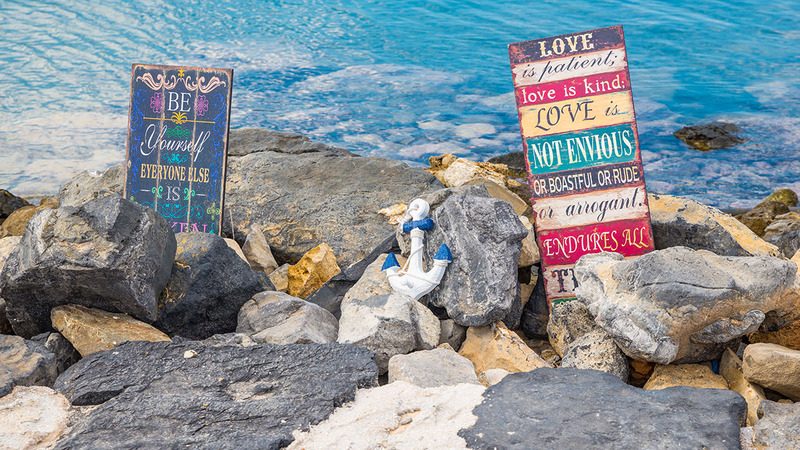 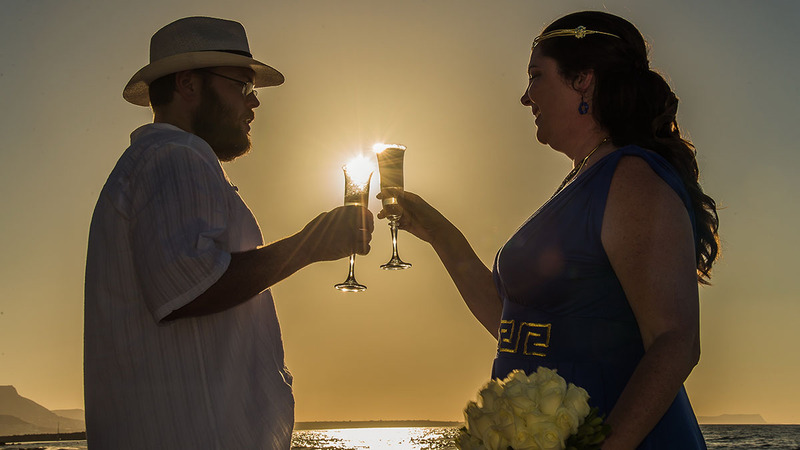 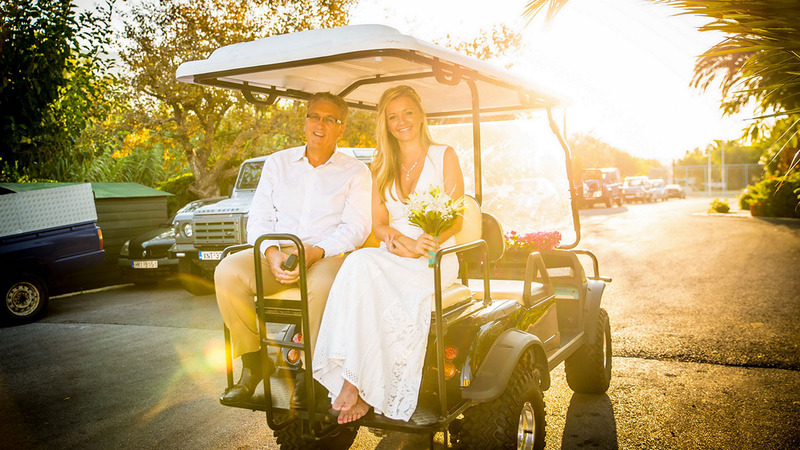 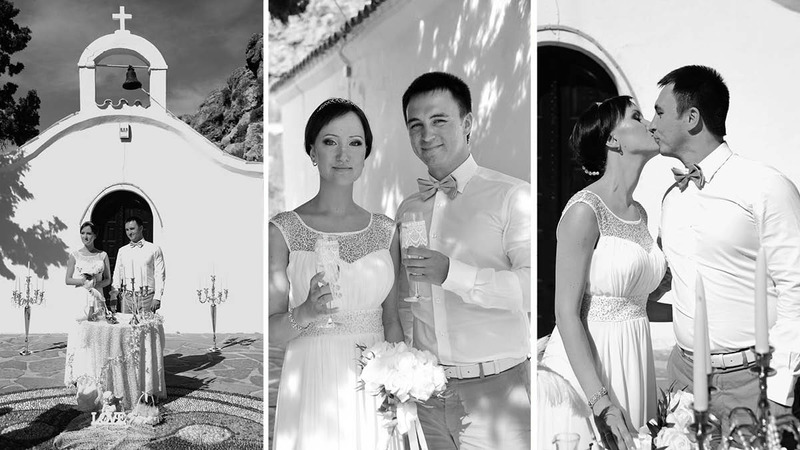 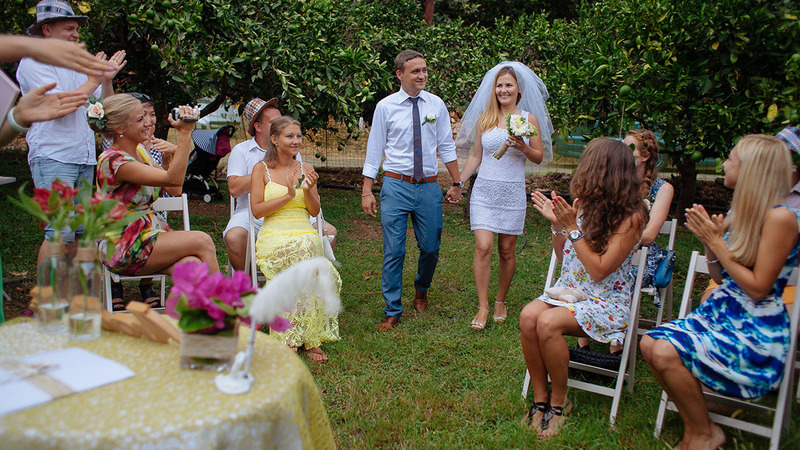 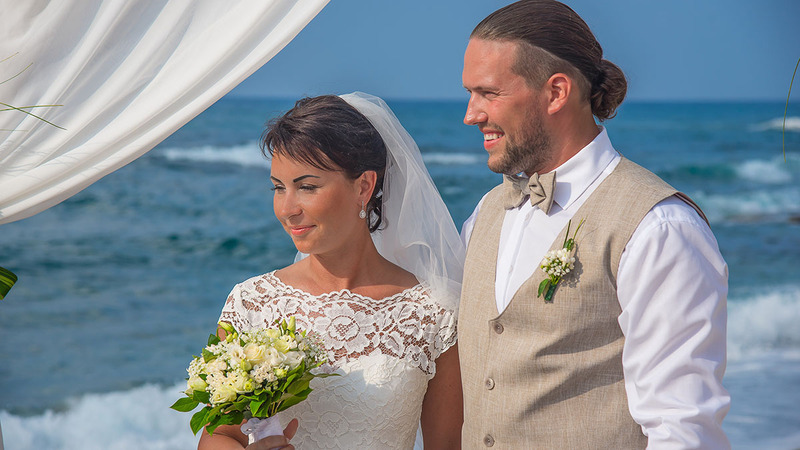 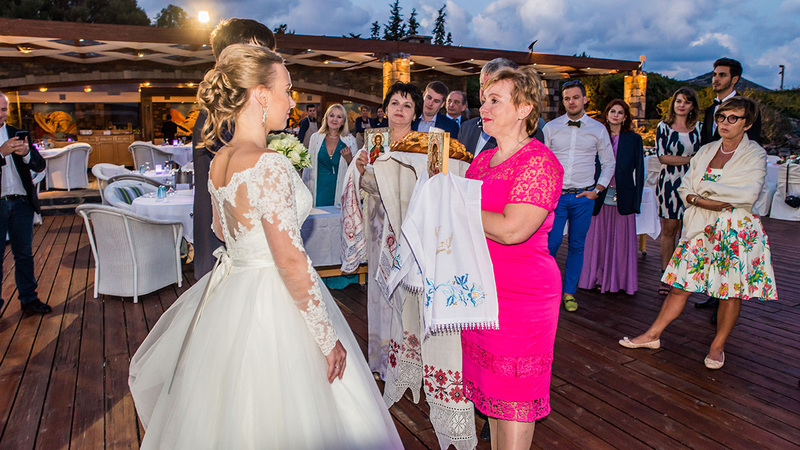 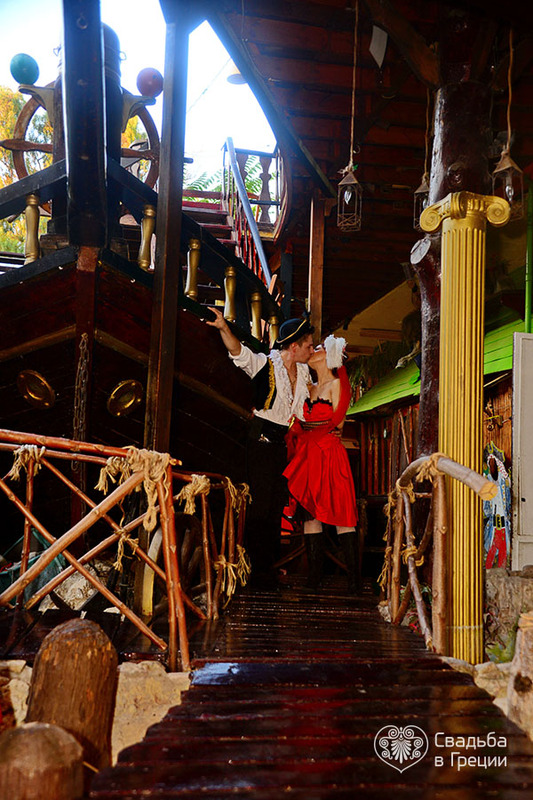 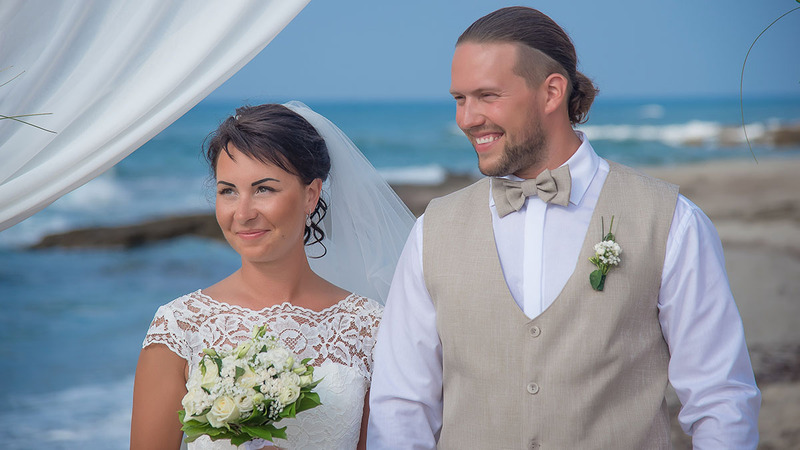 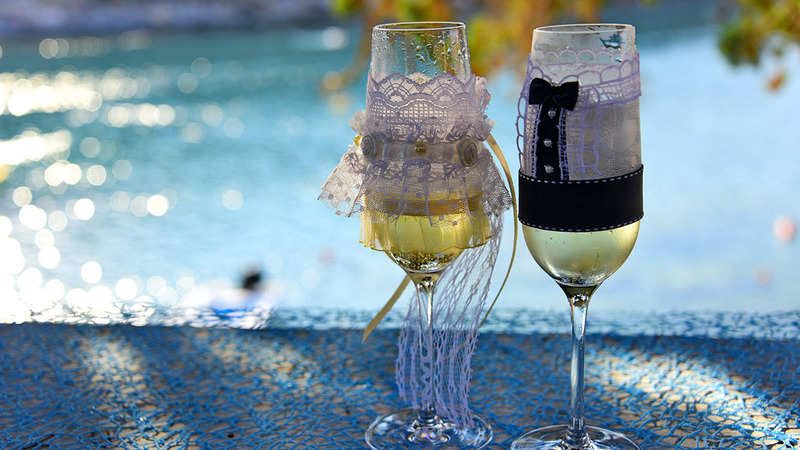 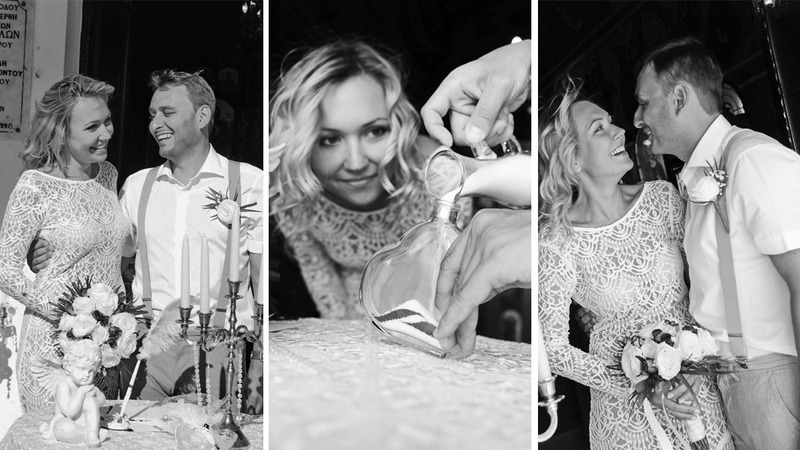 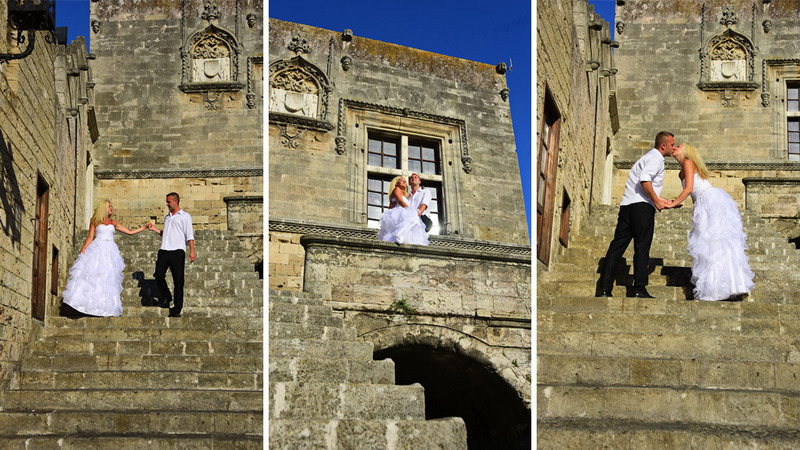 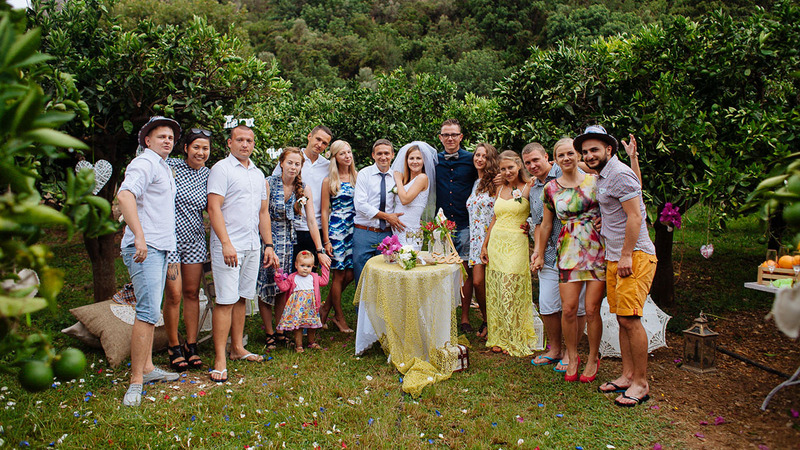 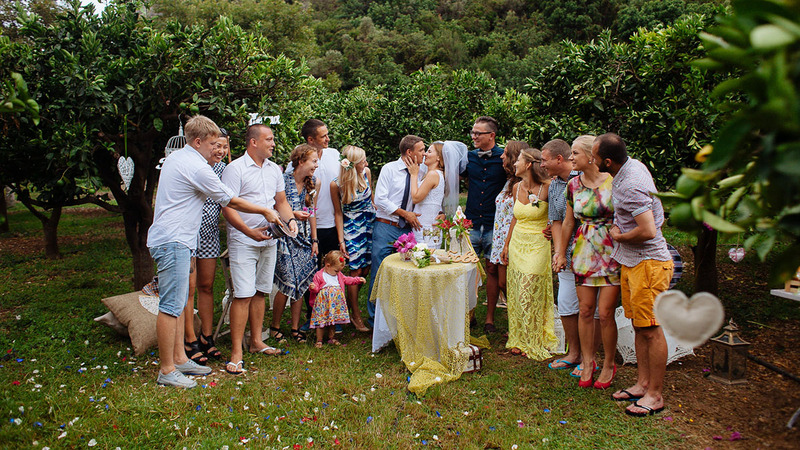 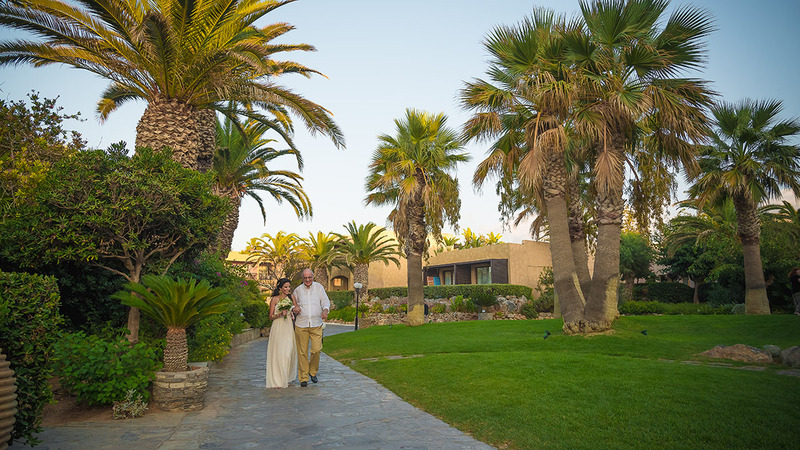 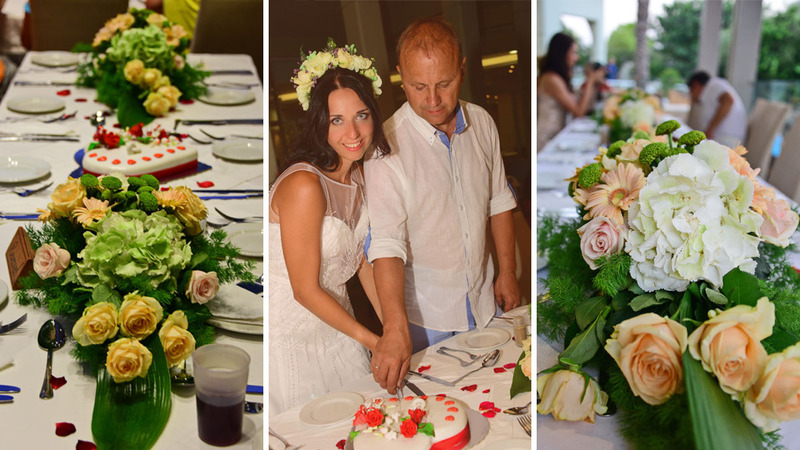 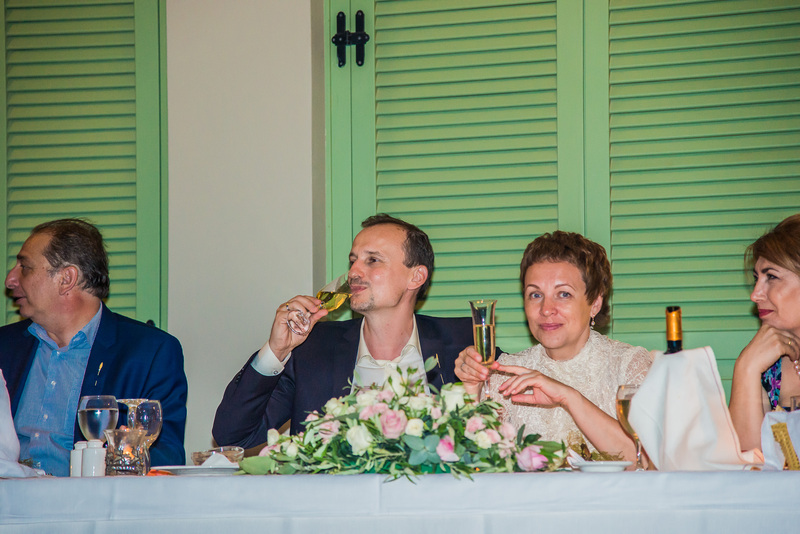 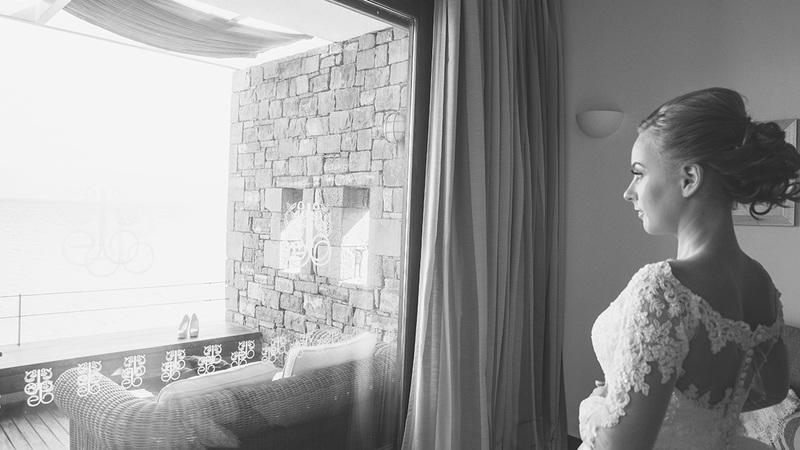 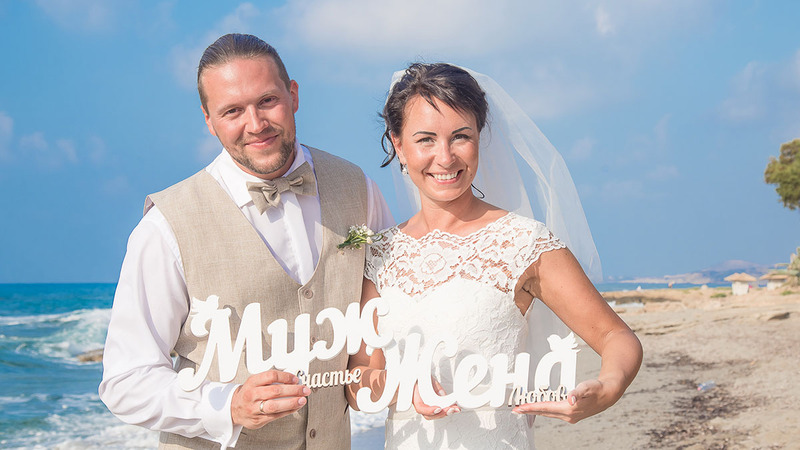 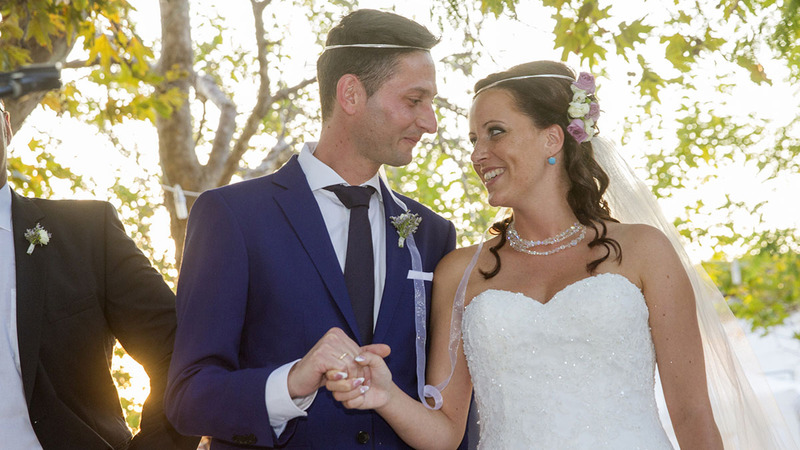 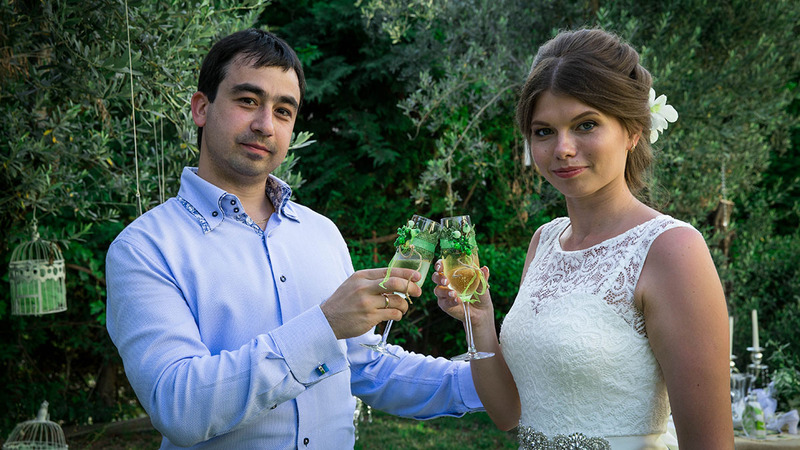 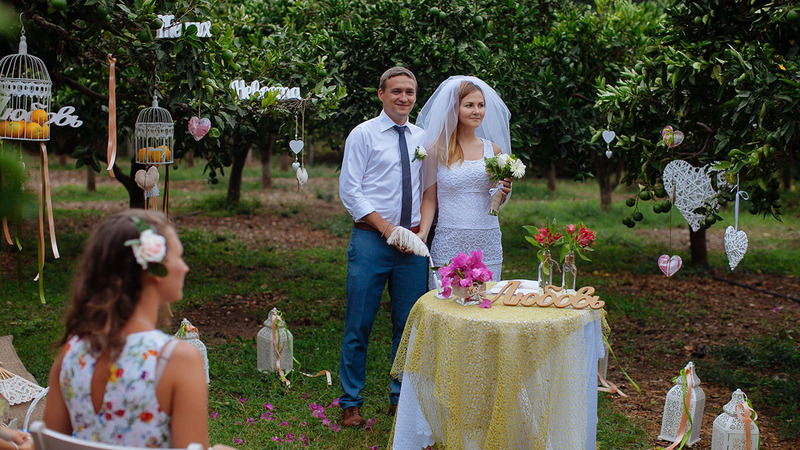 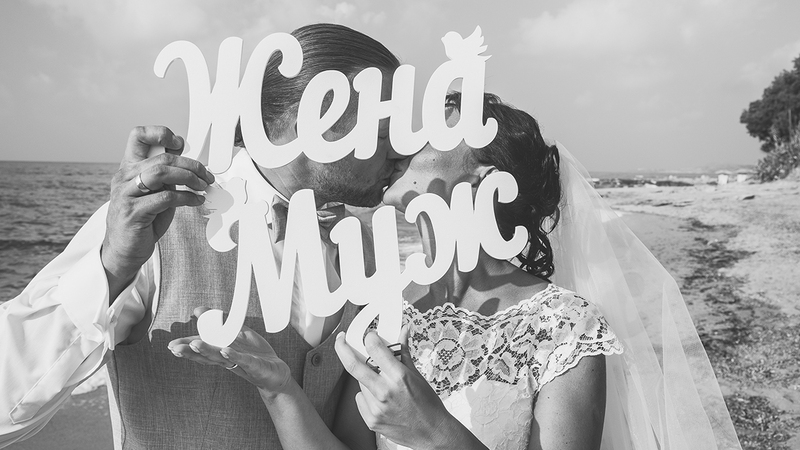 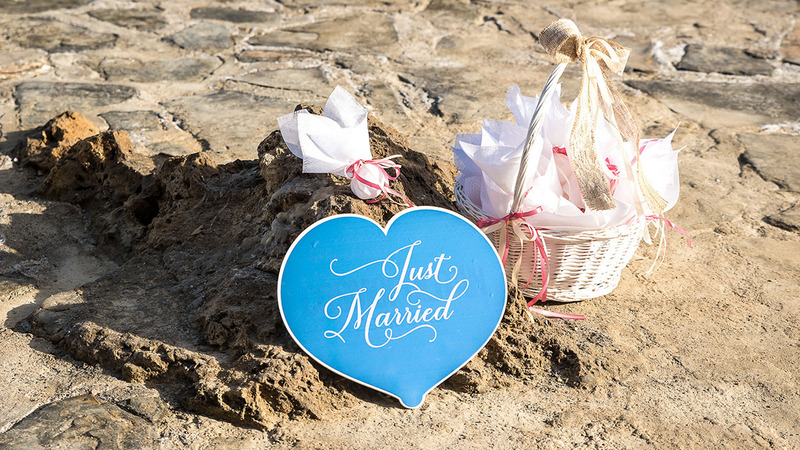 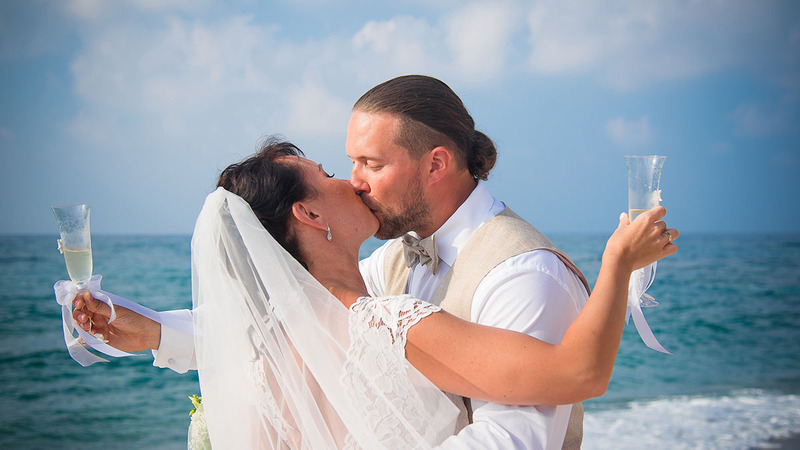 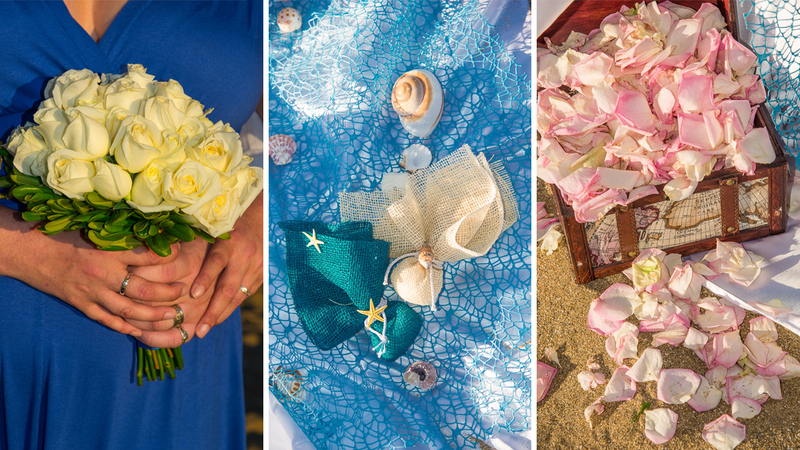 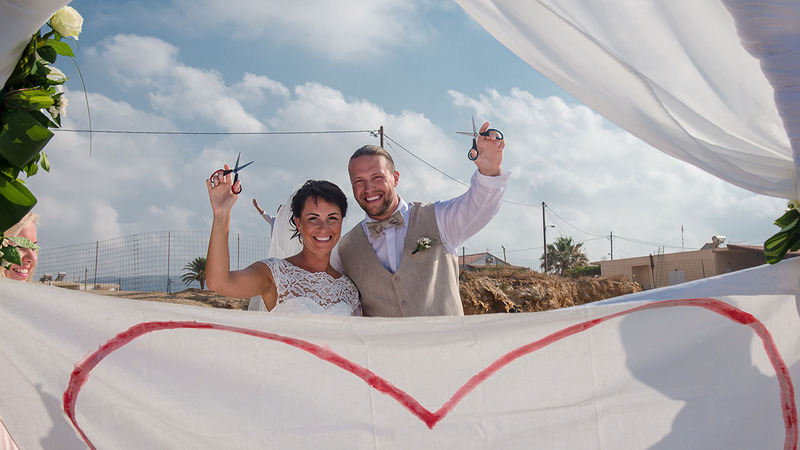 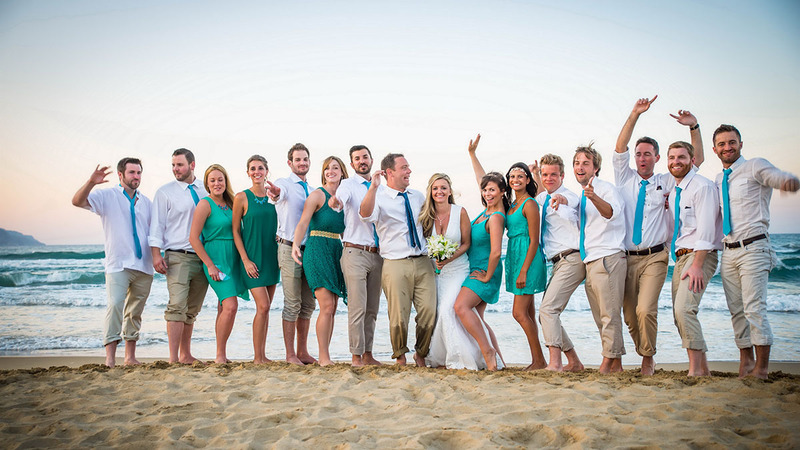 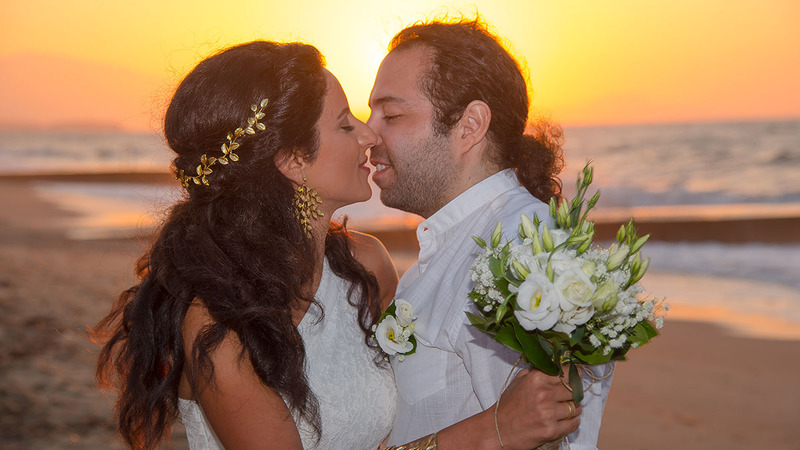 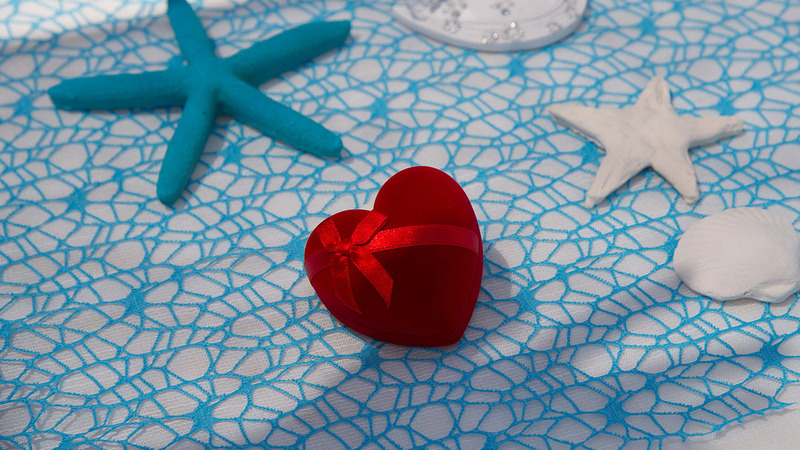 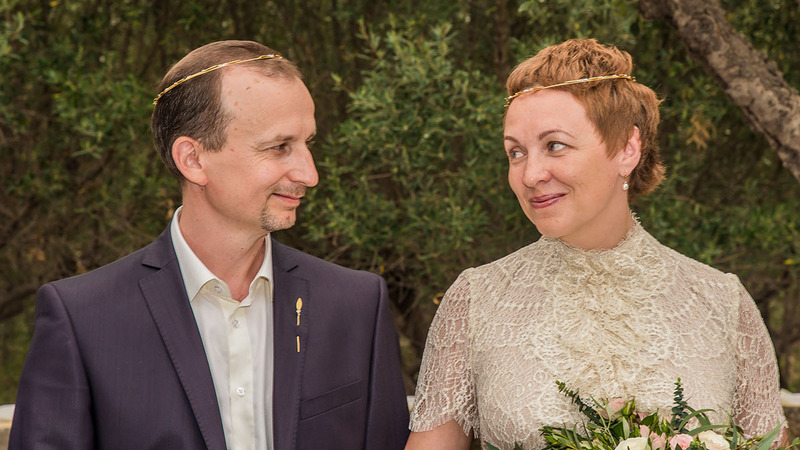 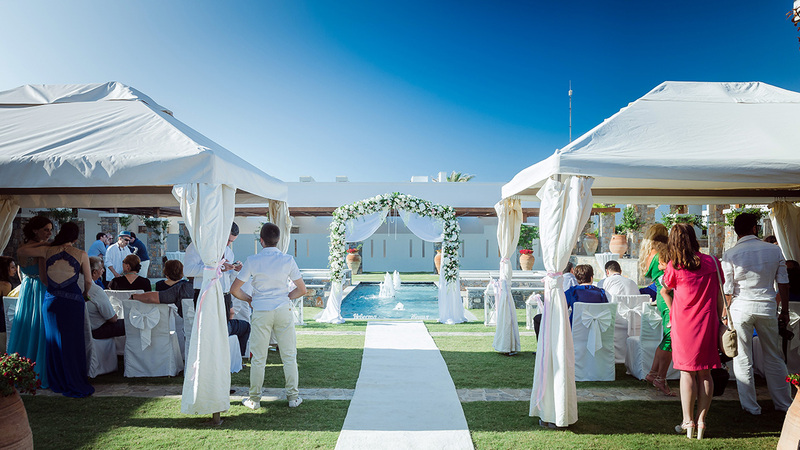 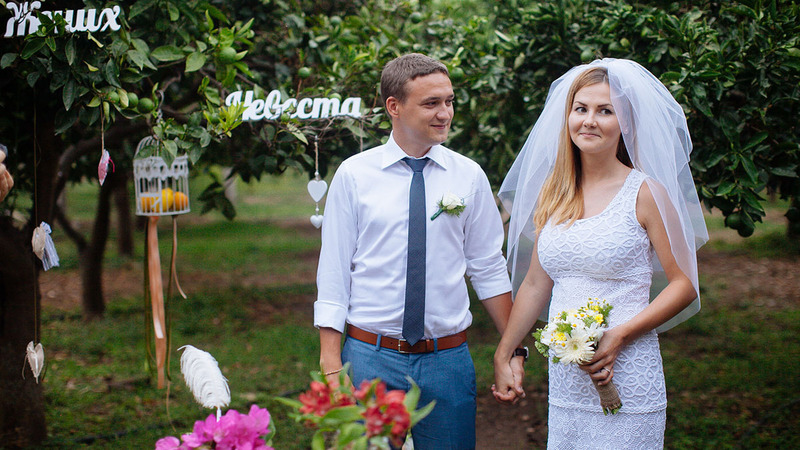 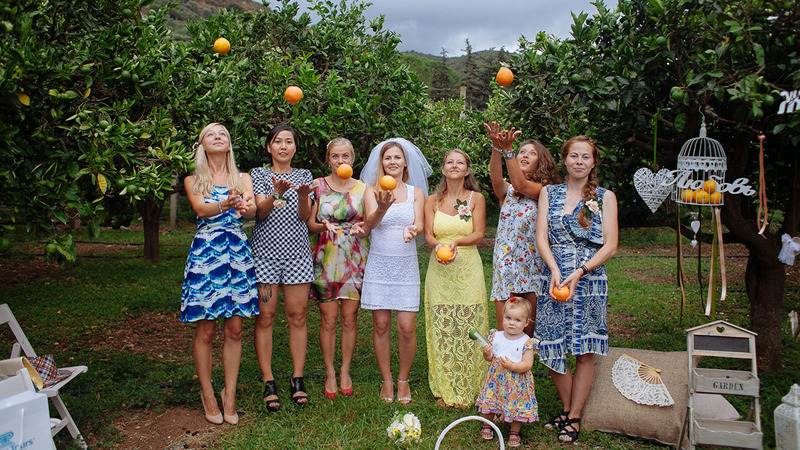 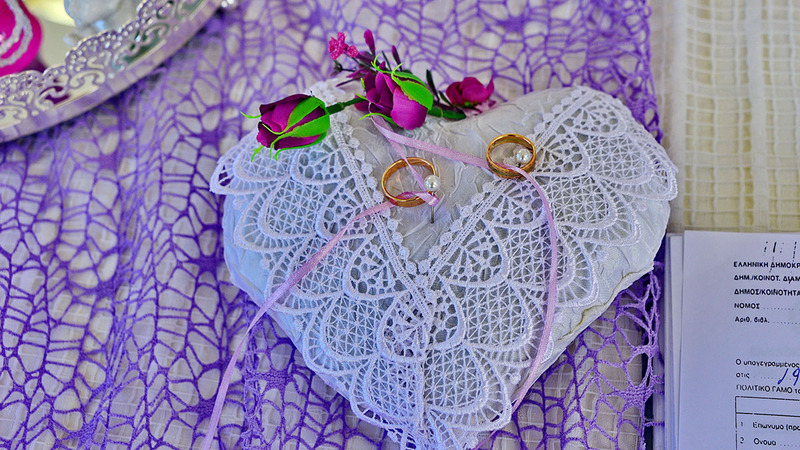 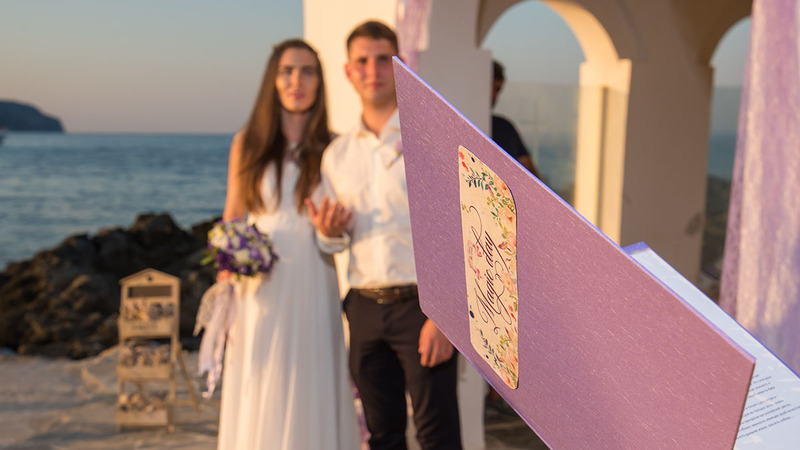 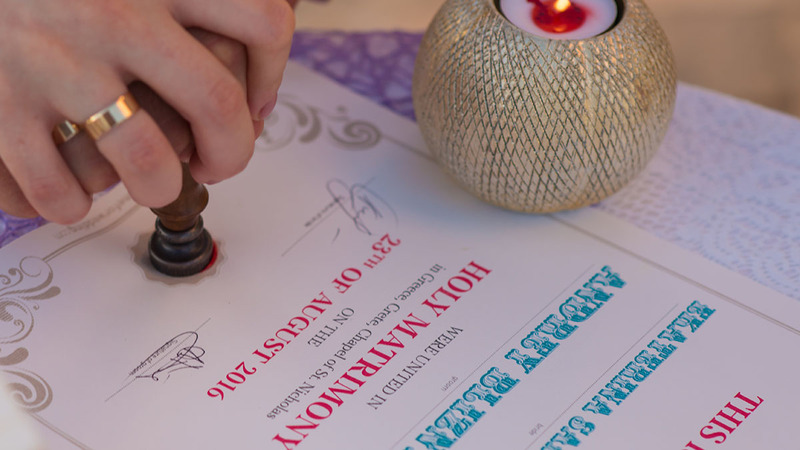 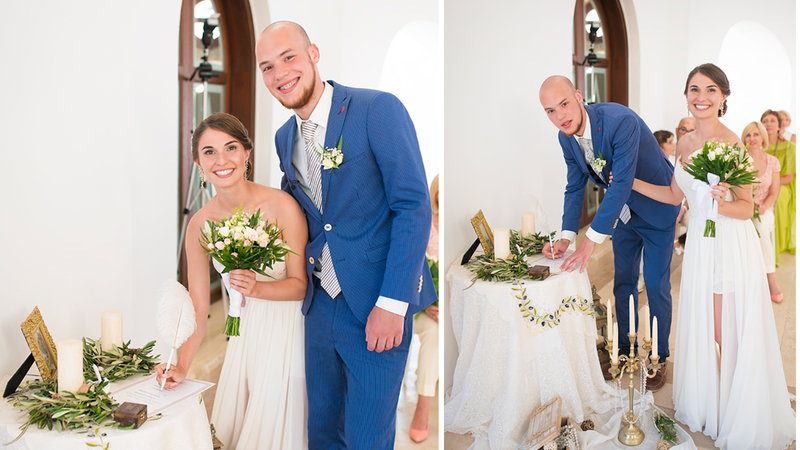 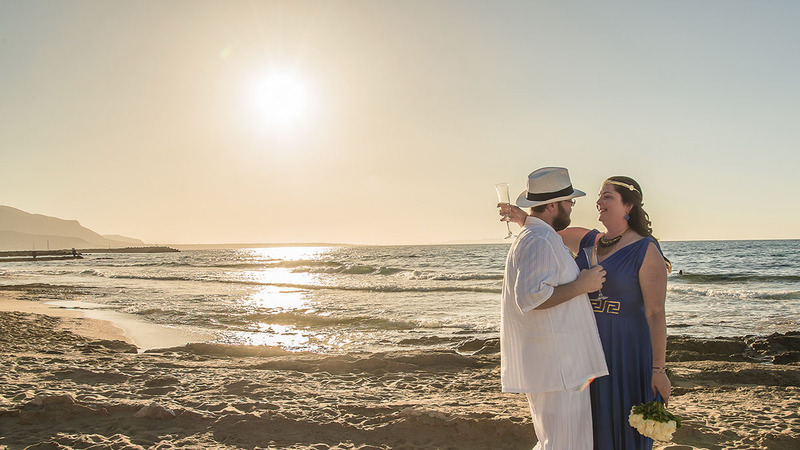 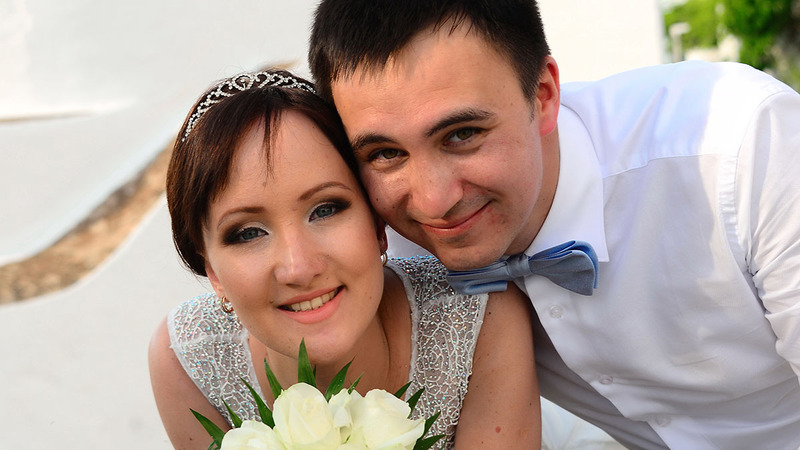 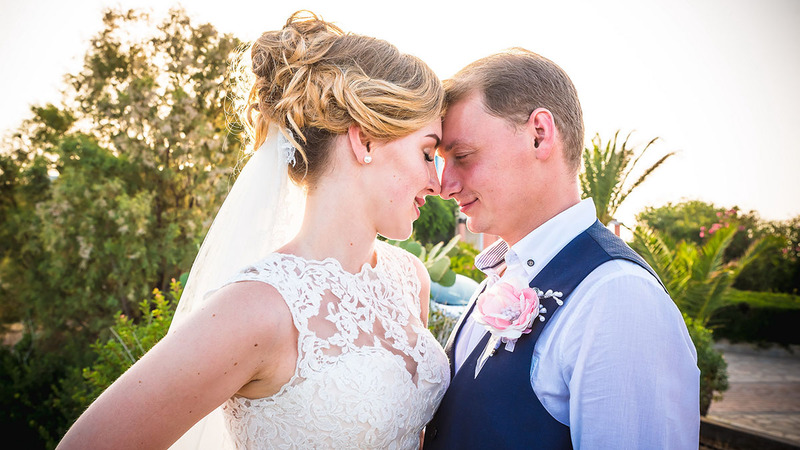 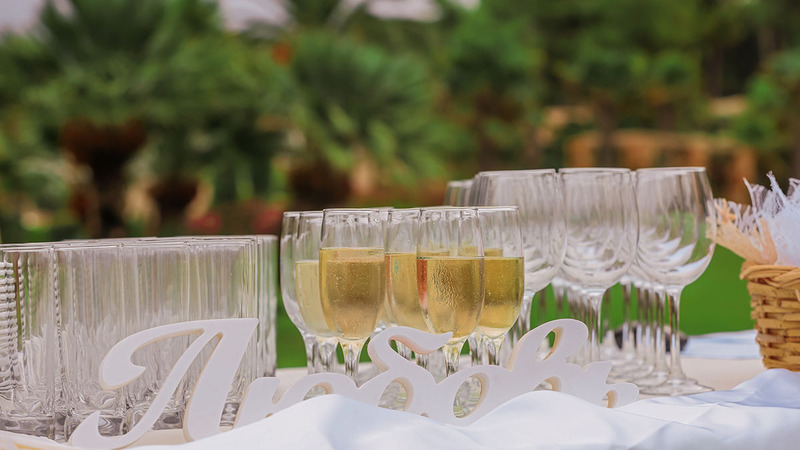 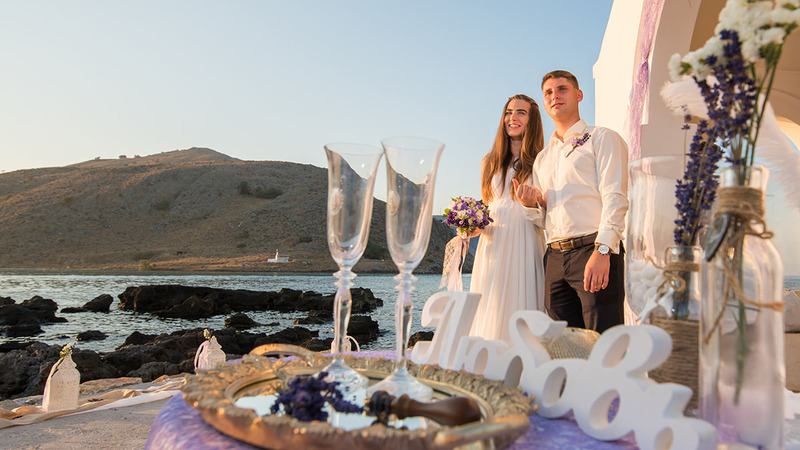 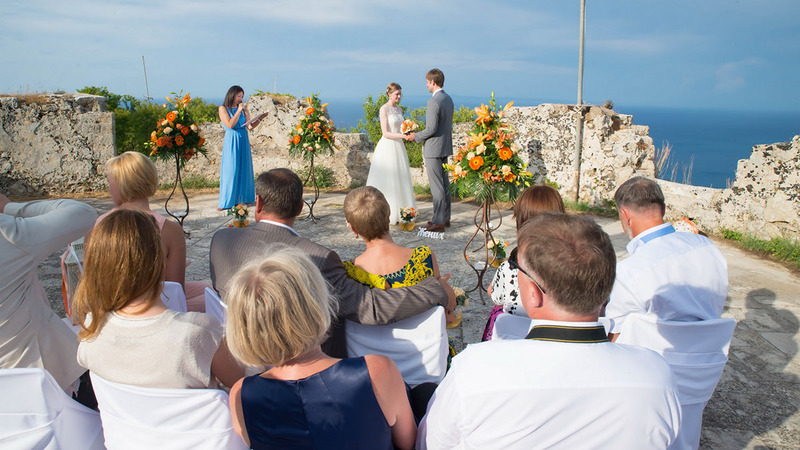 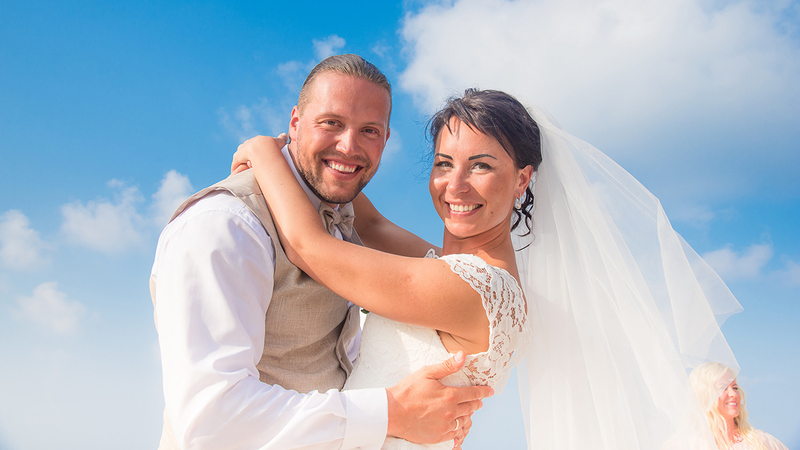 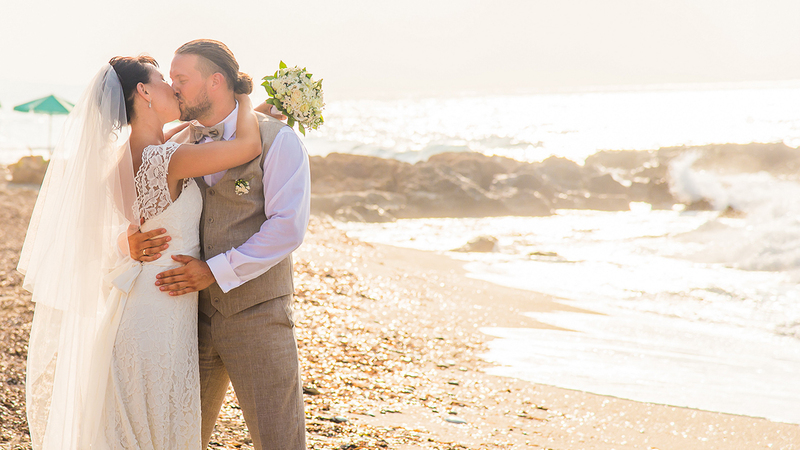 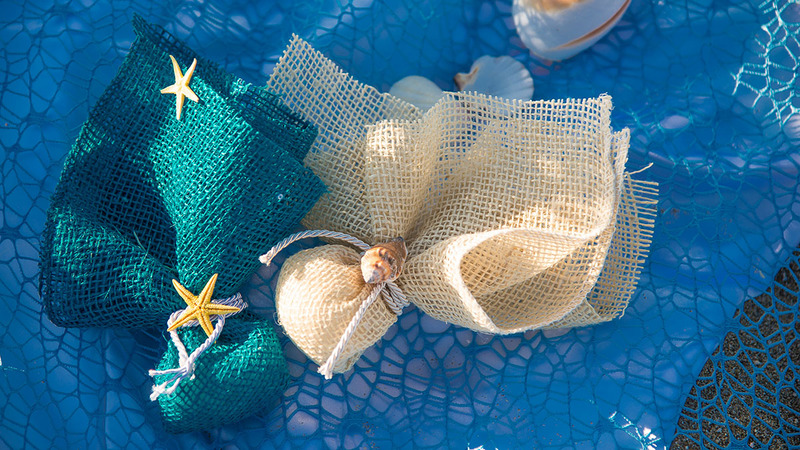 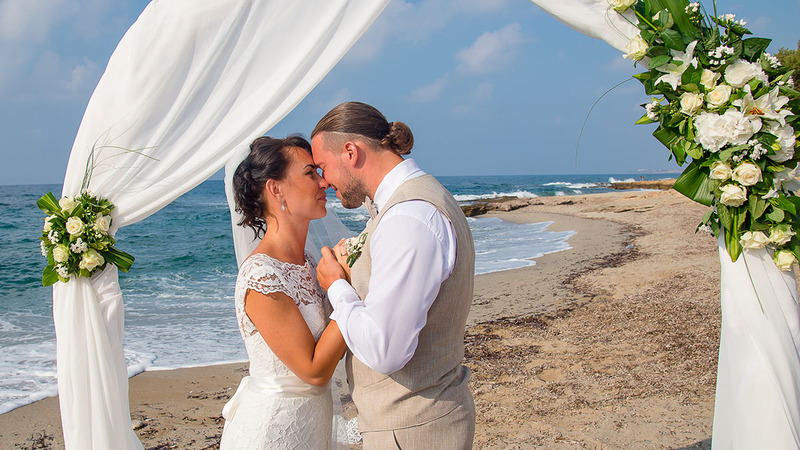 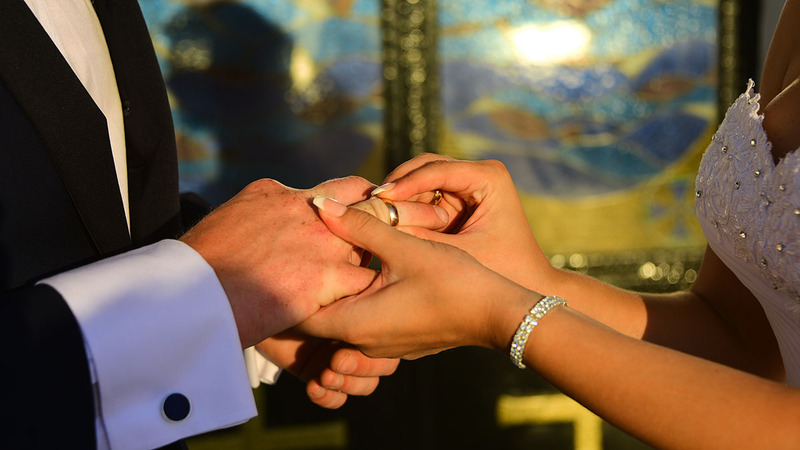 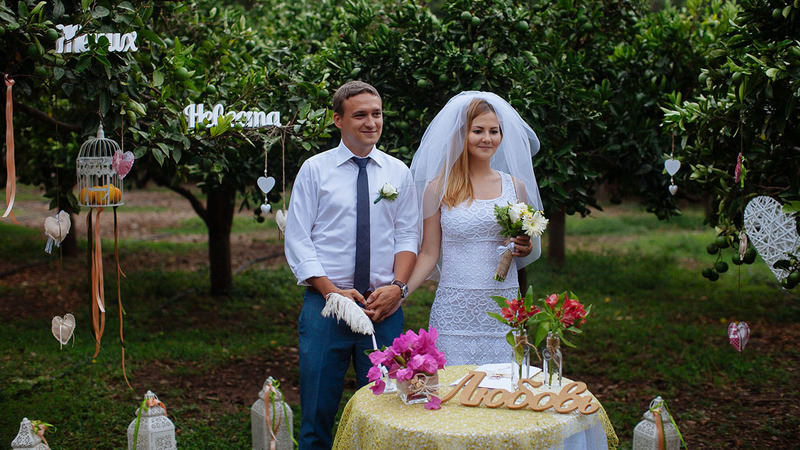 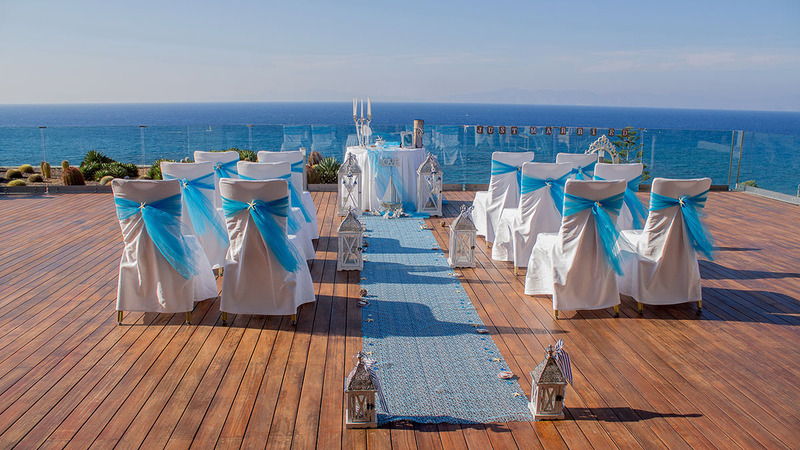 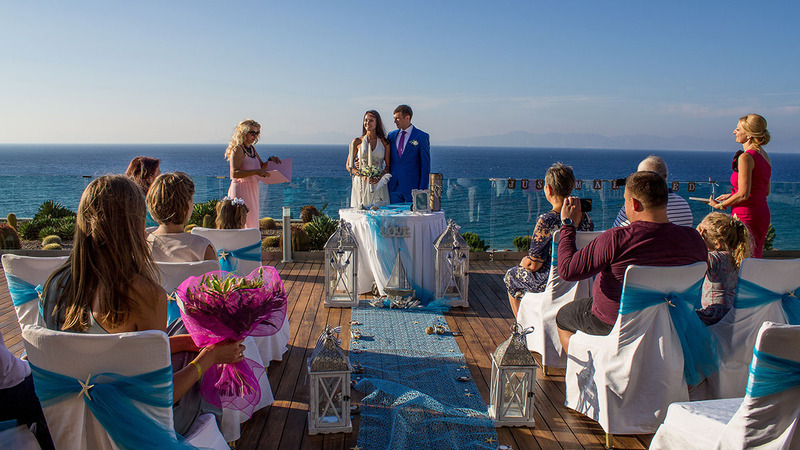 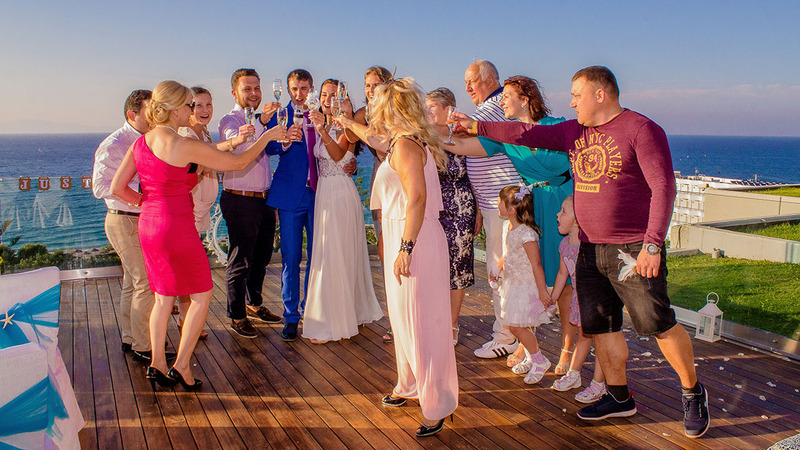 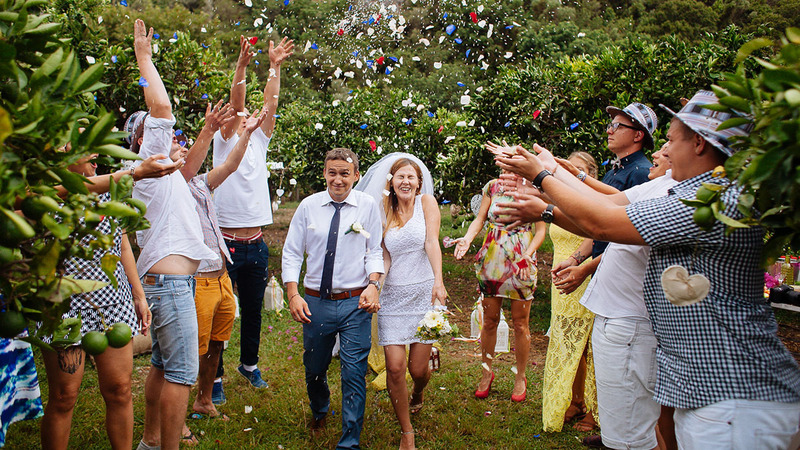 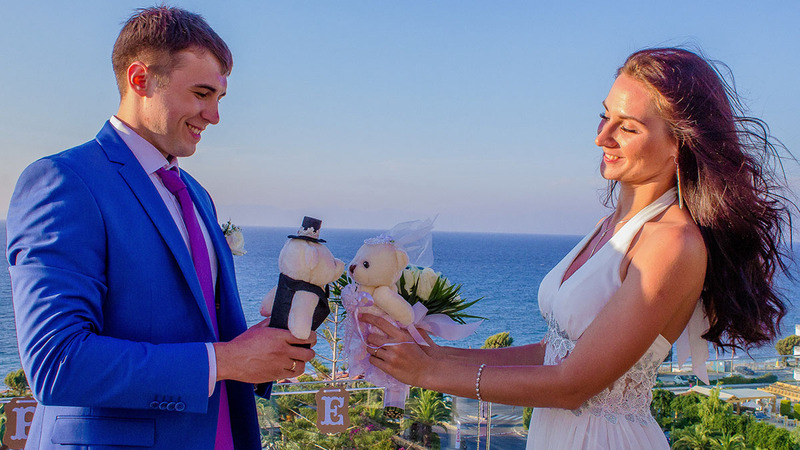 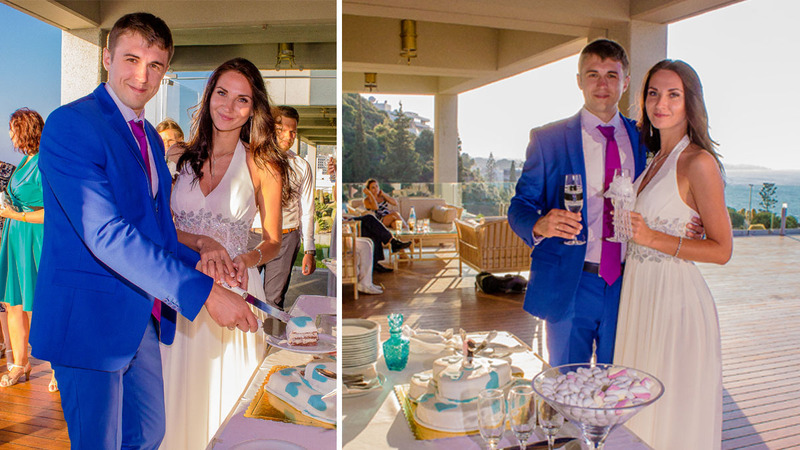 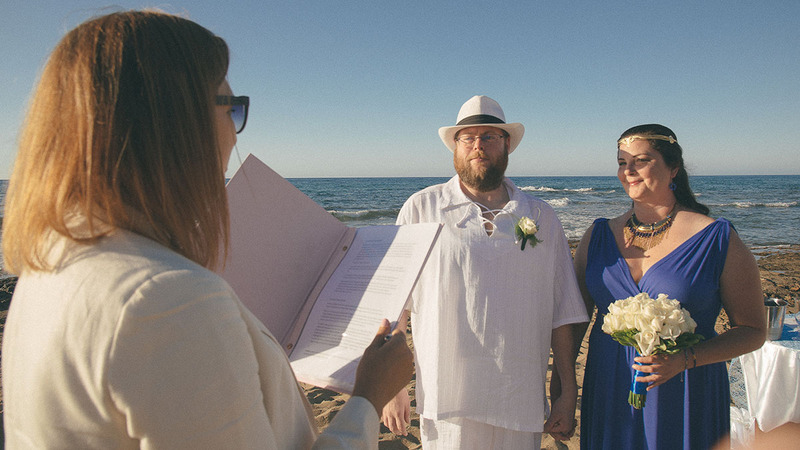 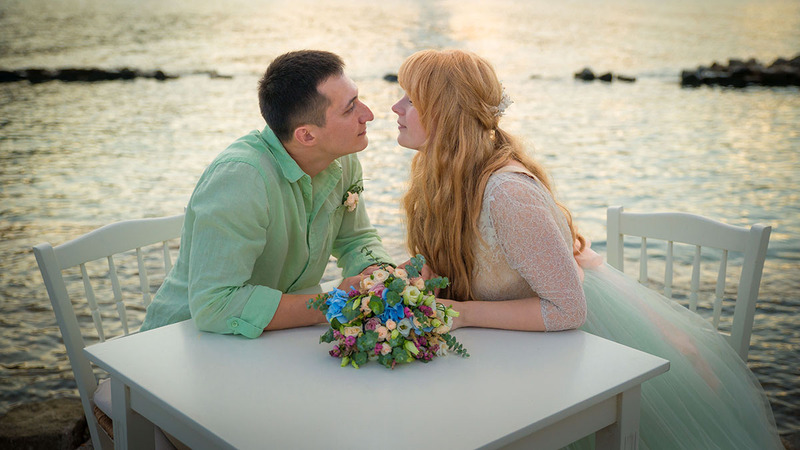 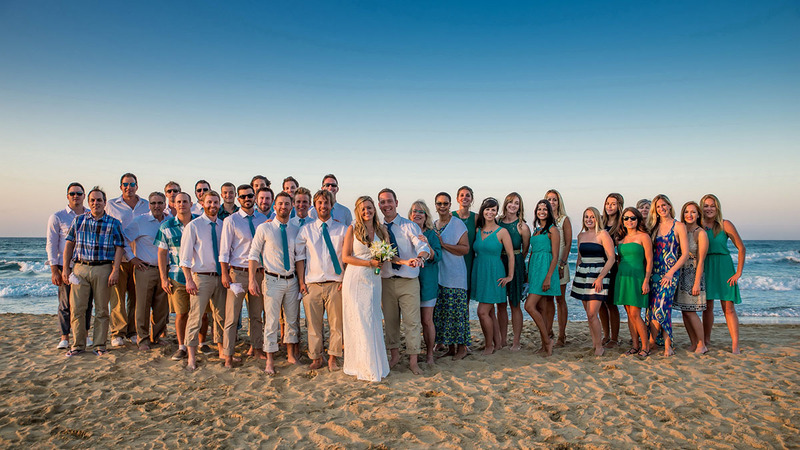 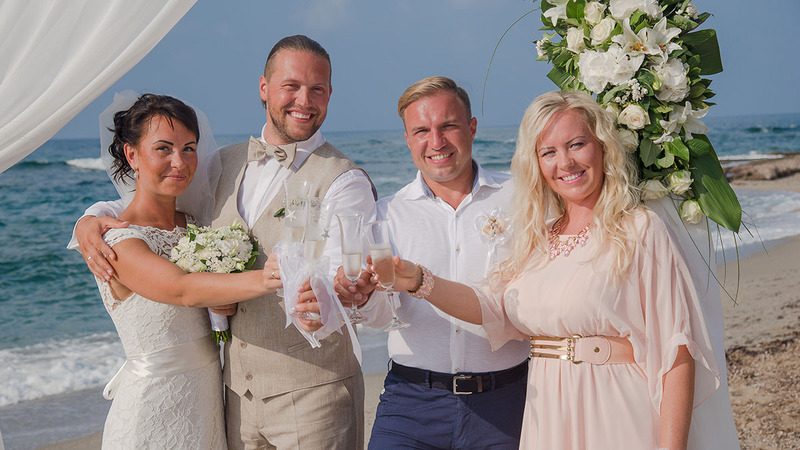 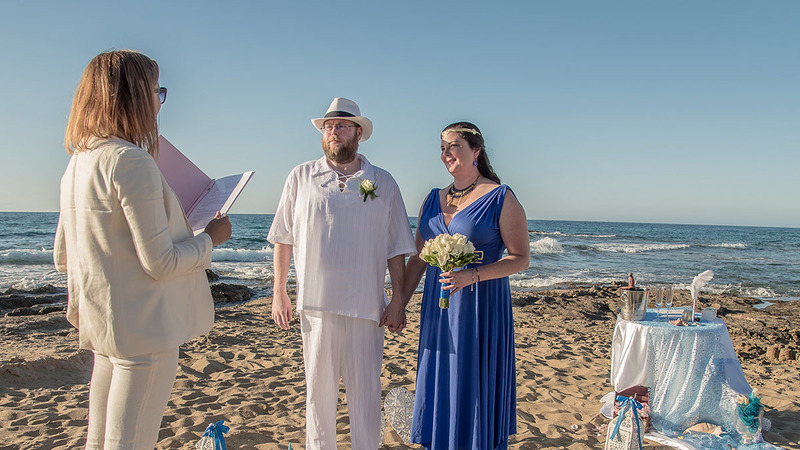 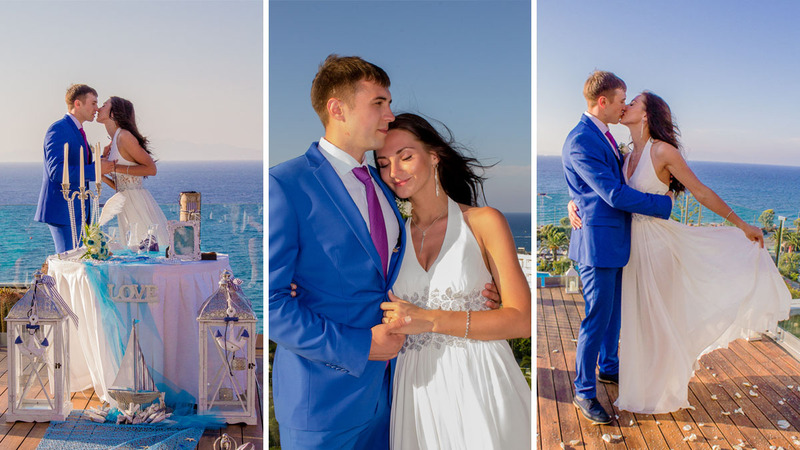 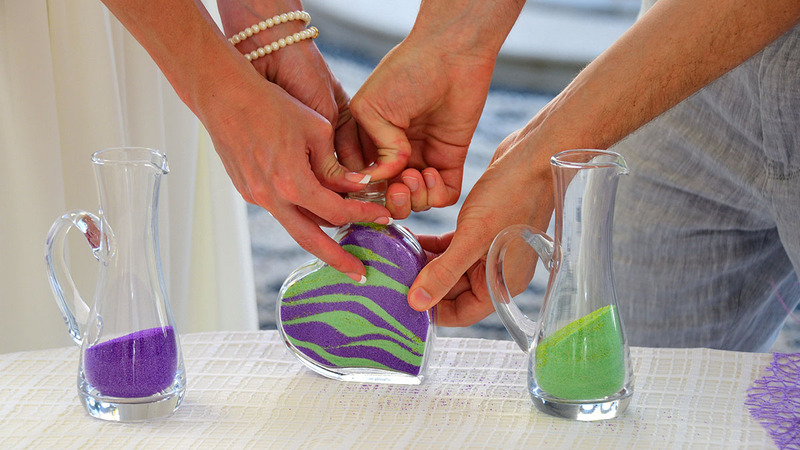 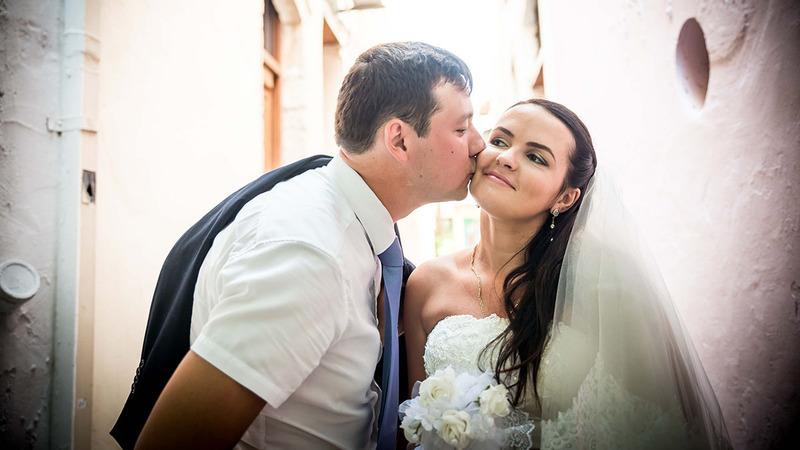 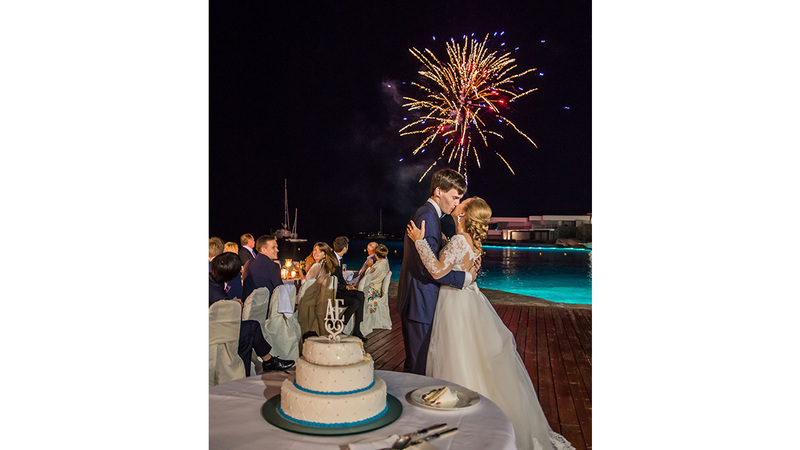 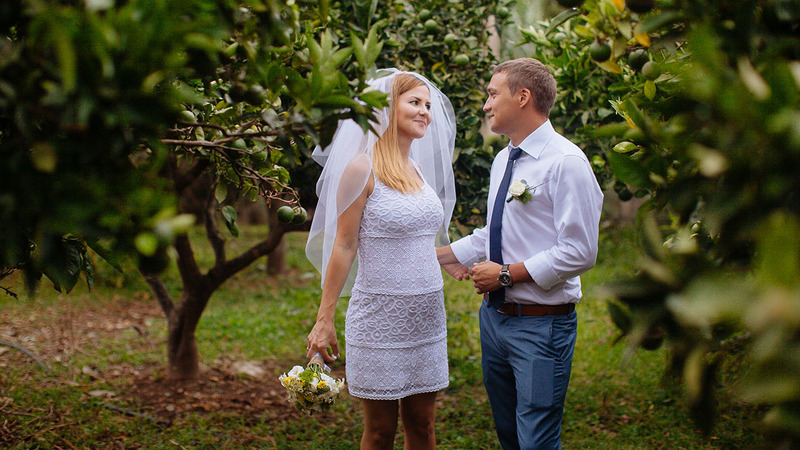 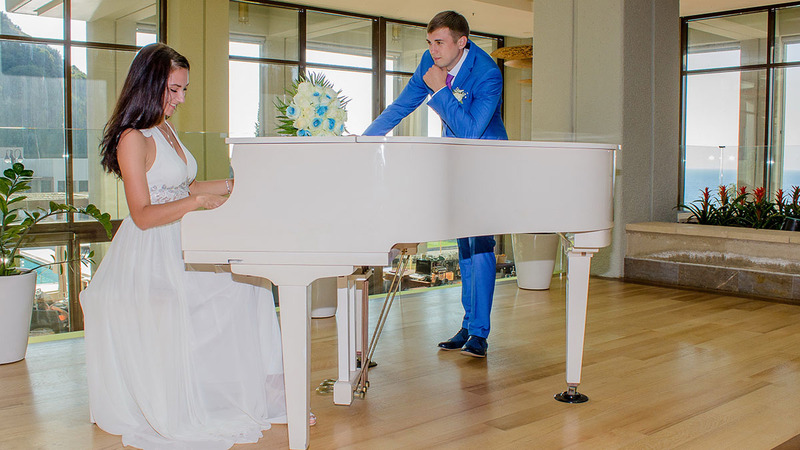 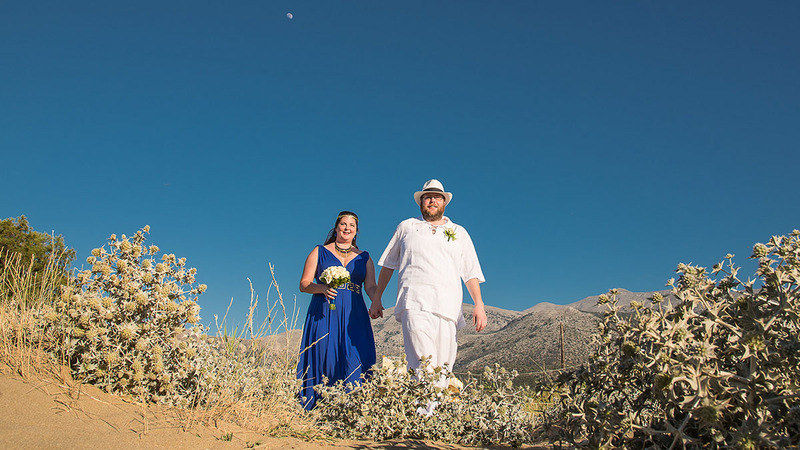 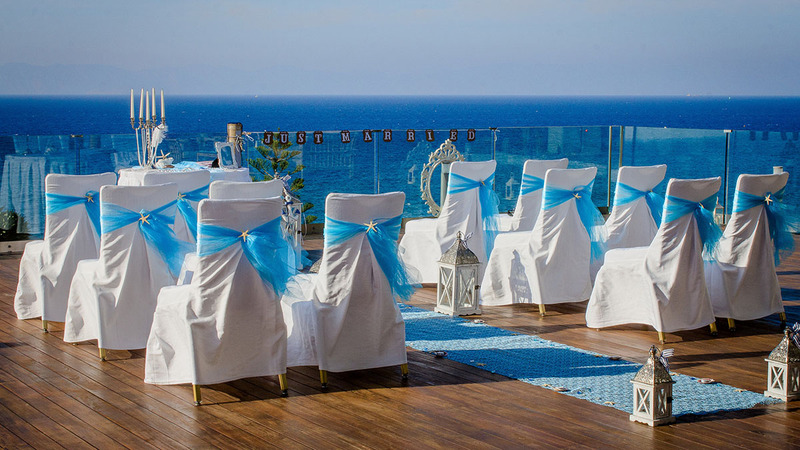 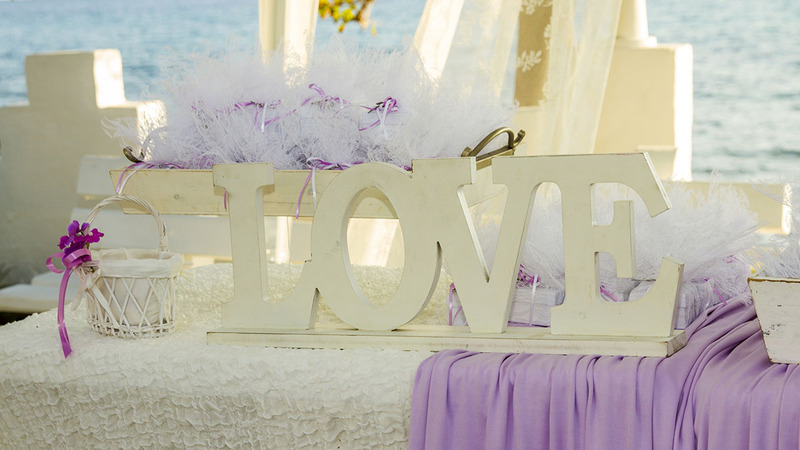 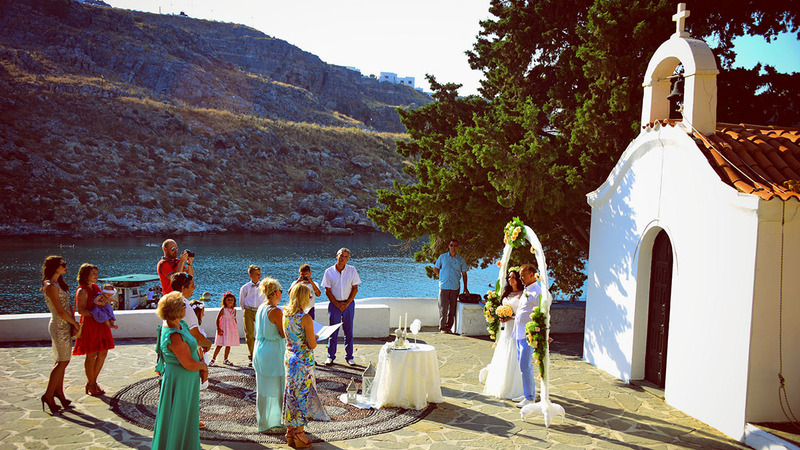 Meanwhile each ceremony was special for us and our clients, since each couple is unique and deserves an ideal holiday. 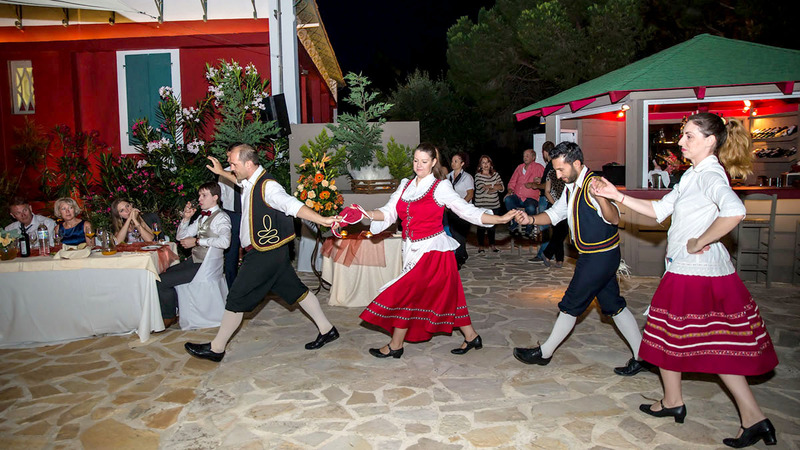 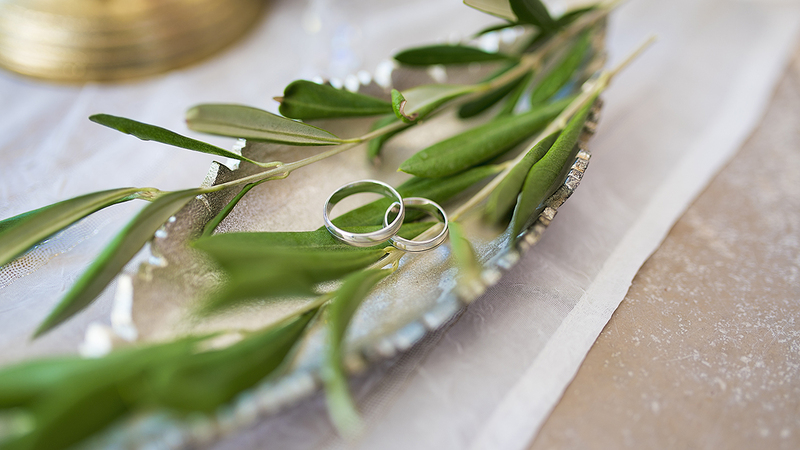 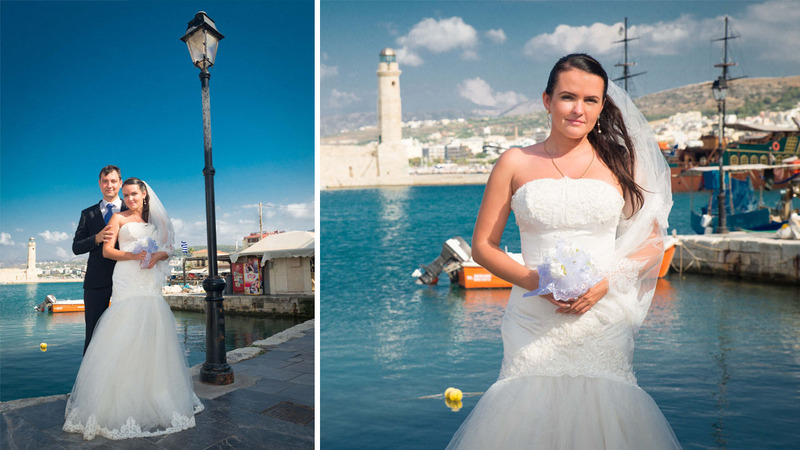 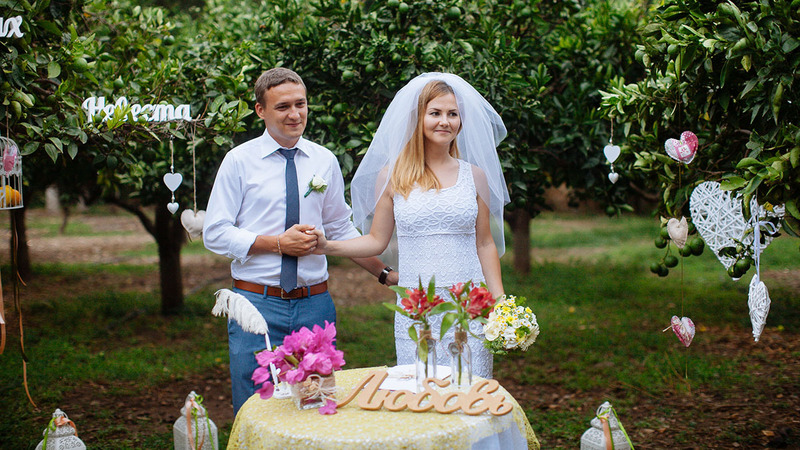 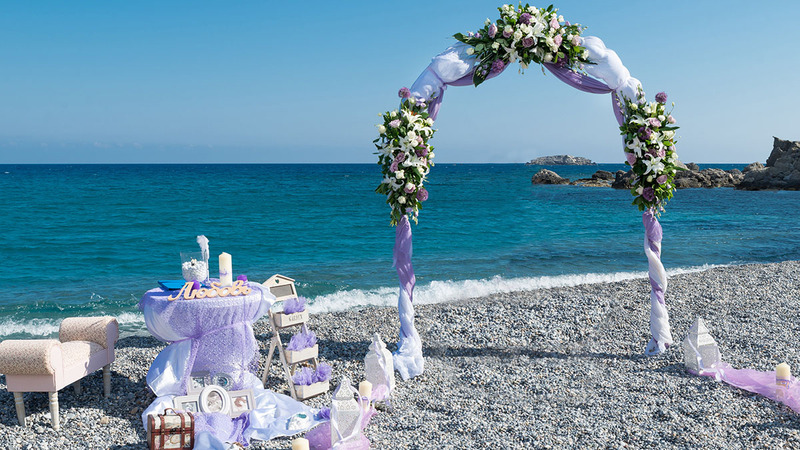 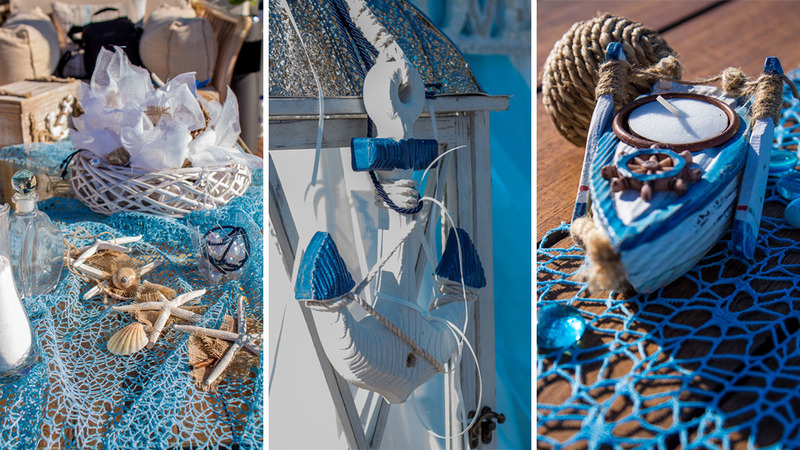 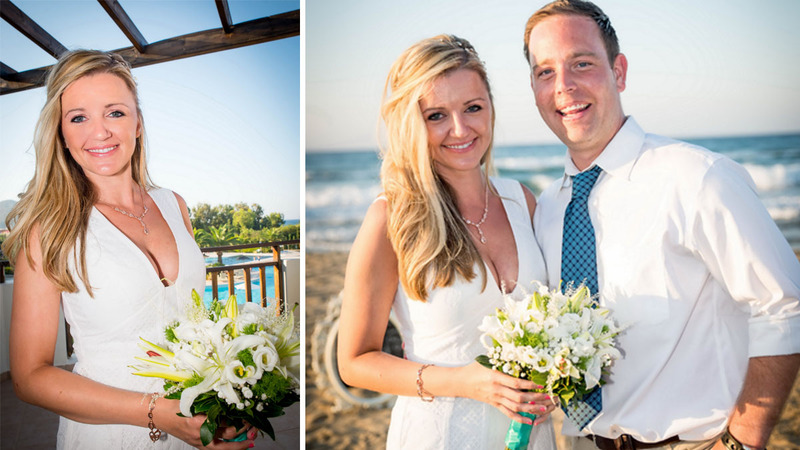 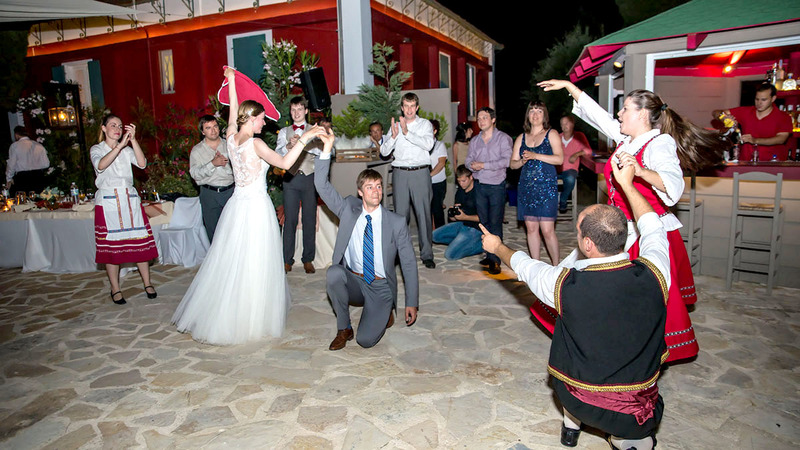 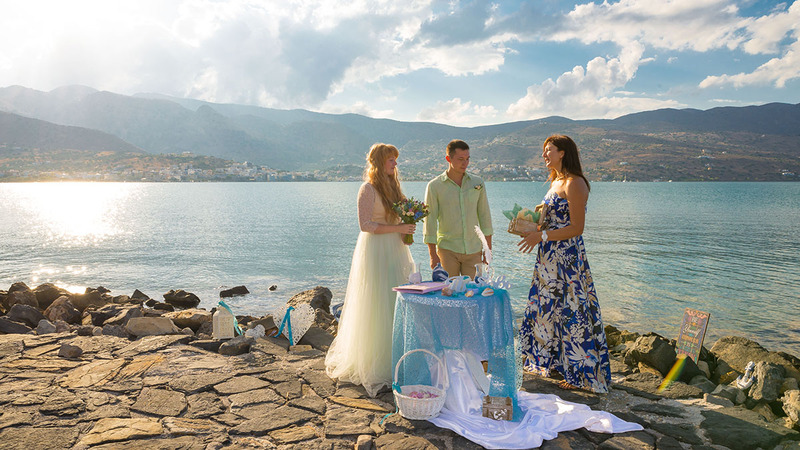 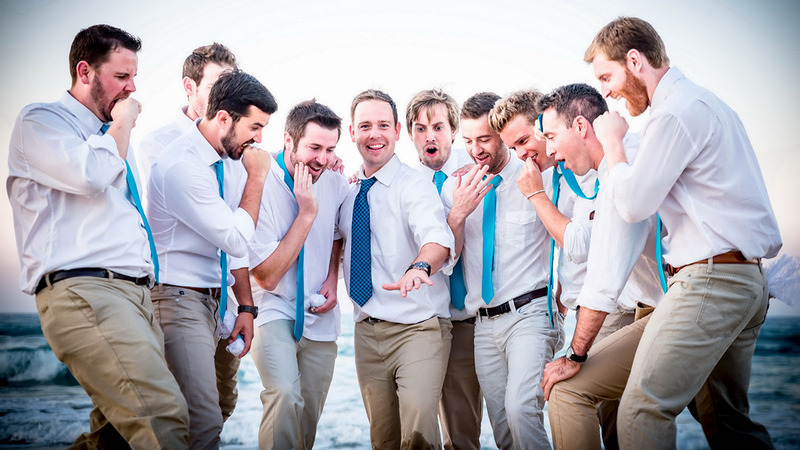 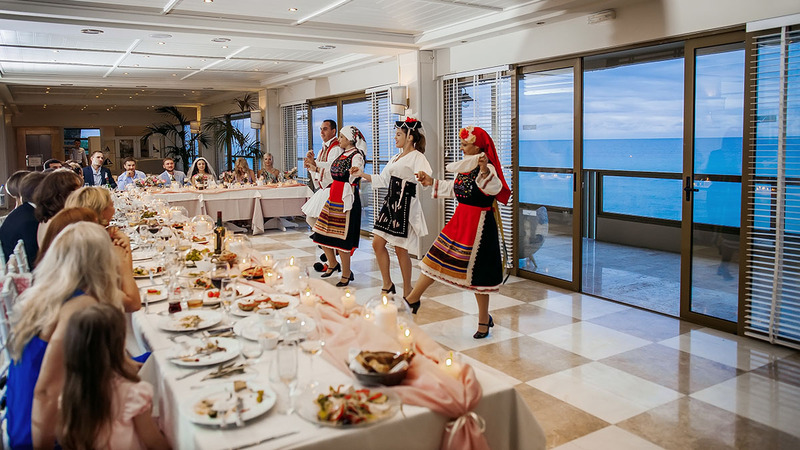 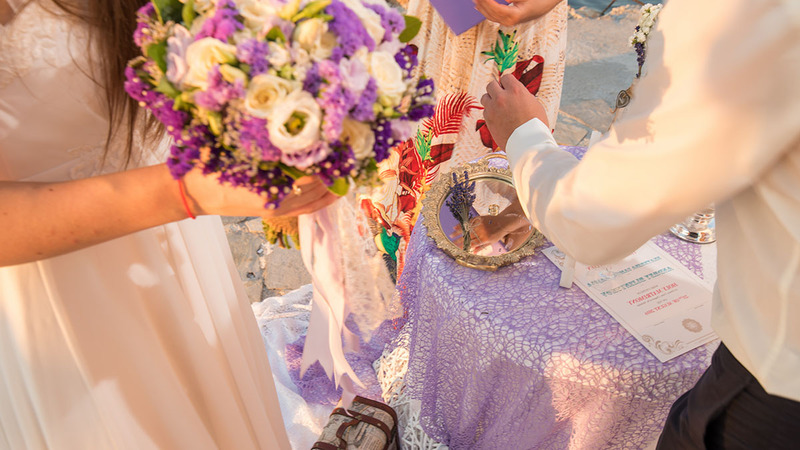 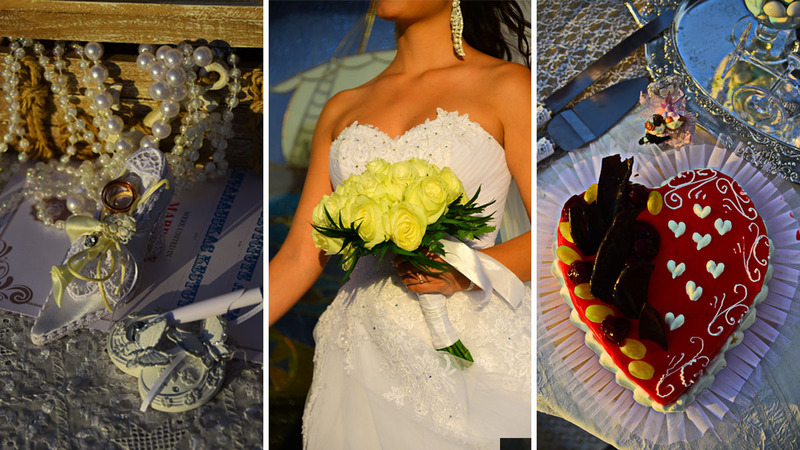 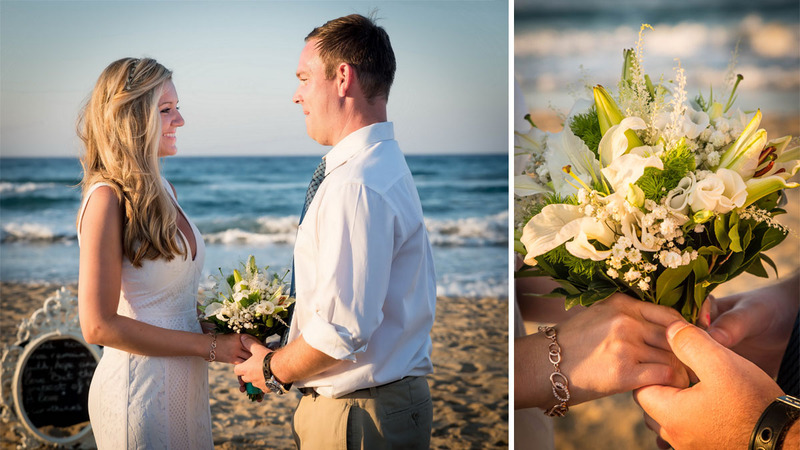 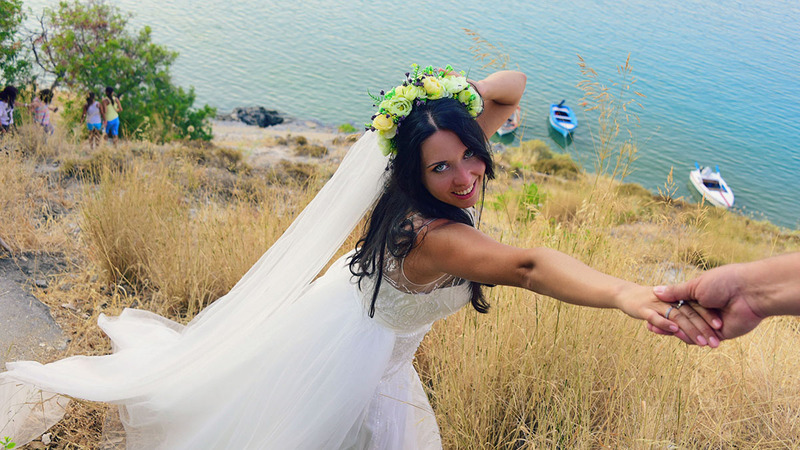 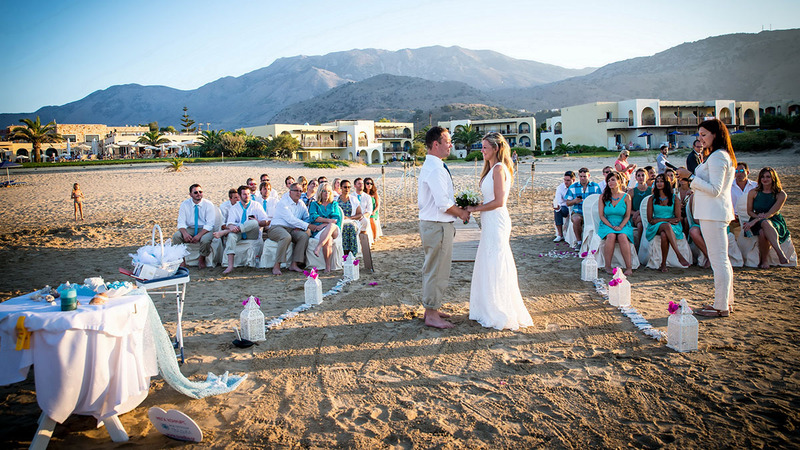 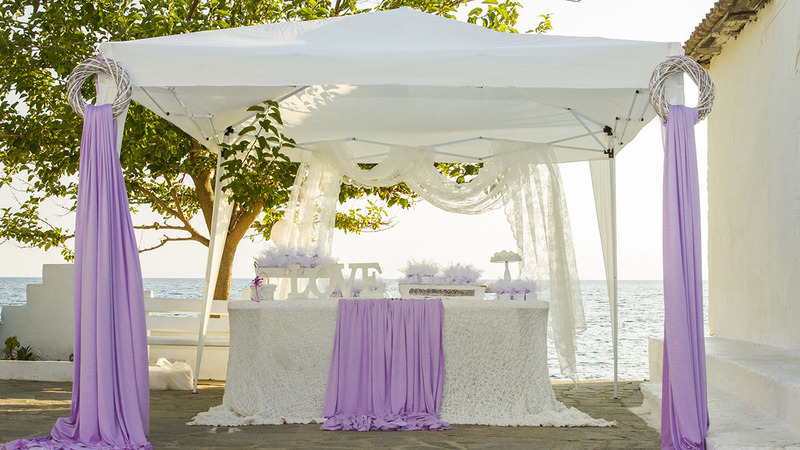 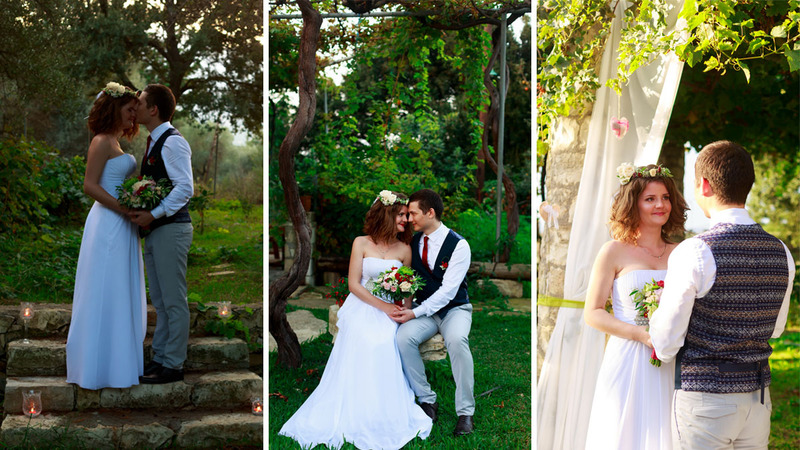 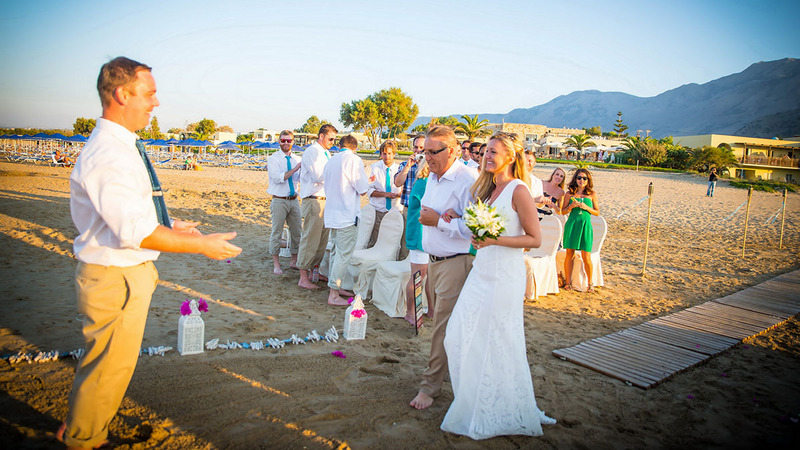 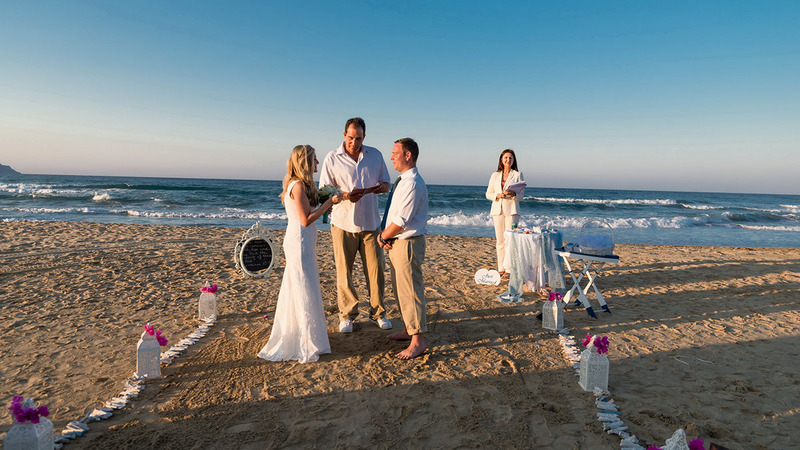 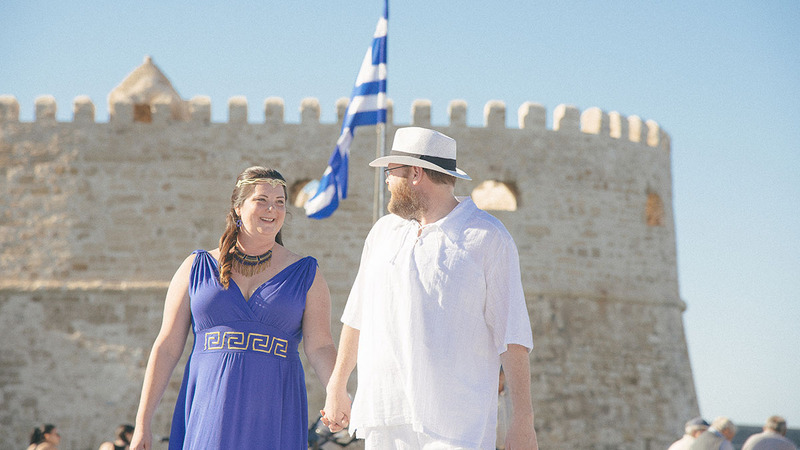 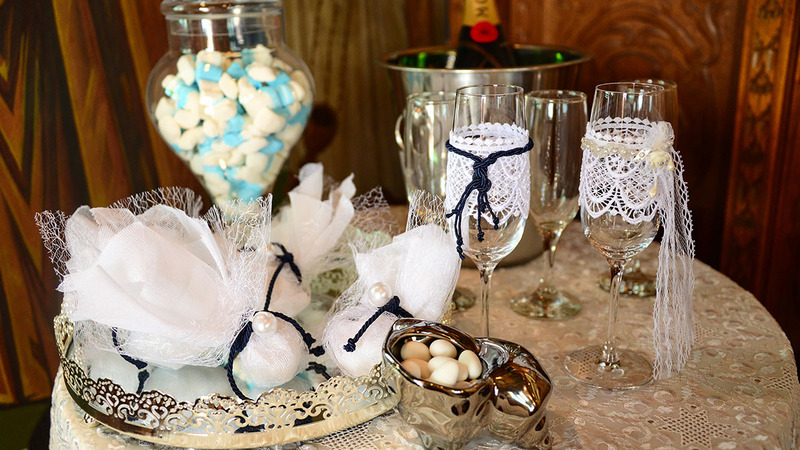 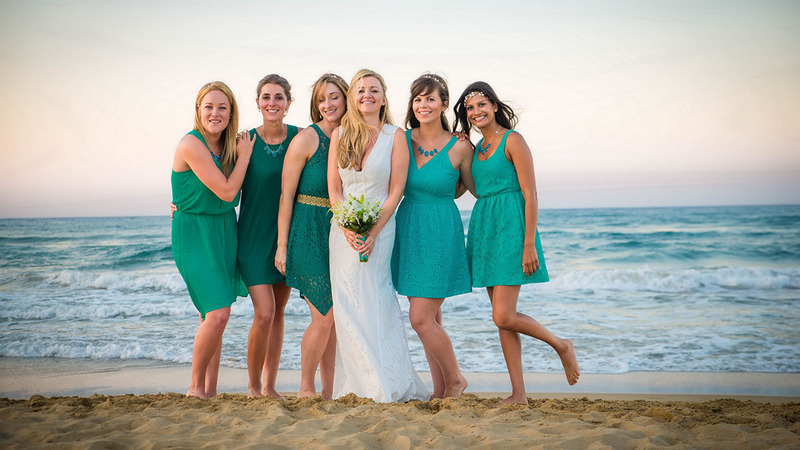 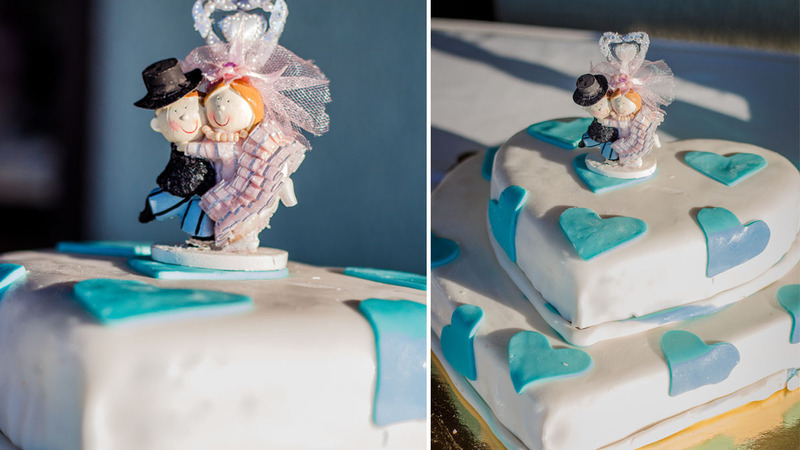 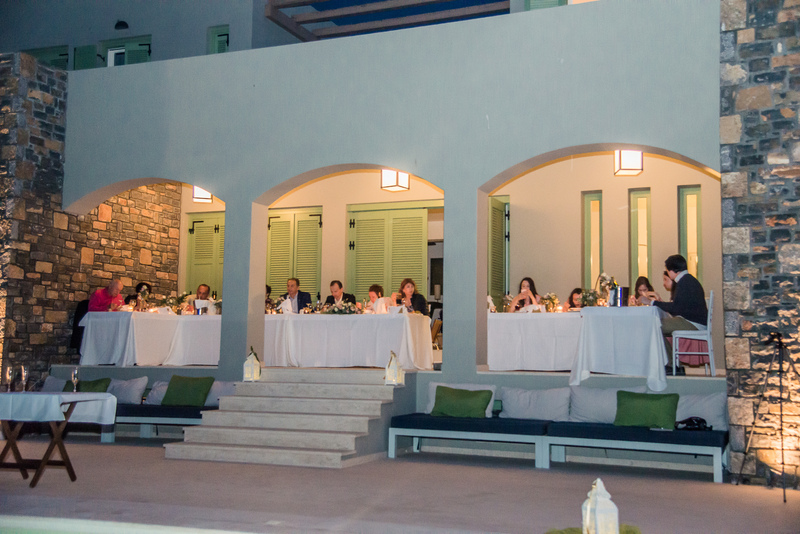 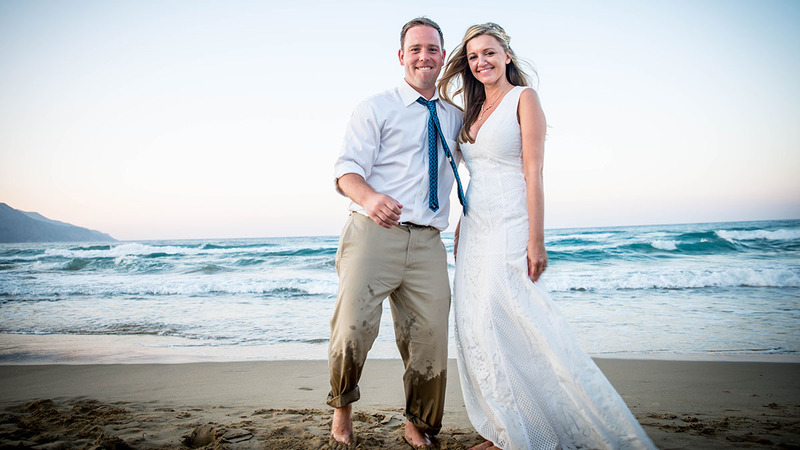 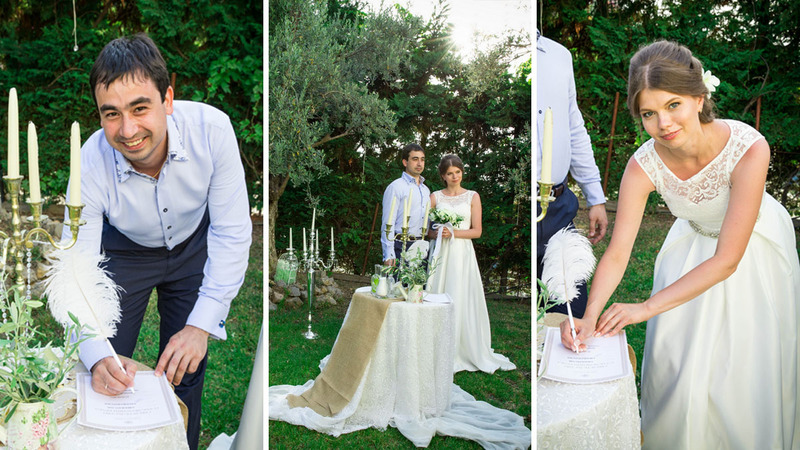 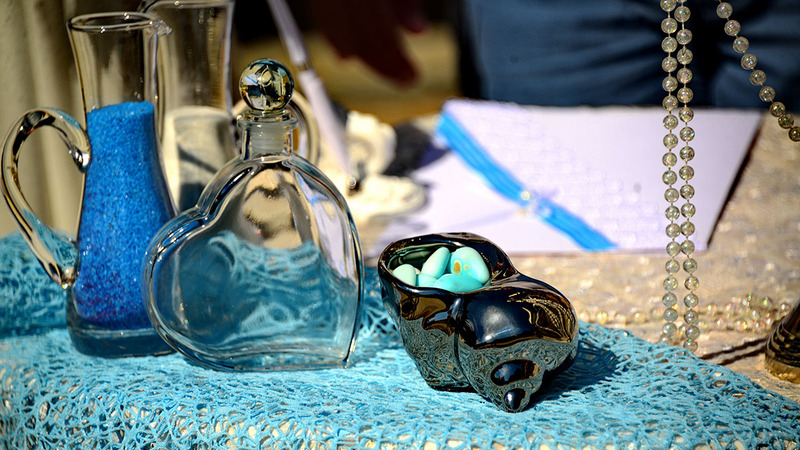 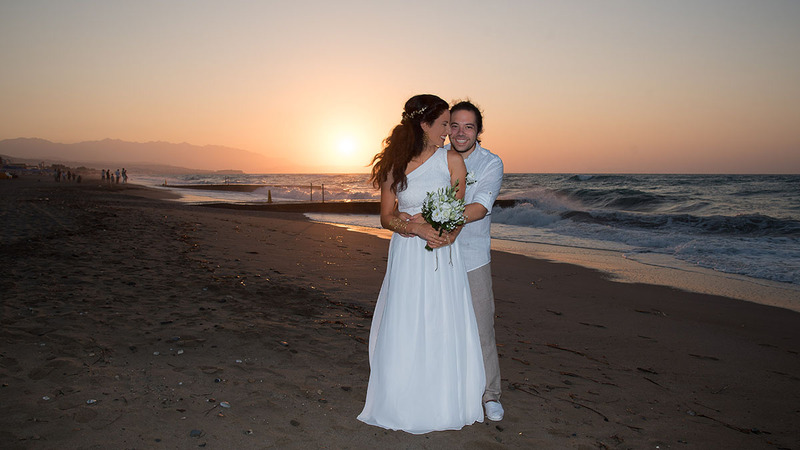 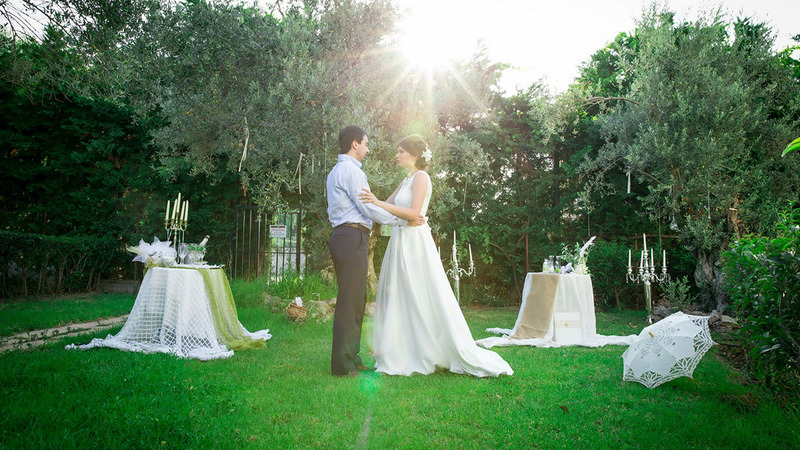 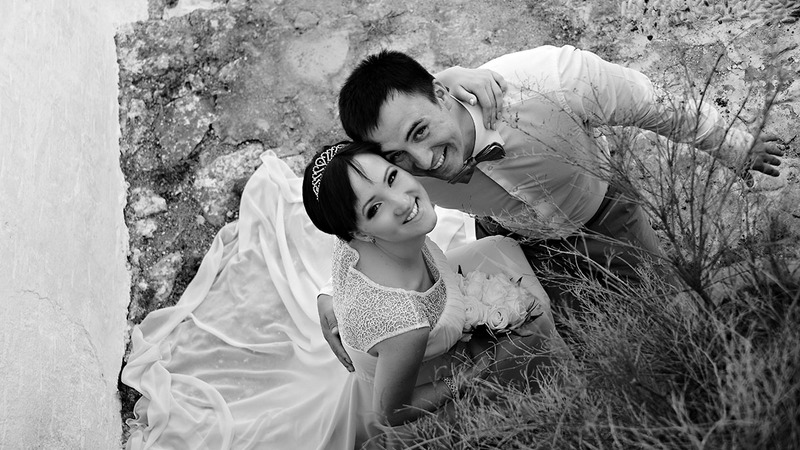 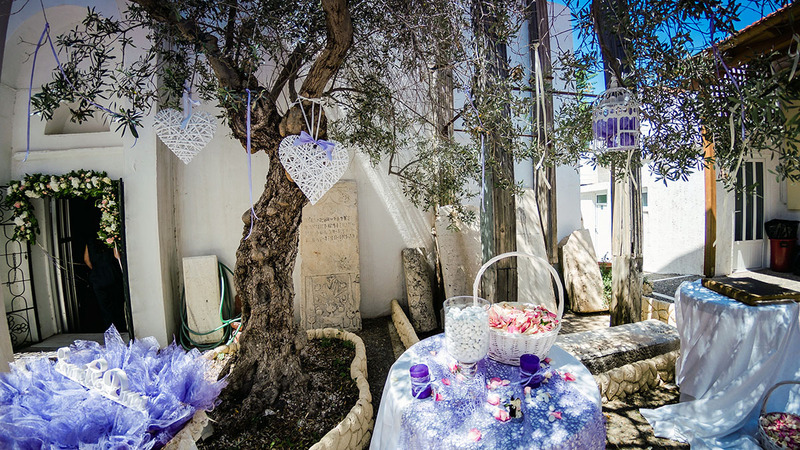 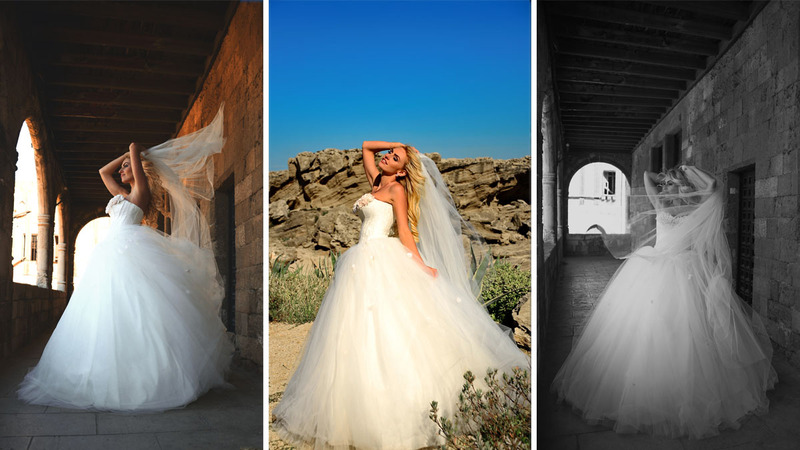 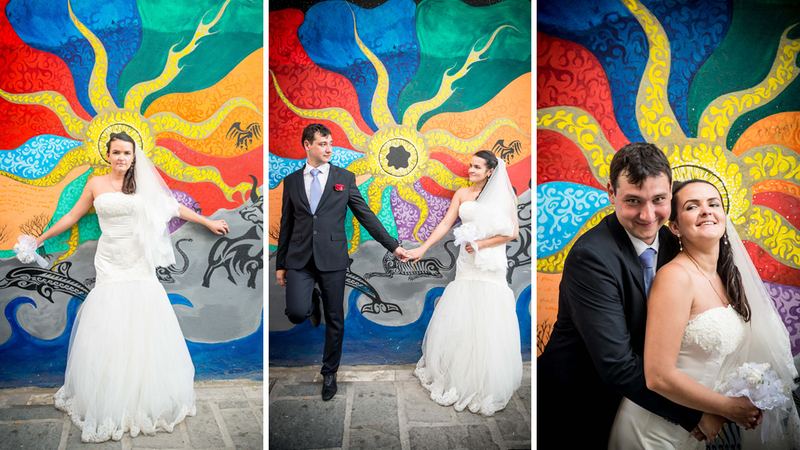 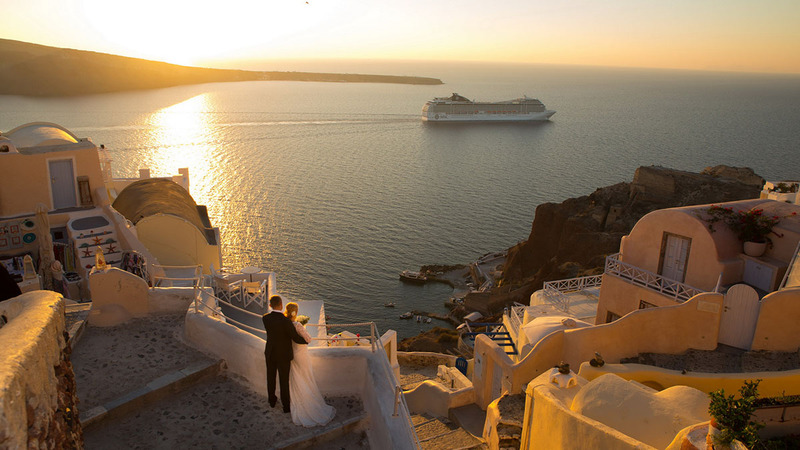 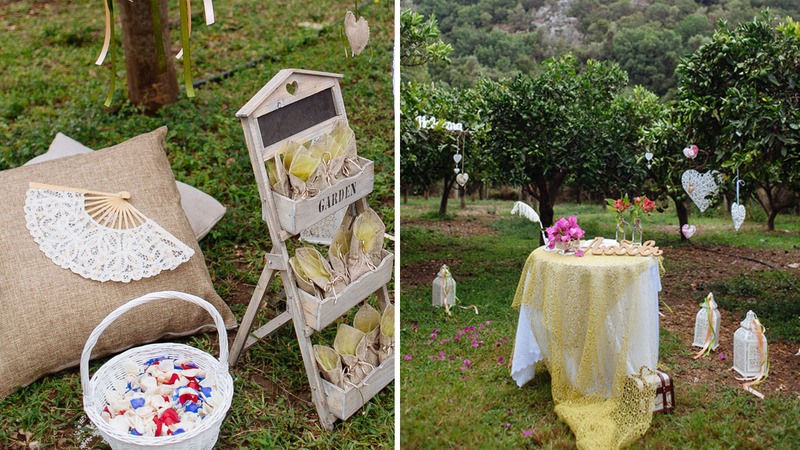 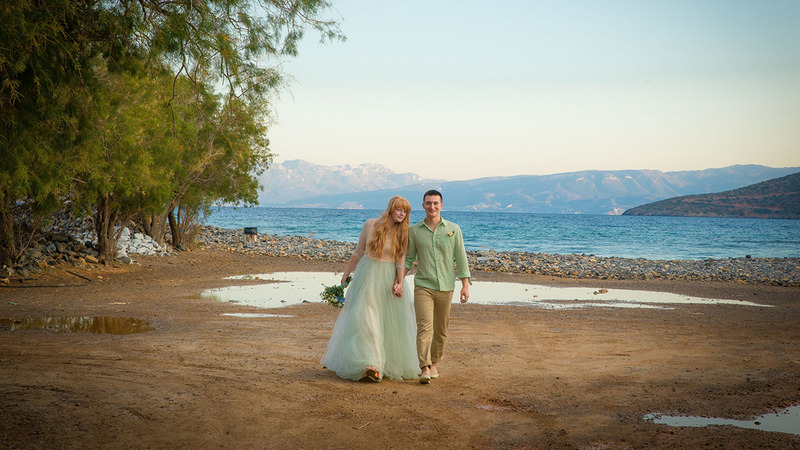 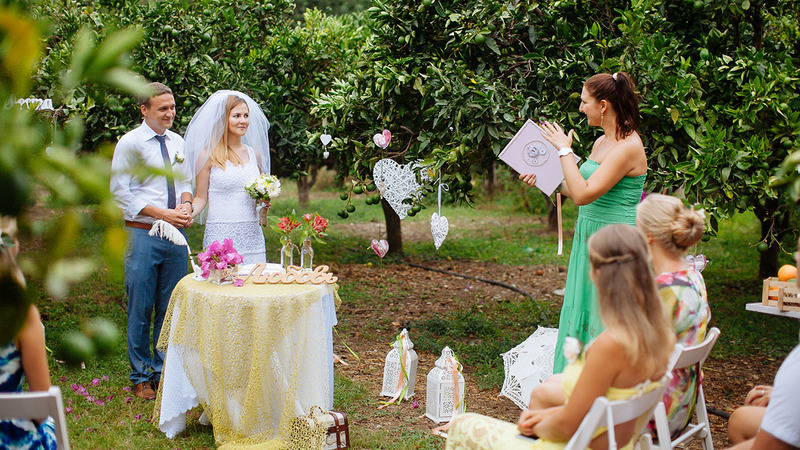 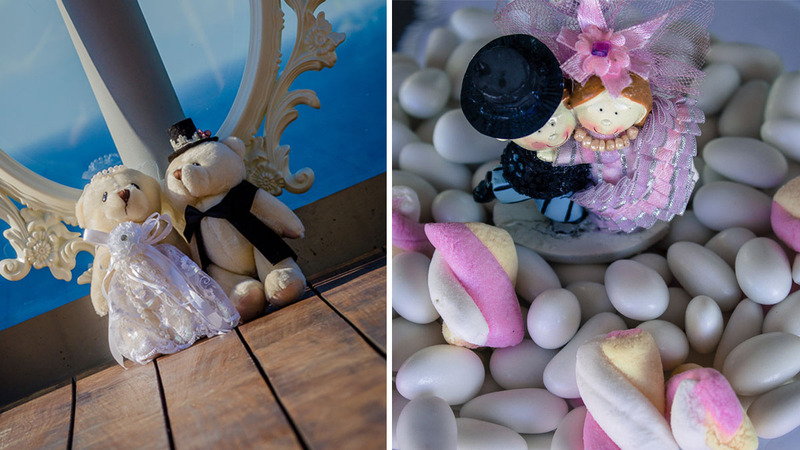 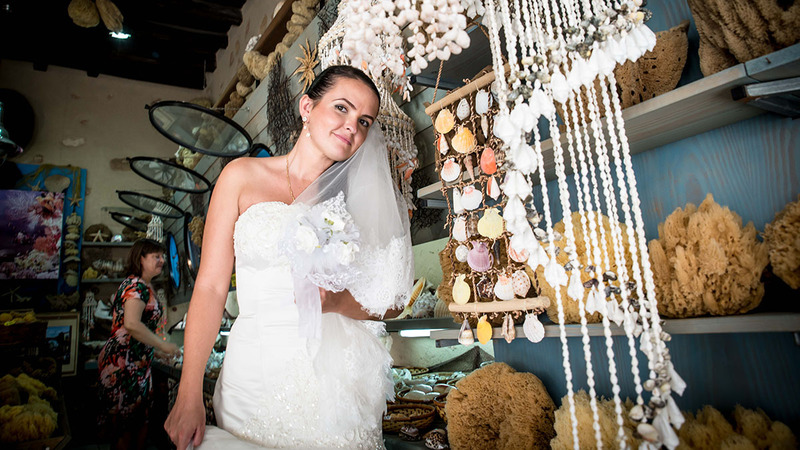 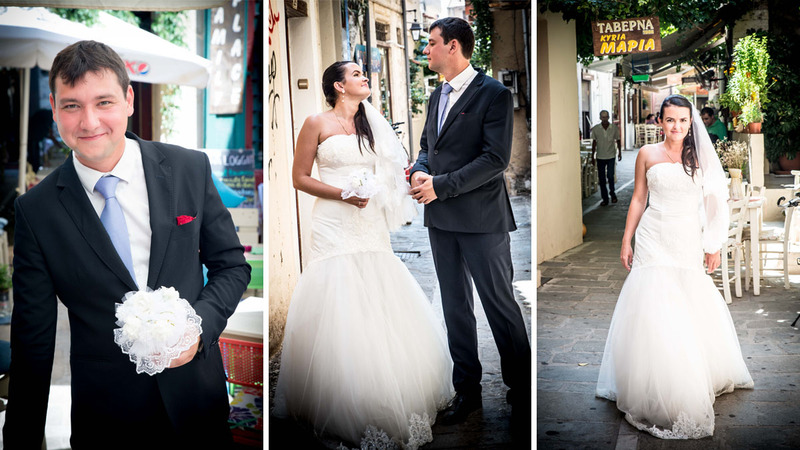 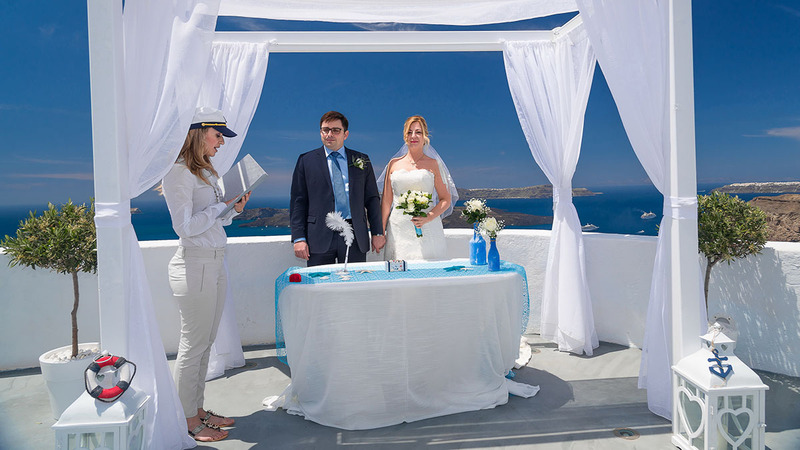 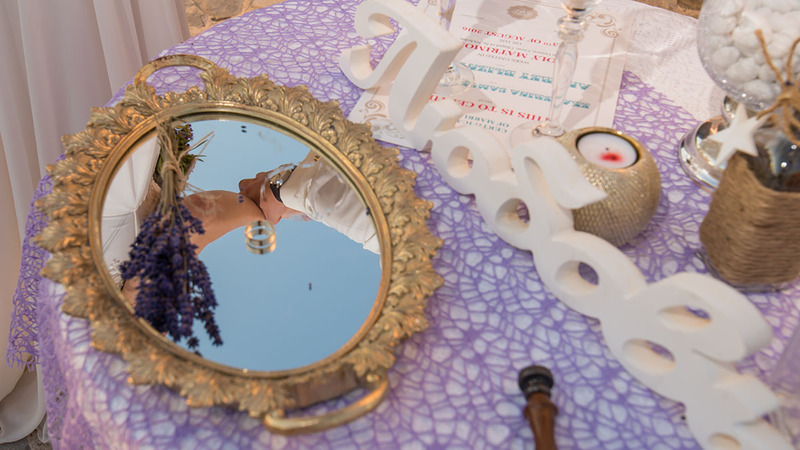 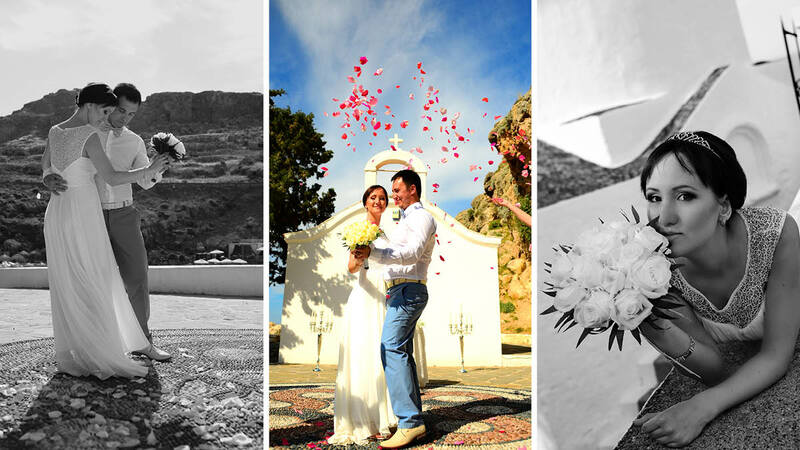 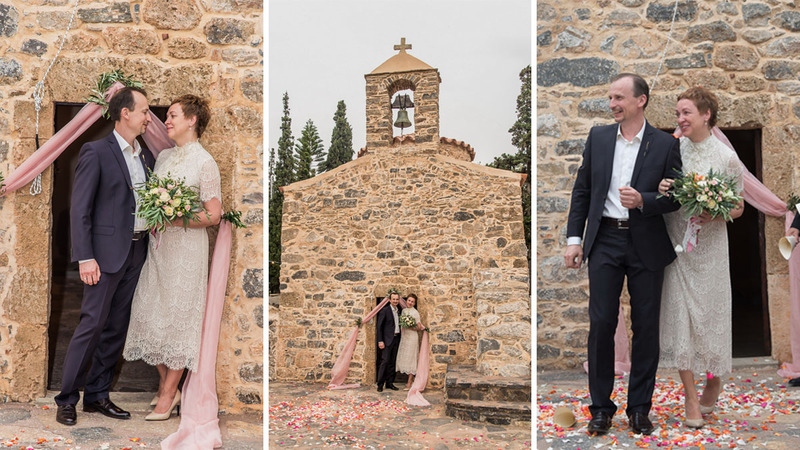 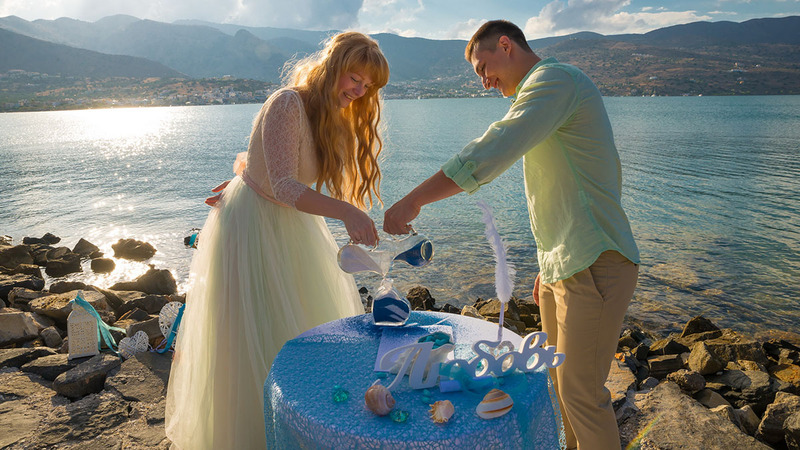 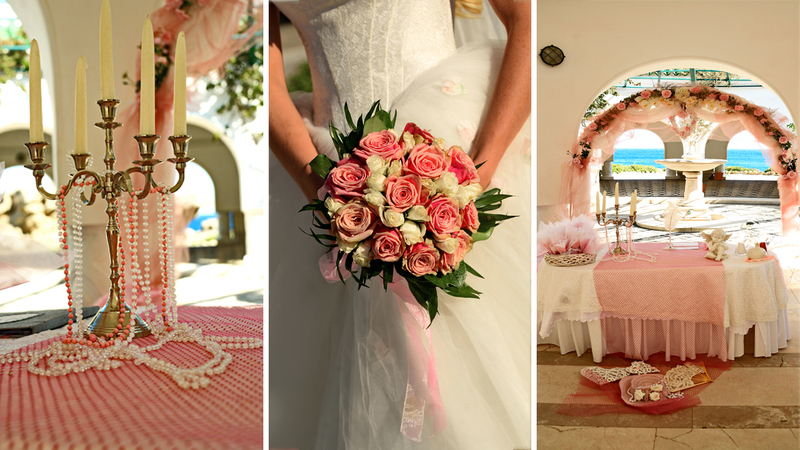 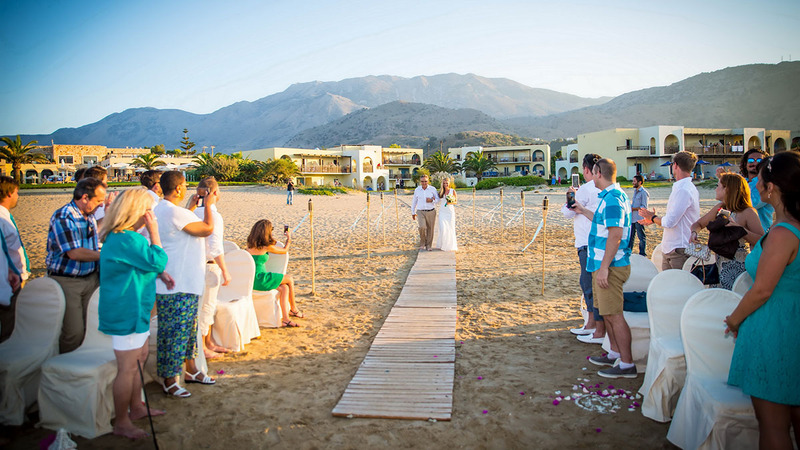 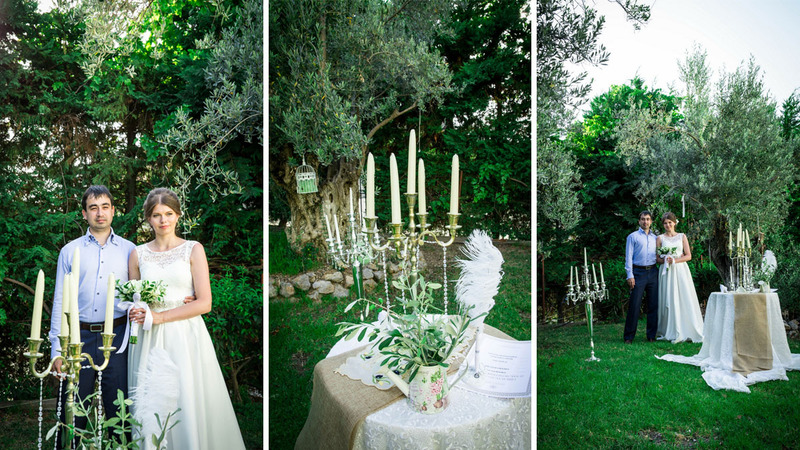 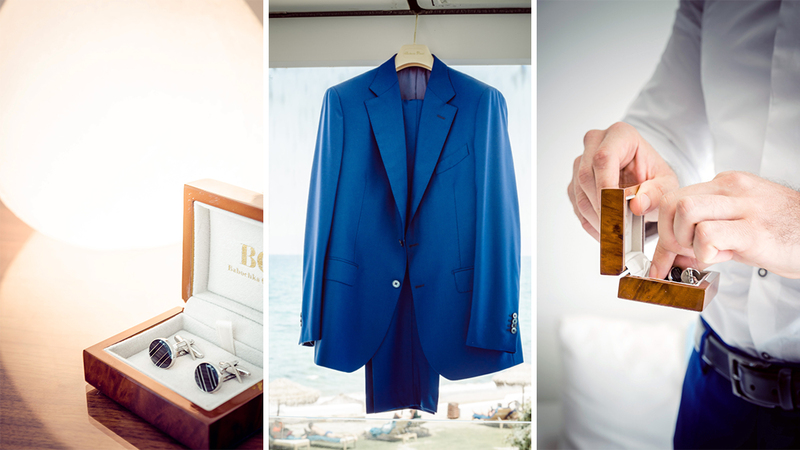 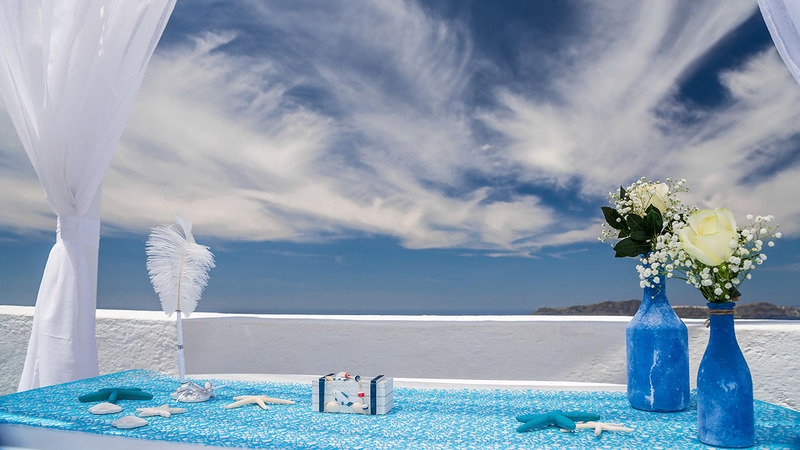 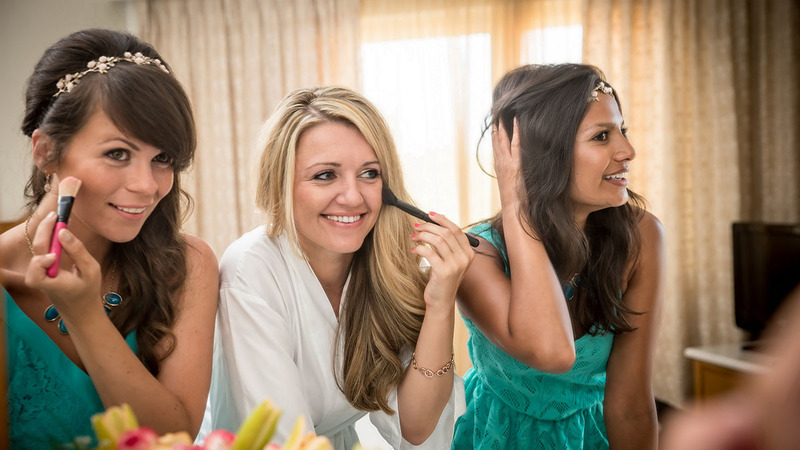 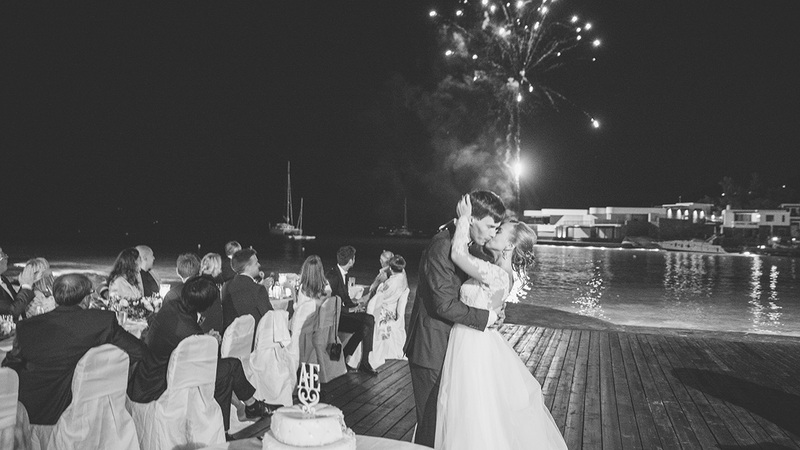 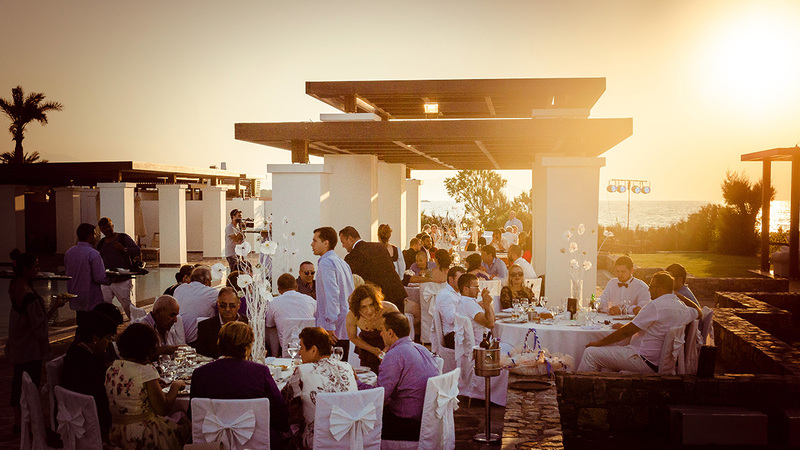 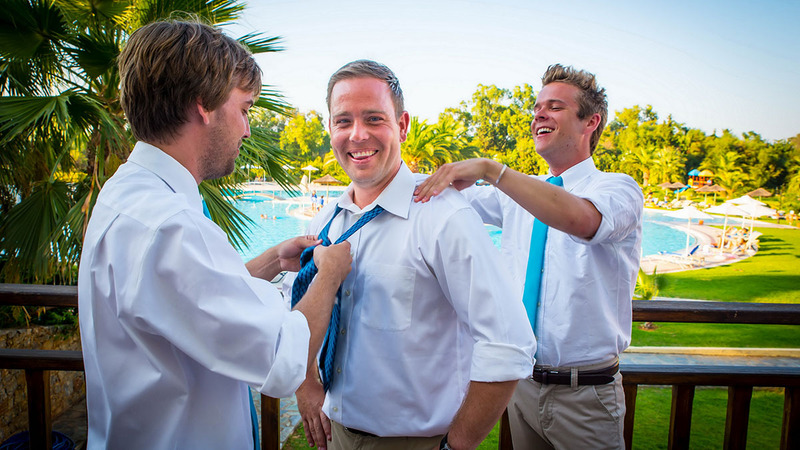 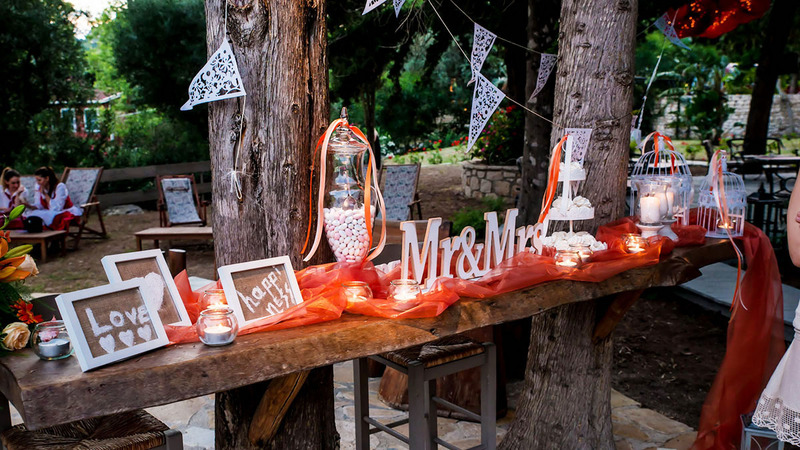 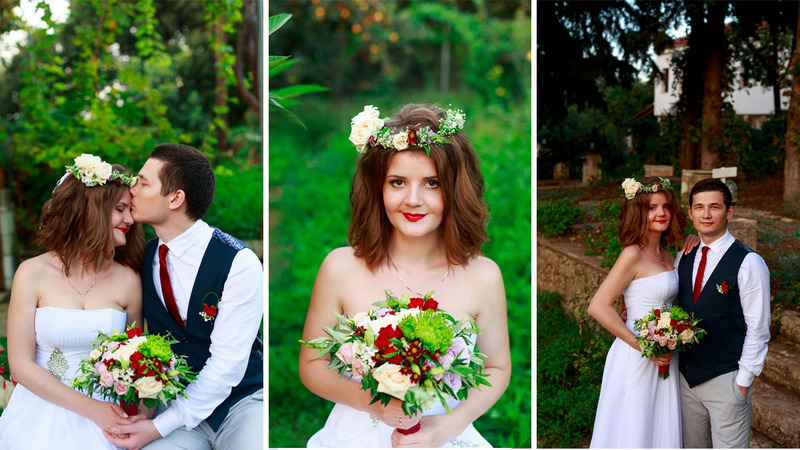 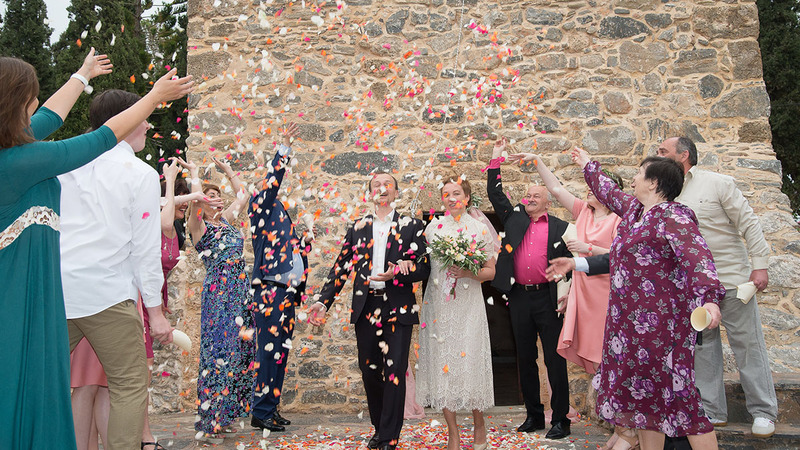 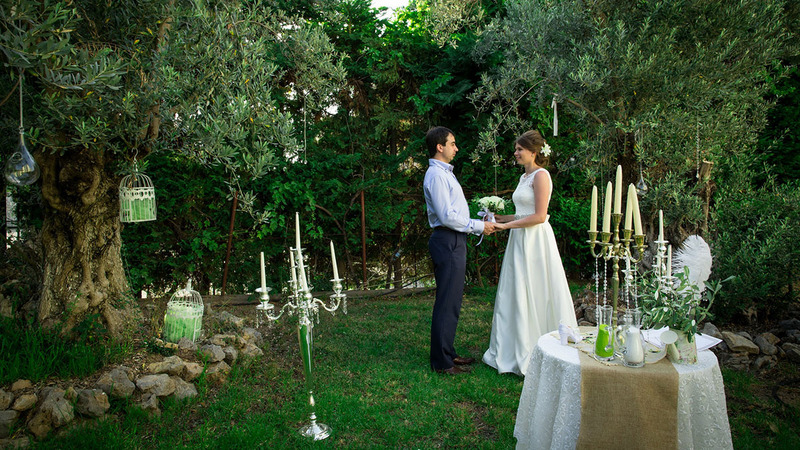 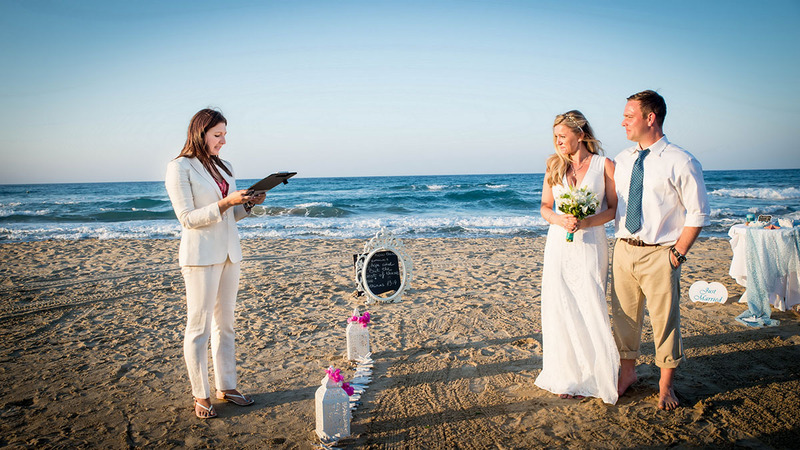 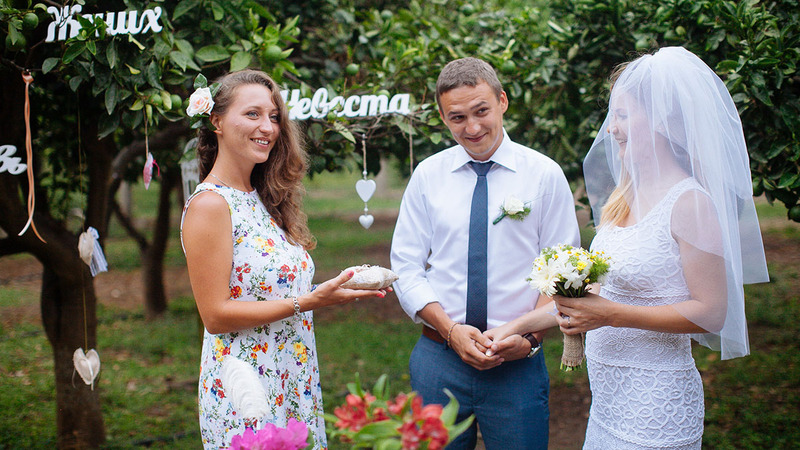 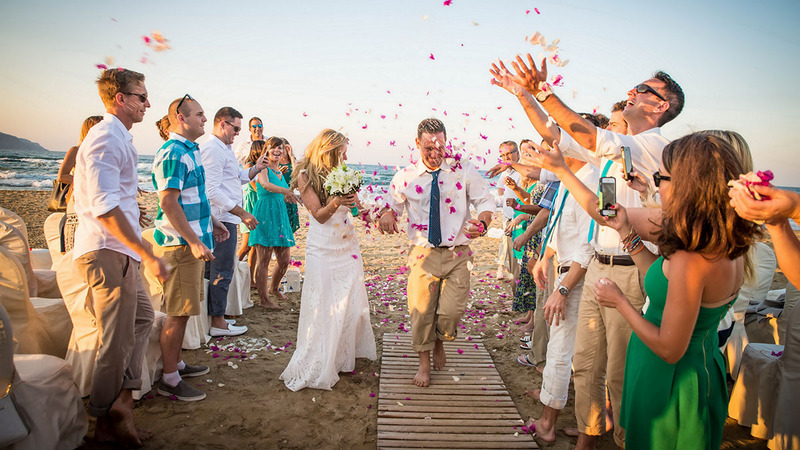 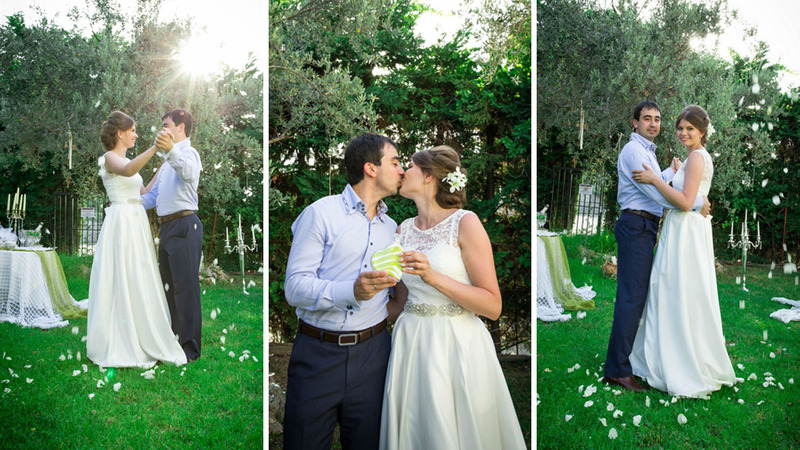 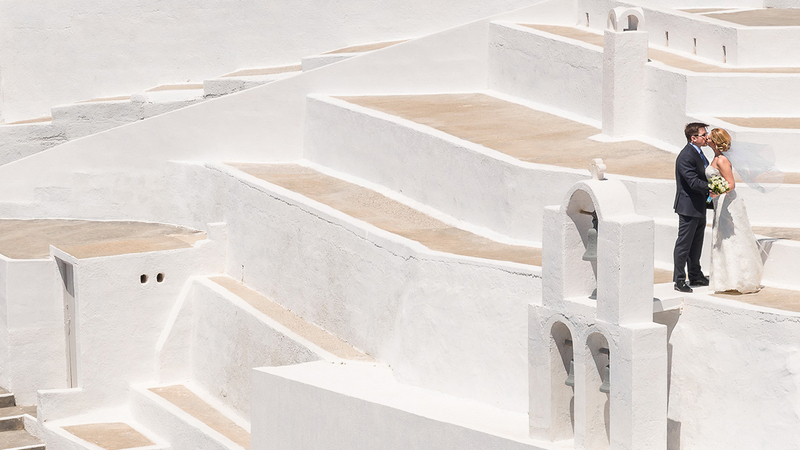 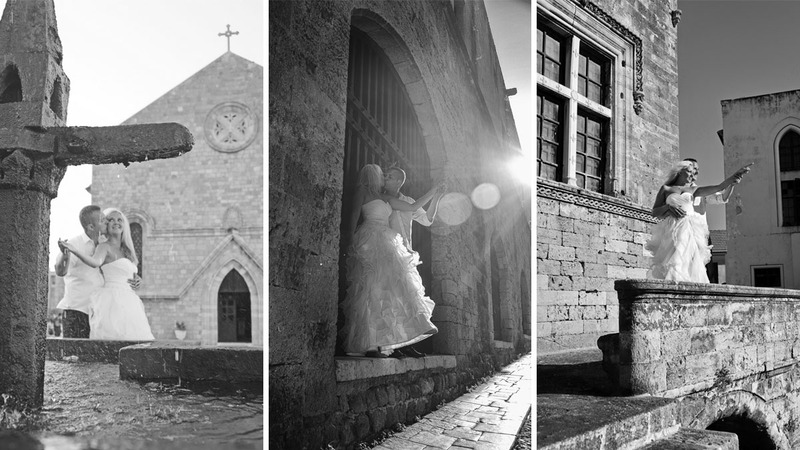 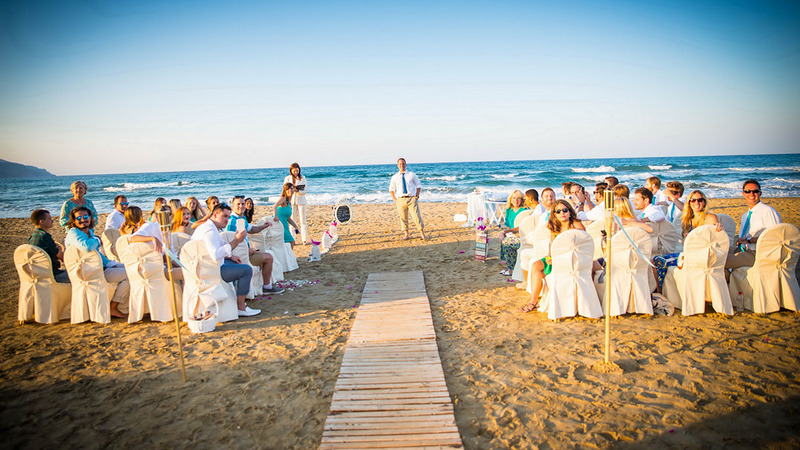 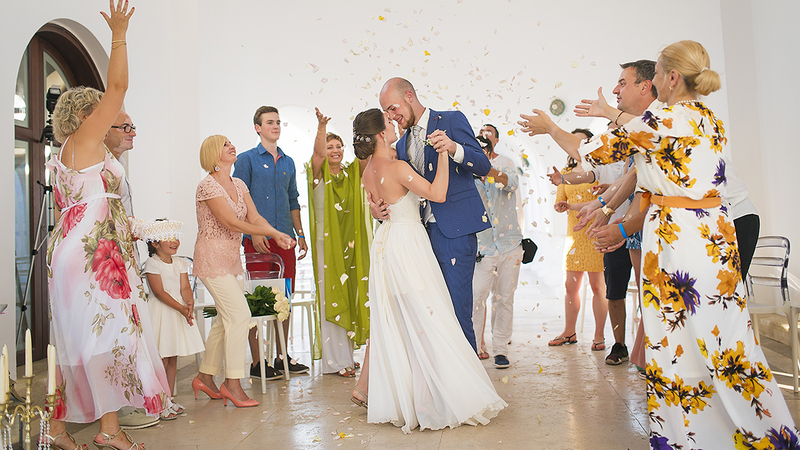 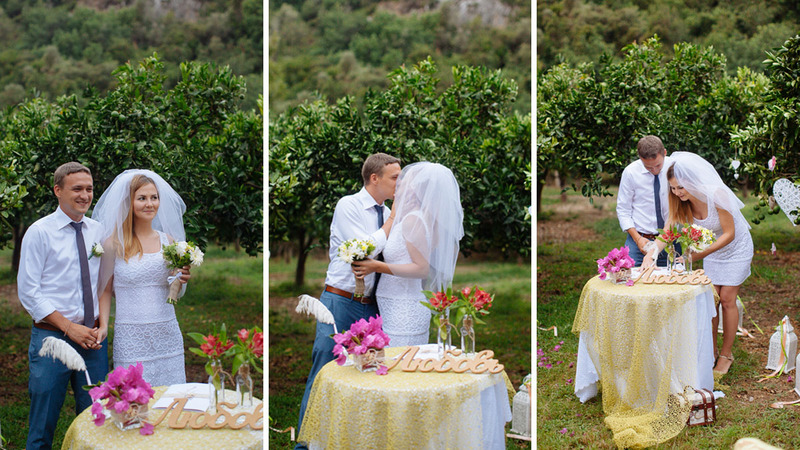 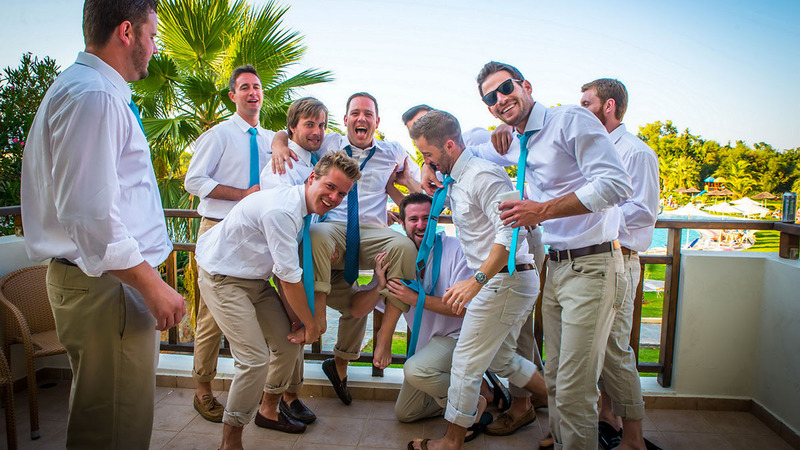 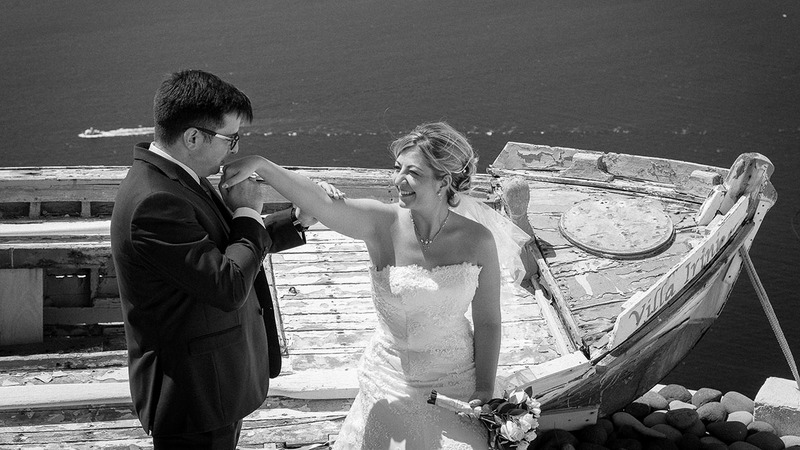 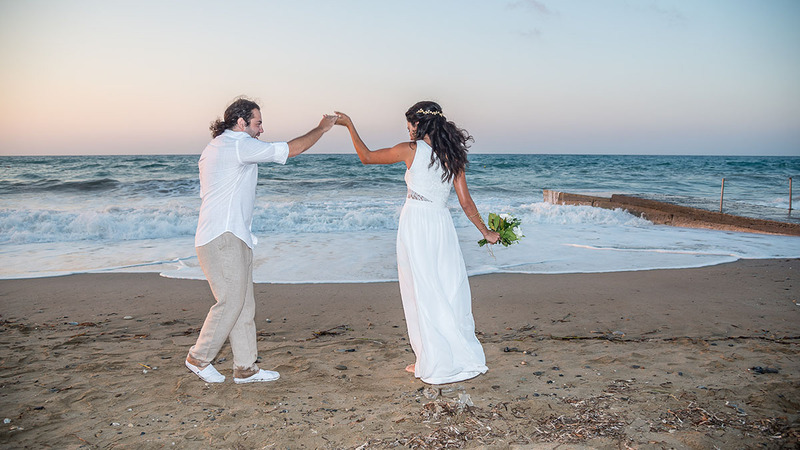 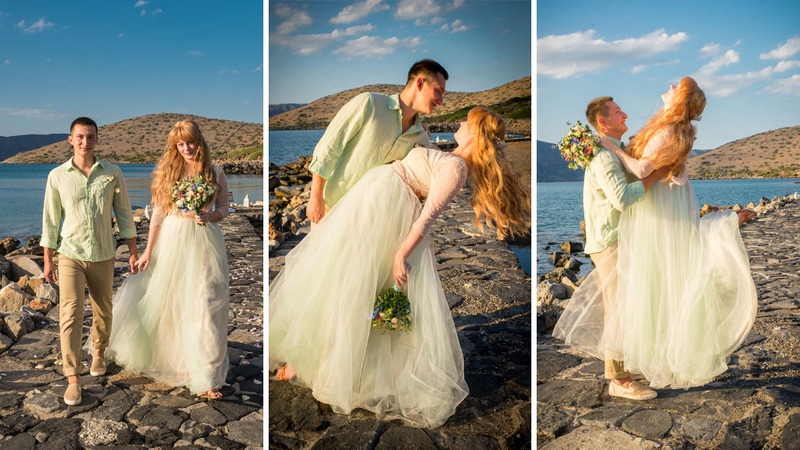 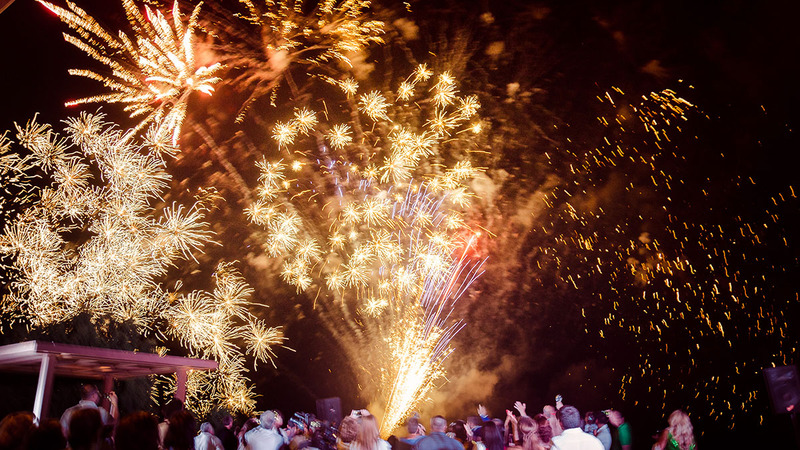 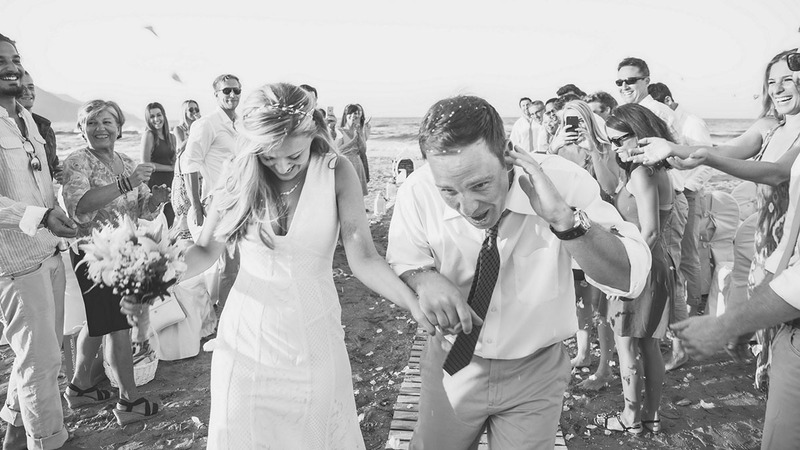 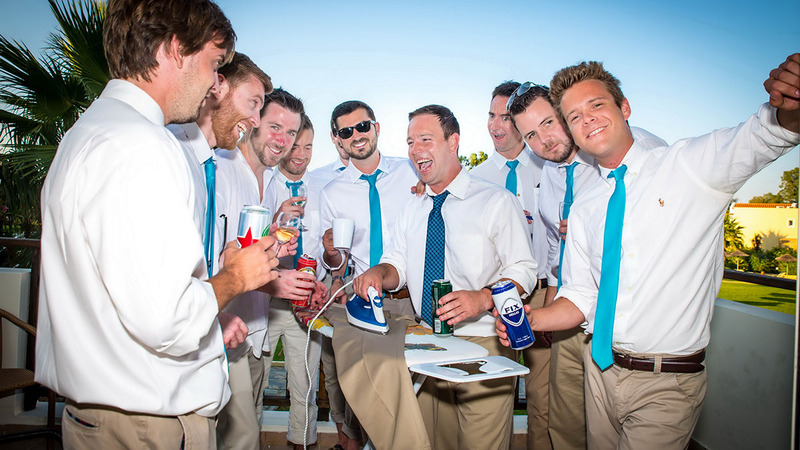 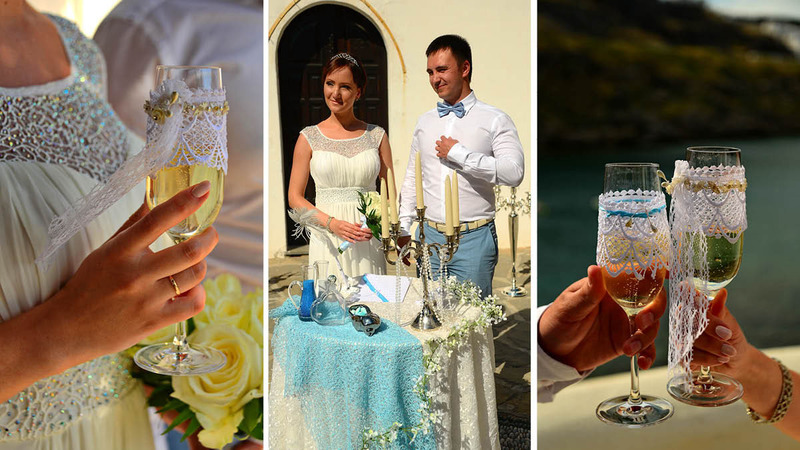 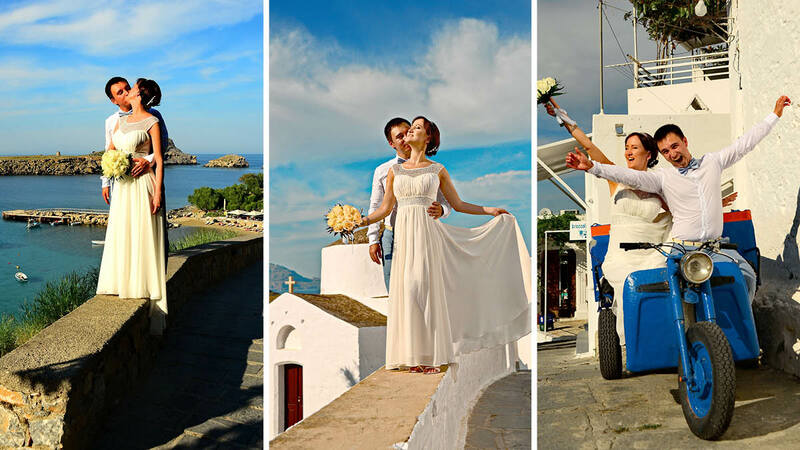 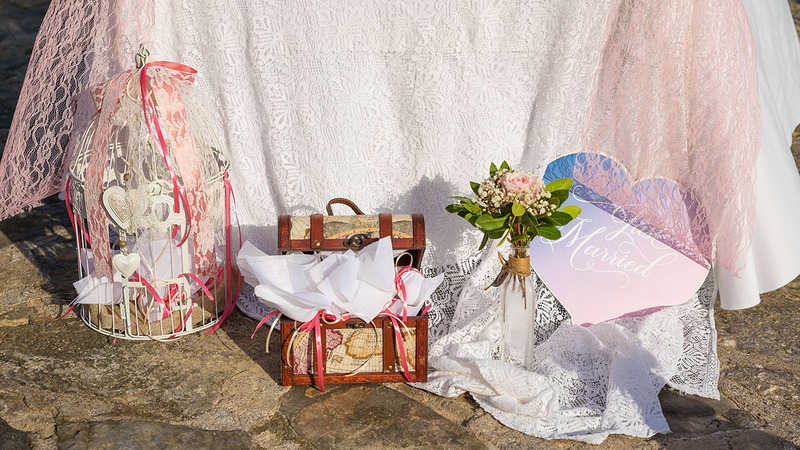 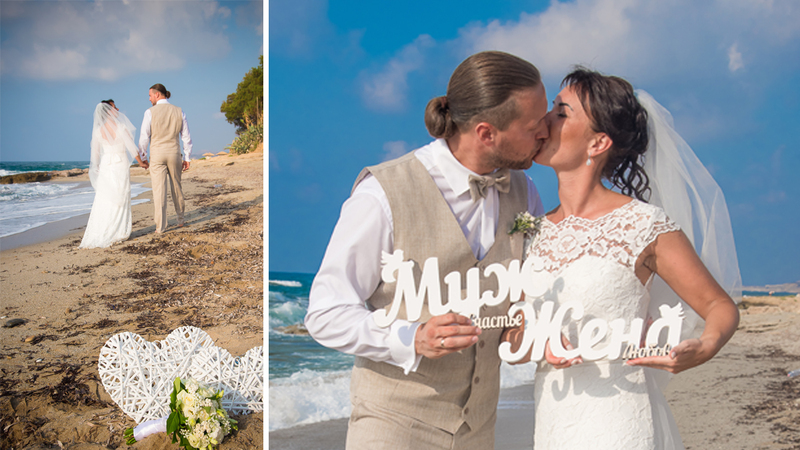 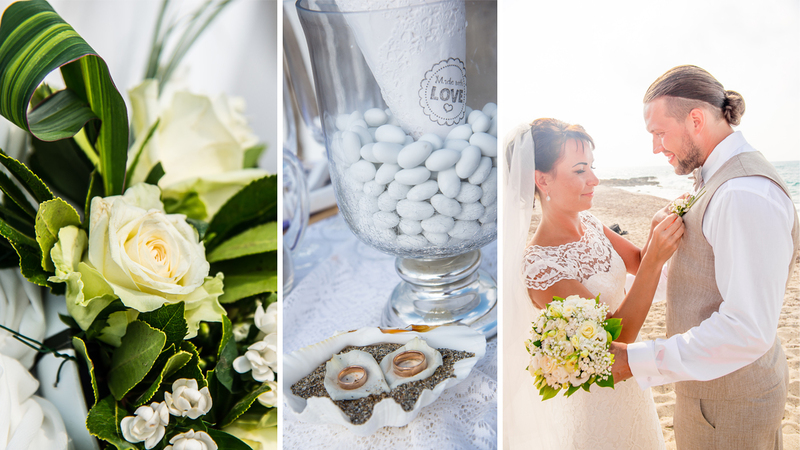 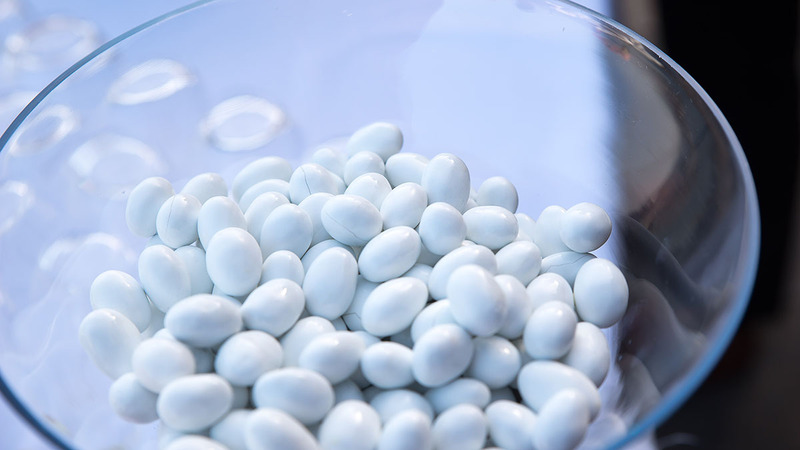 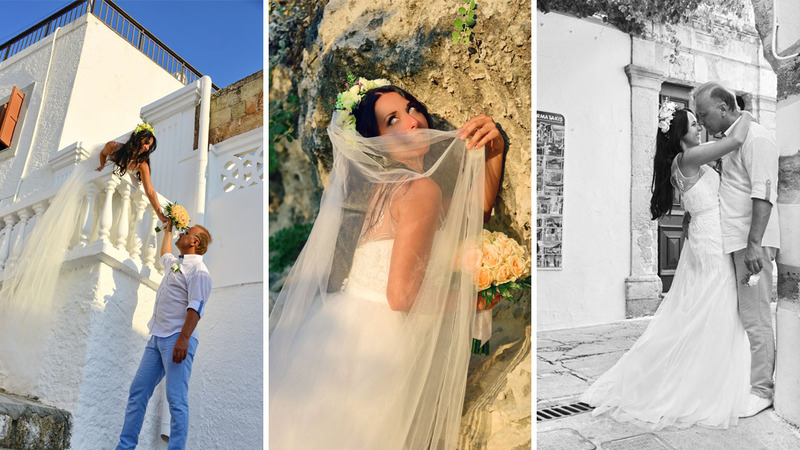 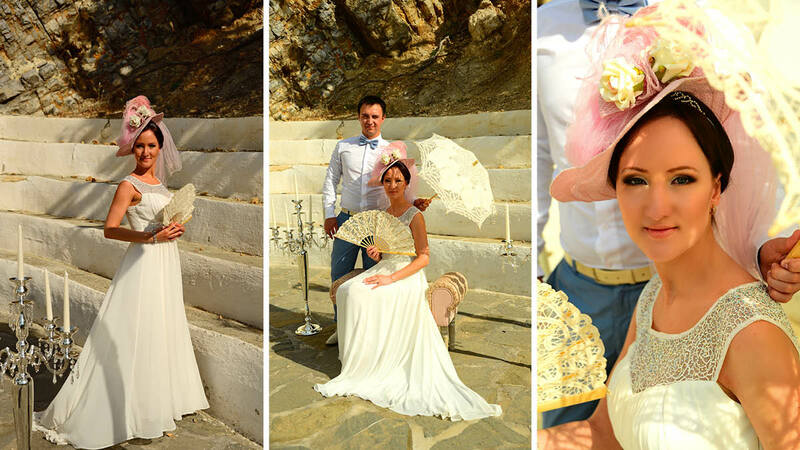 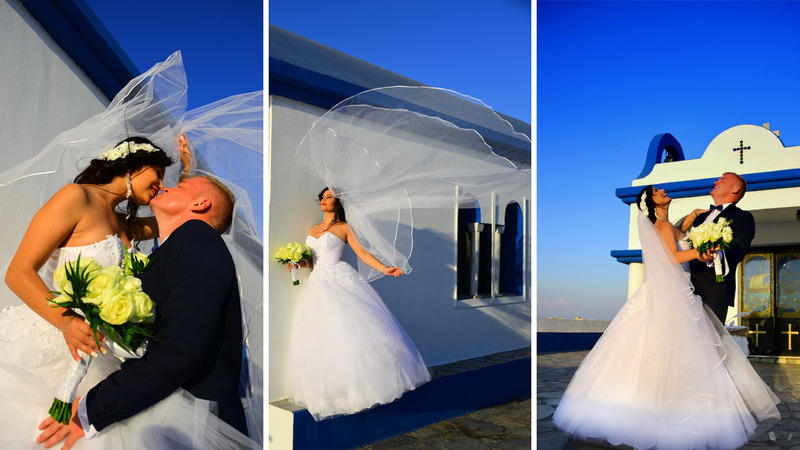 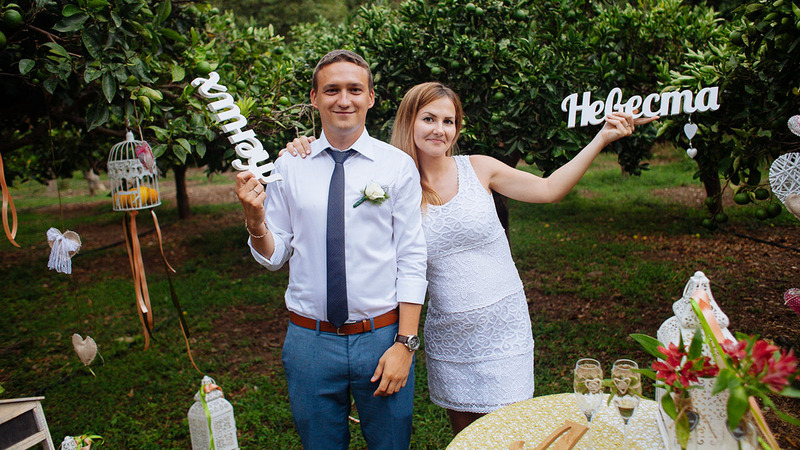 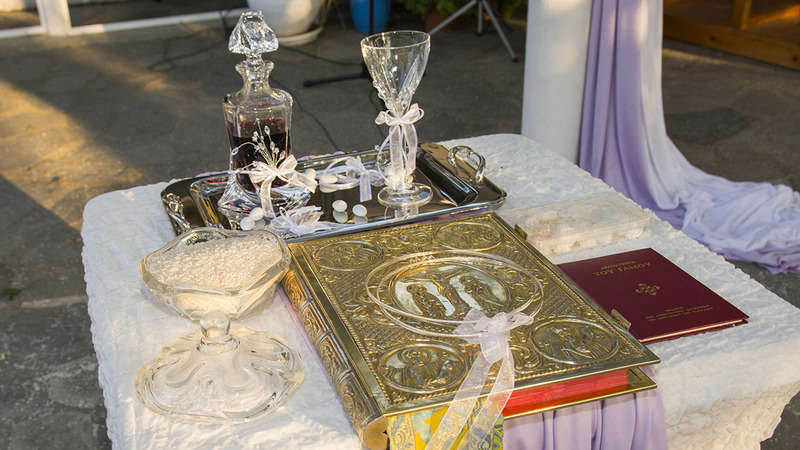 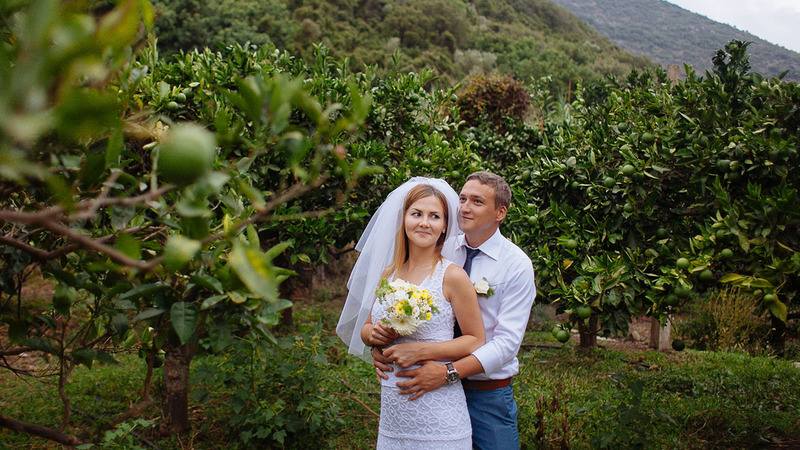 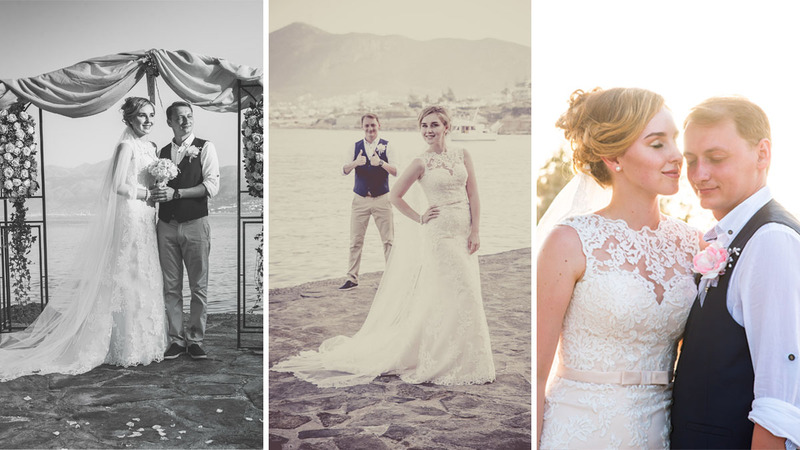 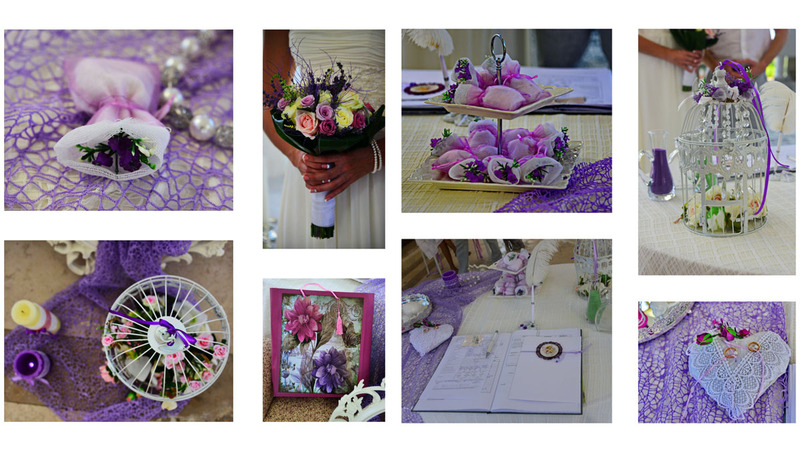 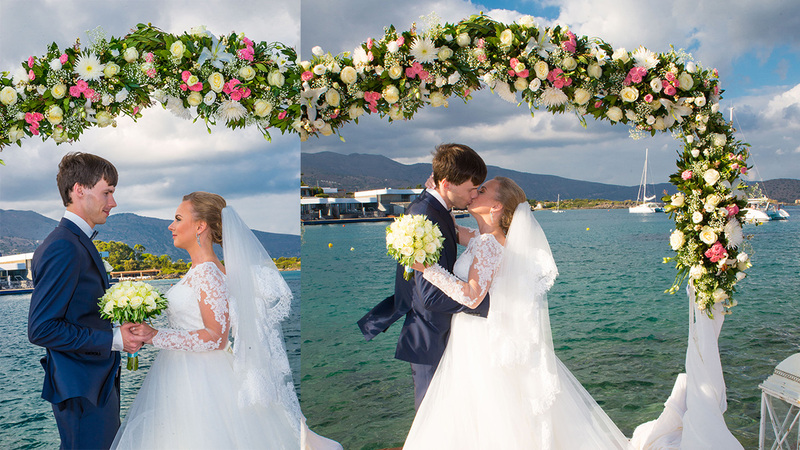 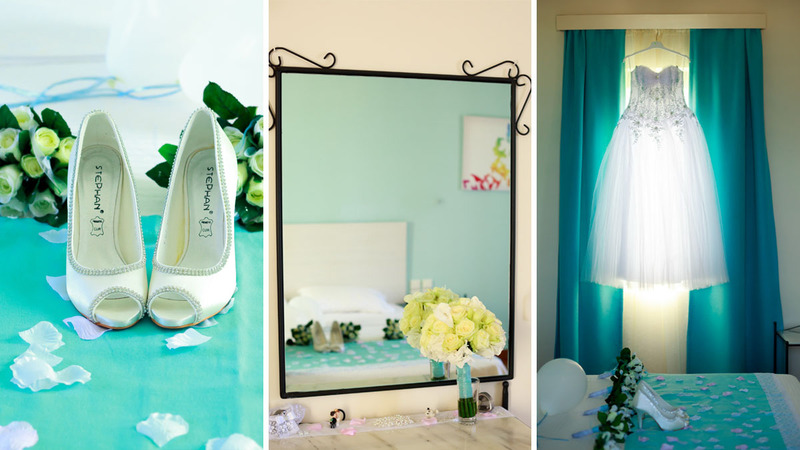 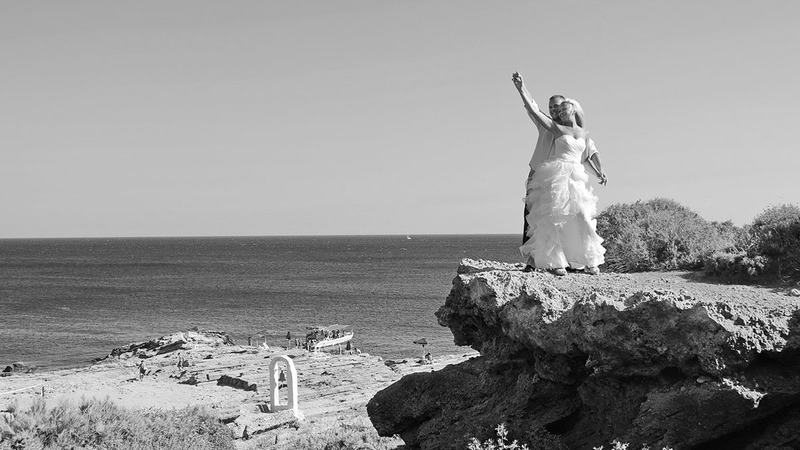 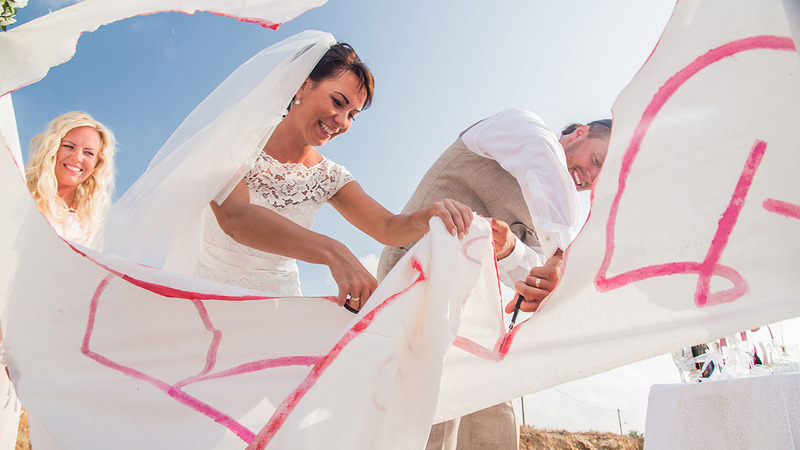 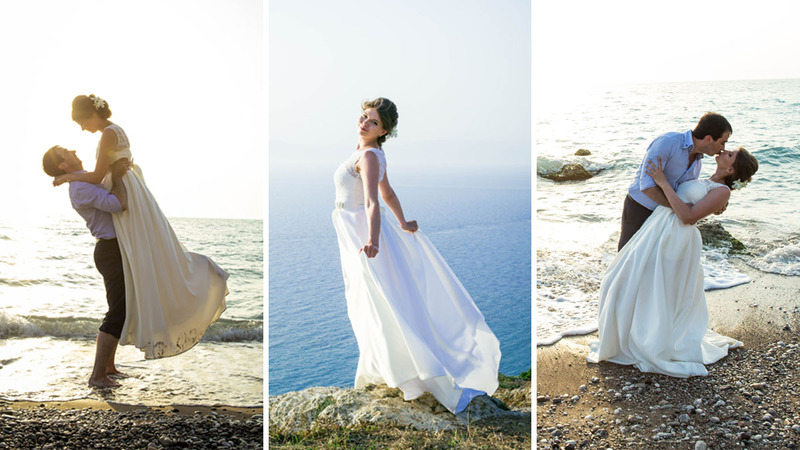 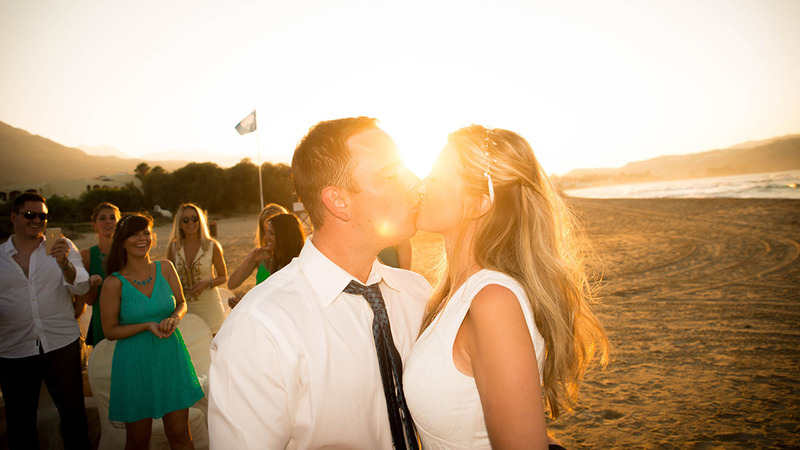 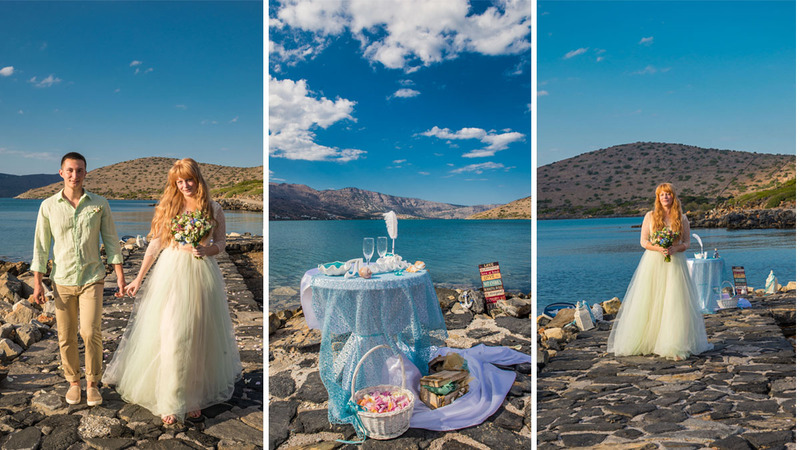 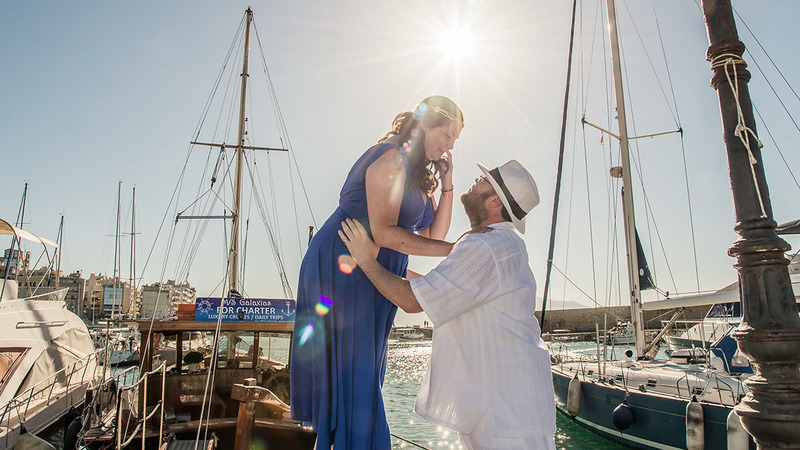 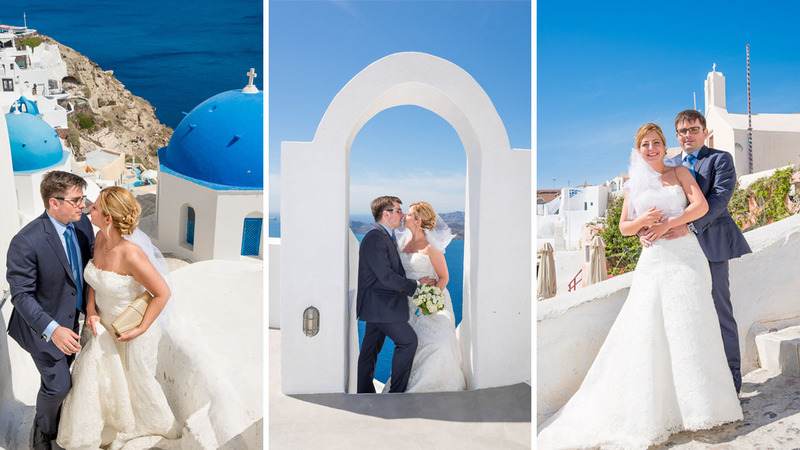 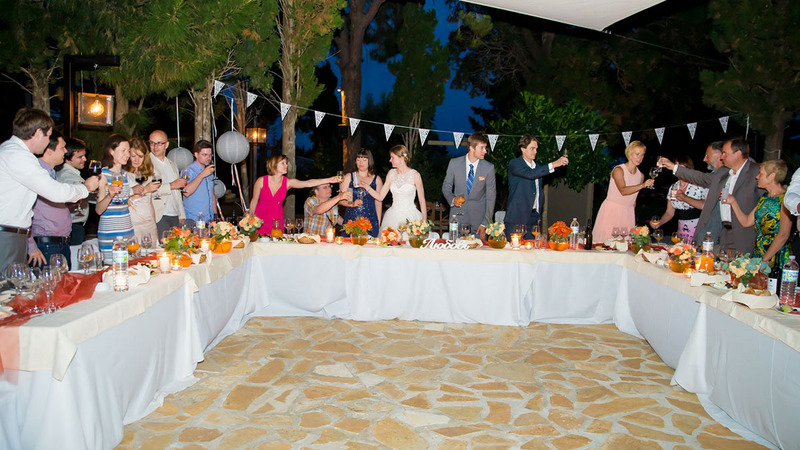 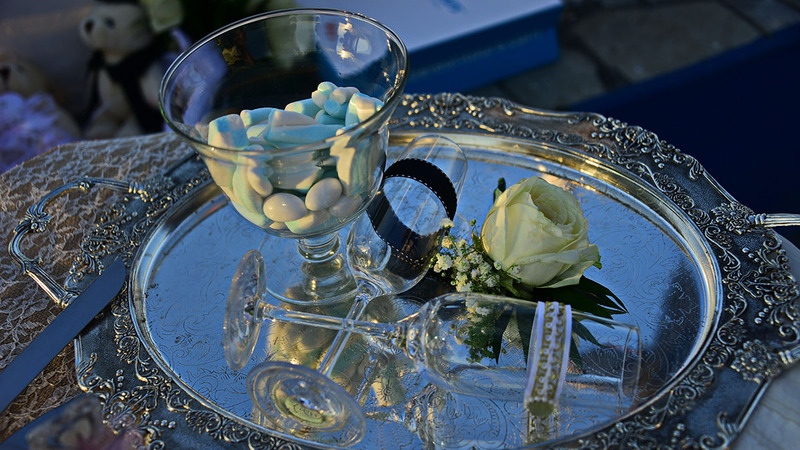 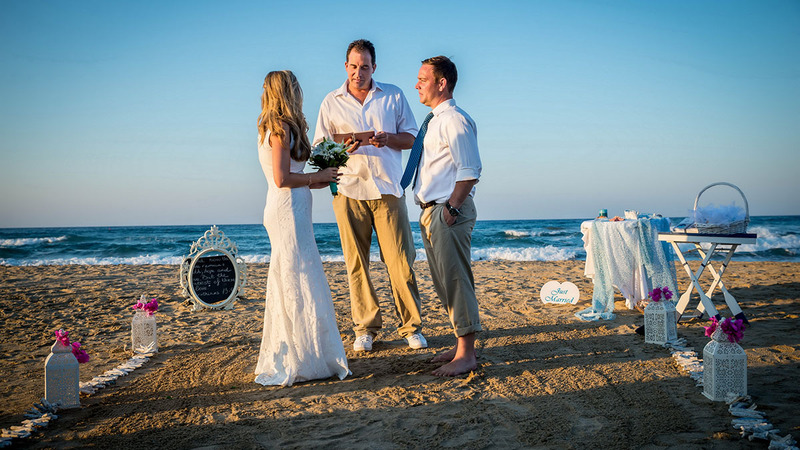 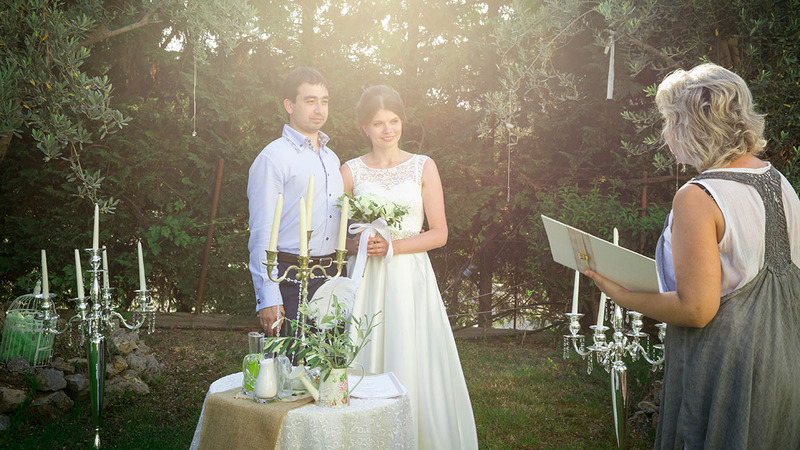 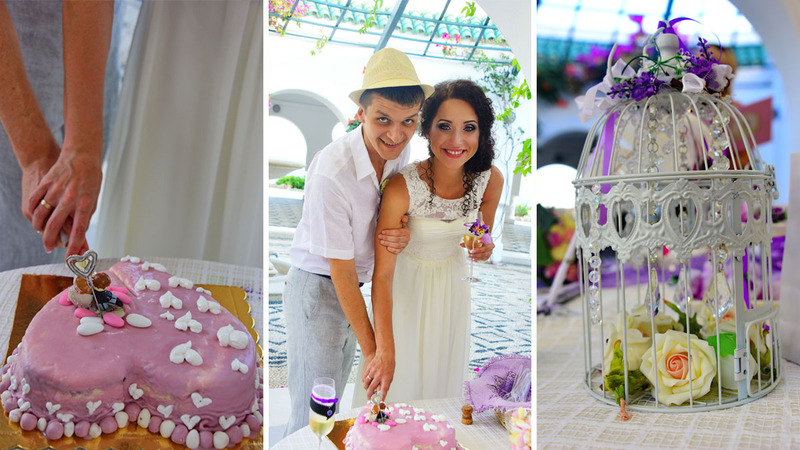 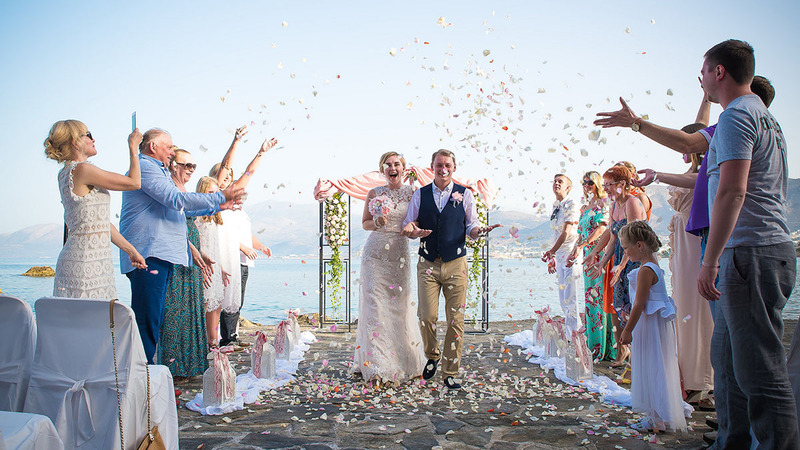 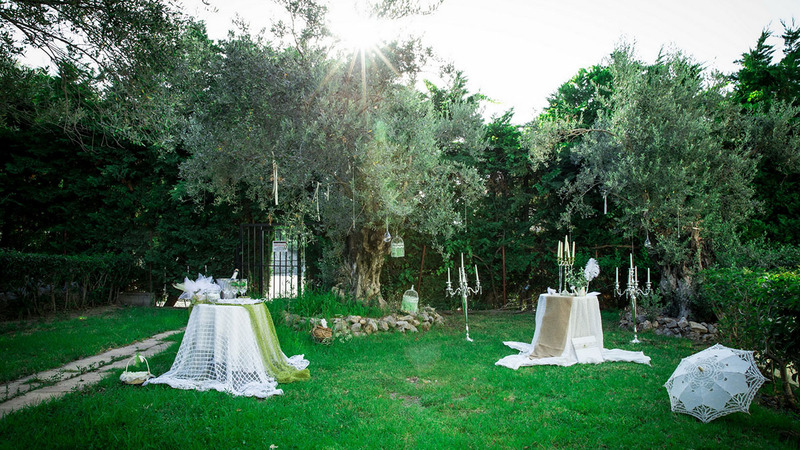 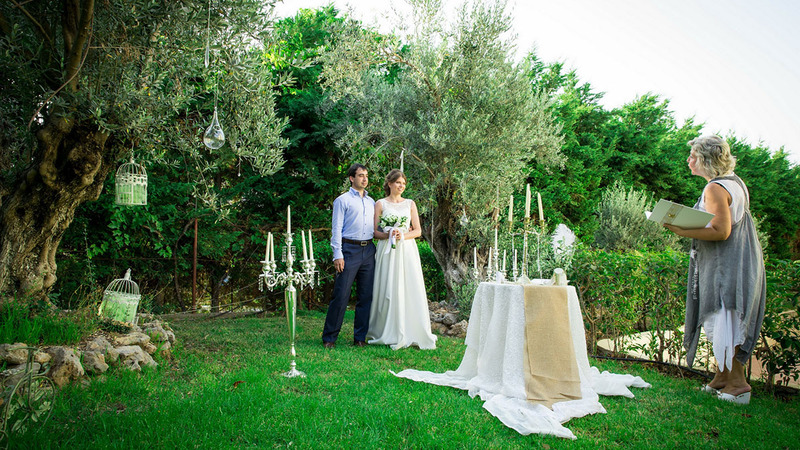 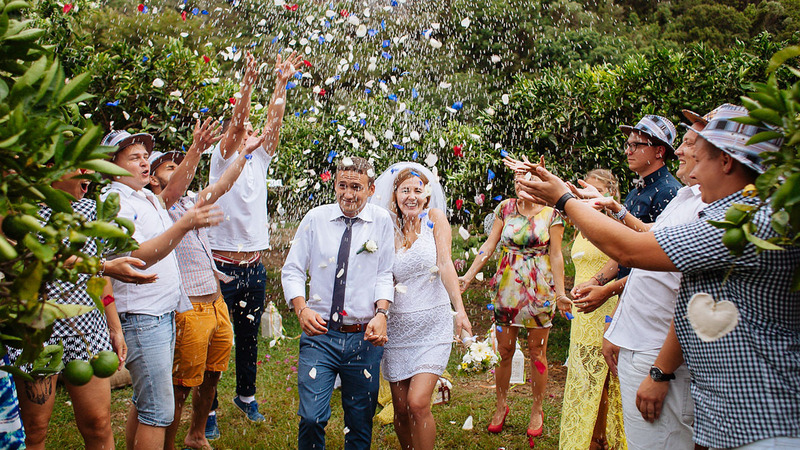 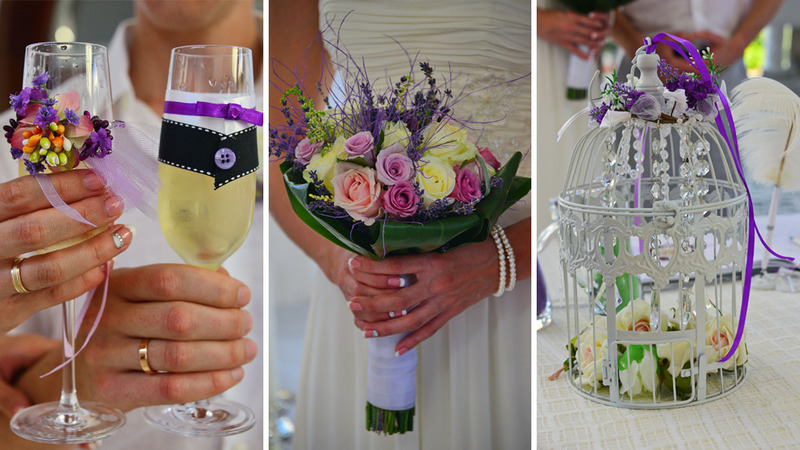 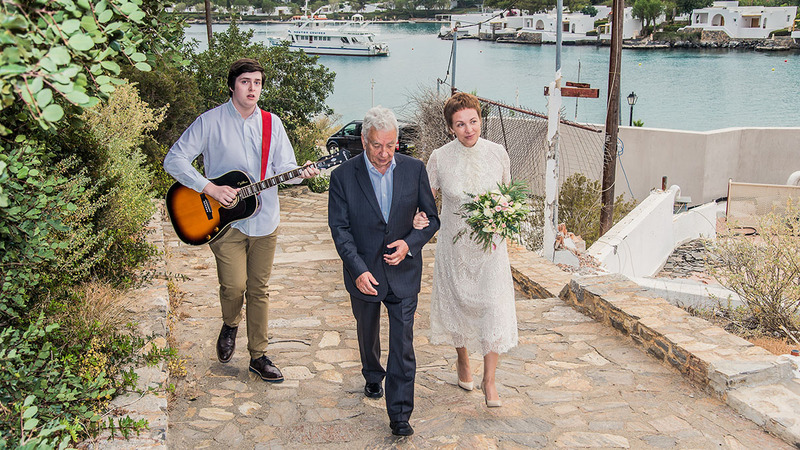 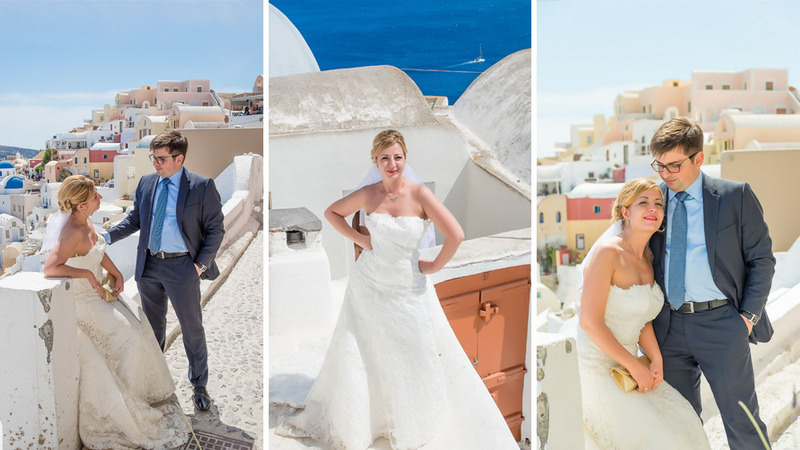 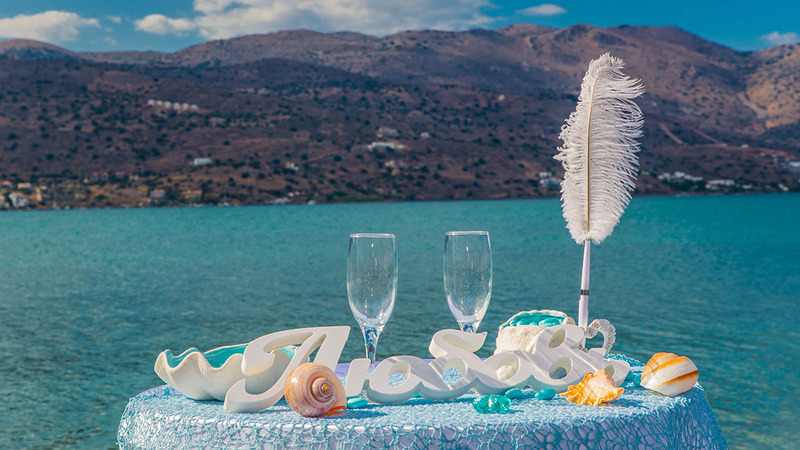 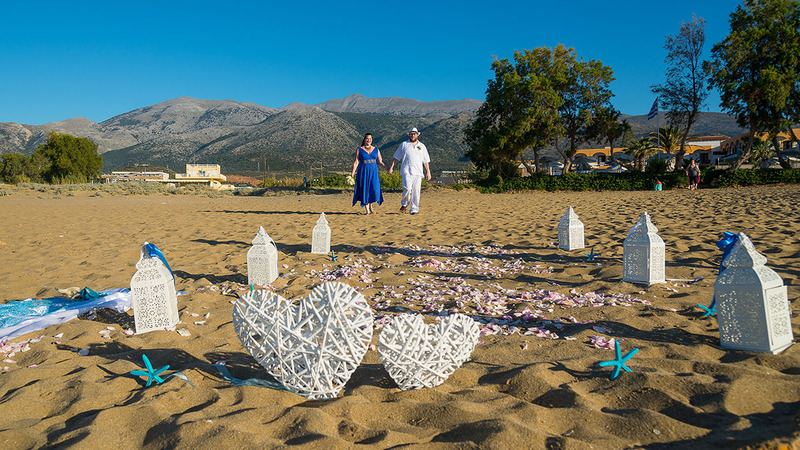 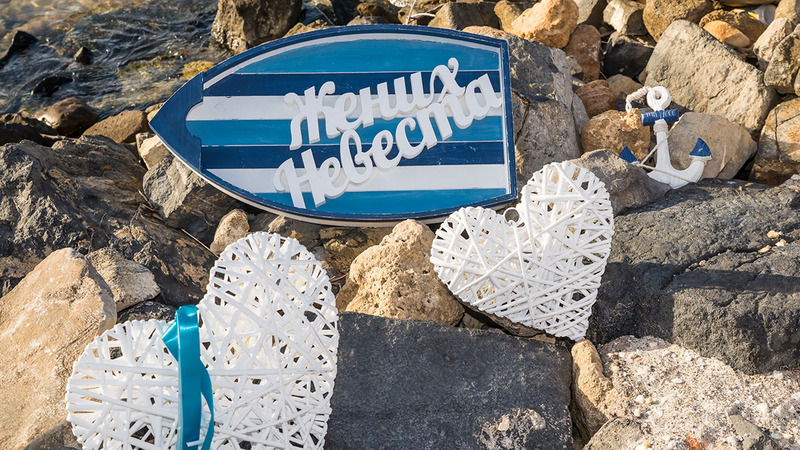 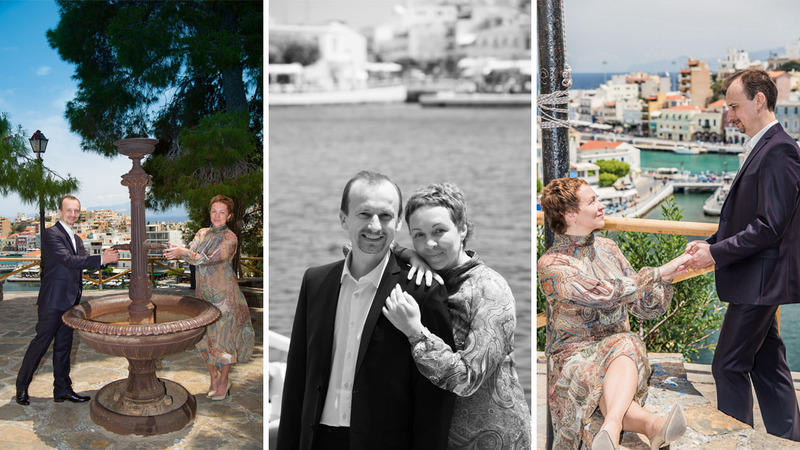 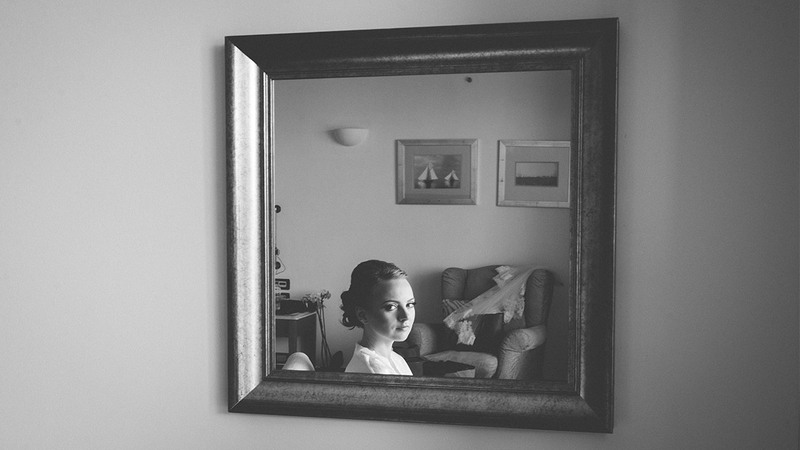 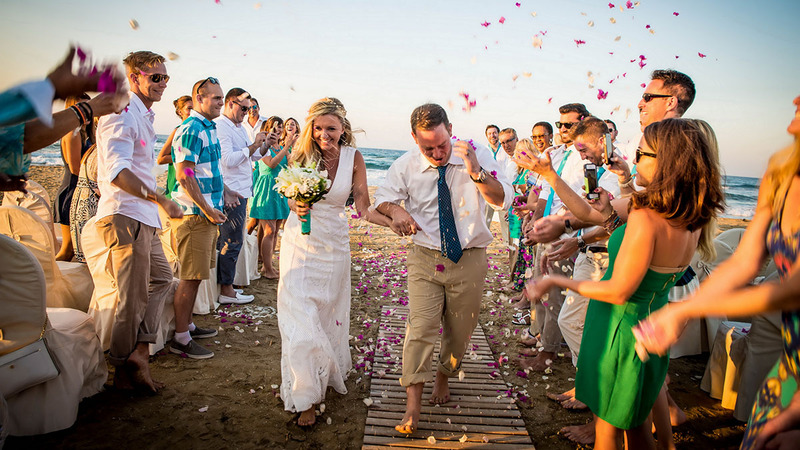 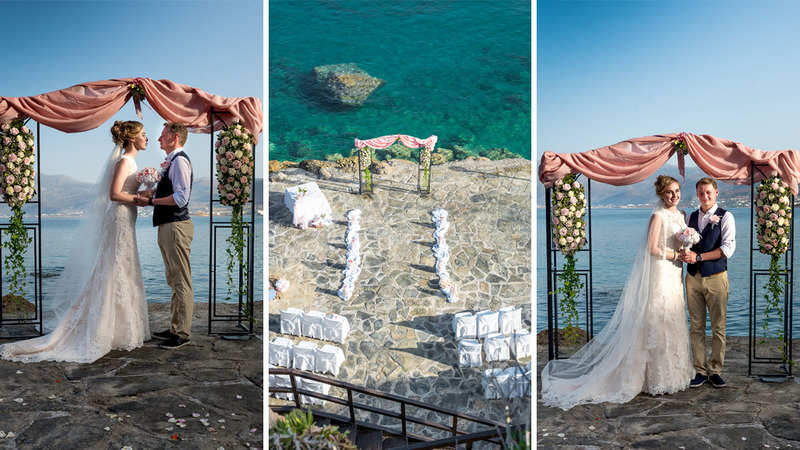 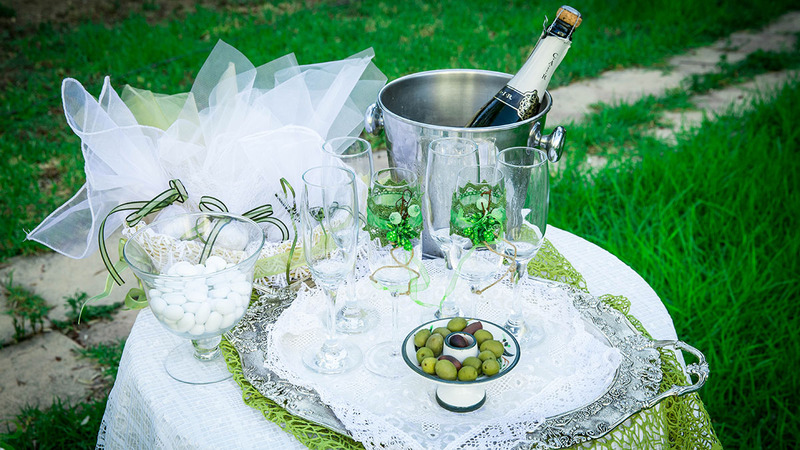 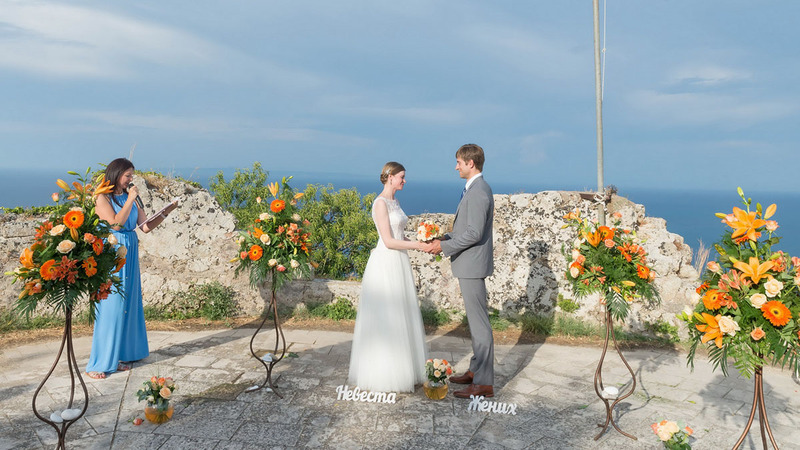 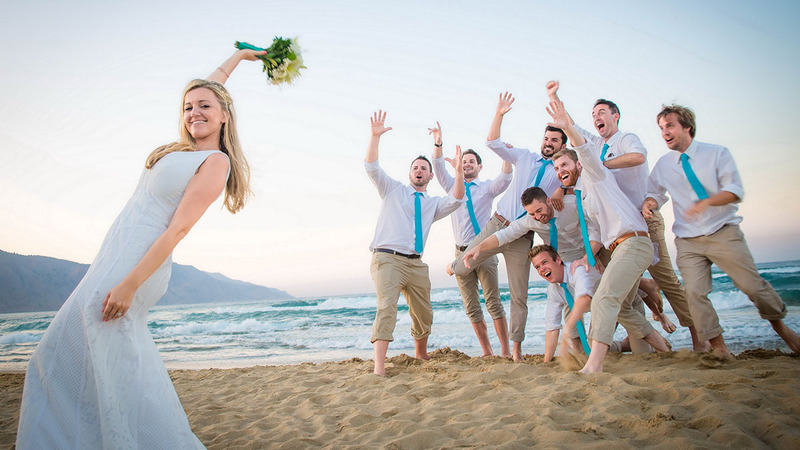 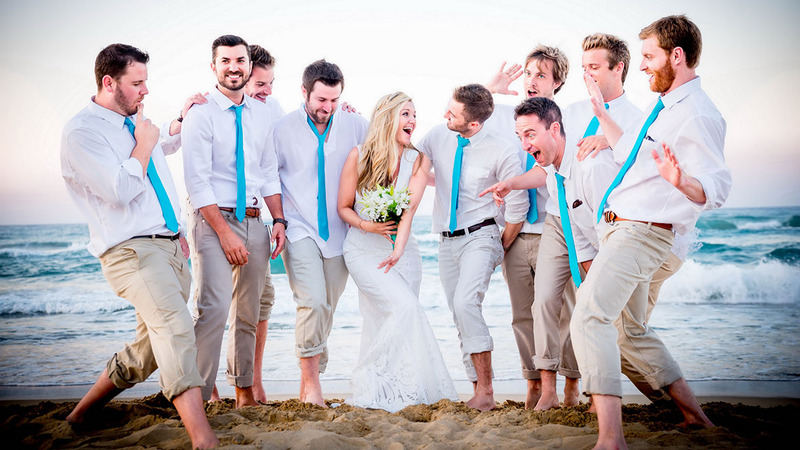 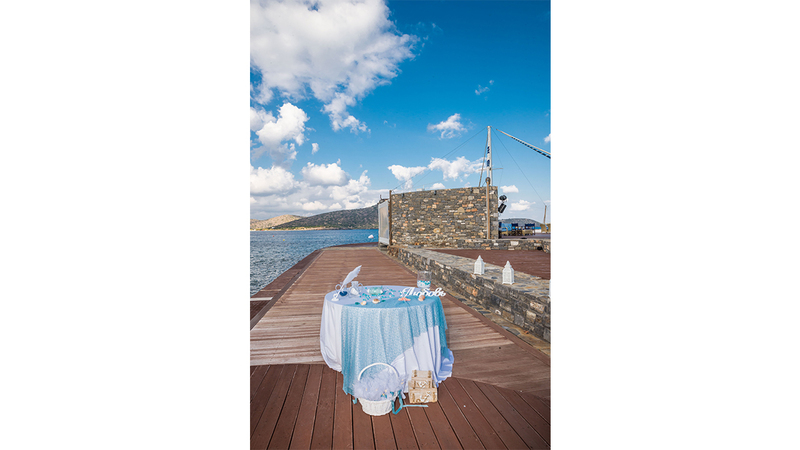 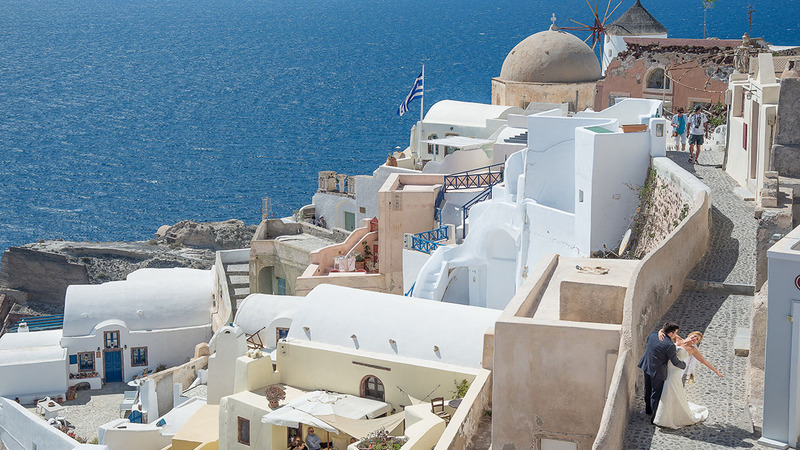 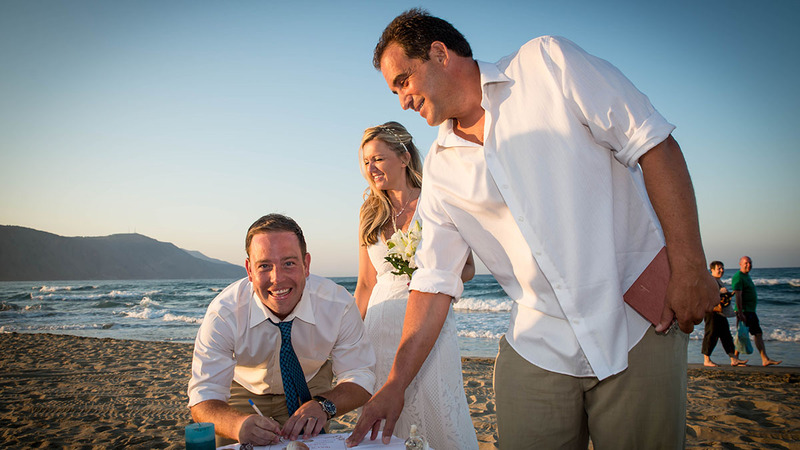 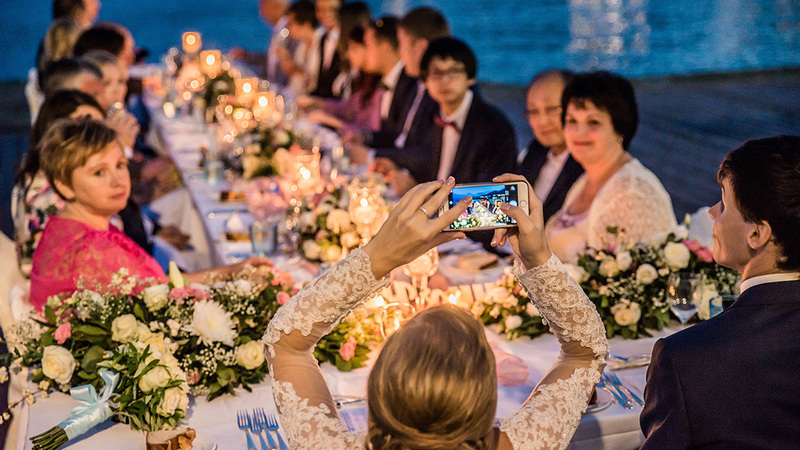 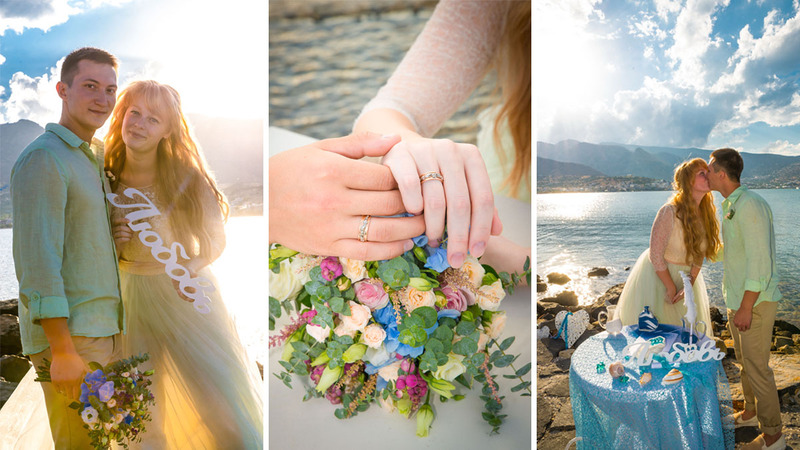 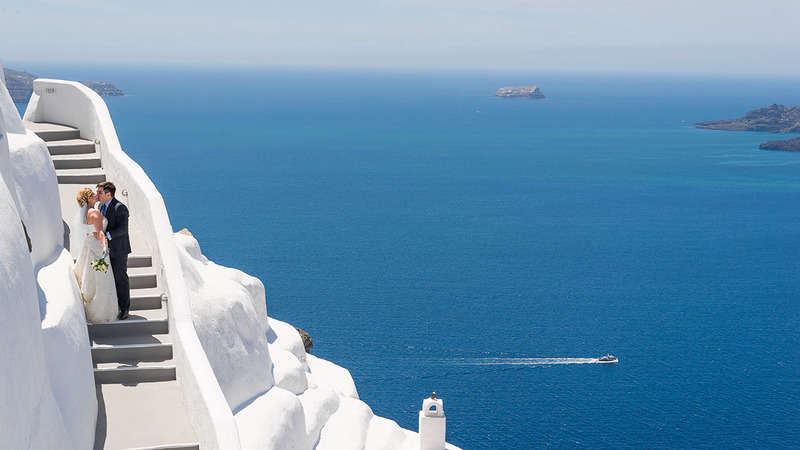 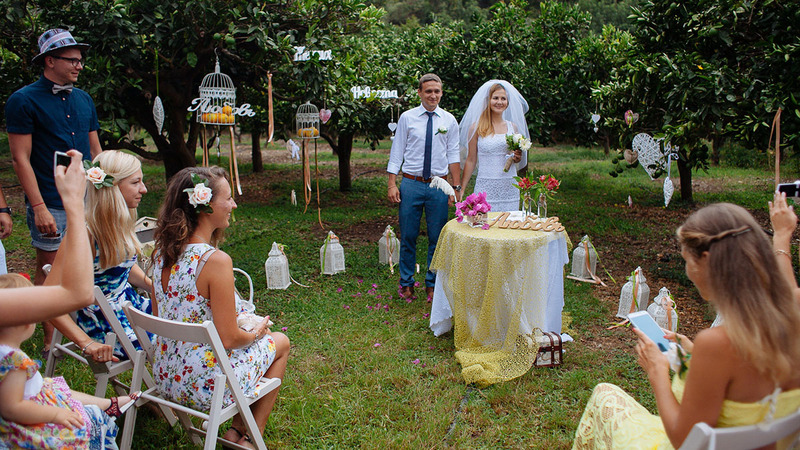 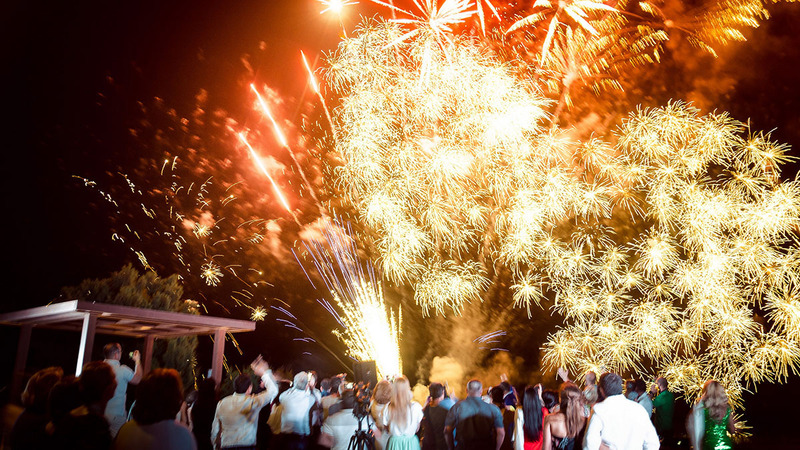 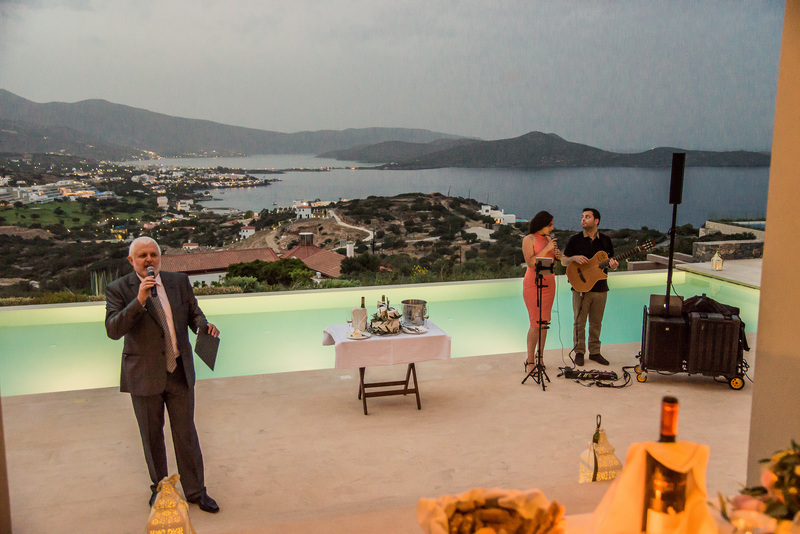 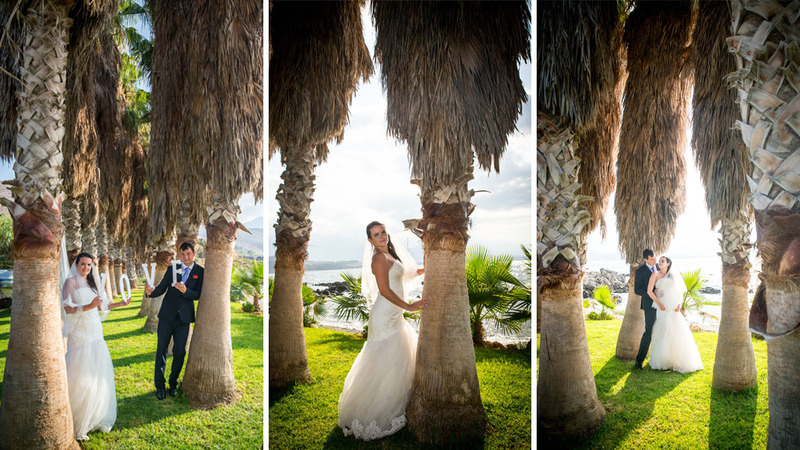 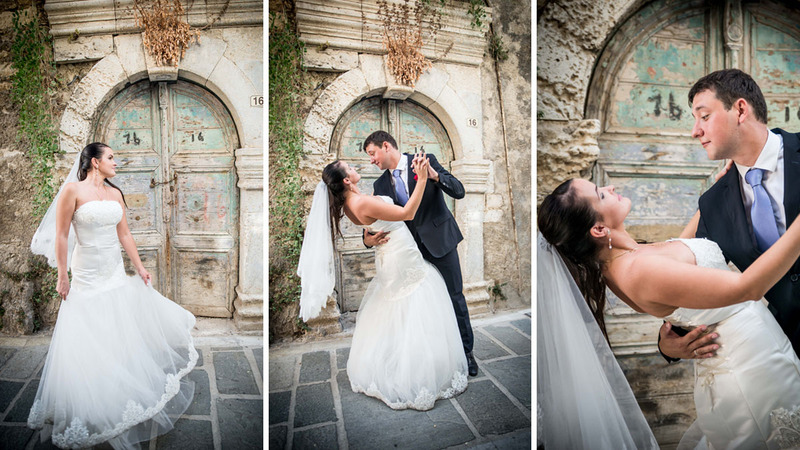 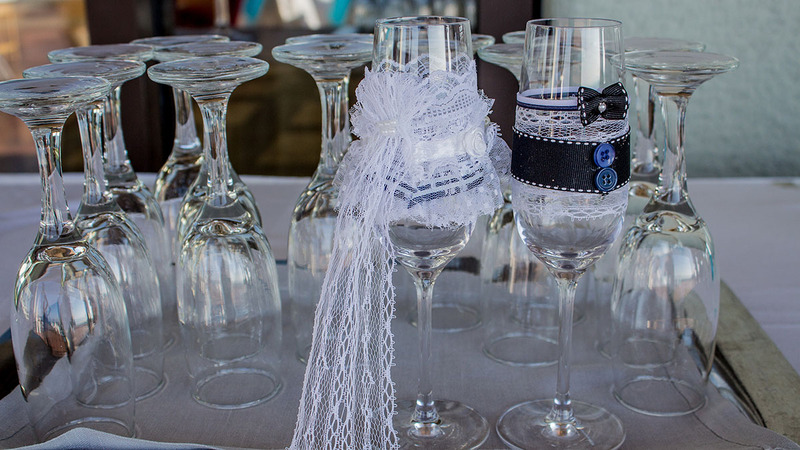 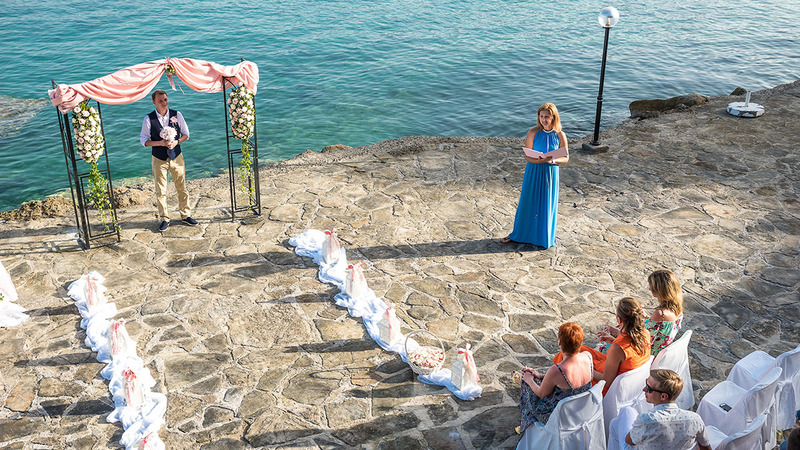 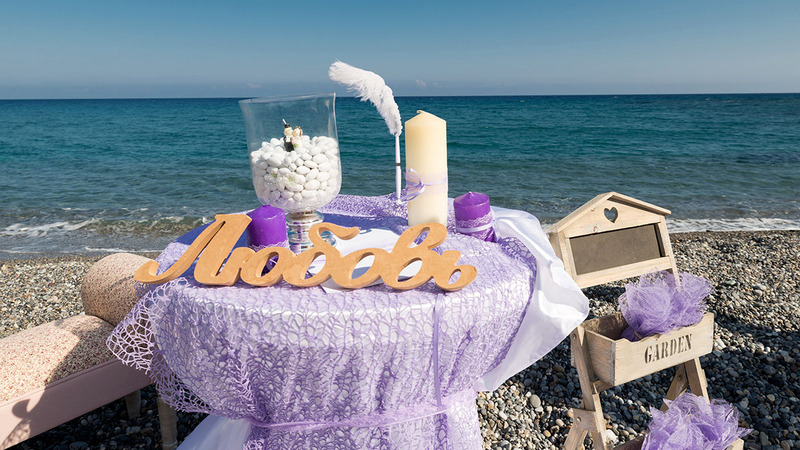 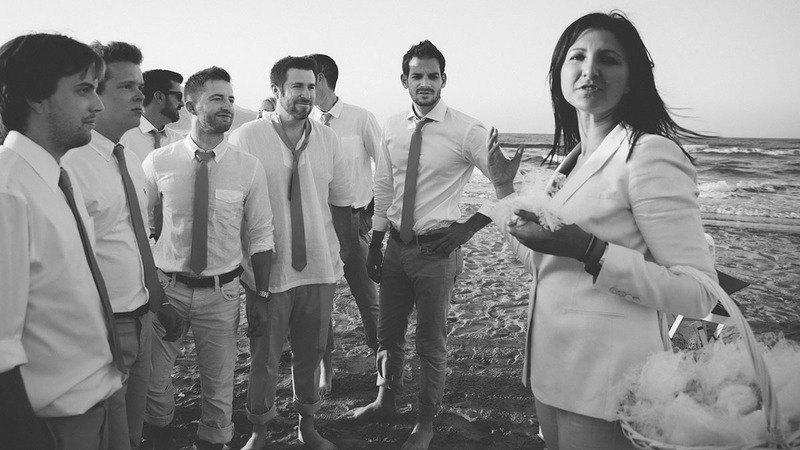 Here we present photos of different ceremonies and scenarios in Greece. 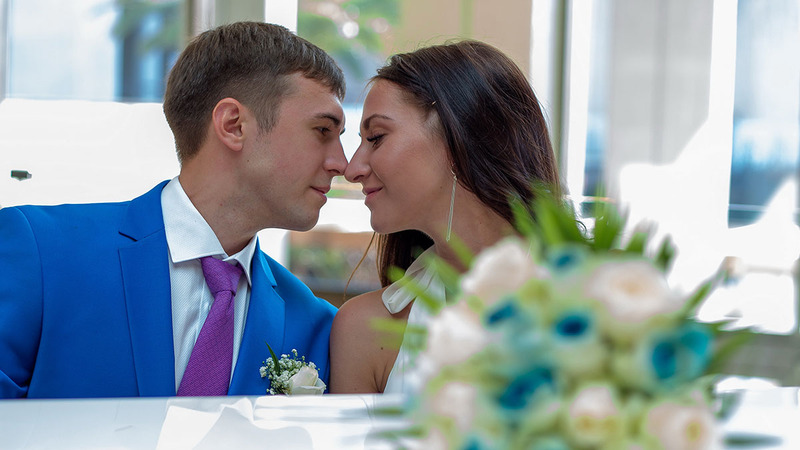 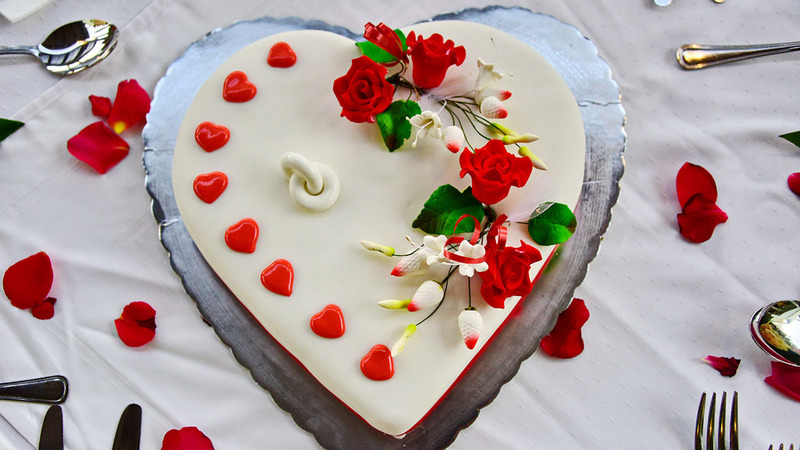 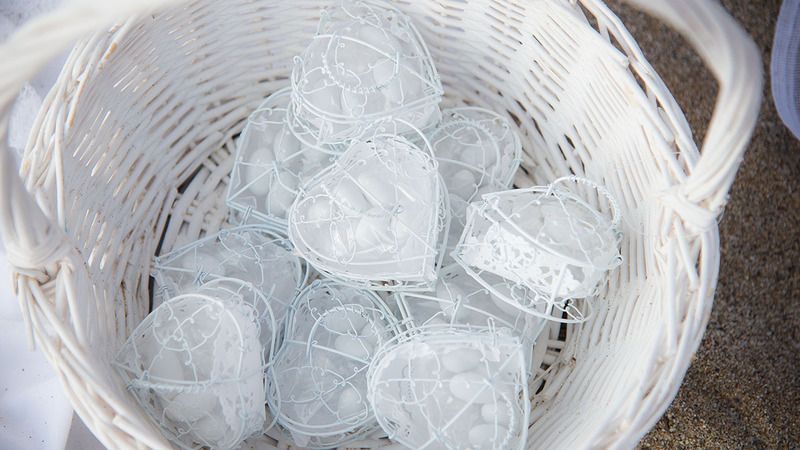 All of them were prepared, conducted and pictured by our specialists to become the most dazzling and strong evidence of love, and to become the matter for pride for us in this page. 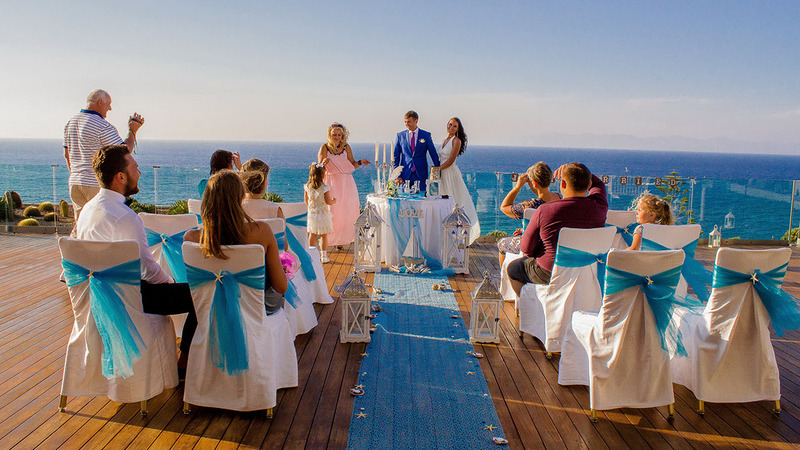 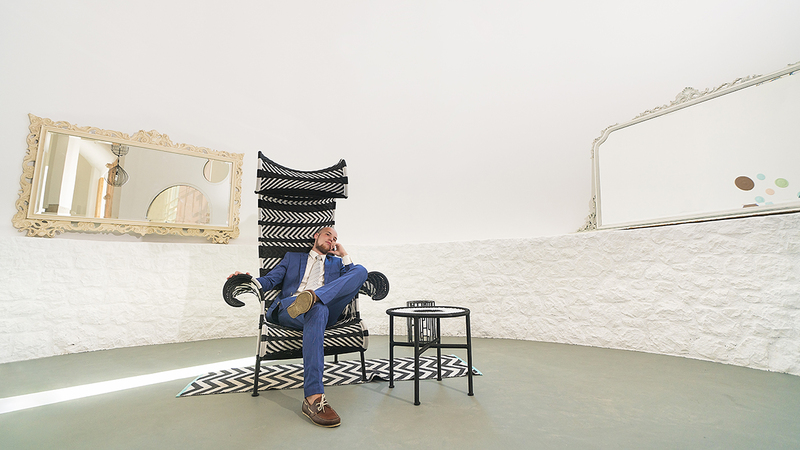 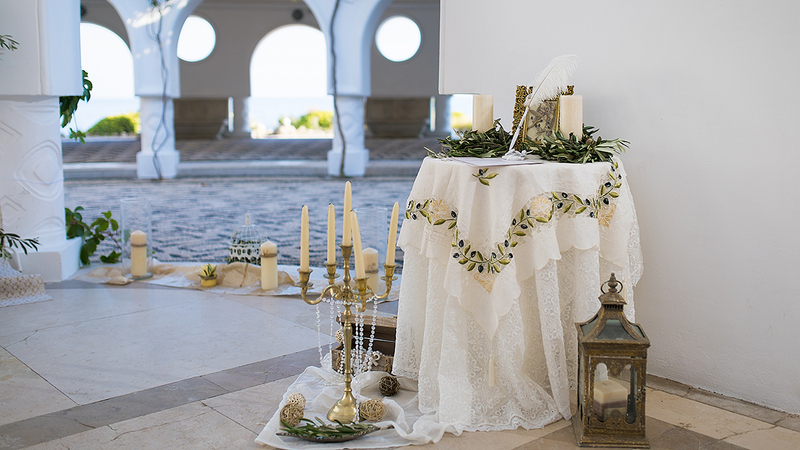 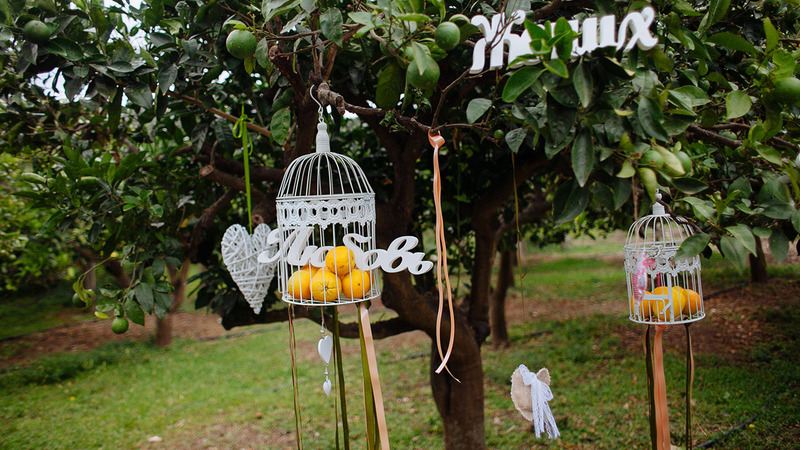 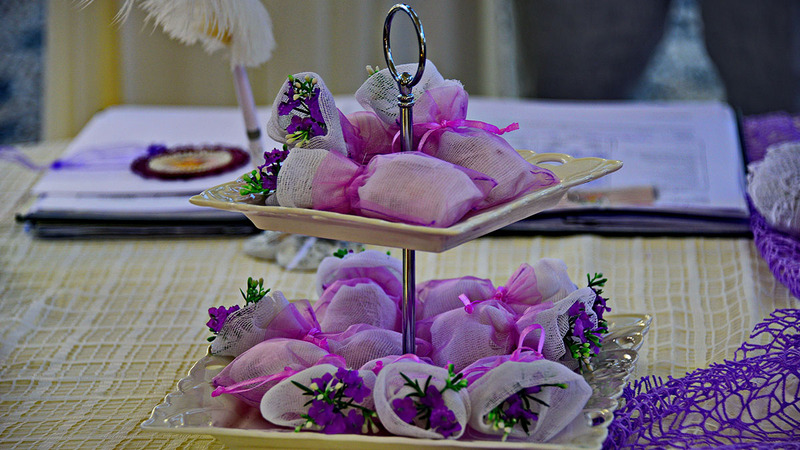 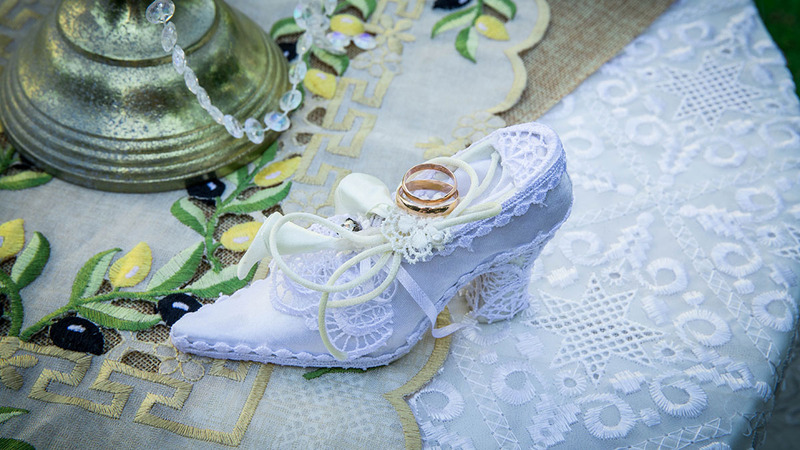 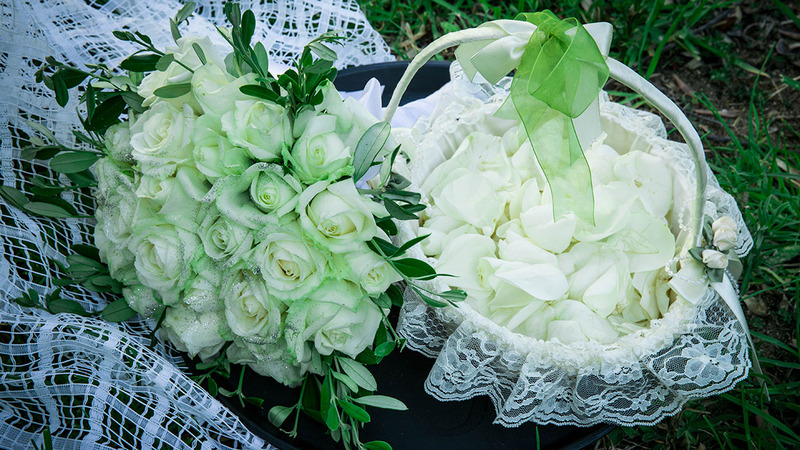 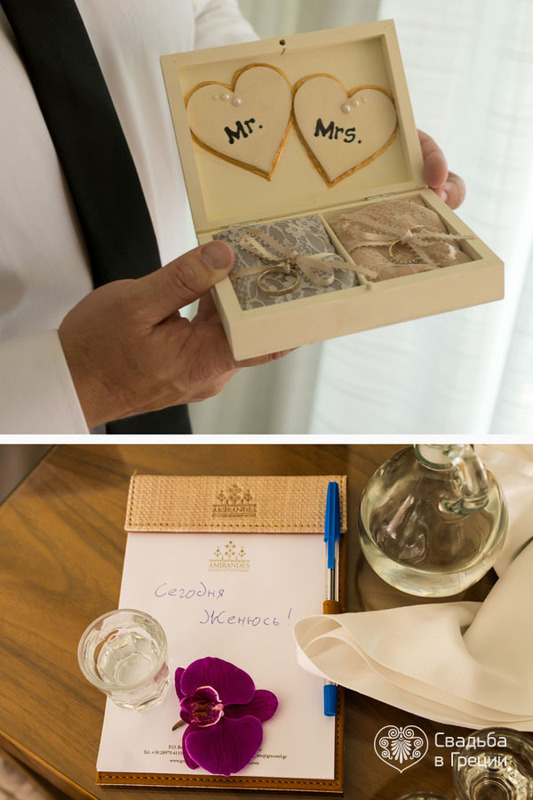 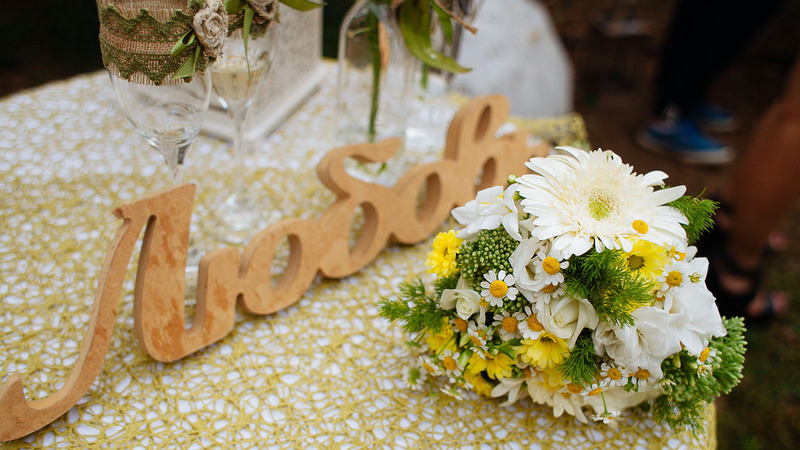 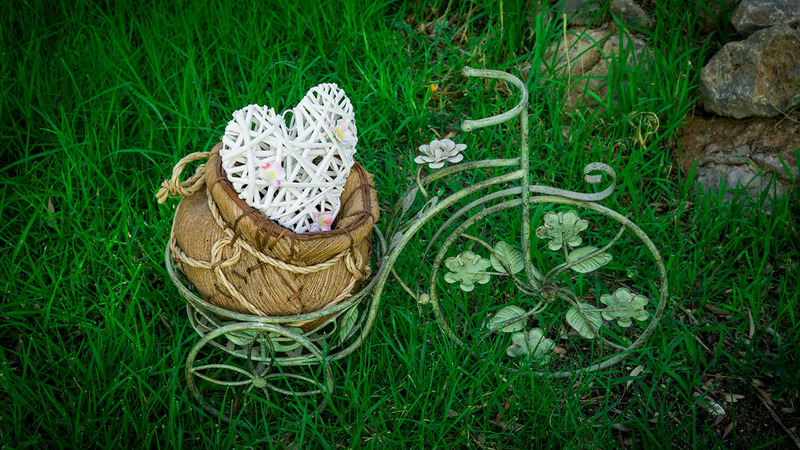 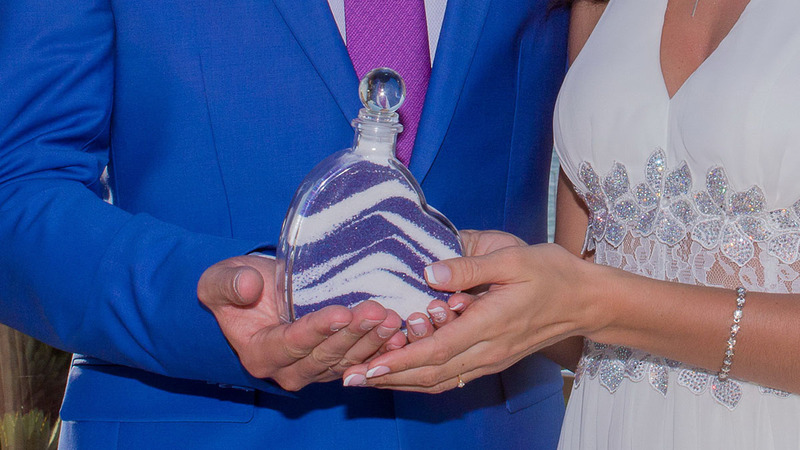 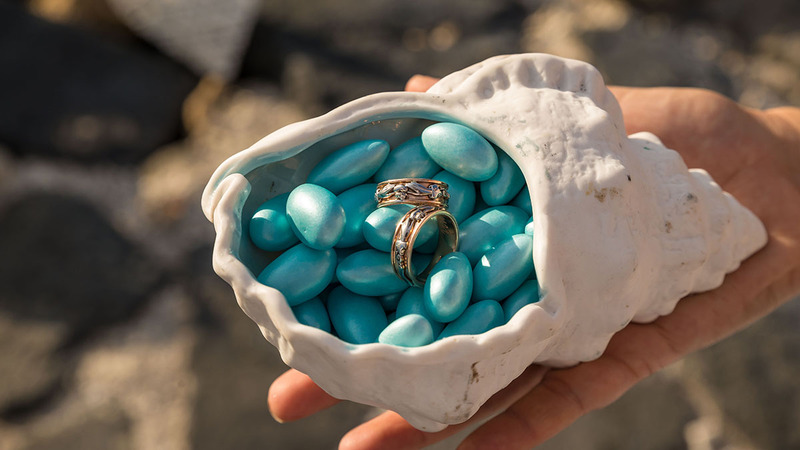 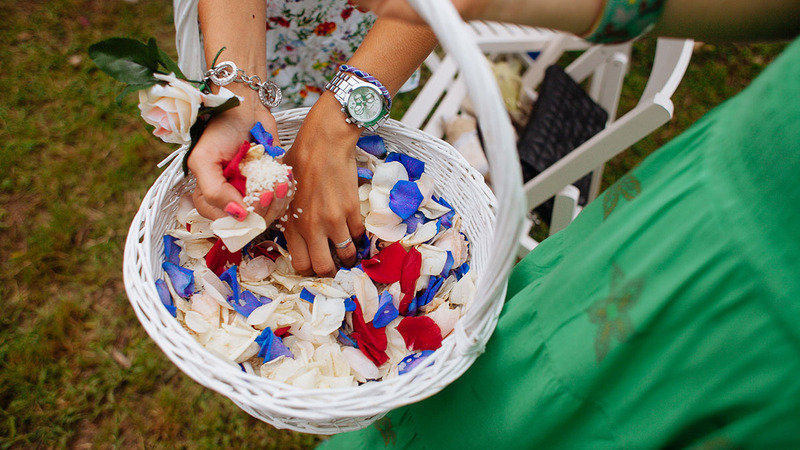 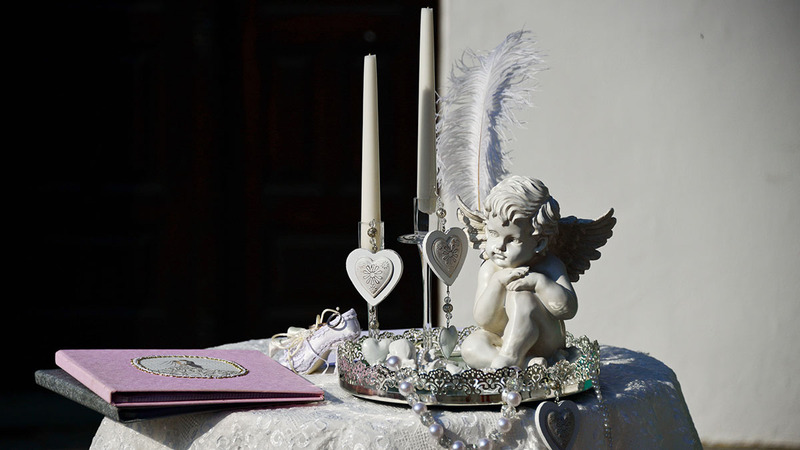 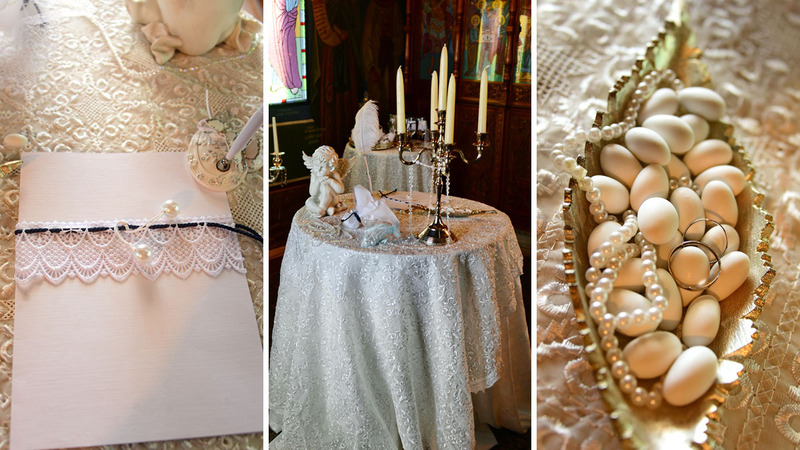 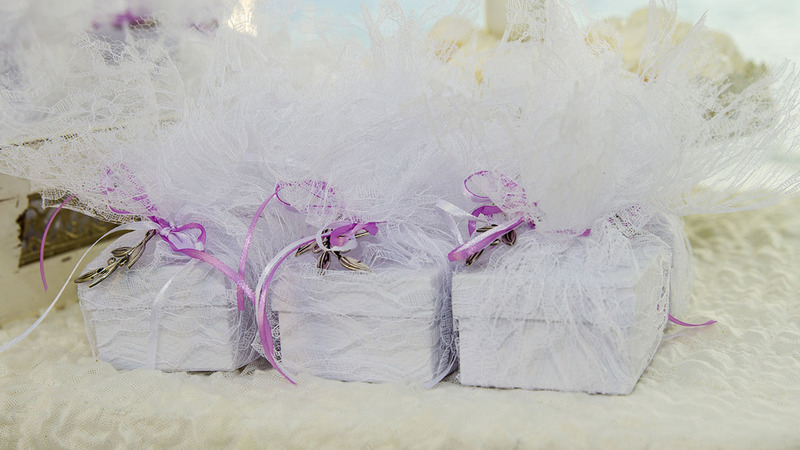 Placing them here, we would like to show you that irrespective of the format, style and size of the future ceremony, it will always be the most elegant and unique. 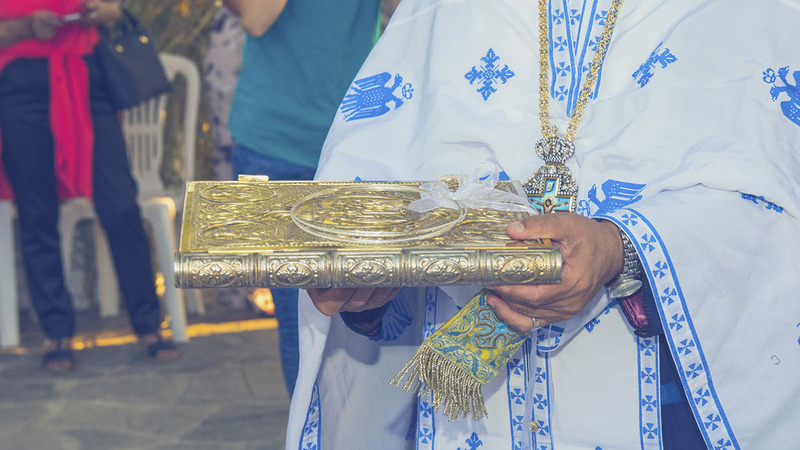 And the reason is not only in the fact that it was organized and conducted on the most blessed and holy land on the planet. 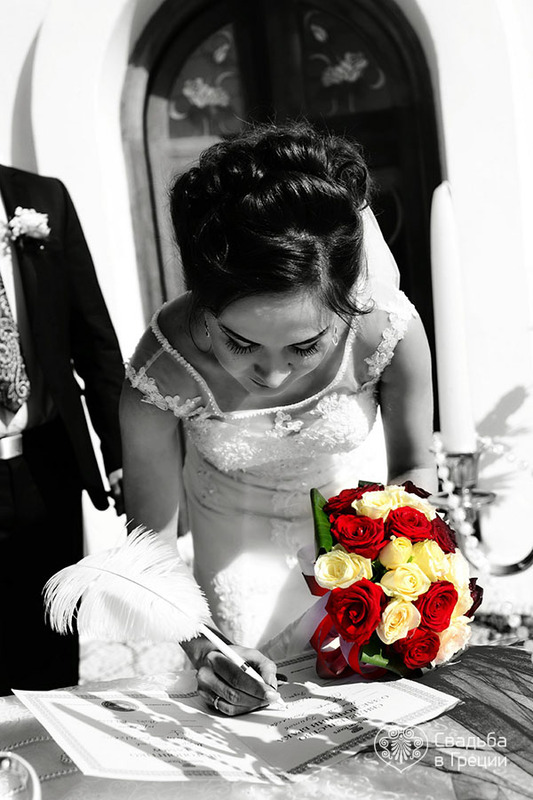 It is because the show protagonists were the most romantic and devoted to each other people. 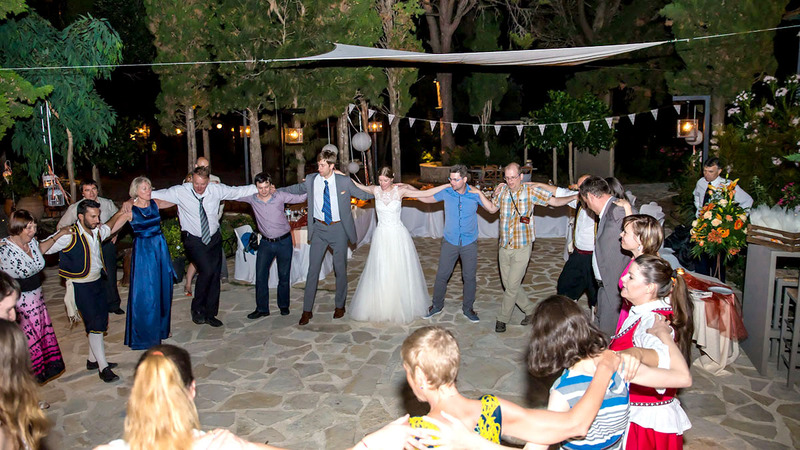 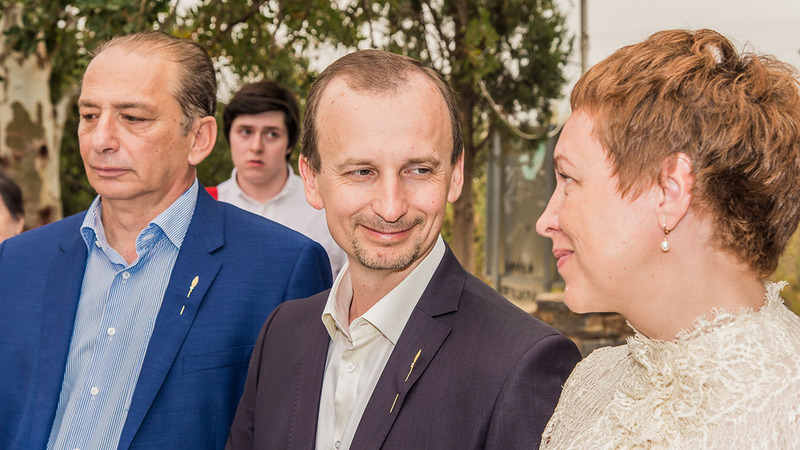 And also because we worked hard, well-coordinated and carefully on it.